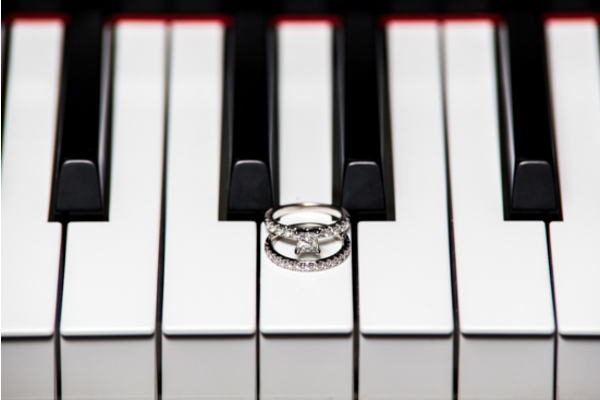 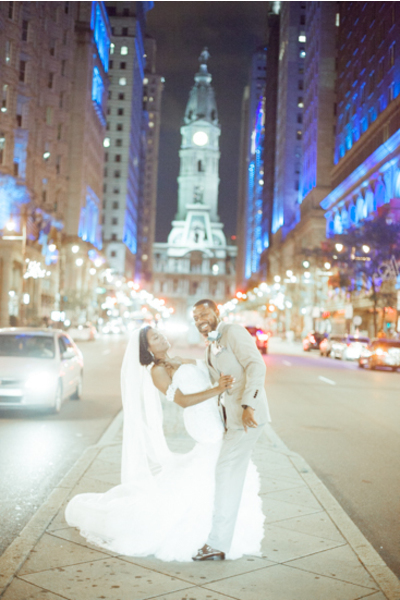 Congratulations to Alisa and Eric on their recent marriage! 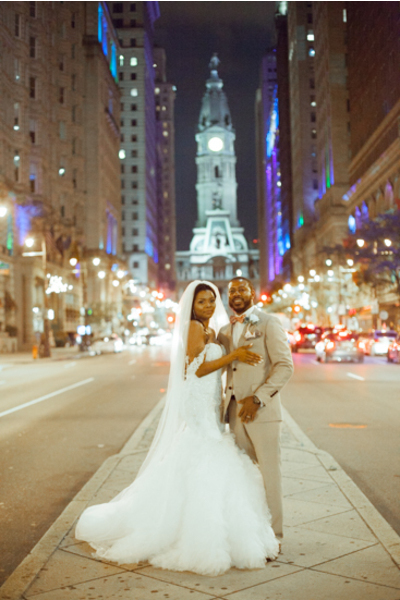 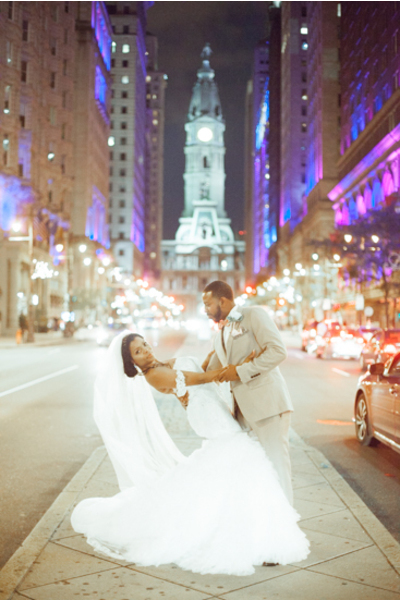 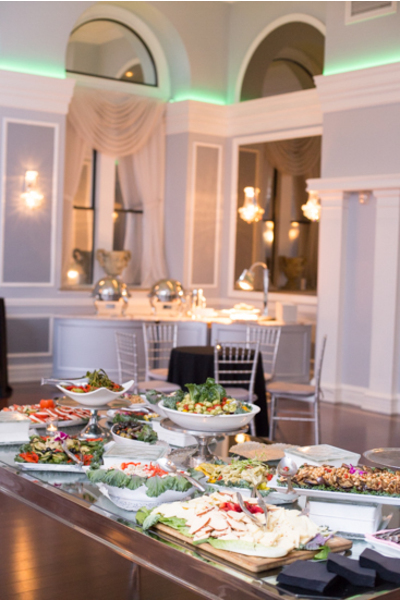 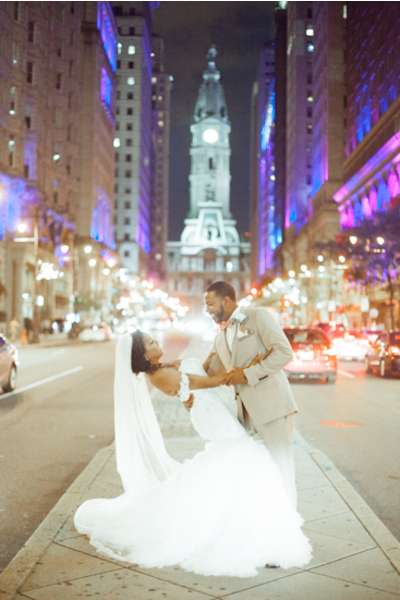 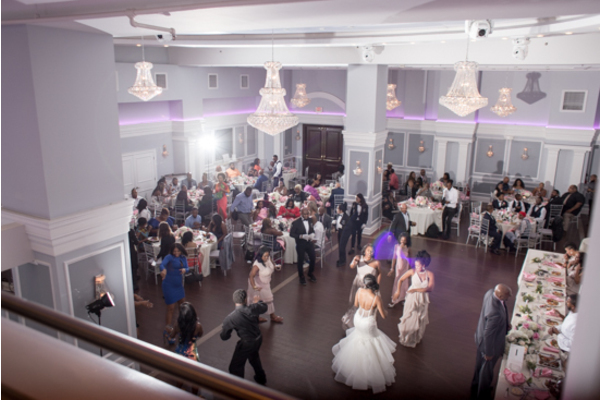 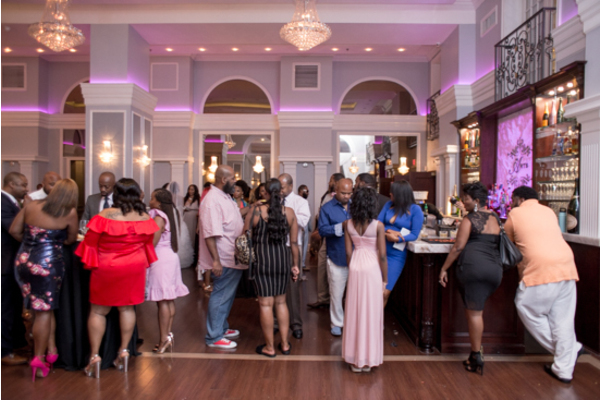 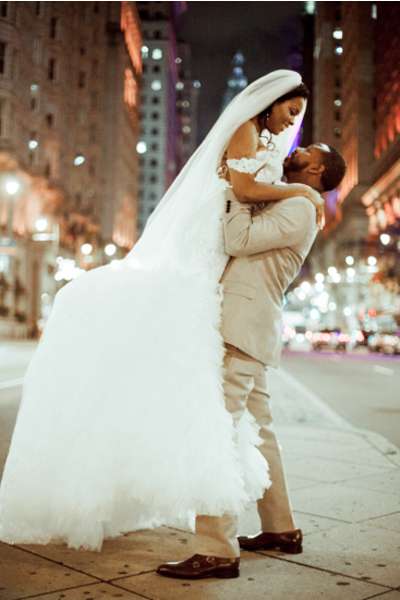 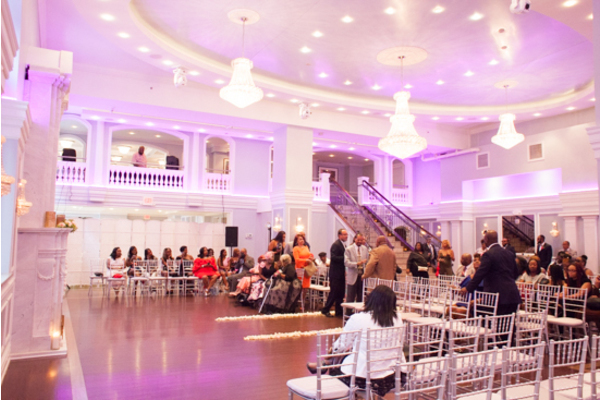 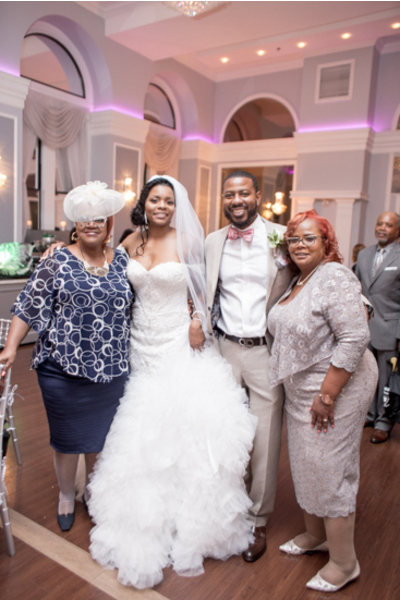 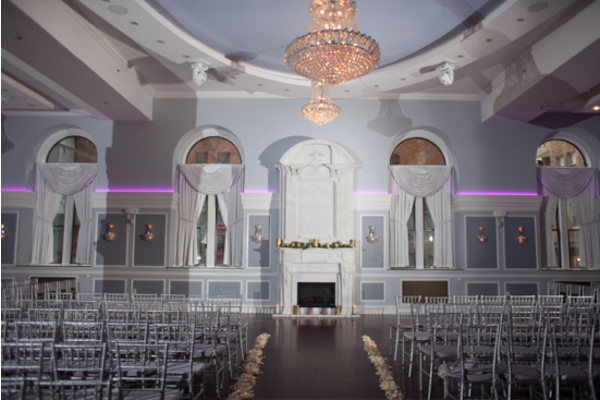 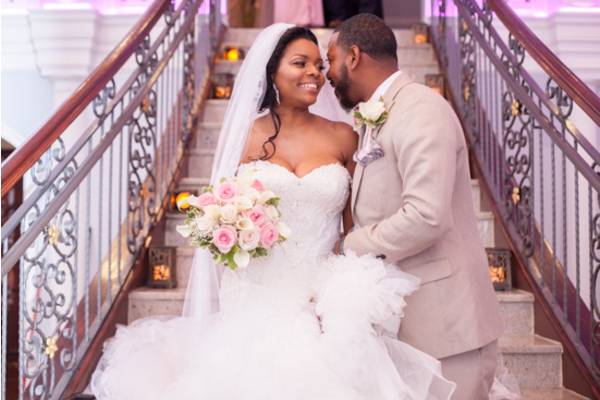 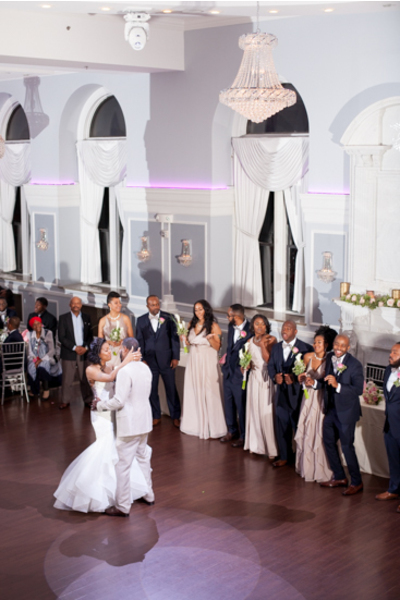 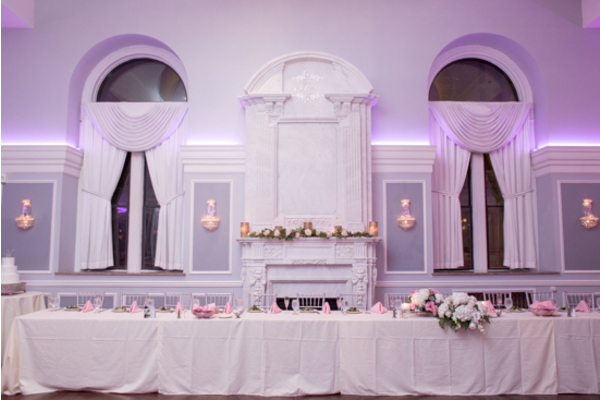 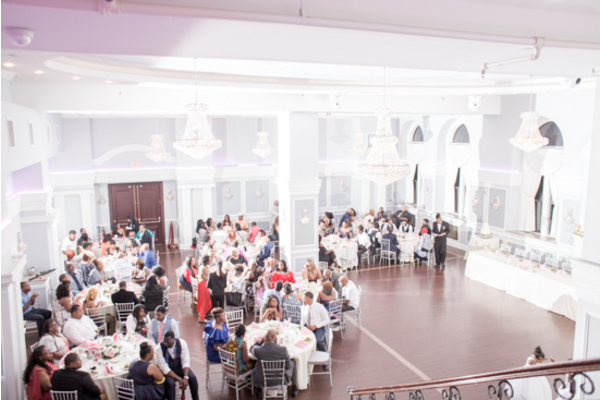 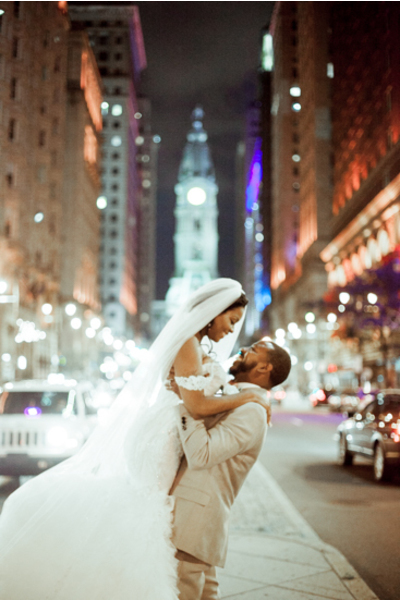 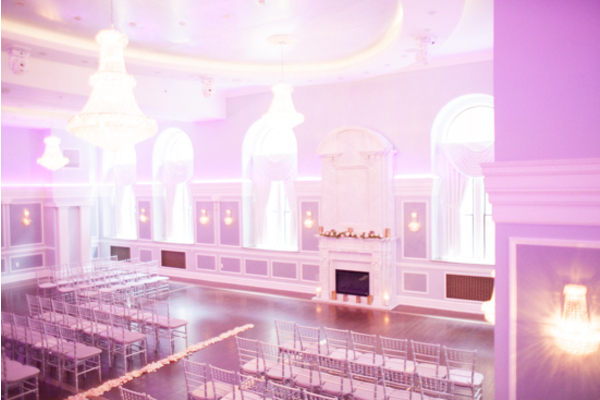 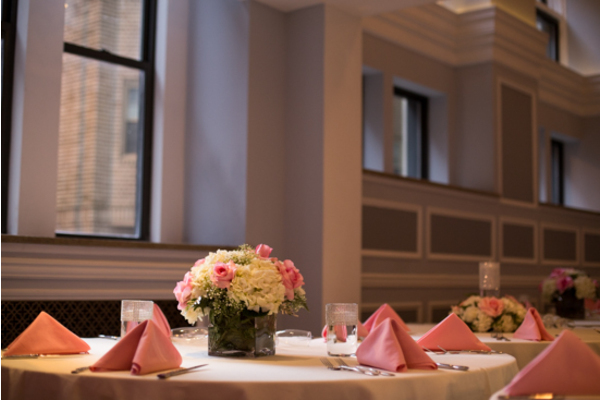 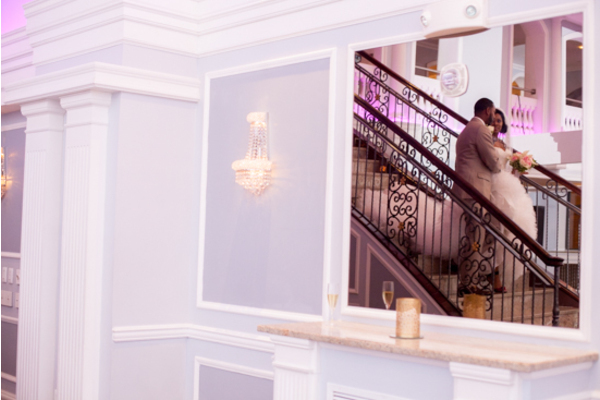 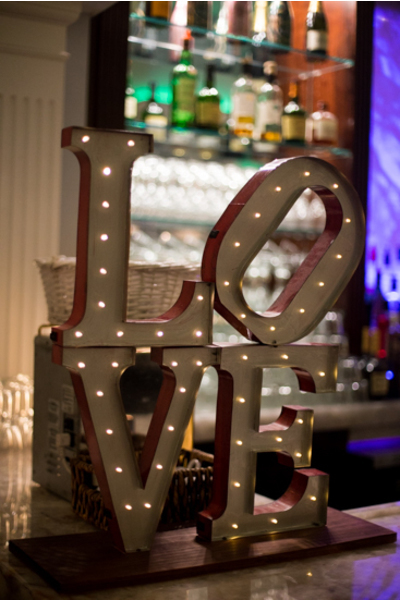 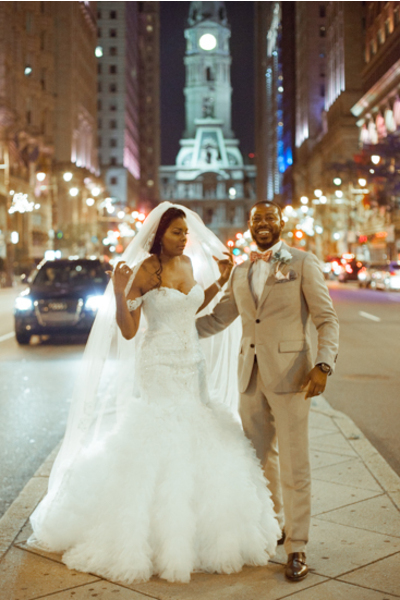 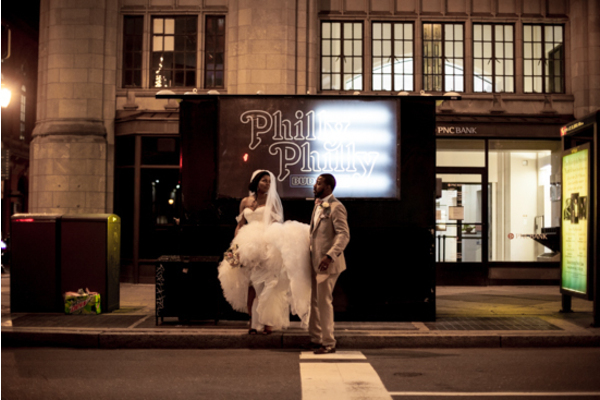 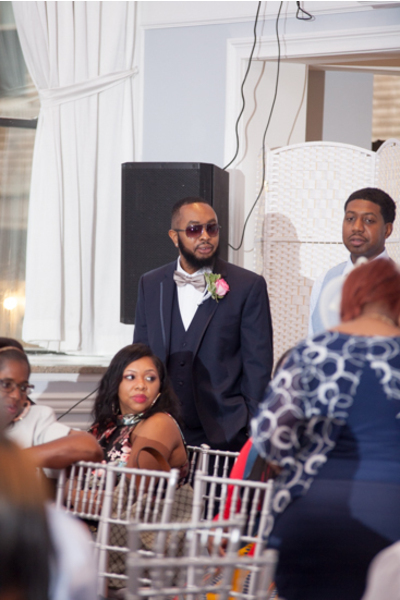 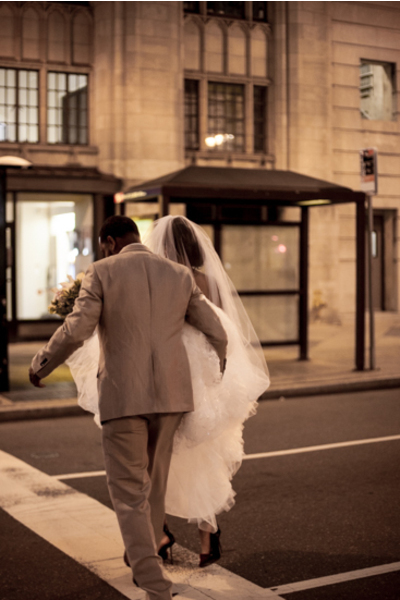 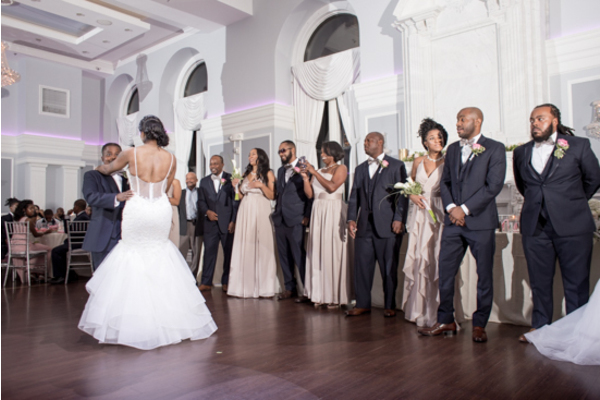 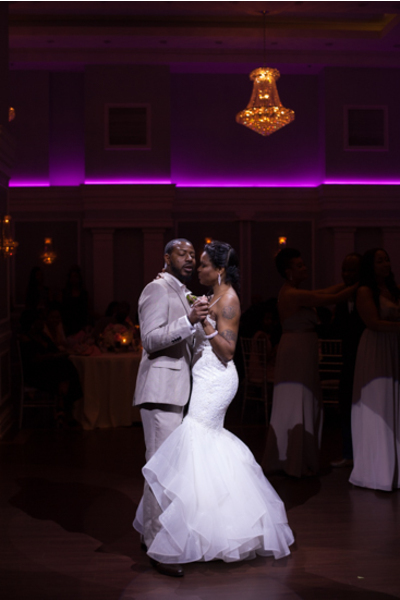 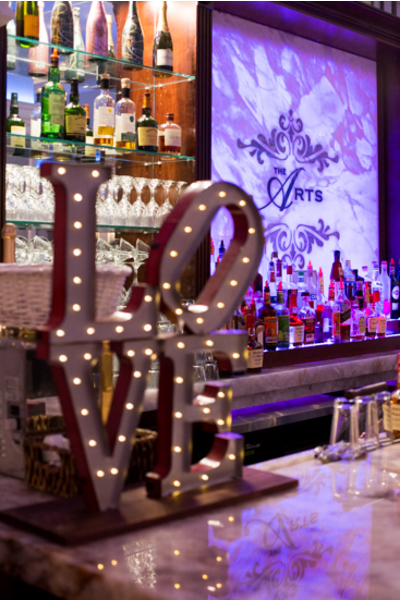 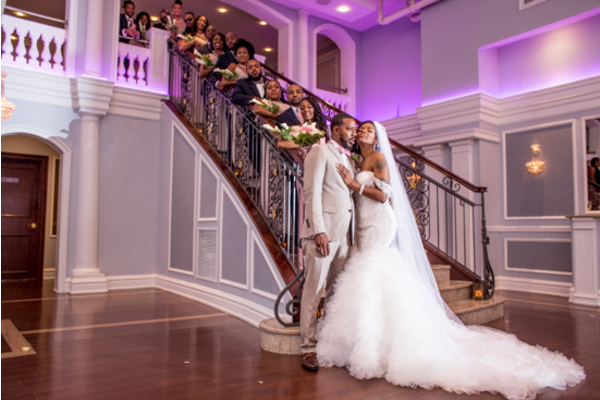 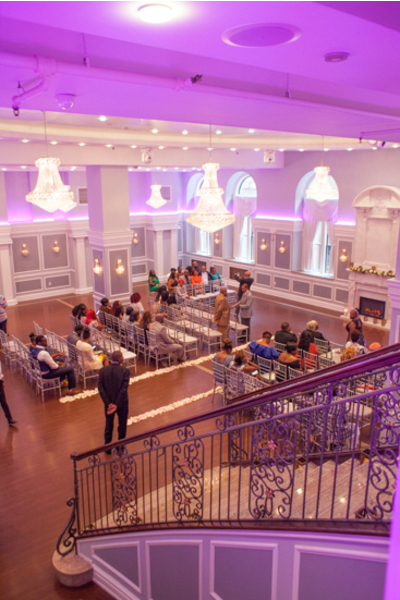 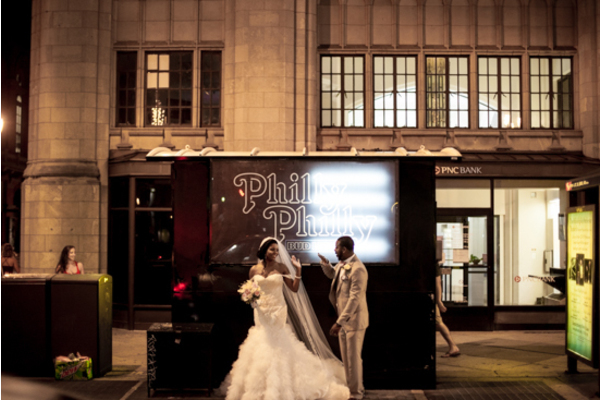 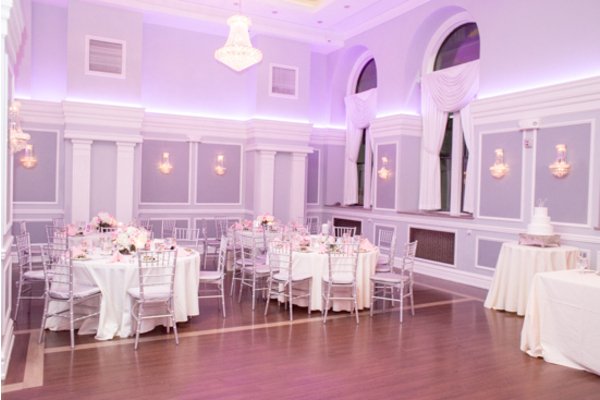 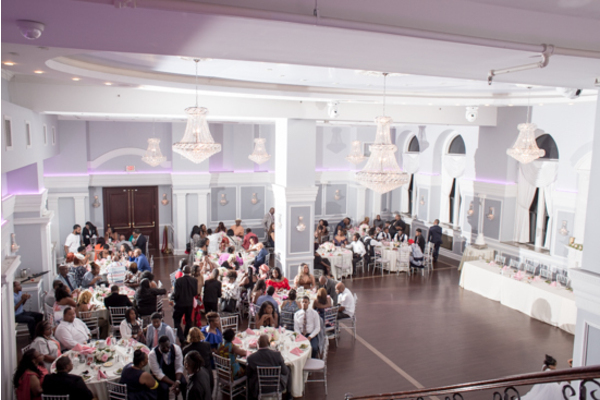 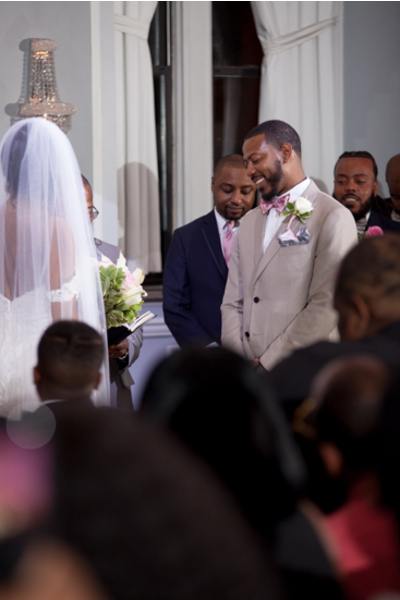 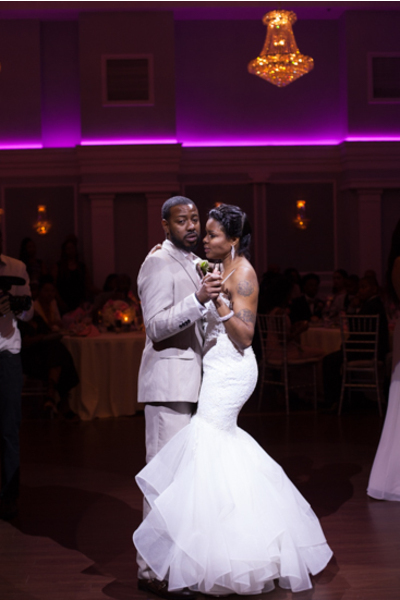 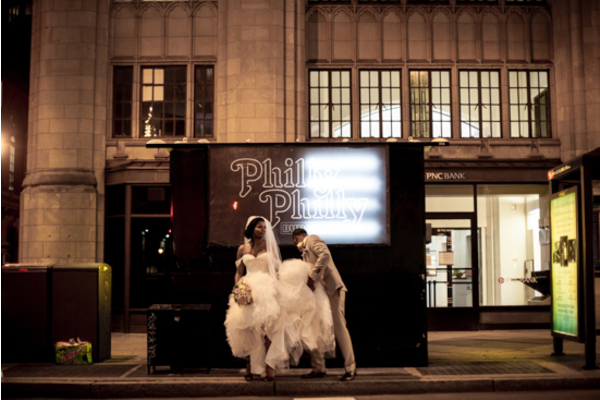 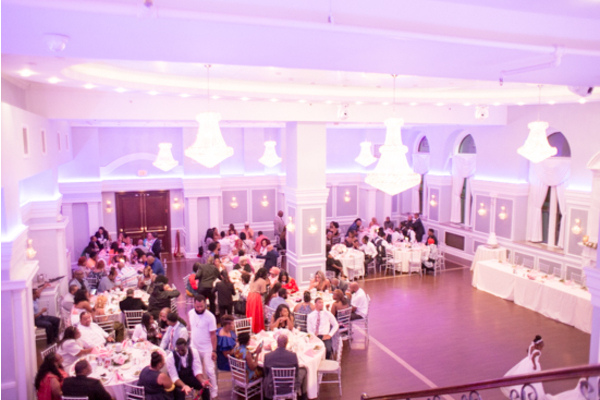 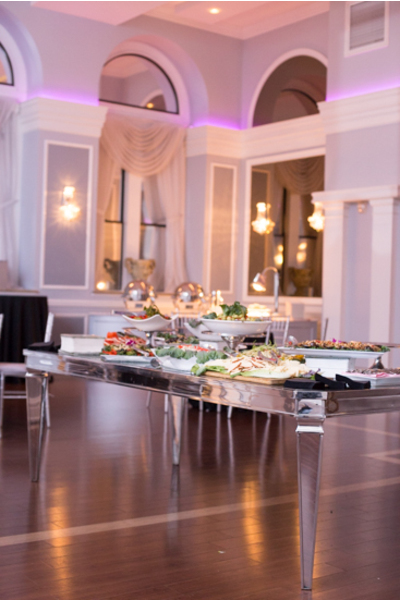 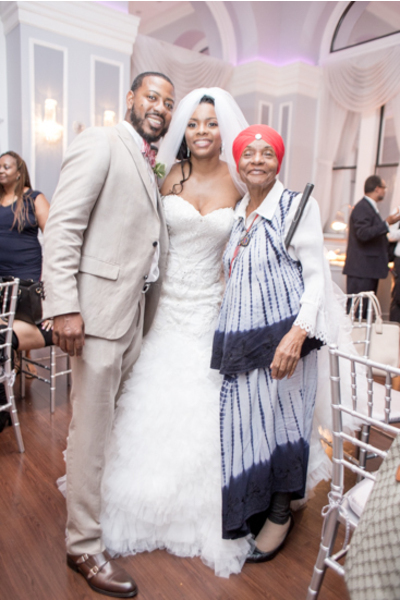 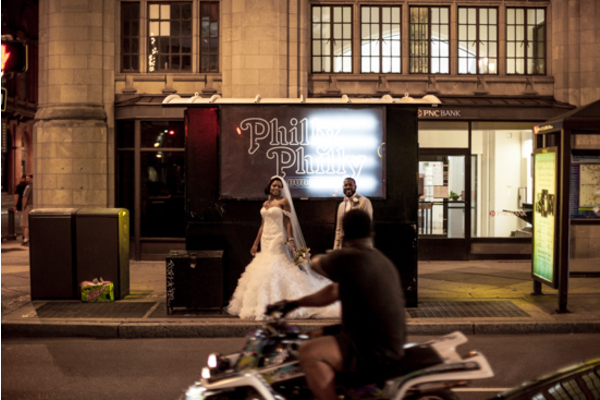 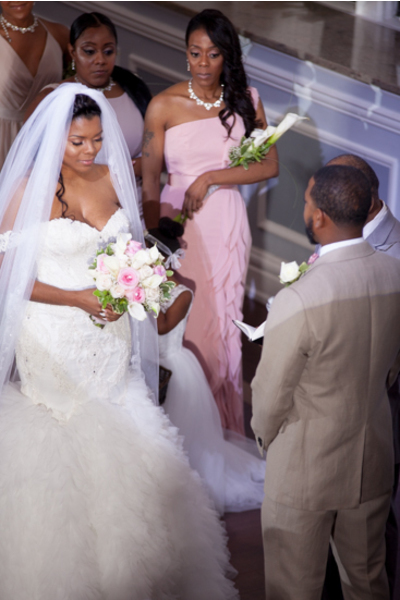 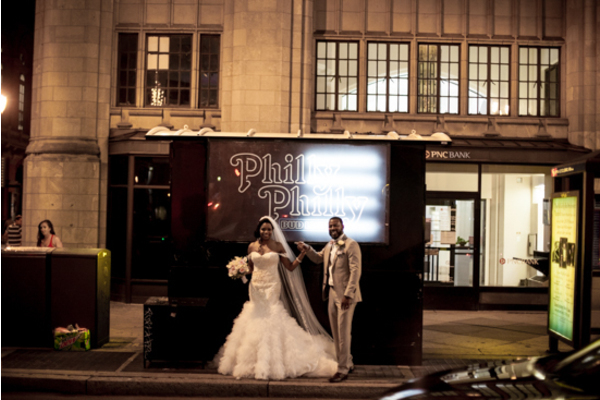 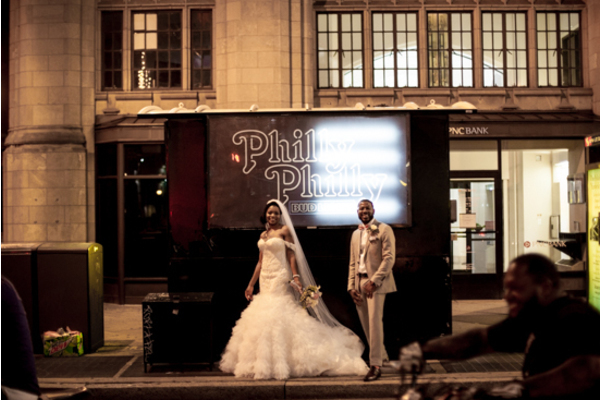 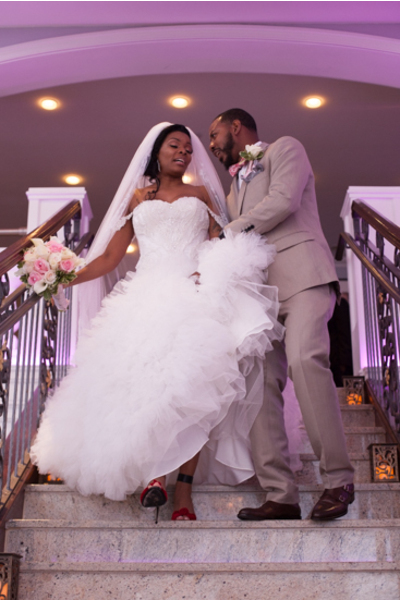 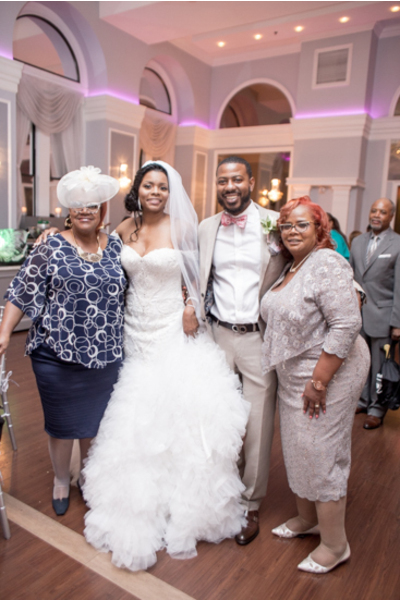 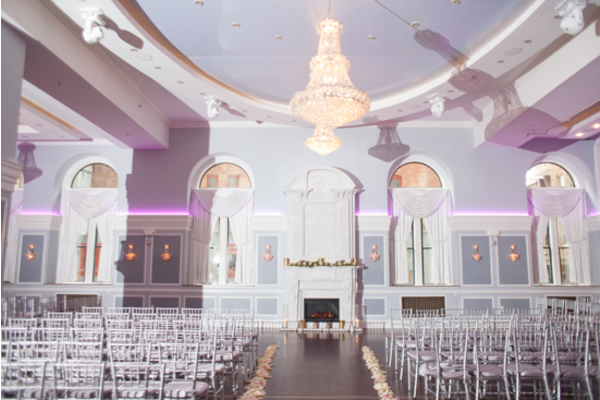 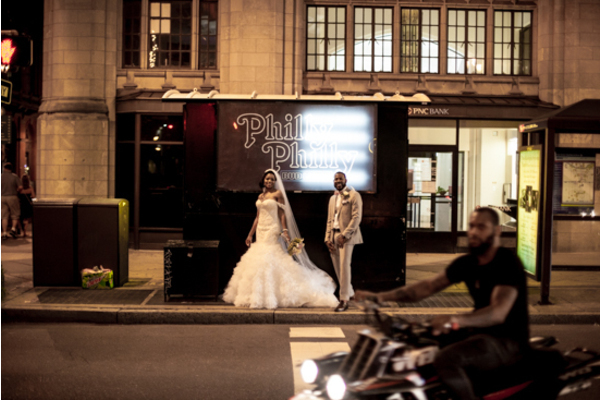 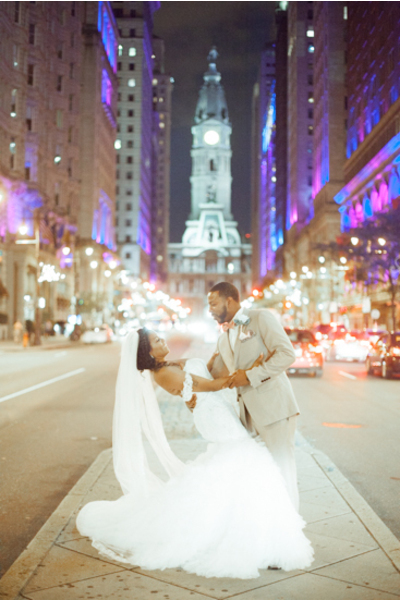 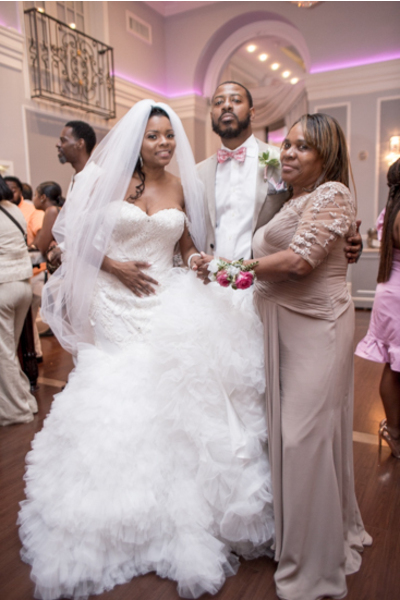 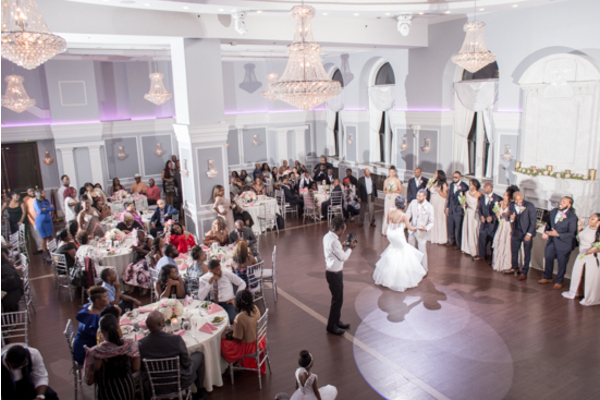 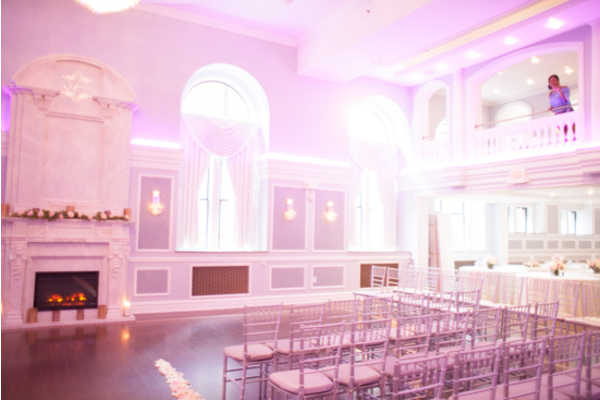 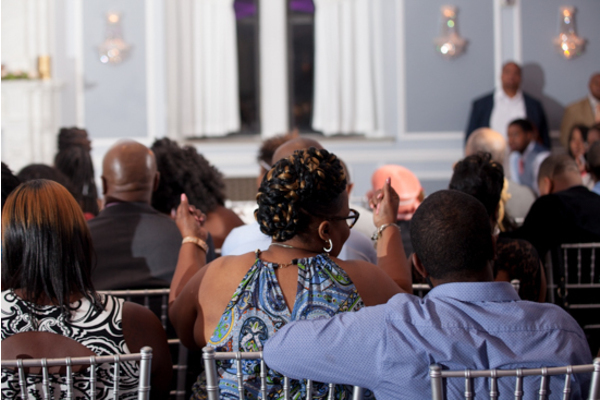 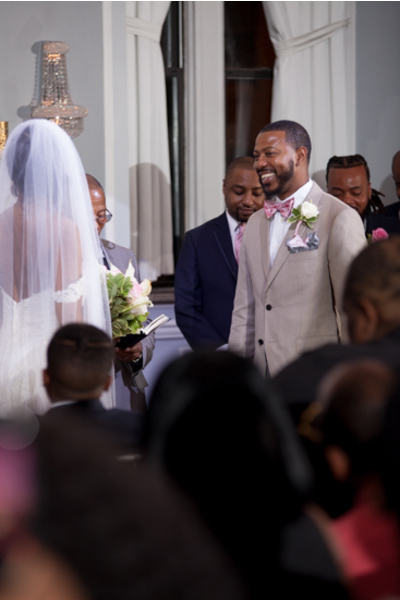 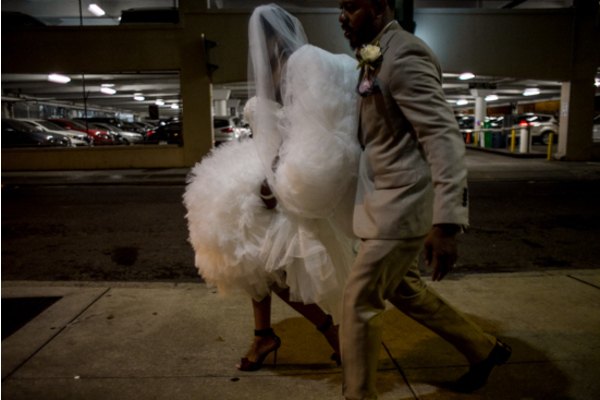 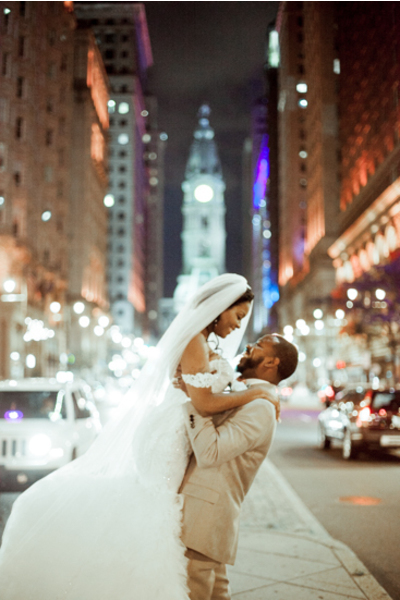 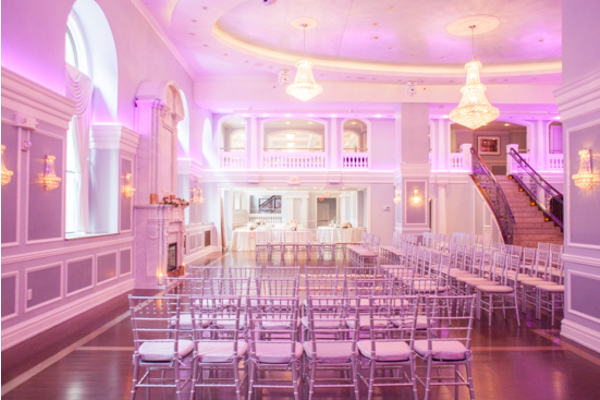 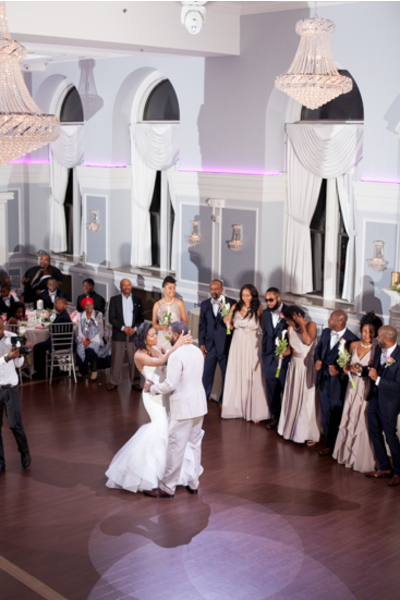 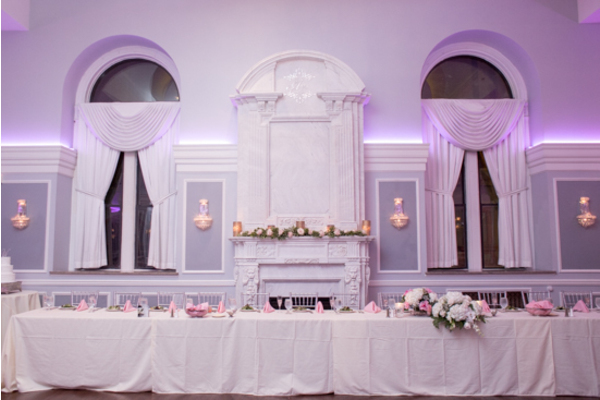 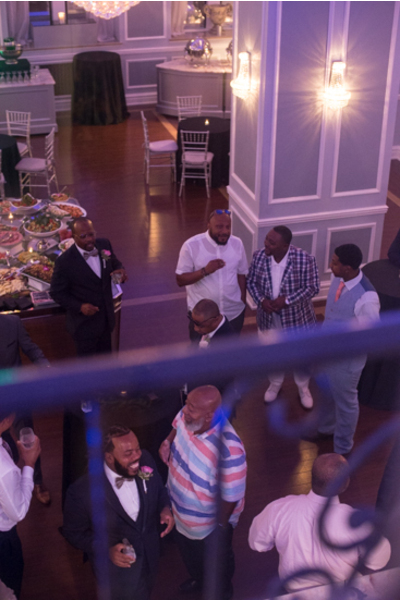 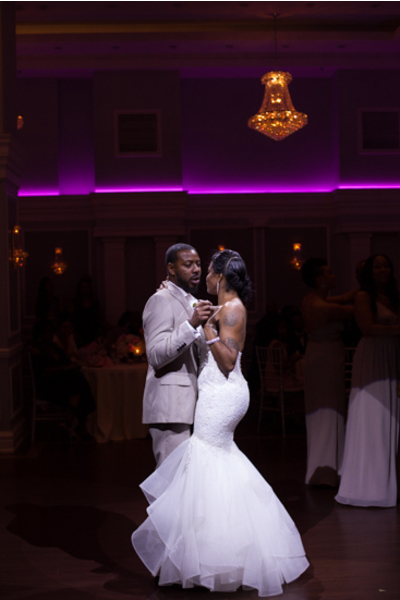 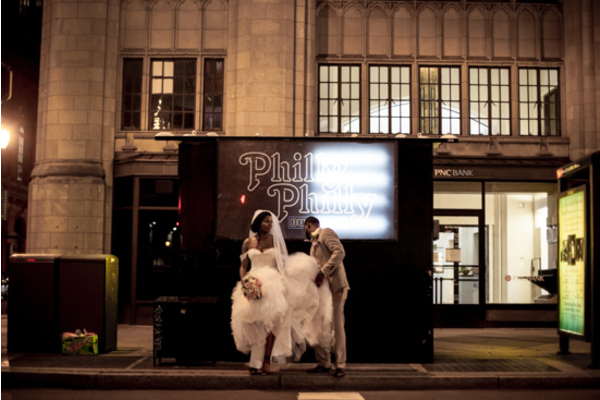 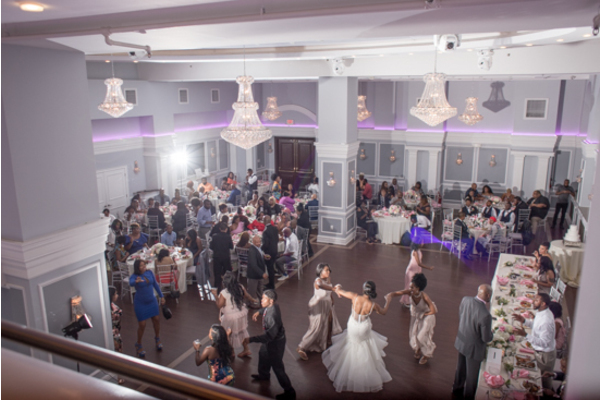 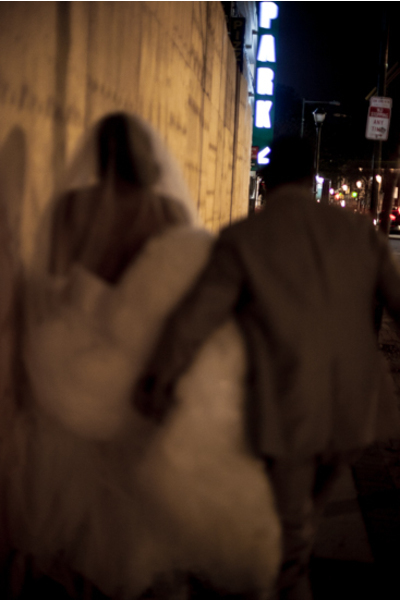 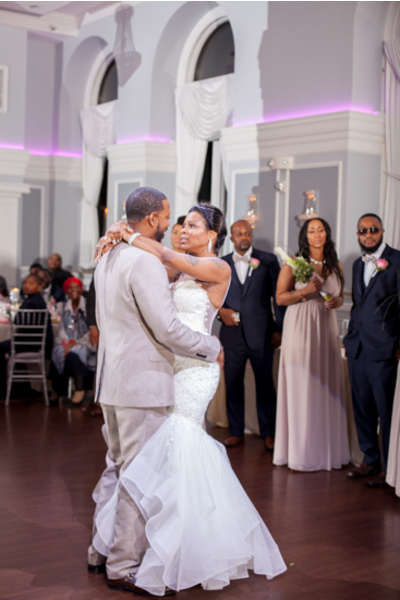 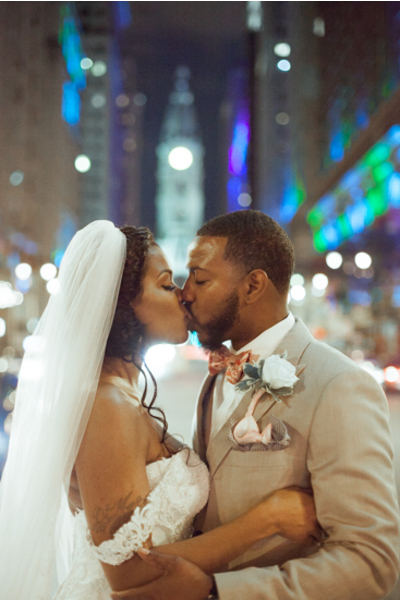 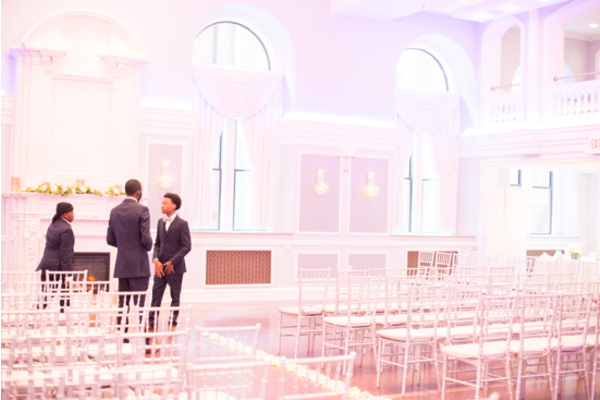 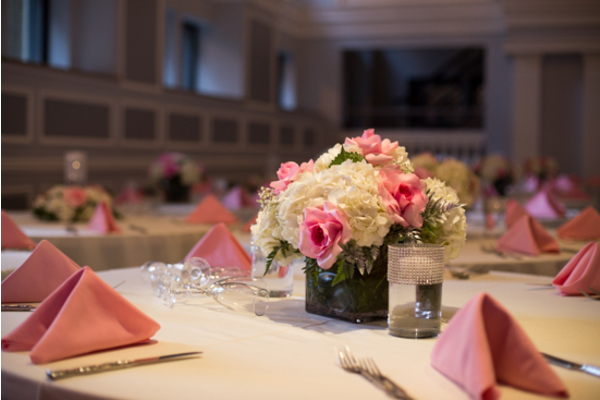 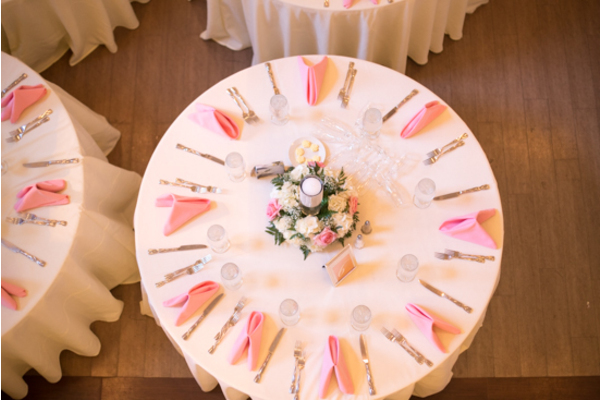 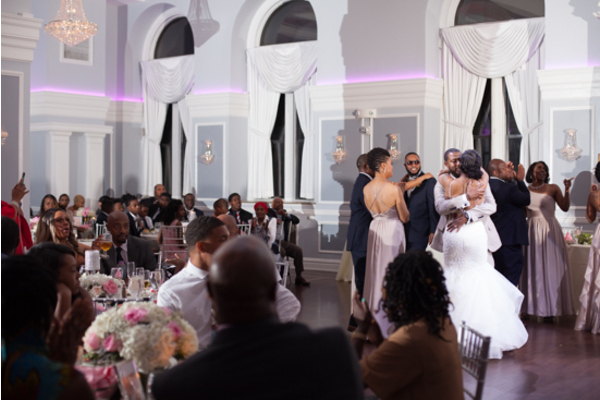 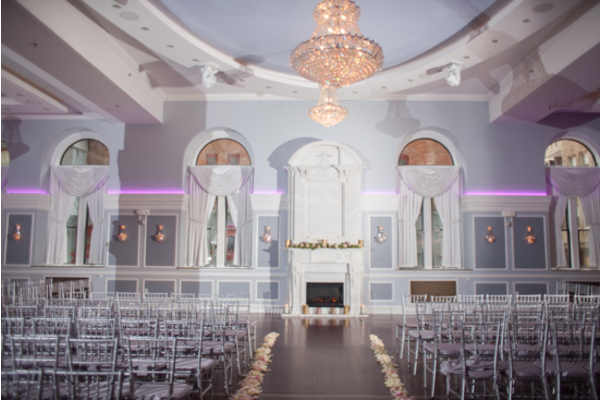 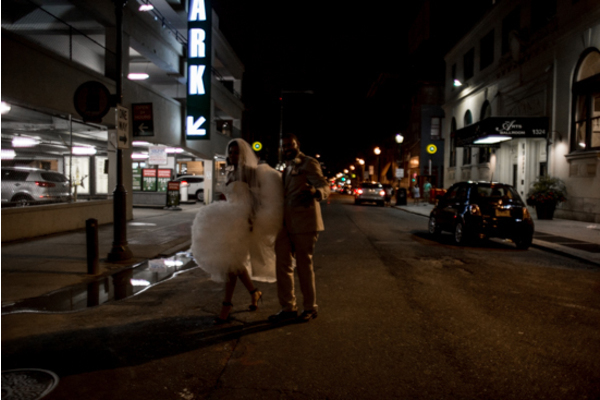 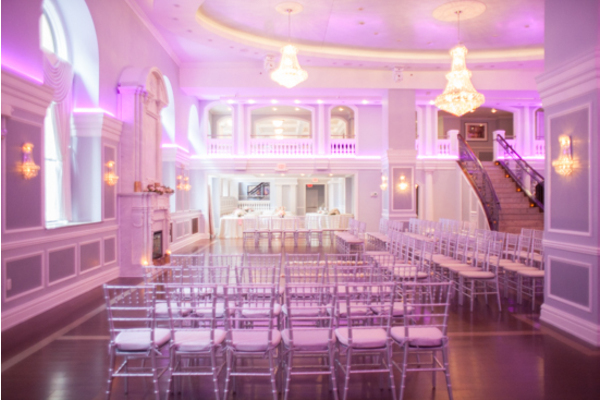 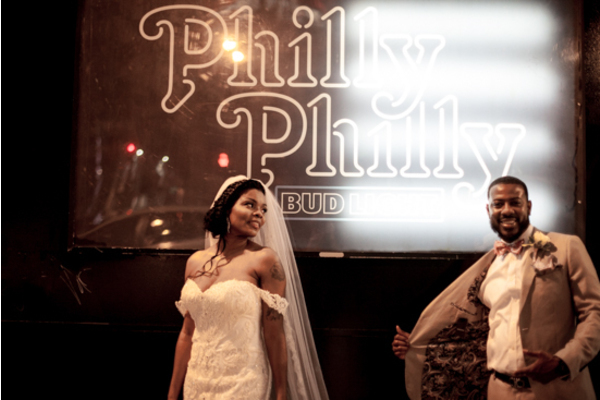 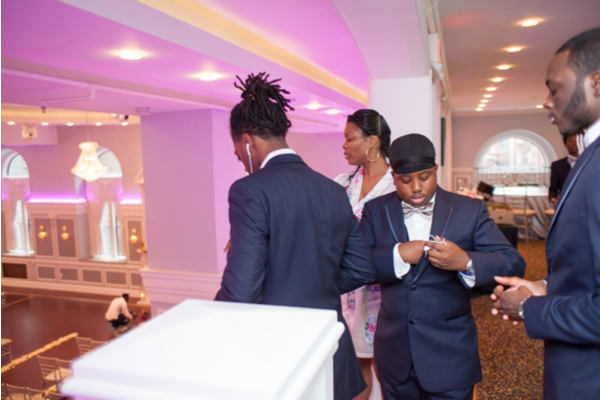 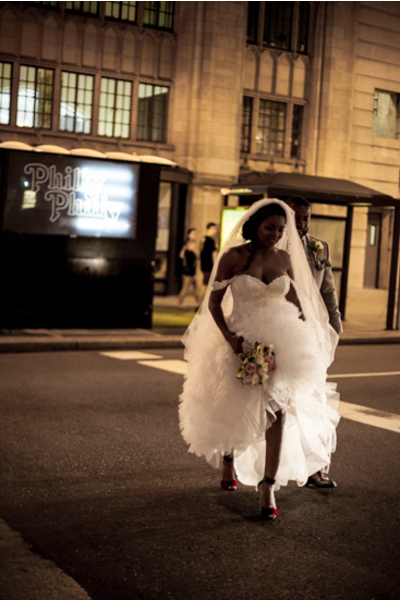 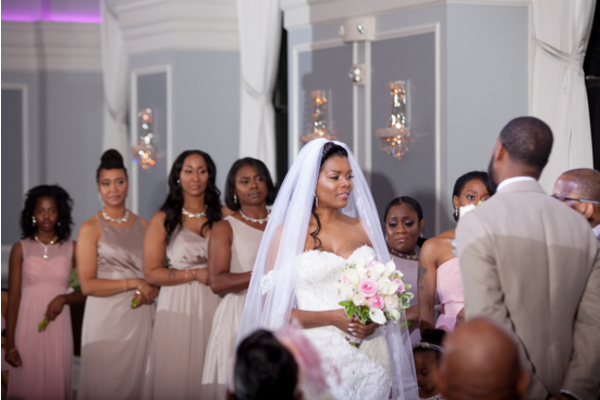 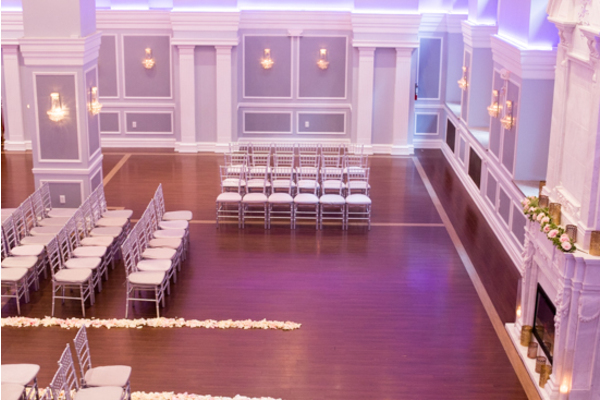 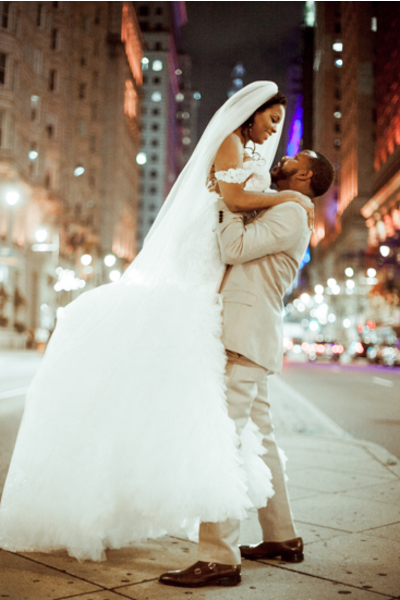 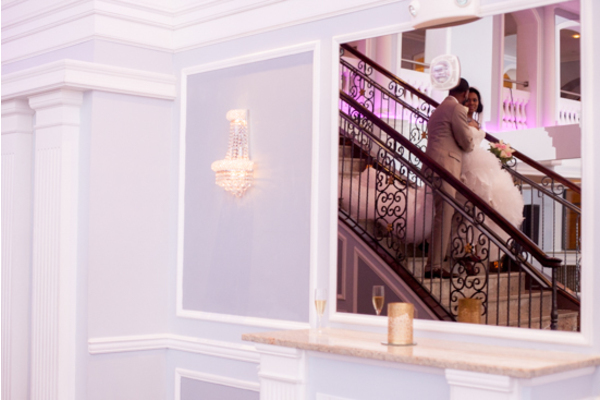 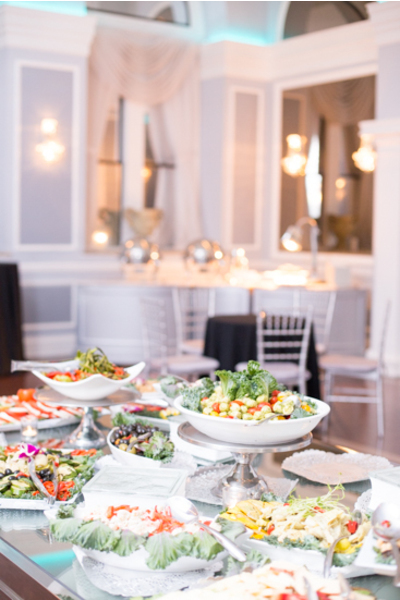 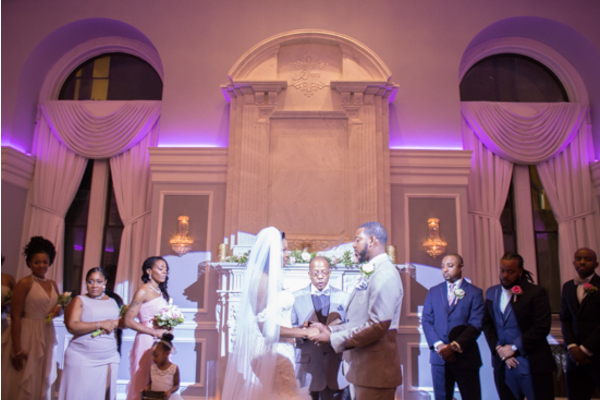 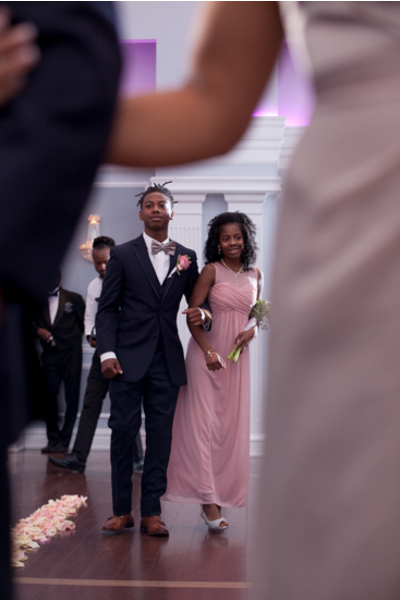 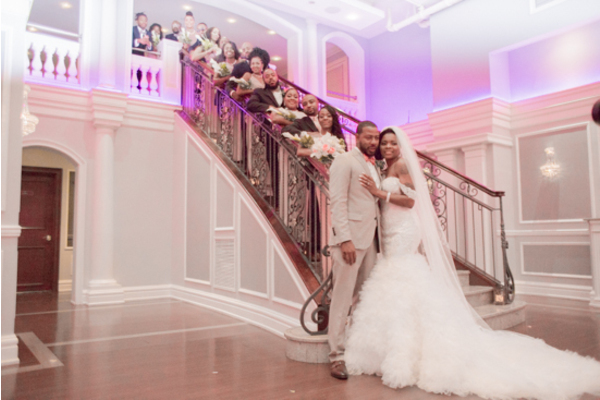 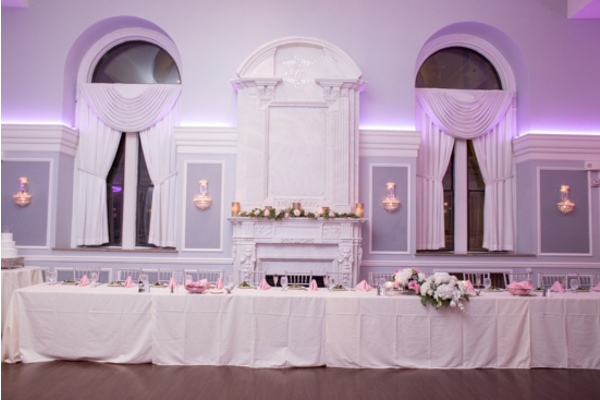 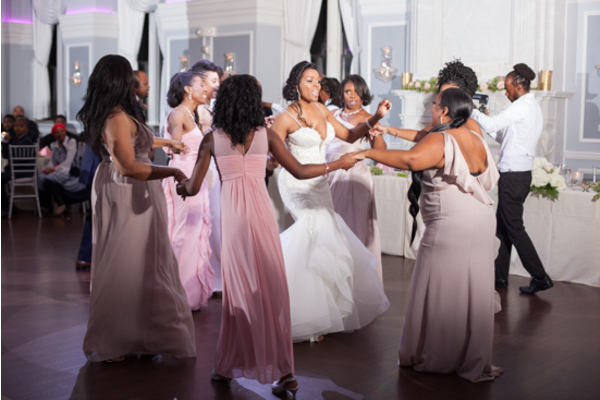 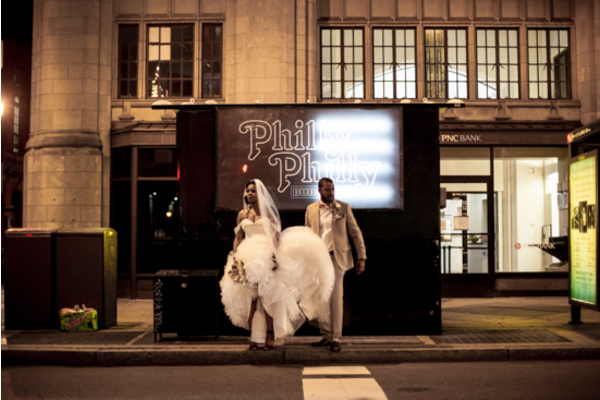 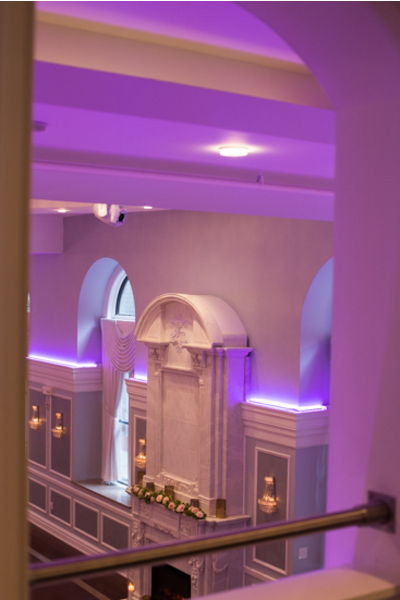 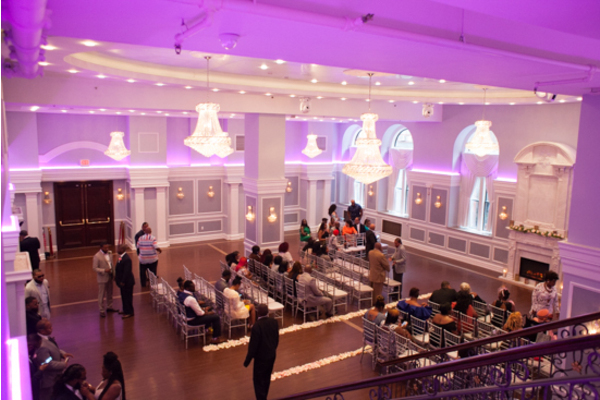 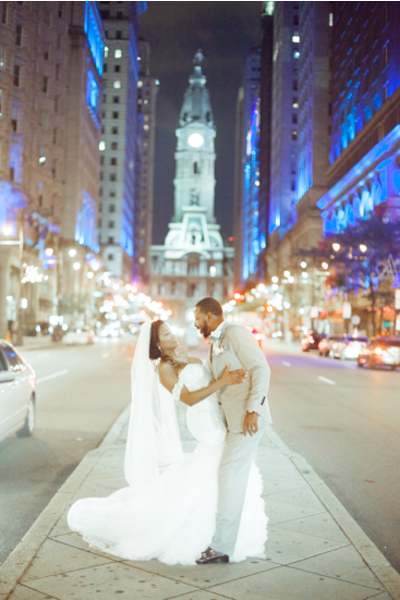 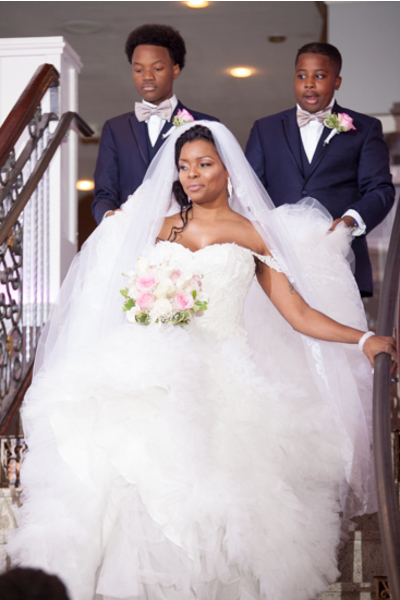 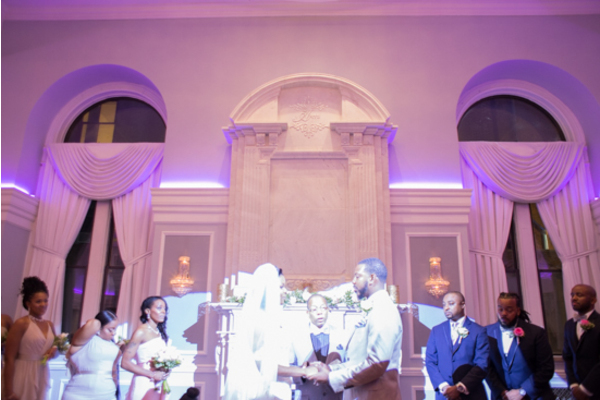 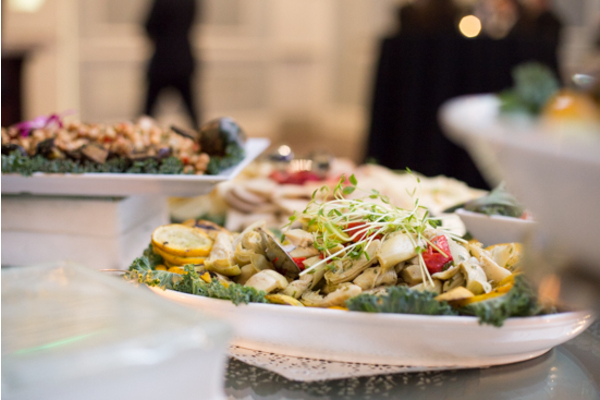 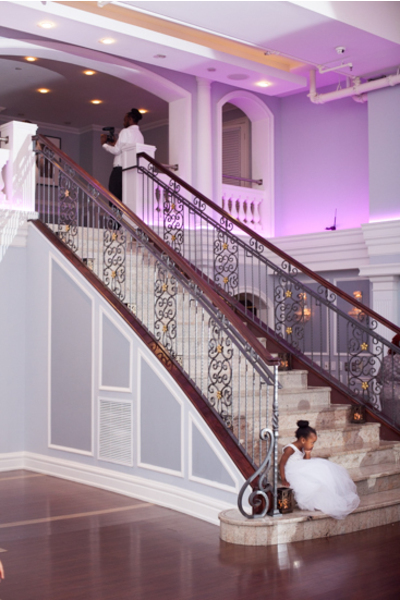 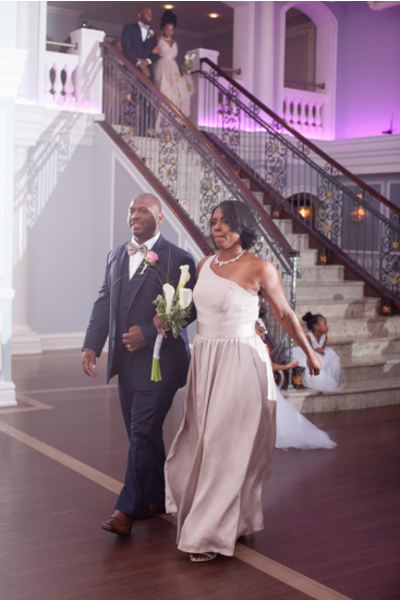 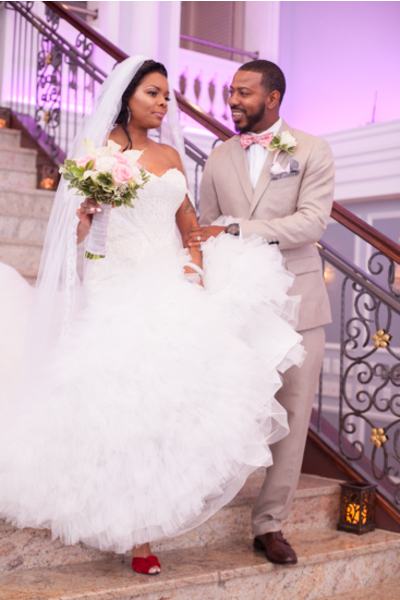 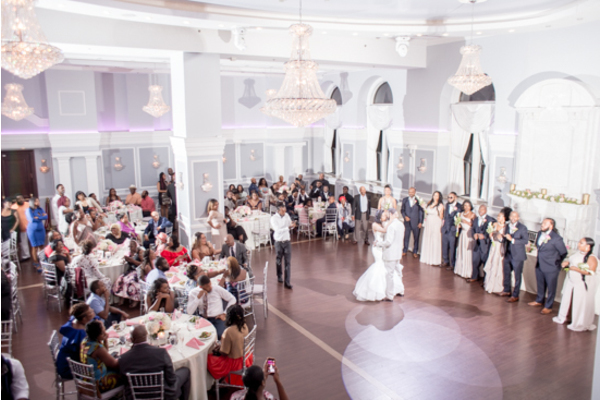 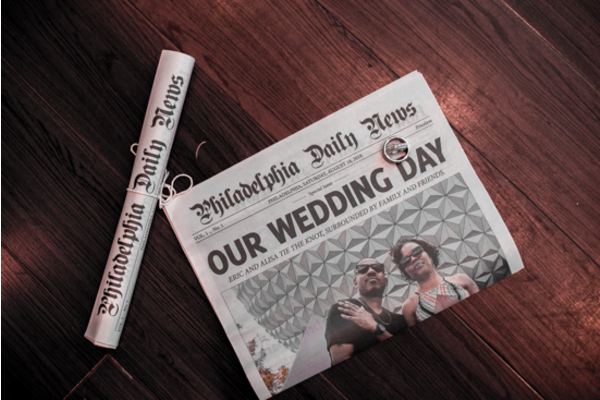 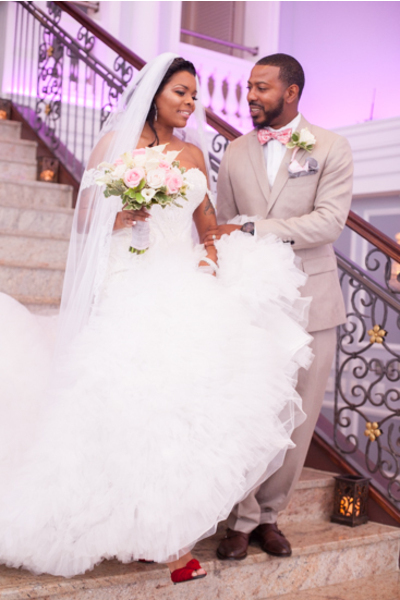 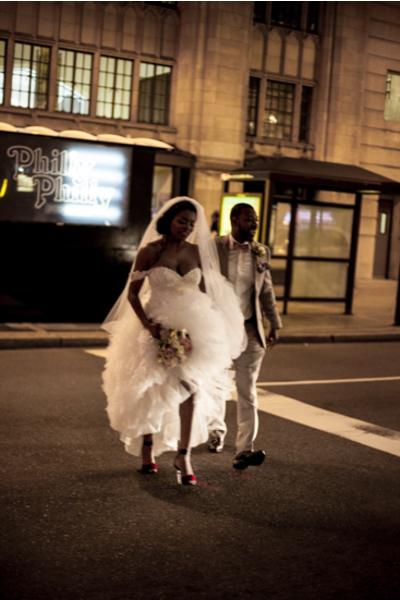 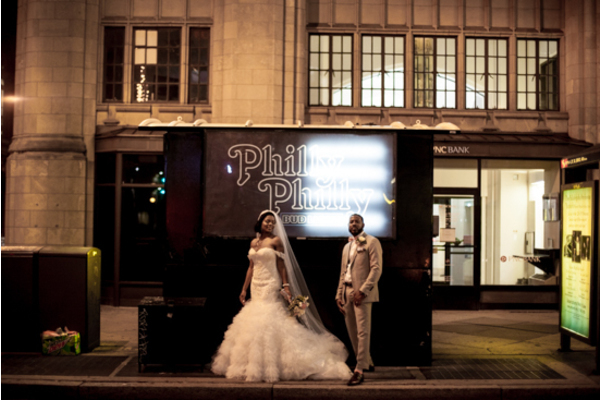 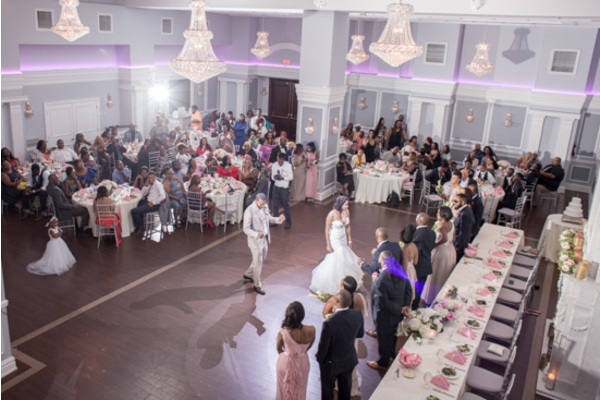 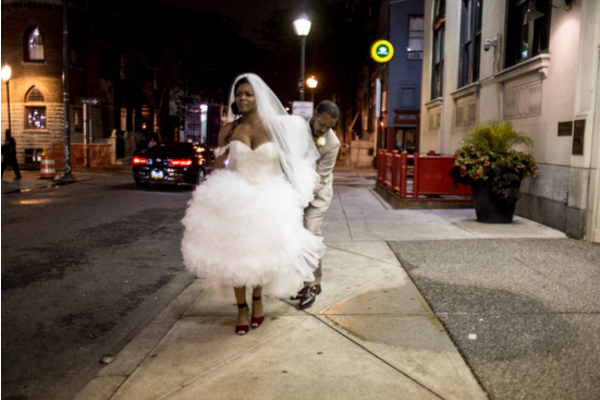 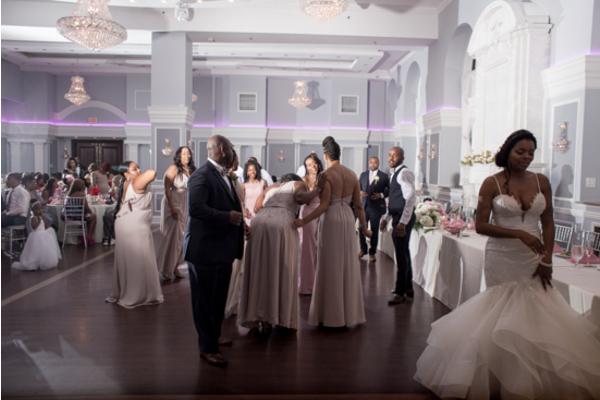 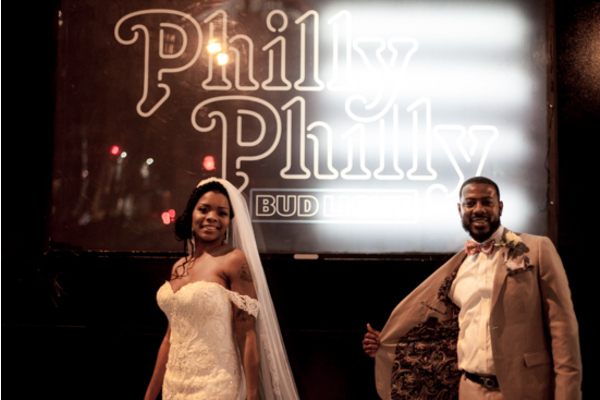 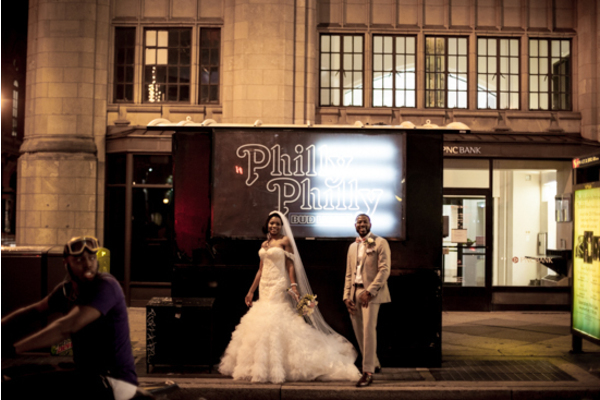 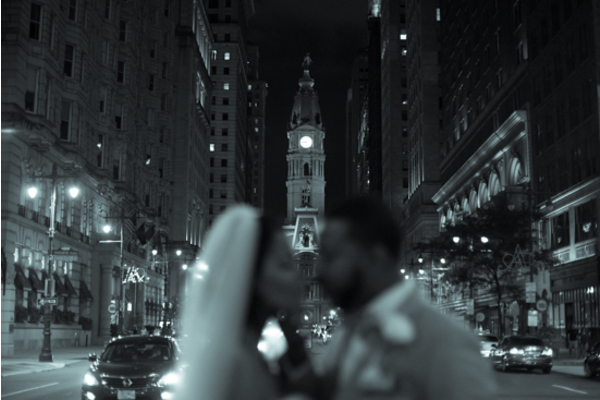 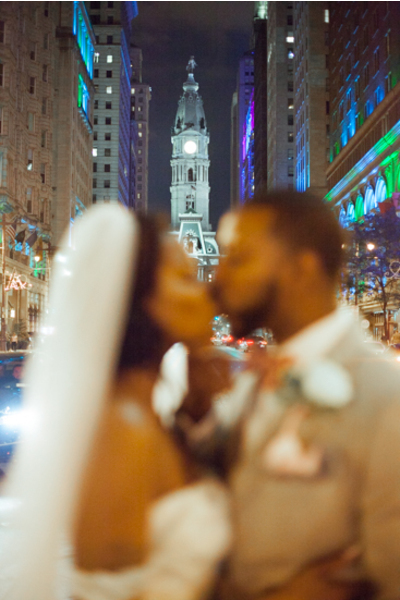 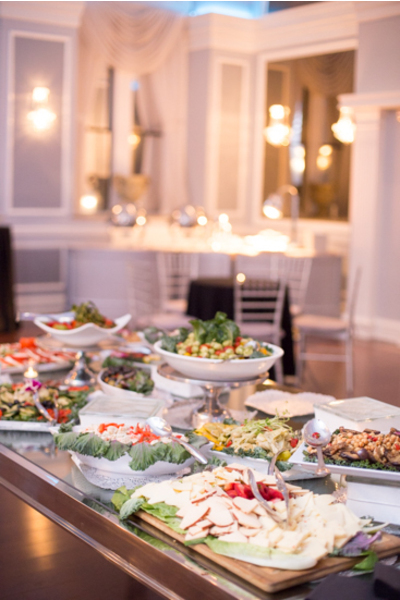 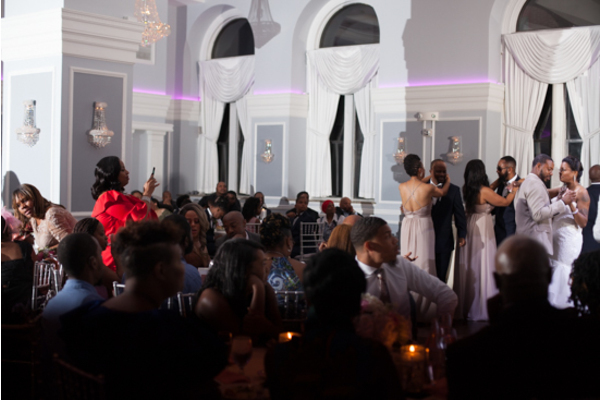 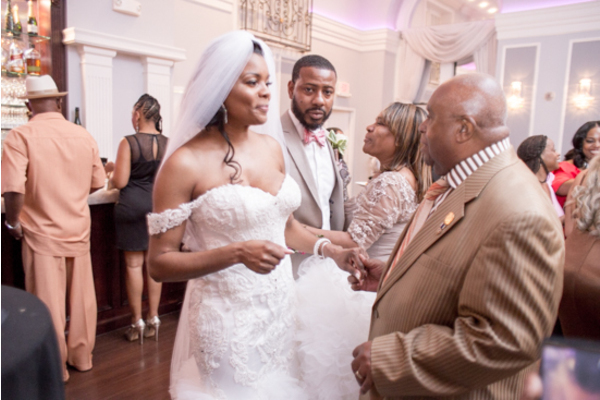 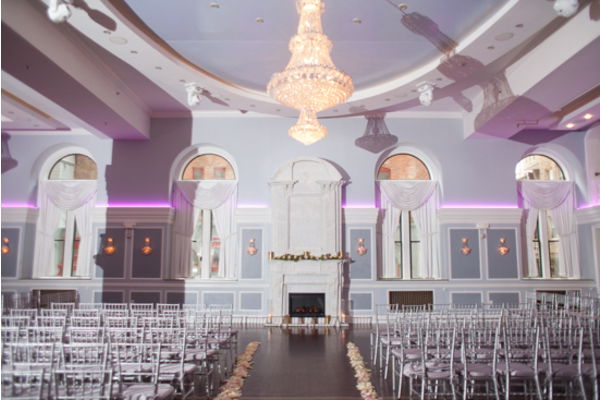 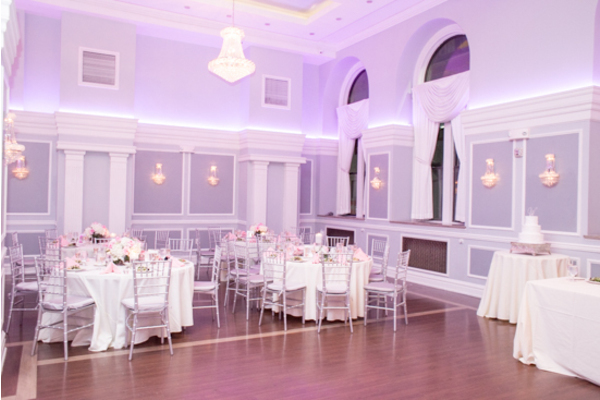 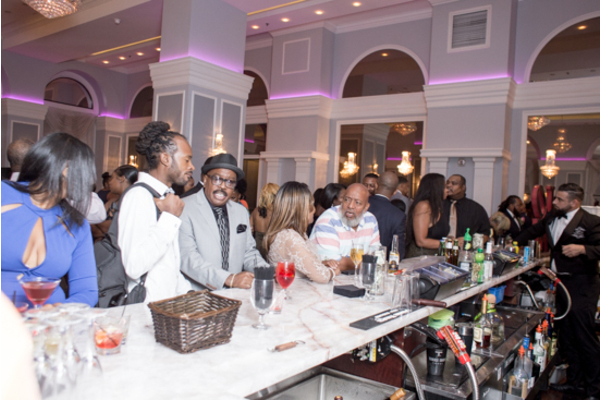 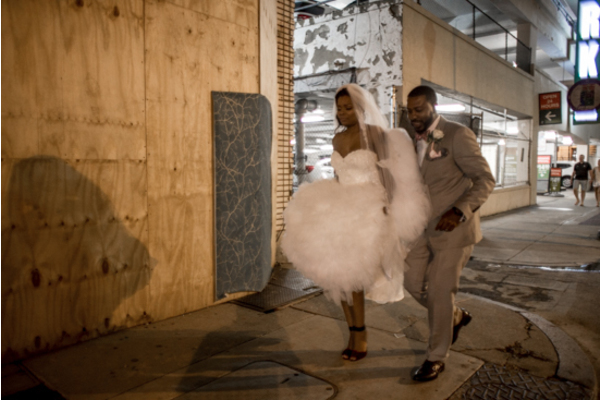 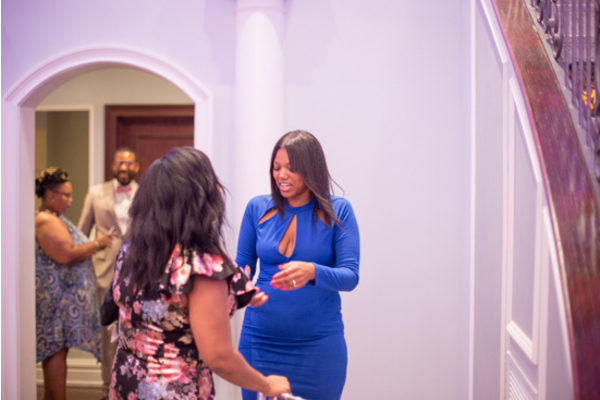 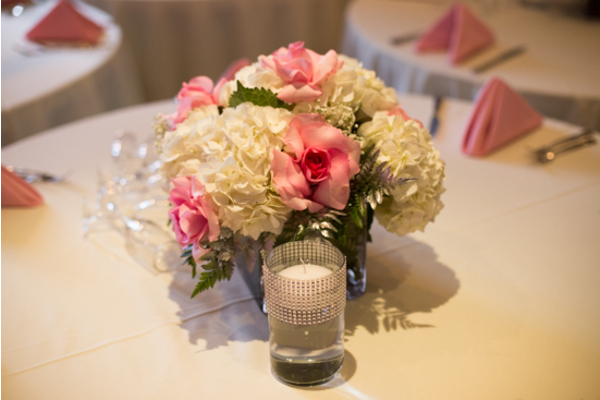 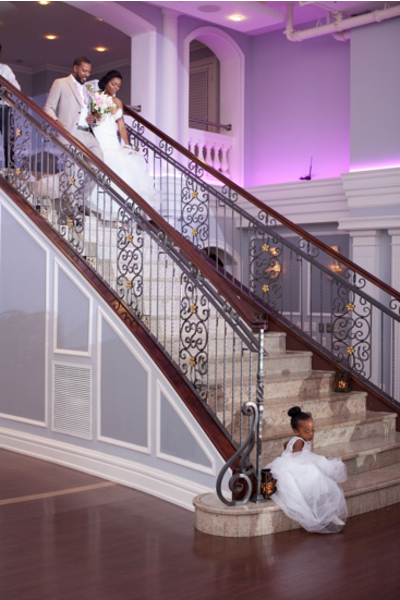 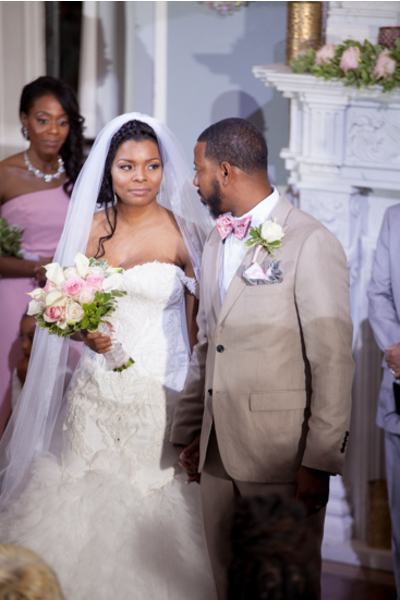 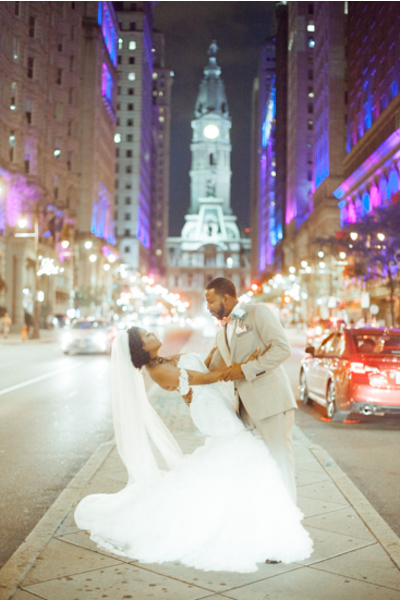 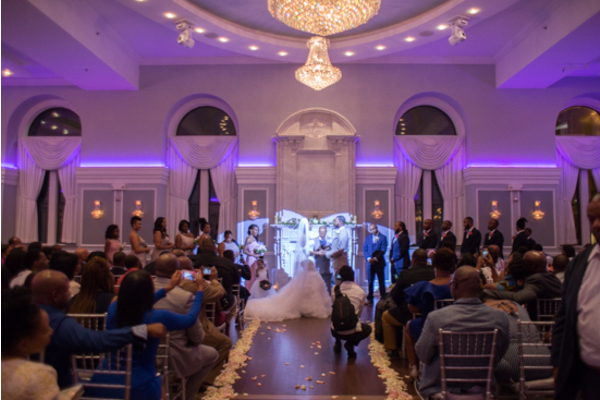 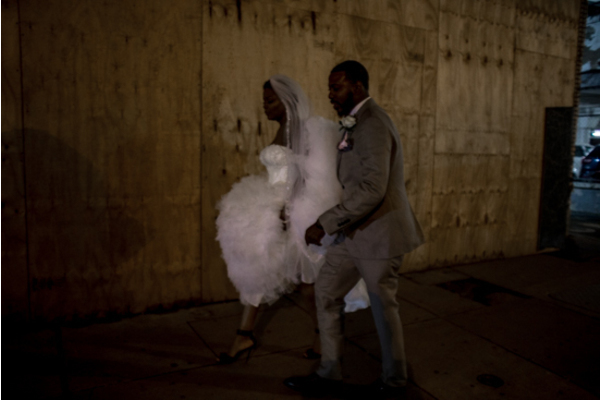 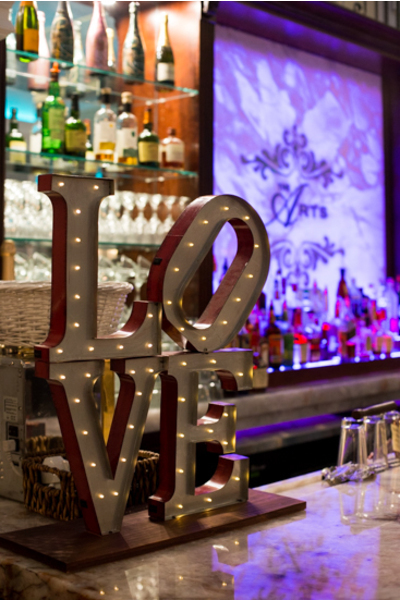 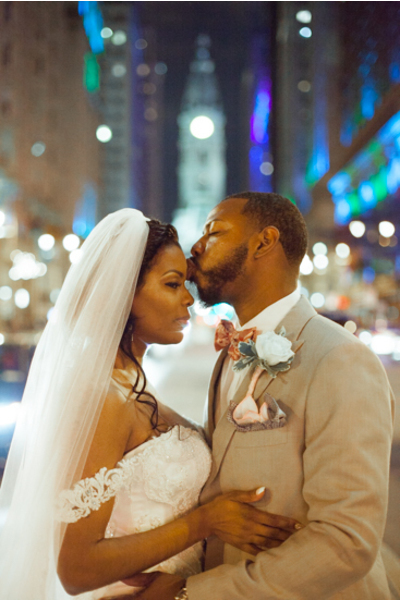 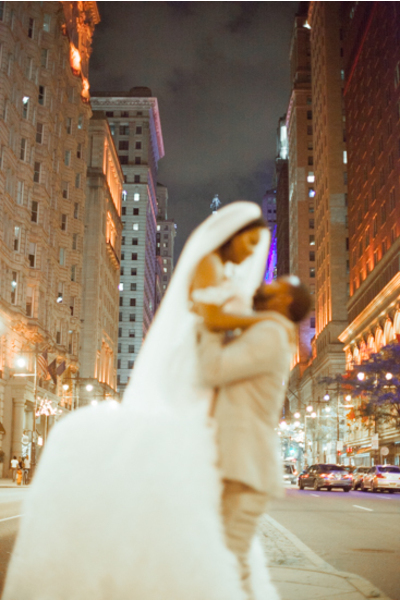 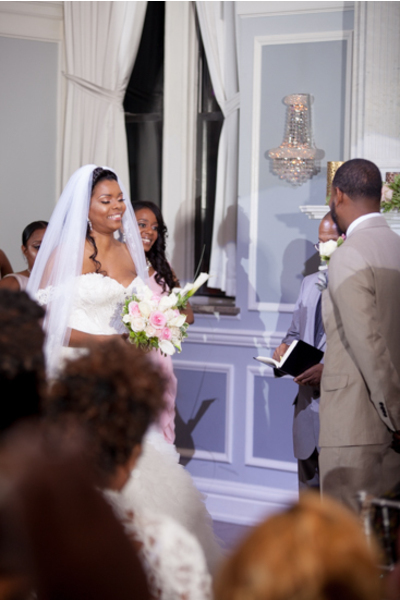 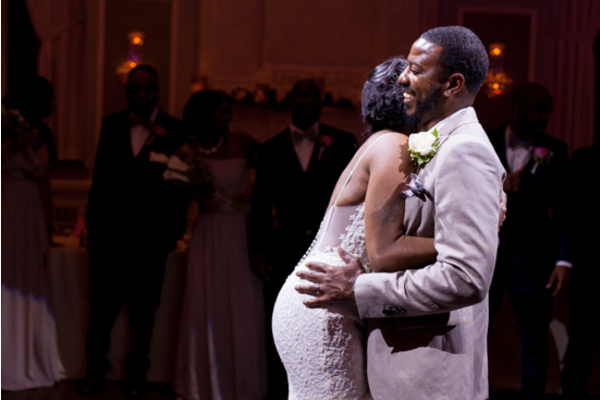 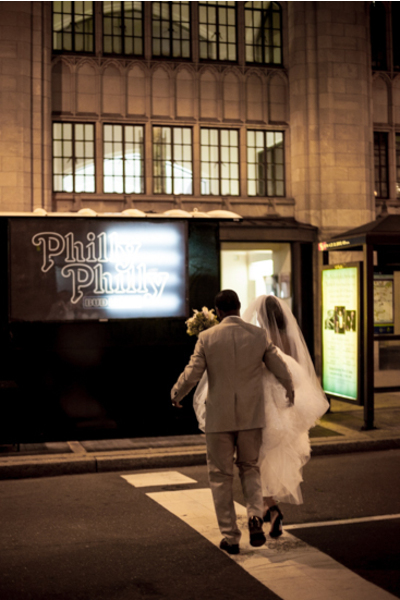 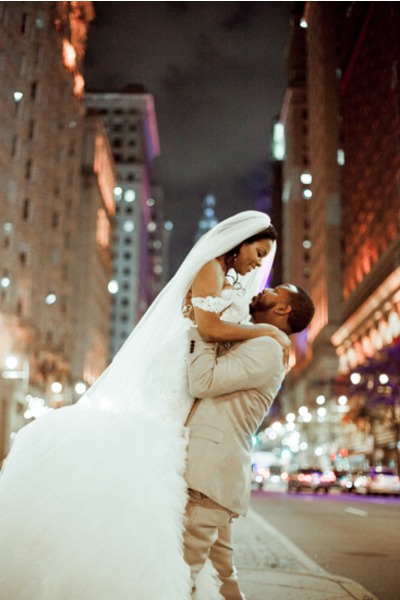 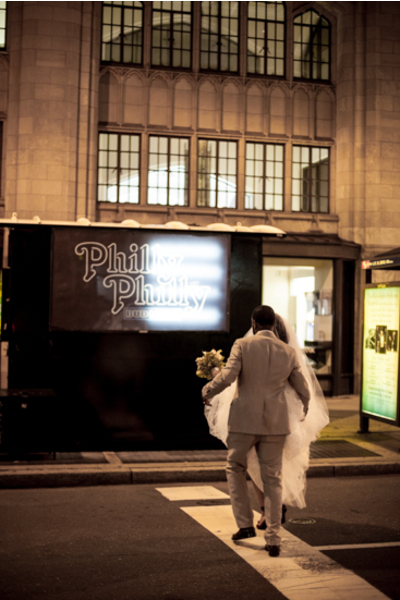 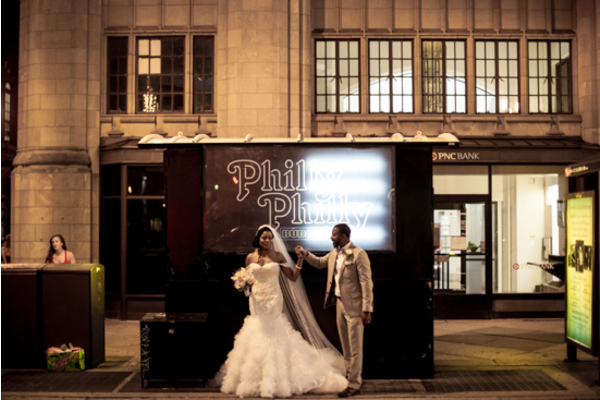 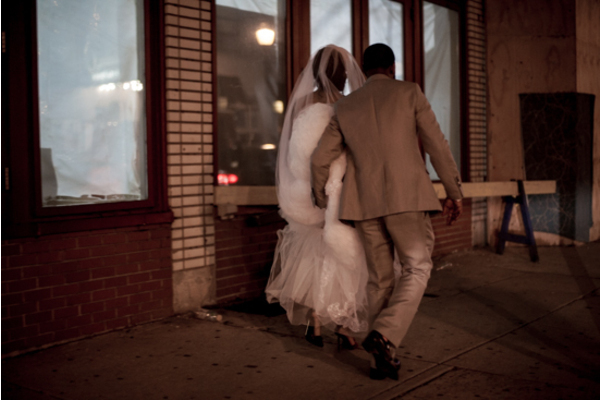 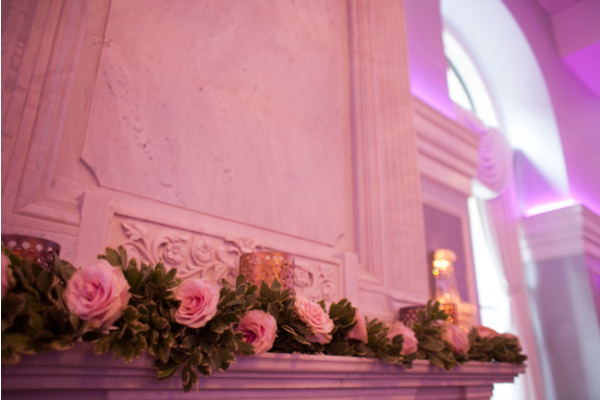 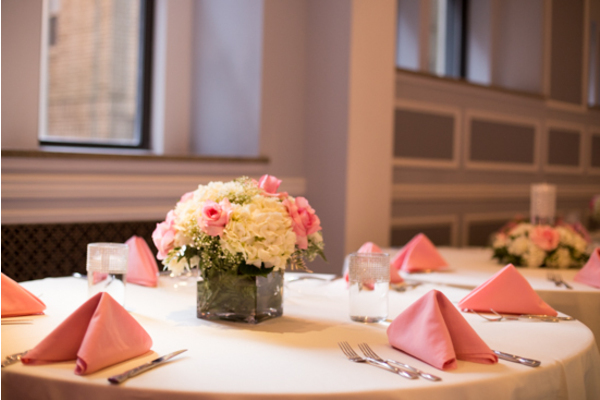 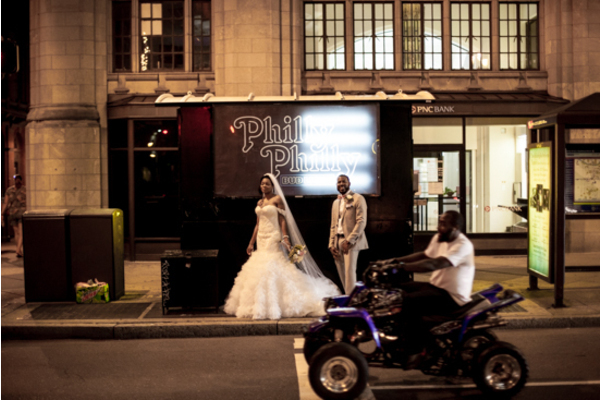 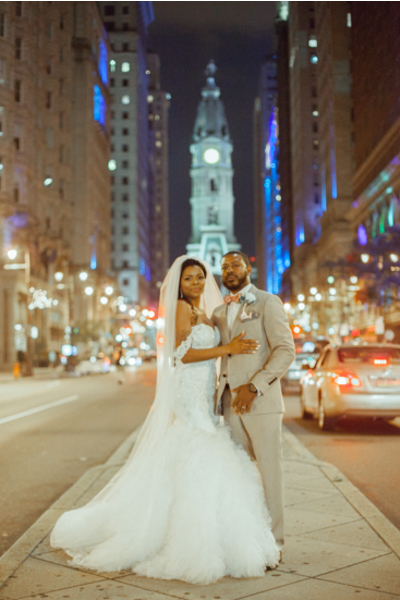 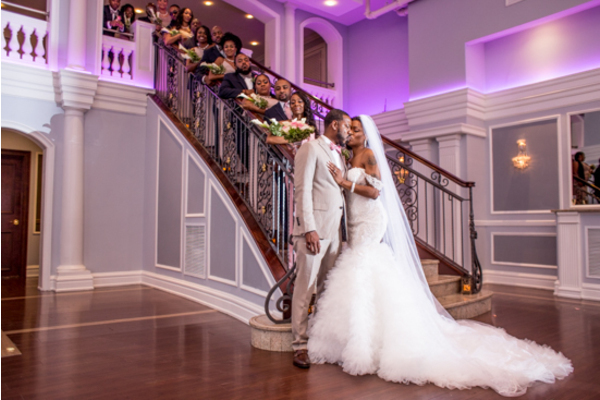 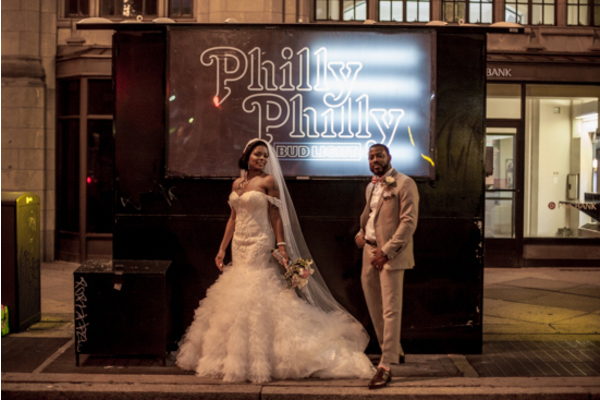 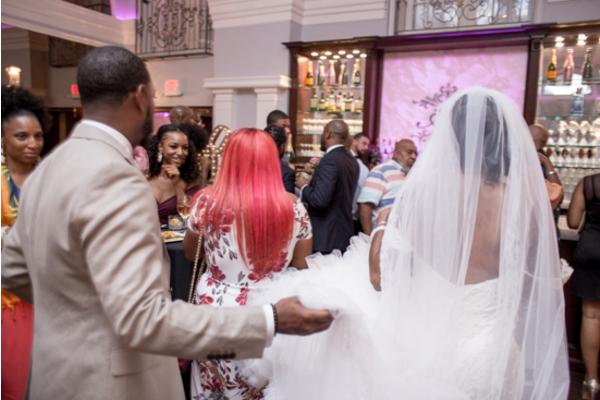 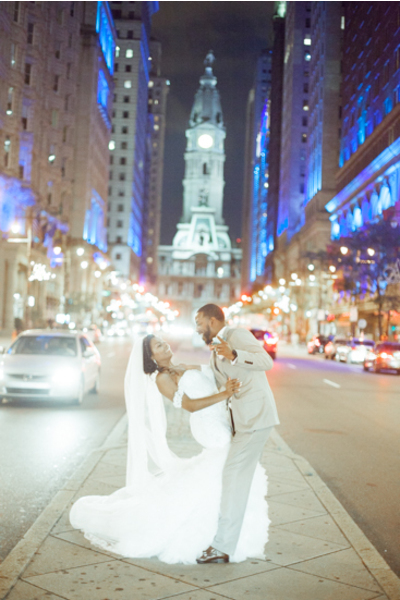 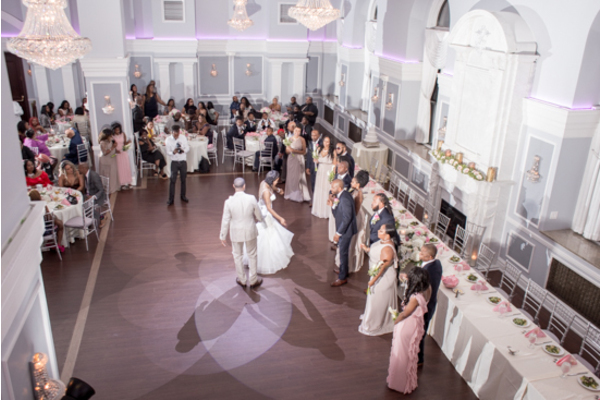 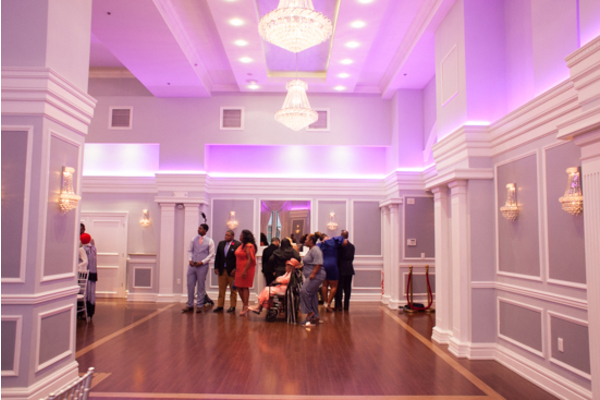 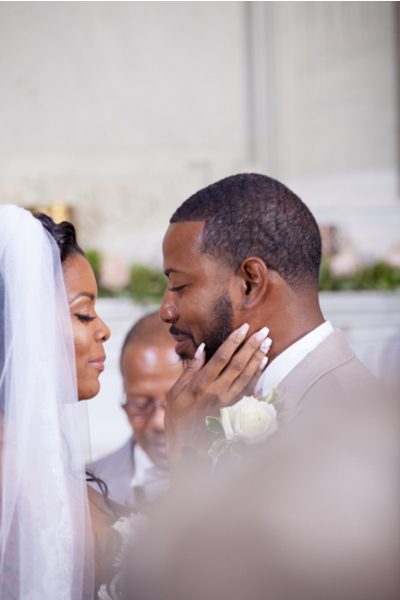 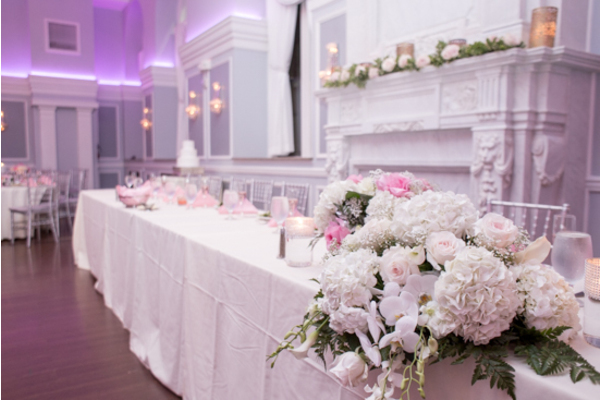 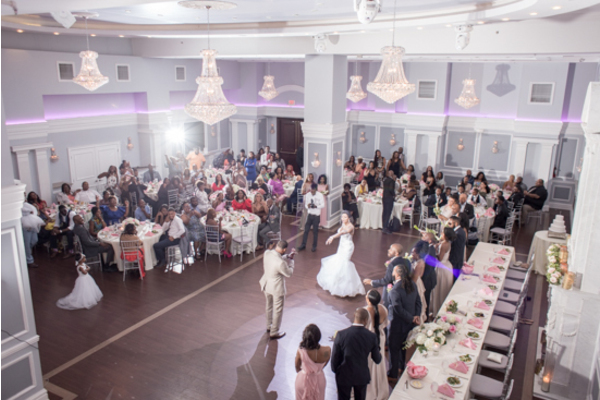 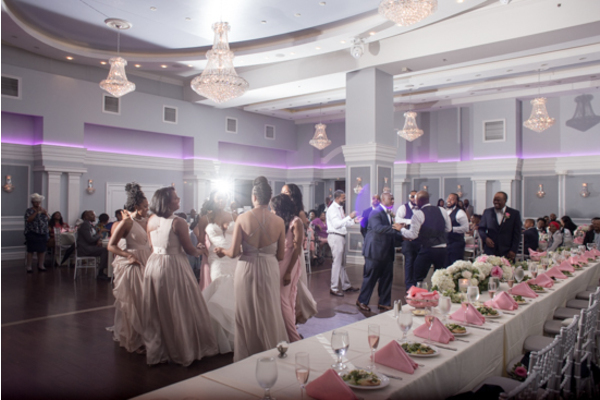 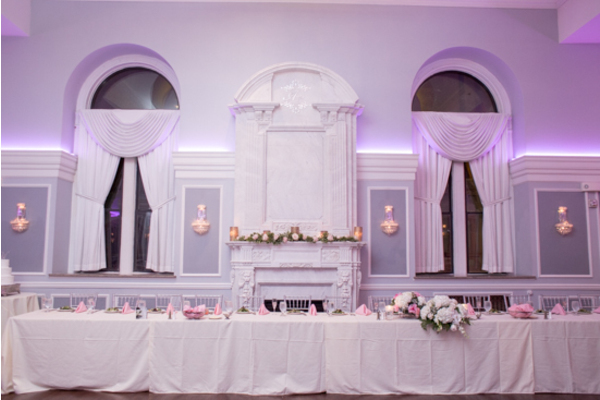 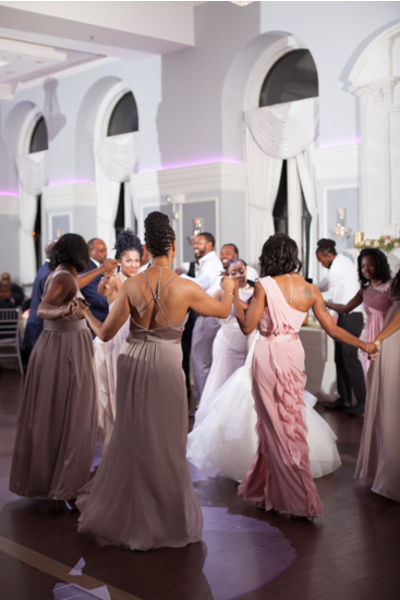 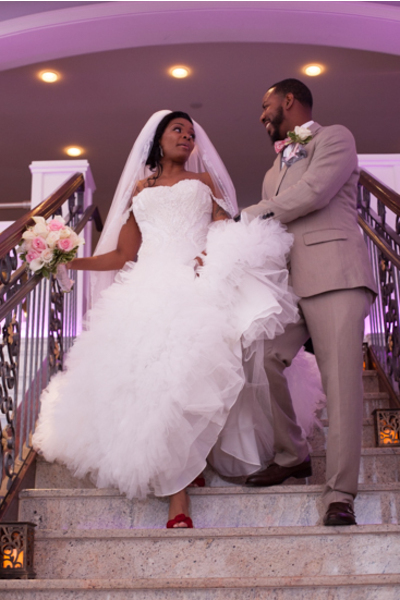 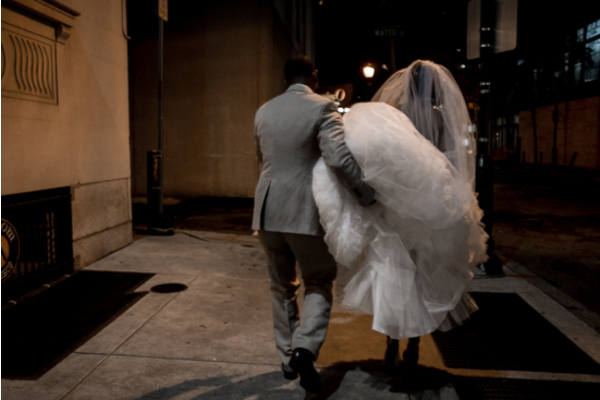 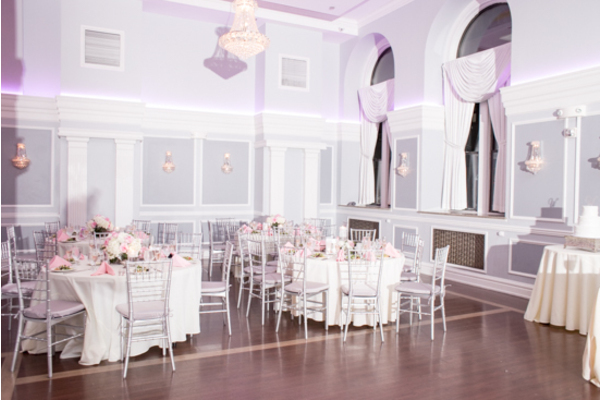 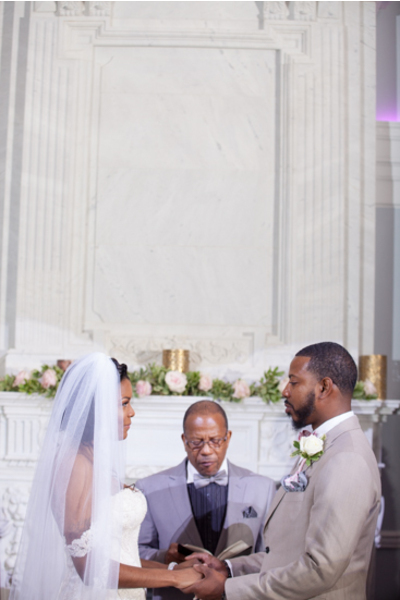 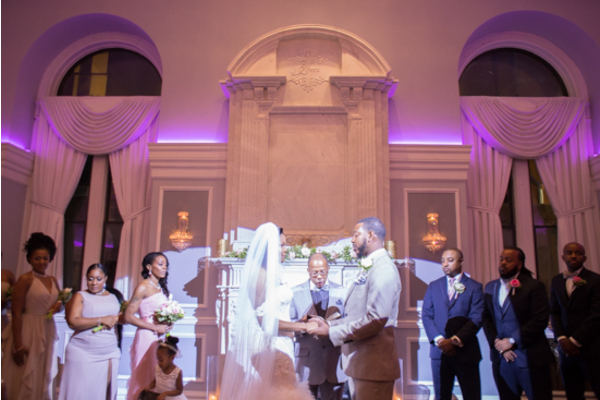 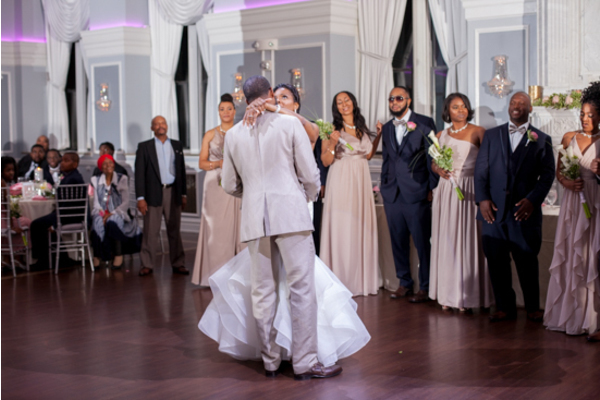 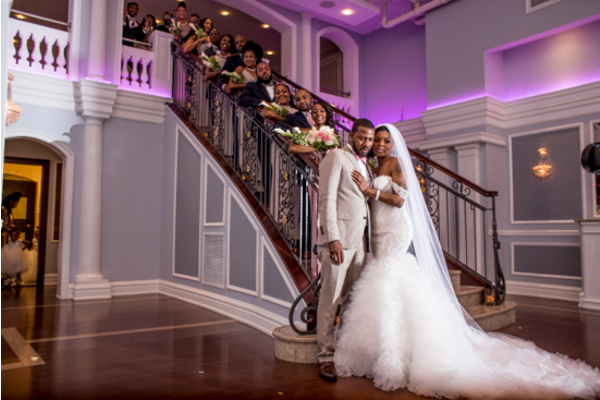 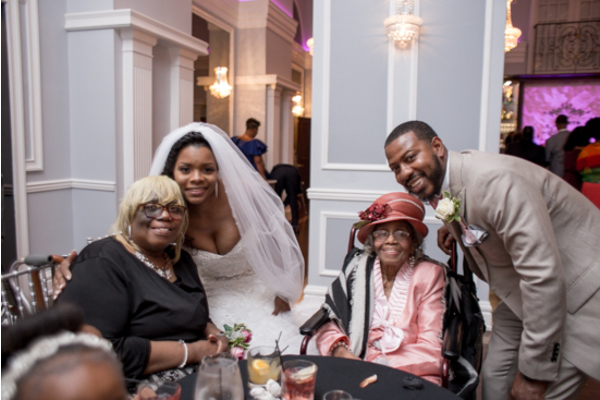 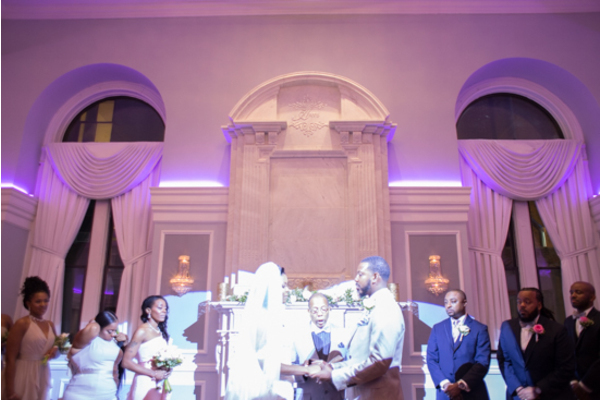 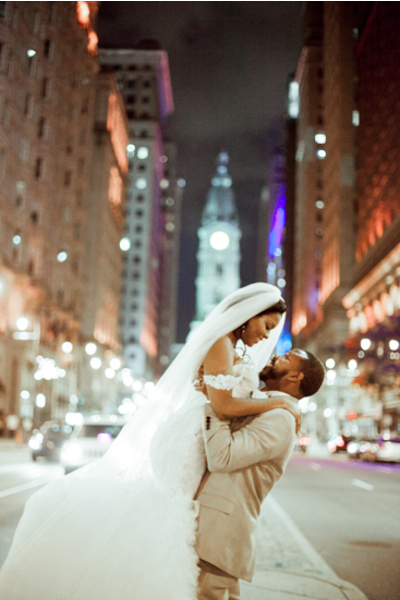 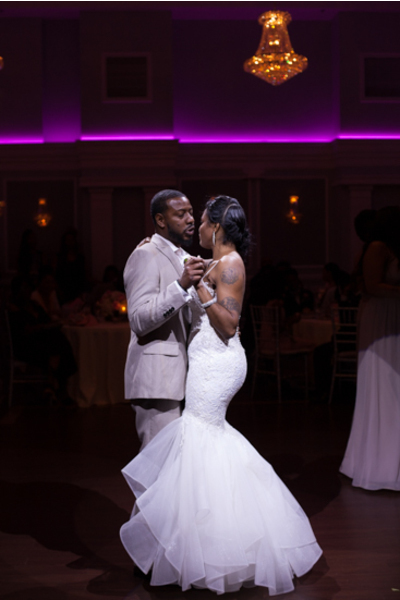 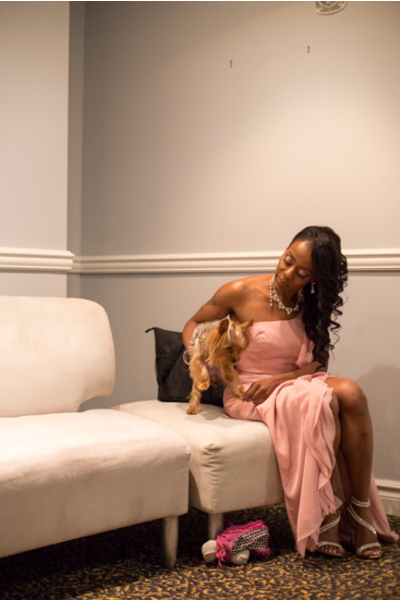 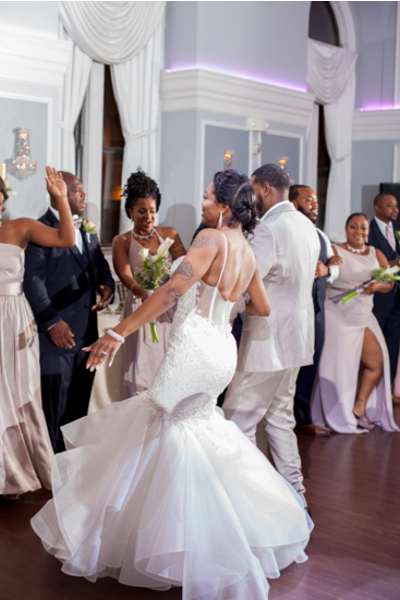 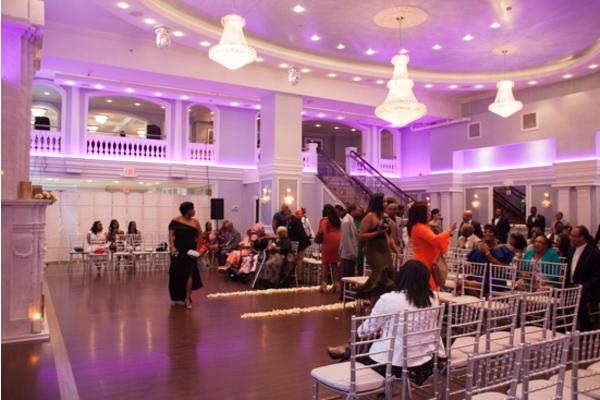 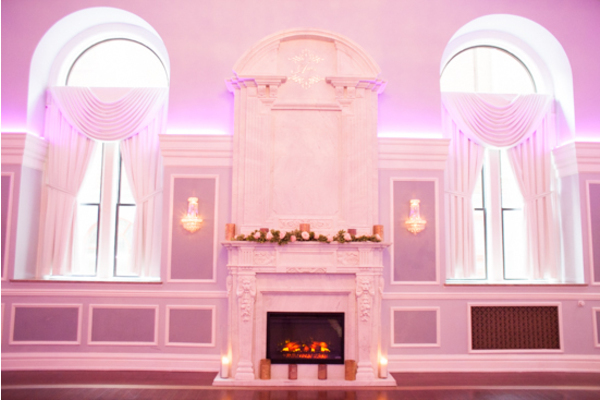 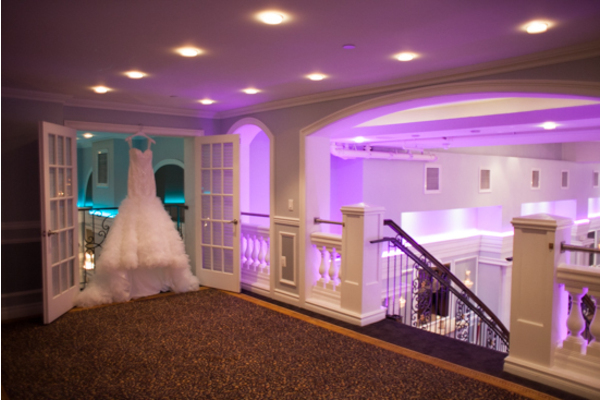 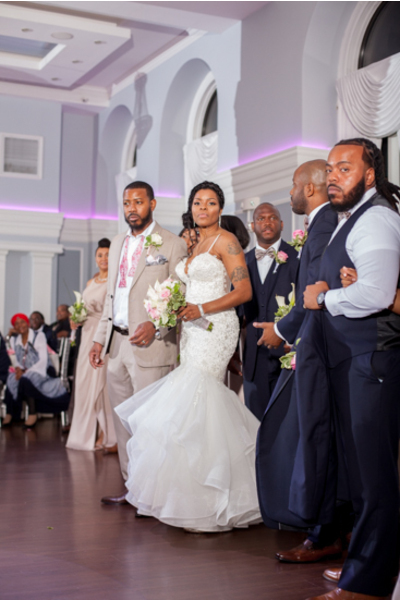 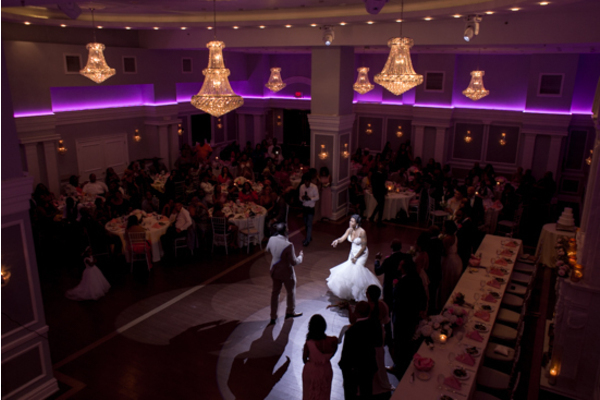 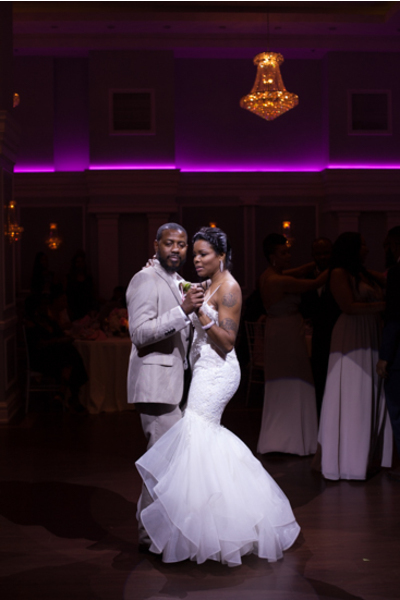 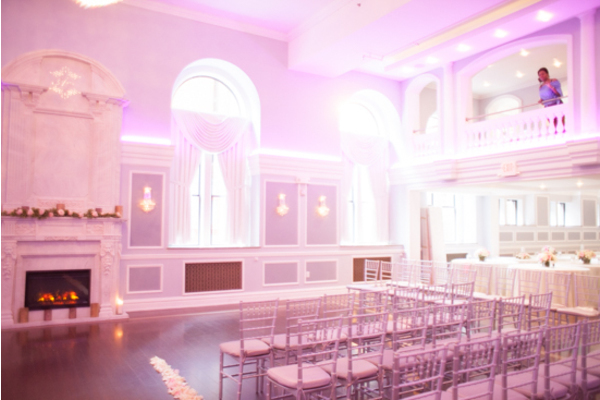 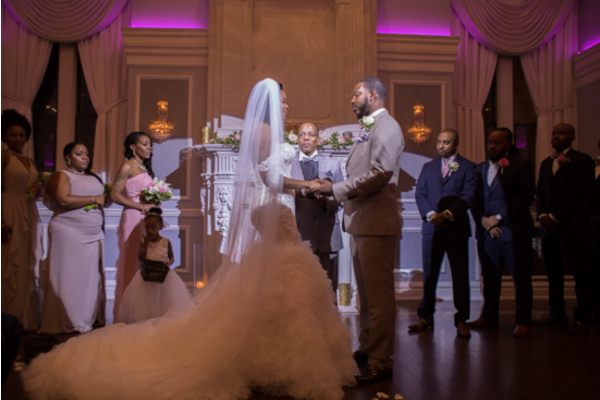 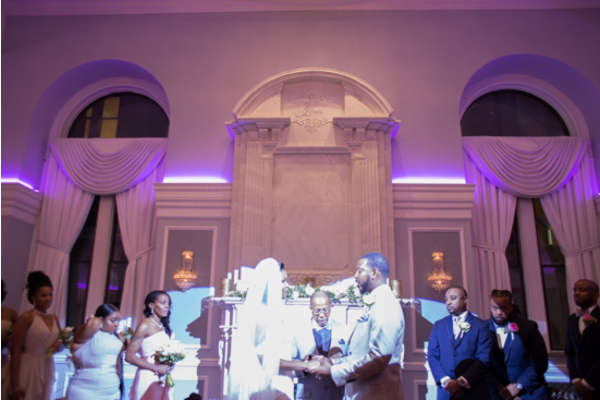 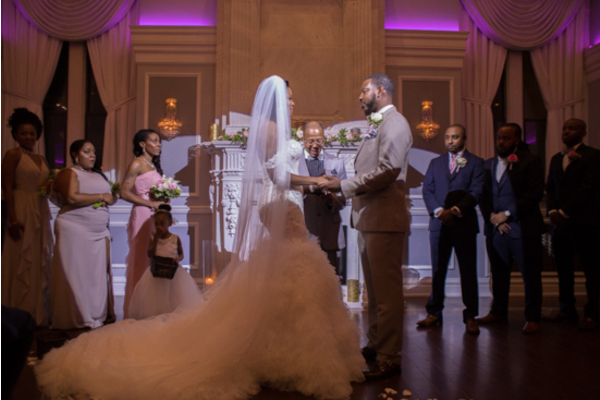 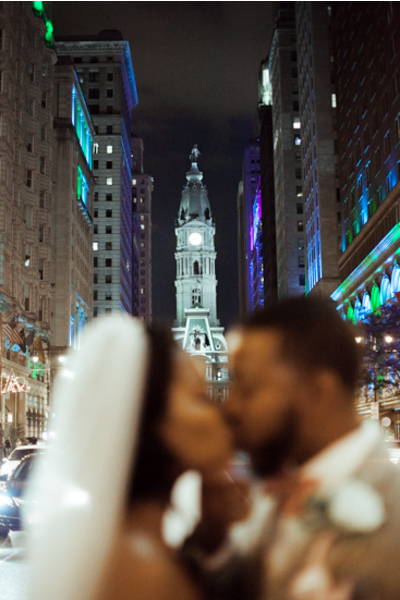 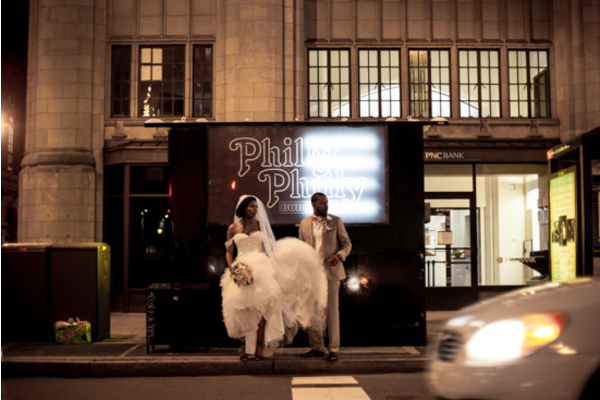 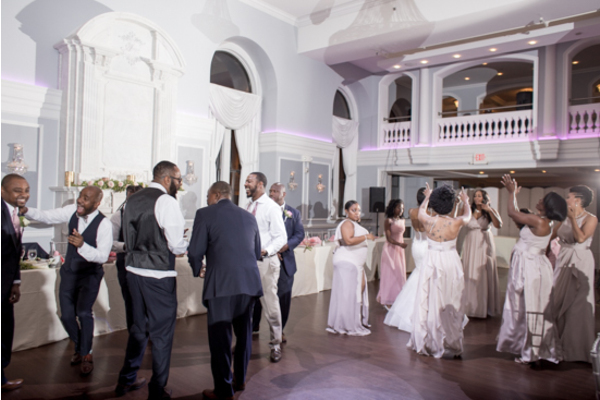 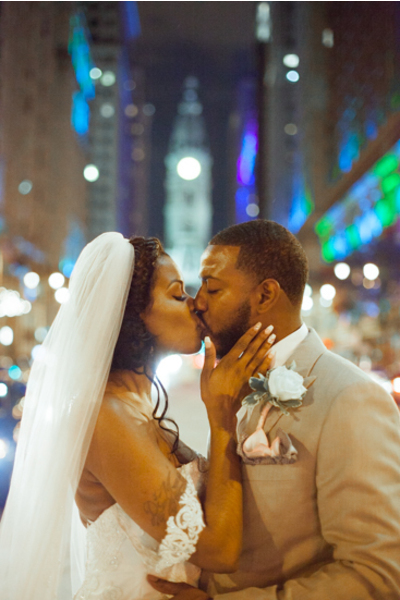 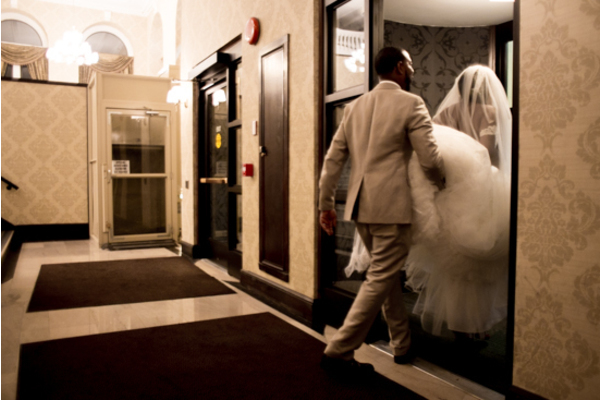 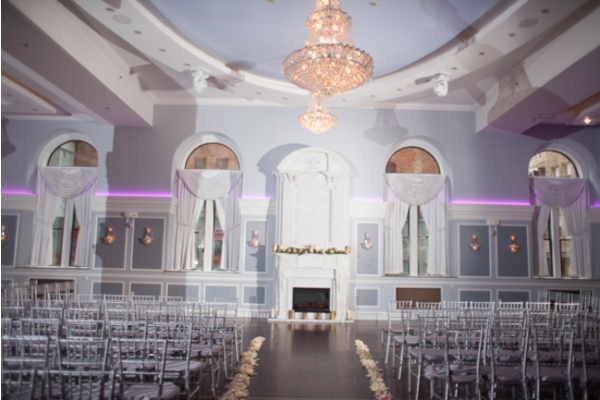 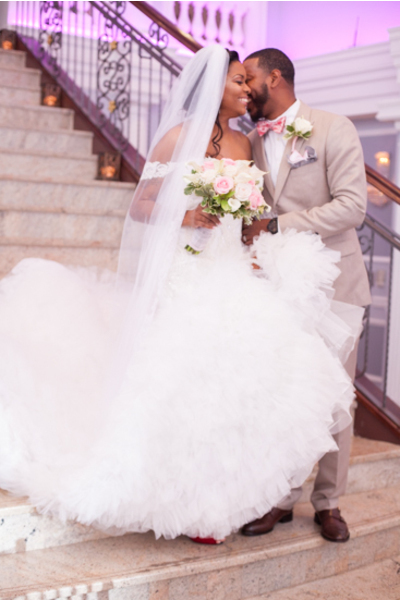 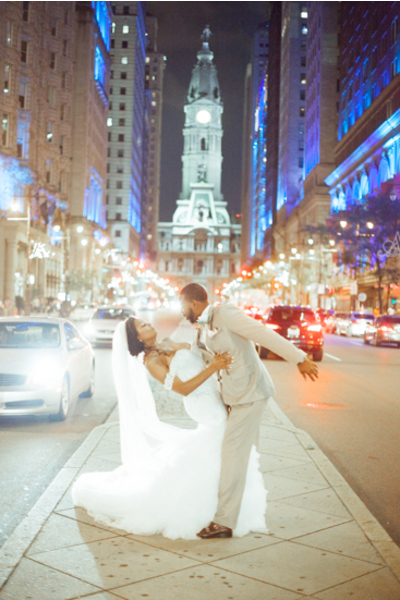 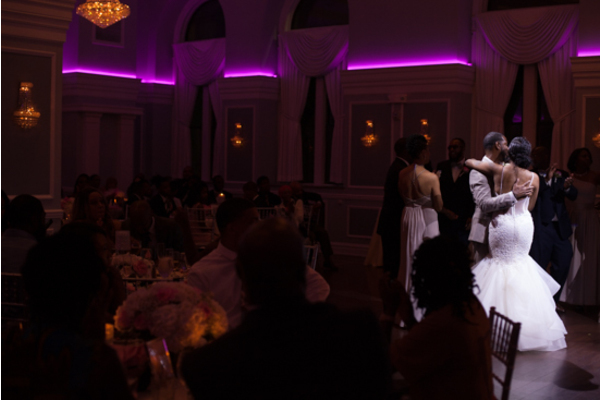 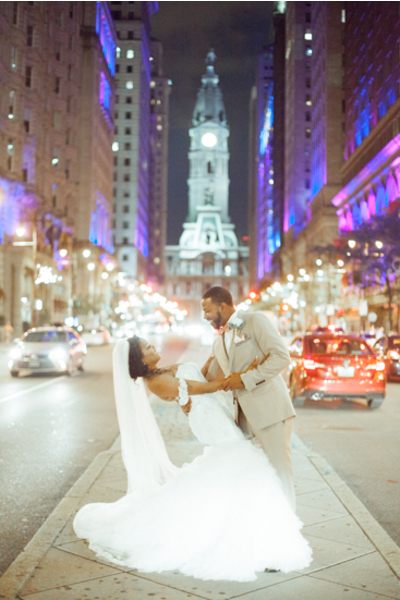 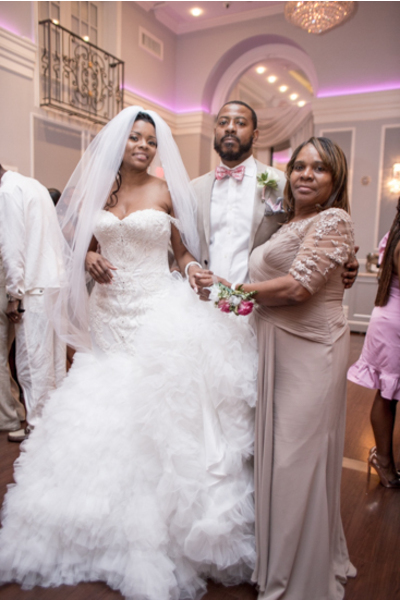 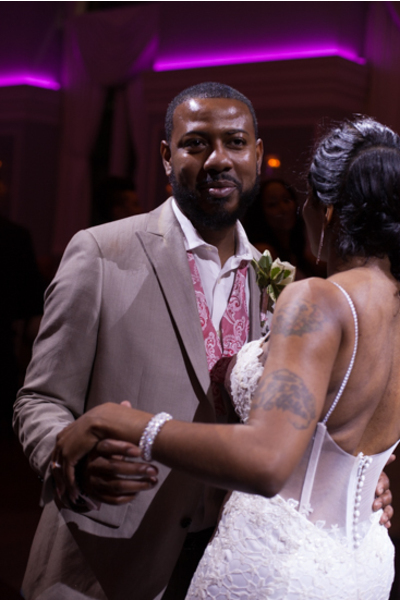 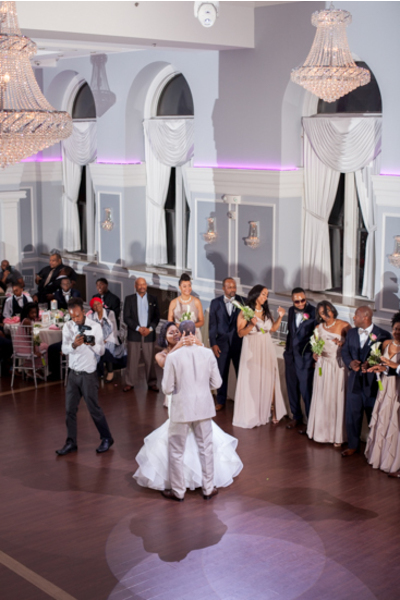 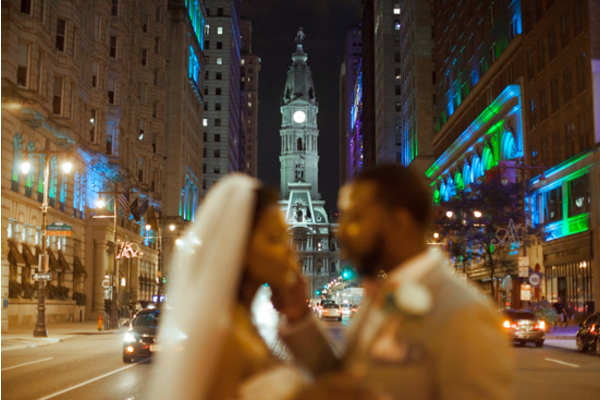 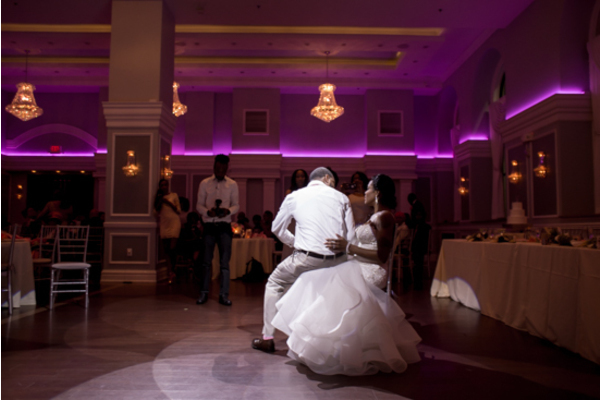 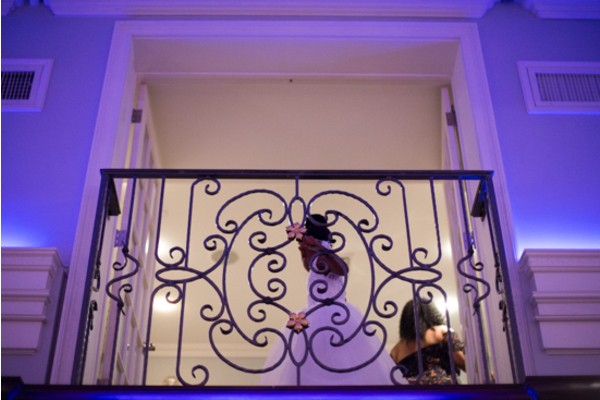 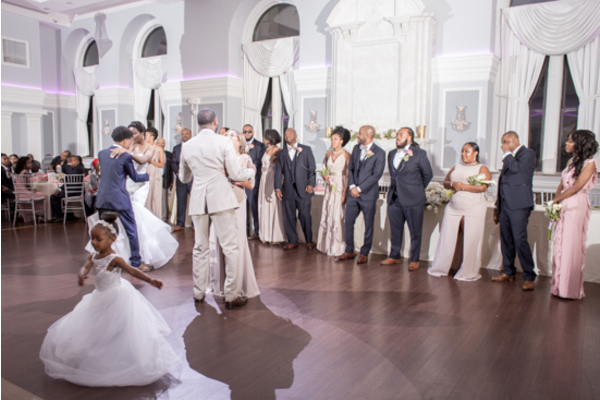 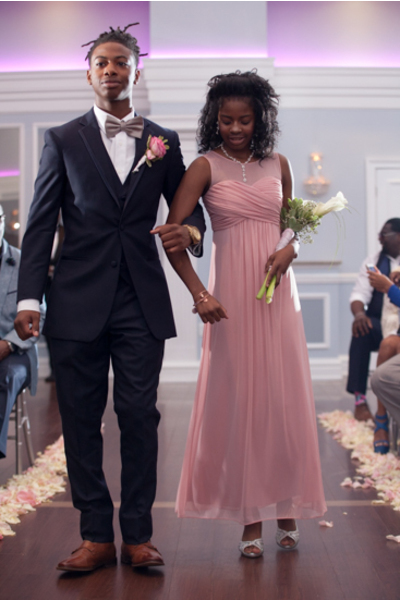 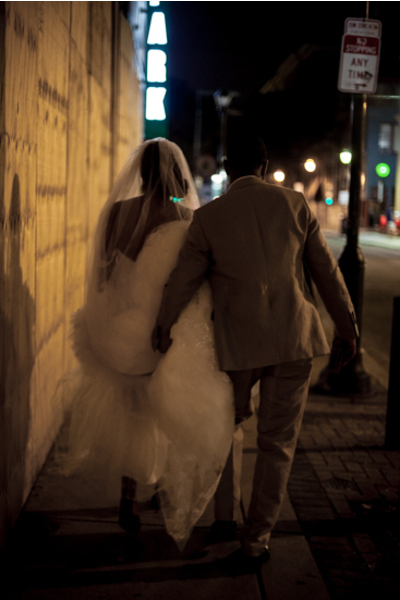 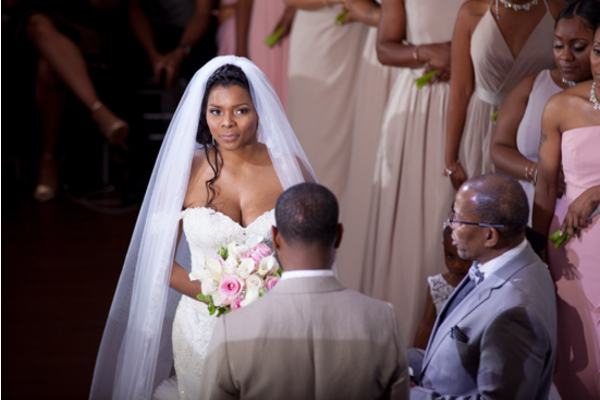 This glamorous couple celebrated their wedding on an August night at the beautiful Arts Ballroom in Philadelphia, PA. 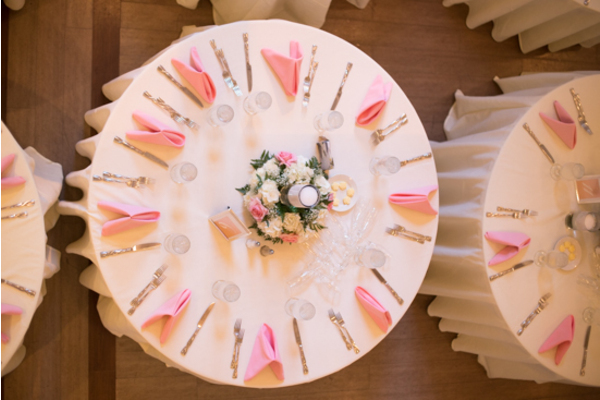 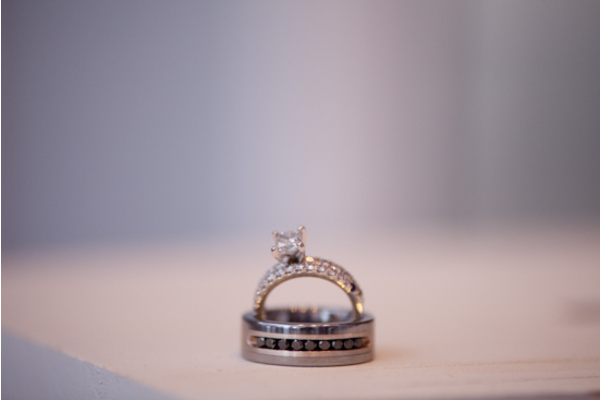 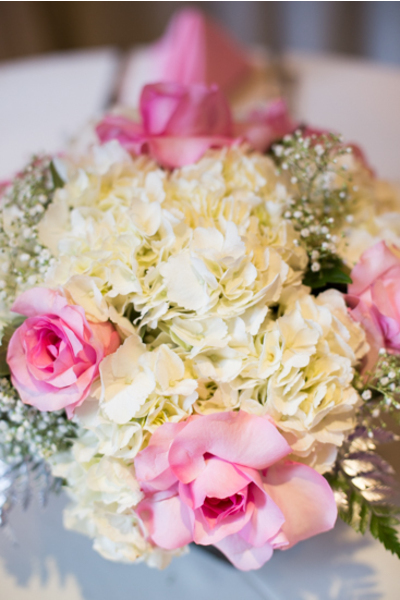 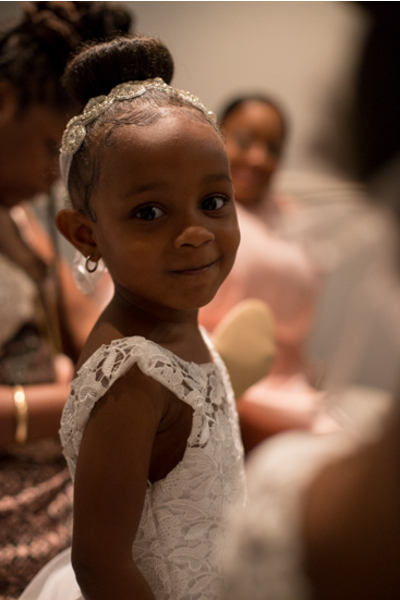 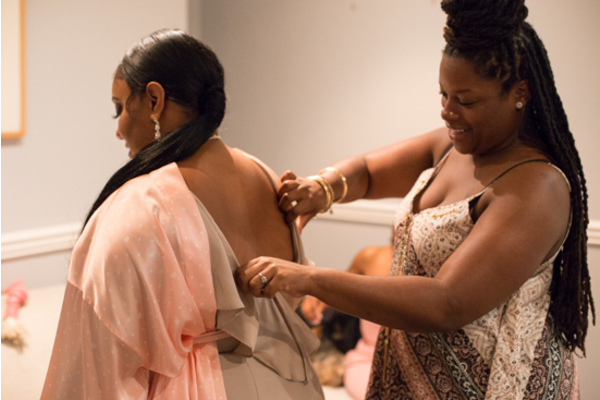 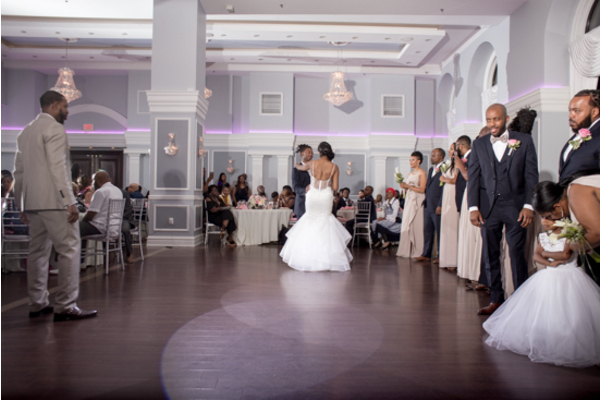 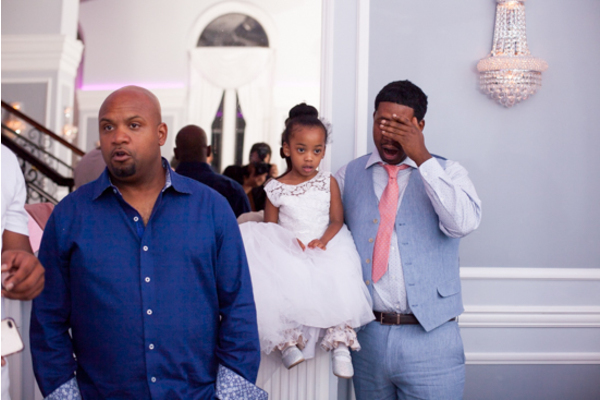 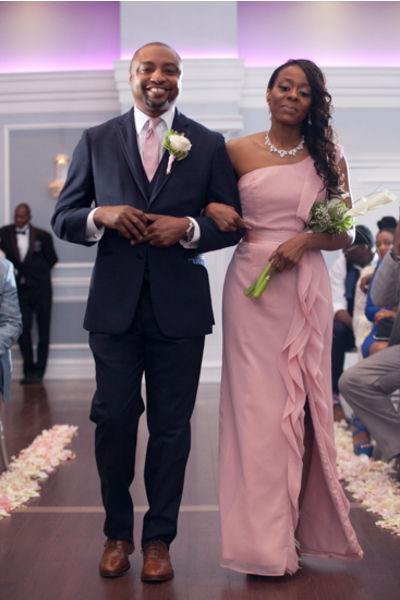 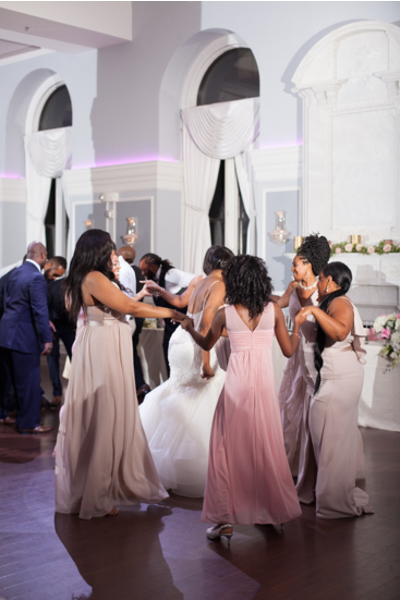 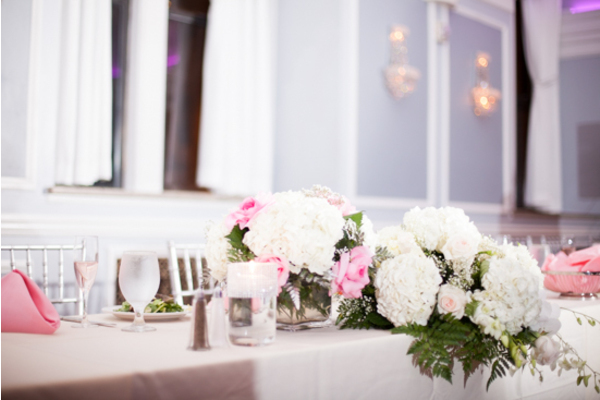 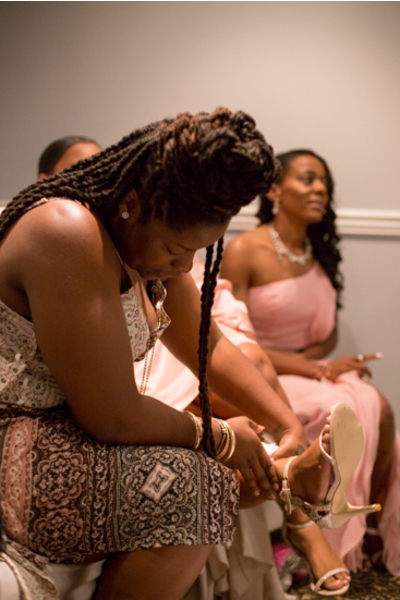 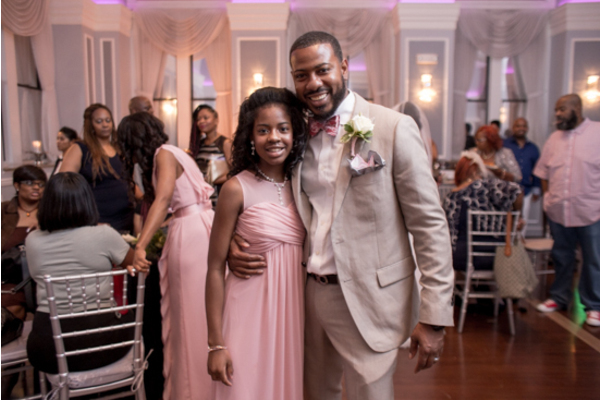 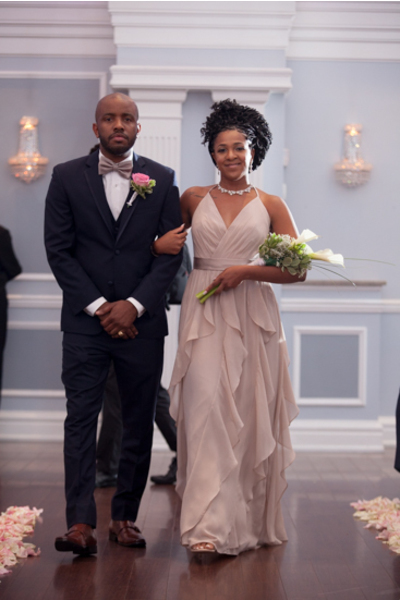 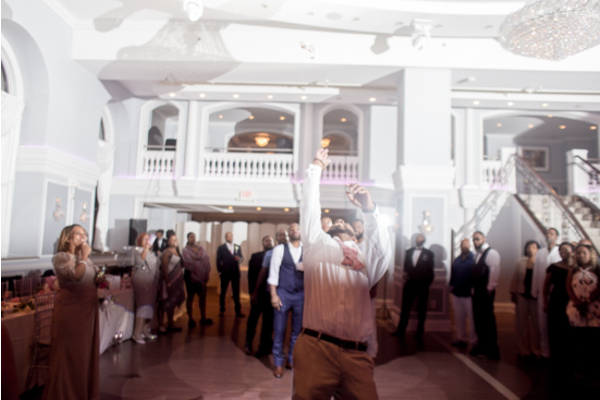 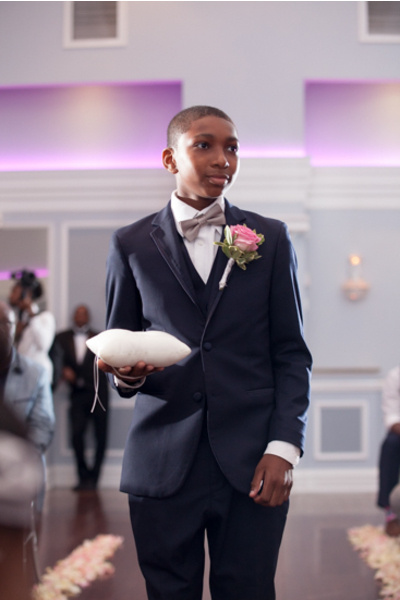 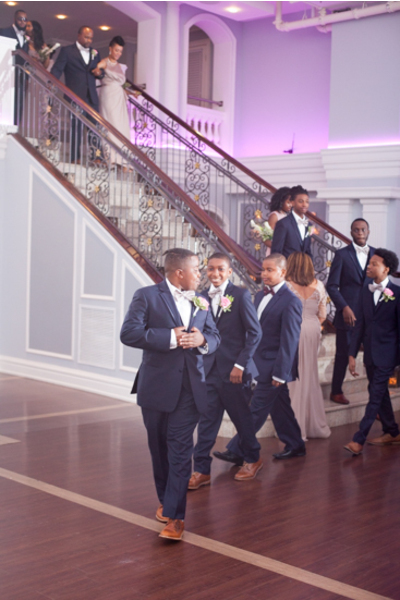 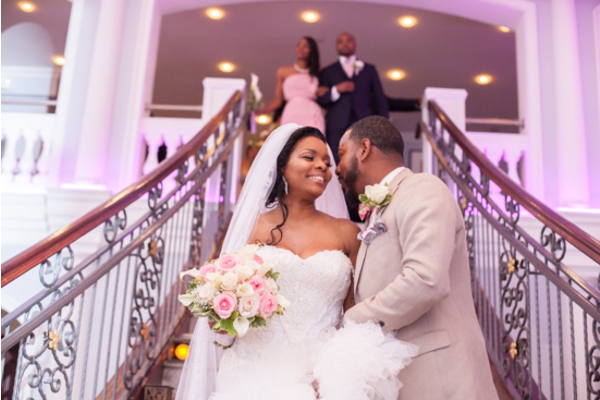 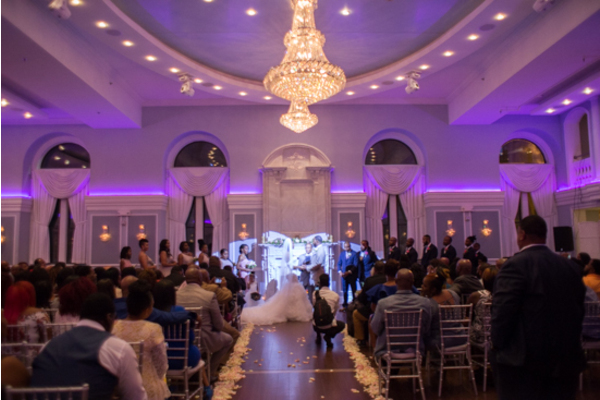 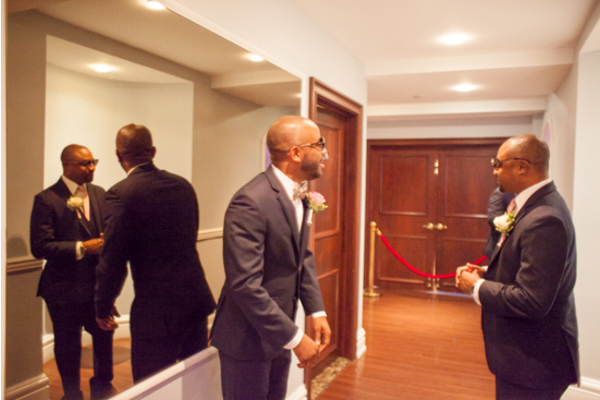 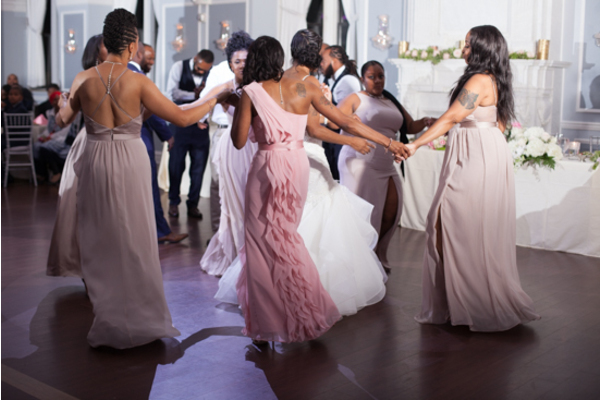 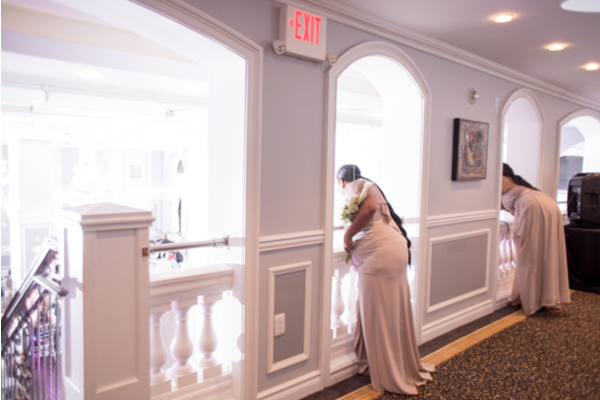 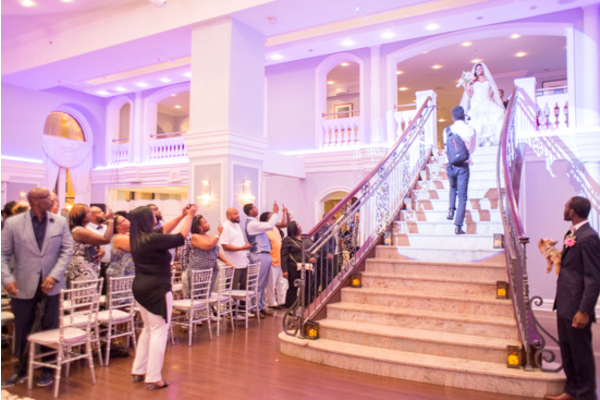 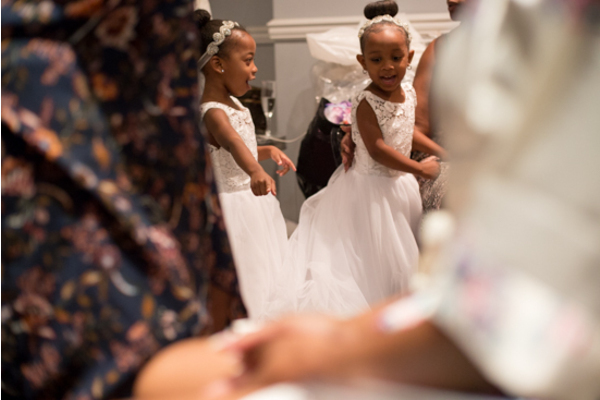 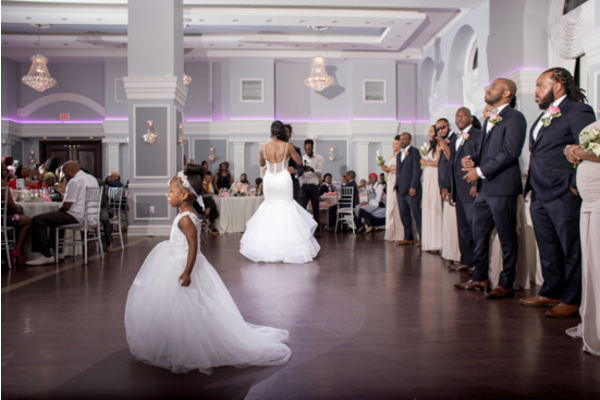 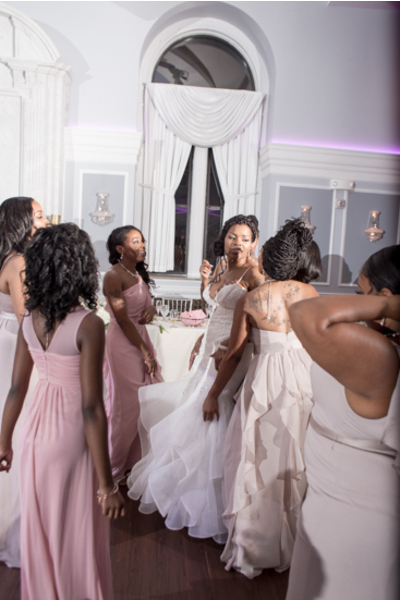 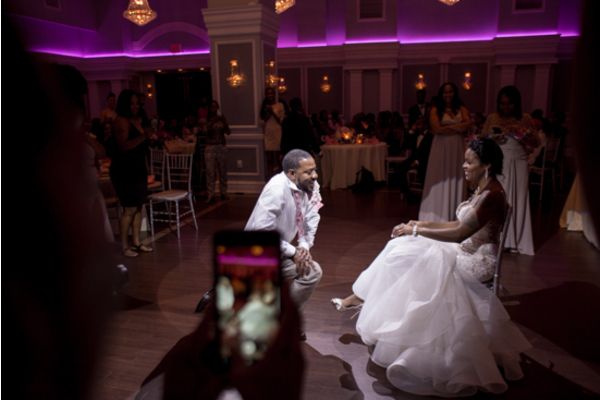 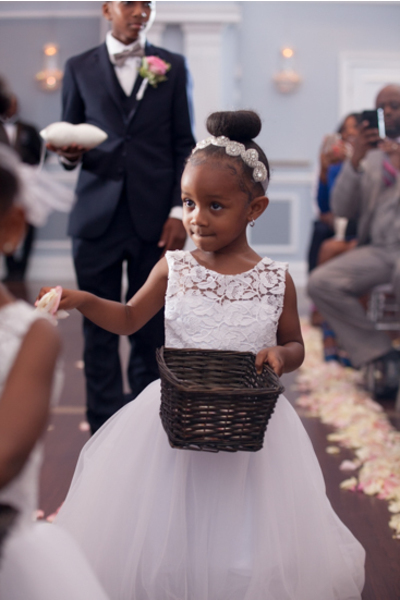 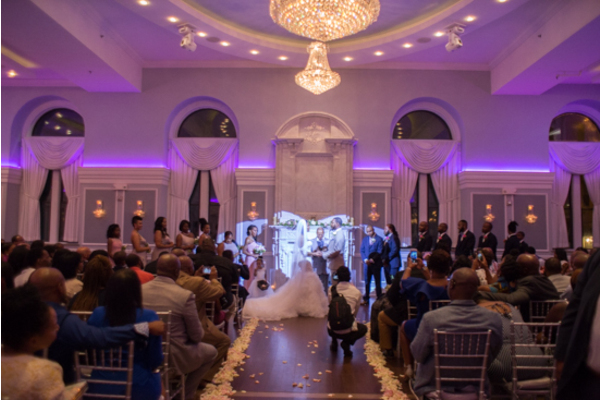 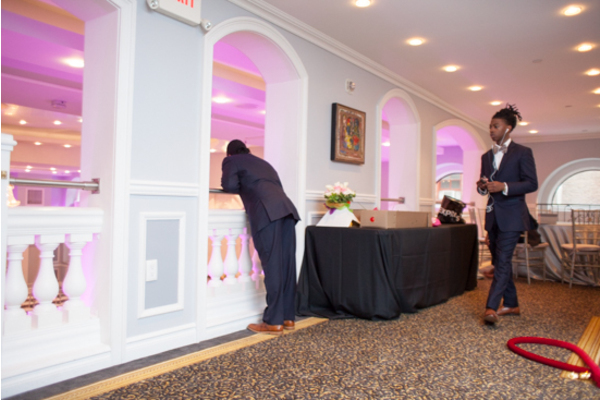 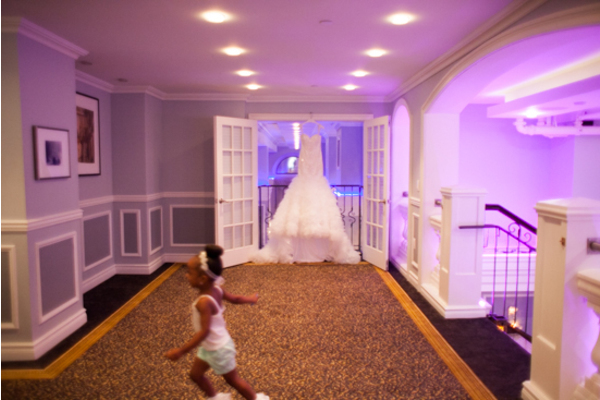 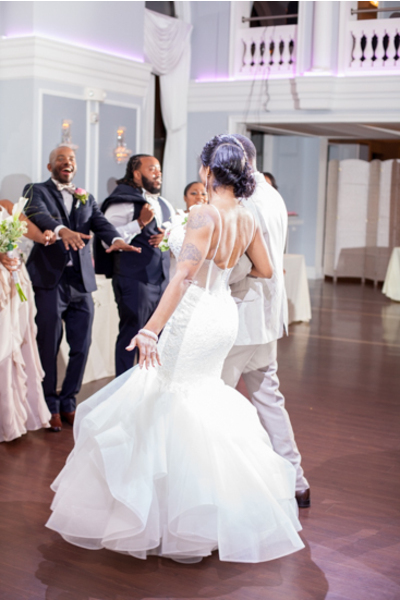 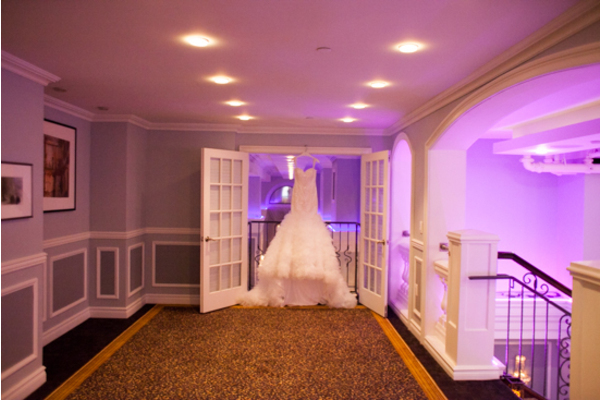 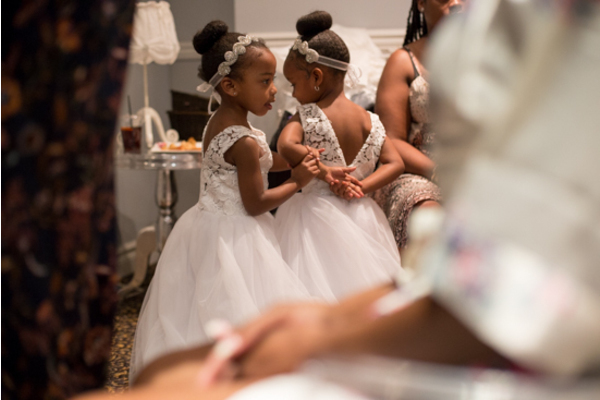 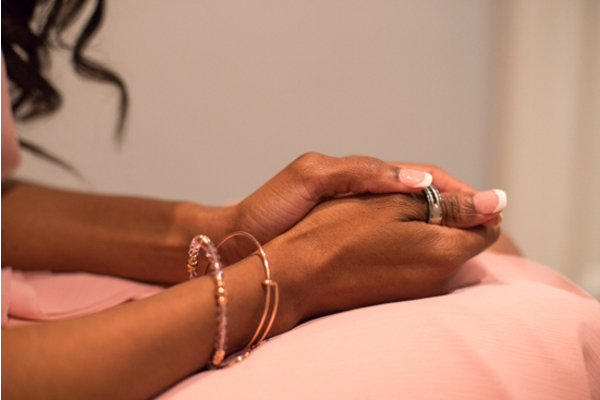 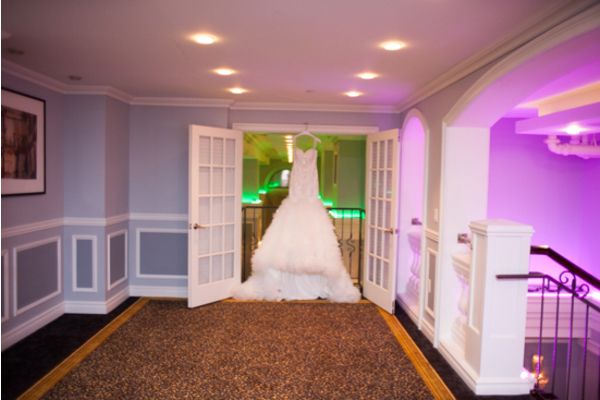 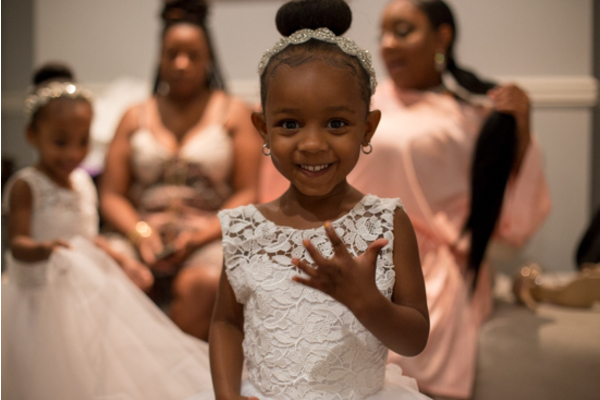 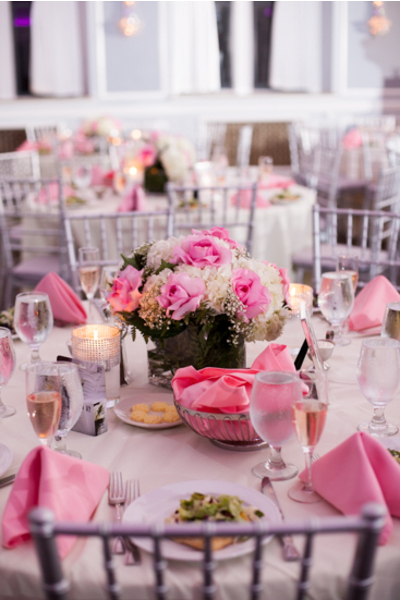 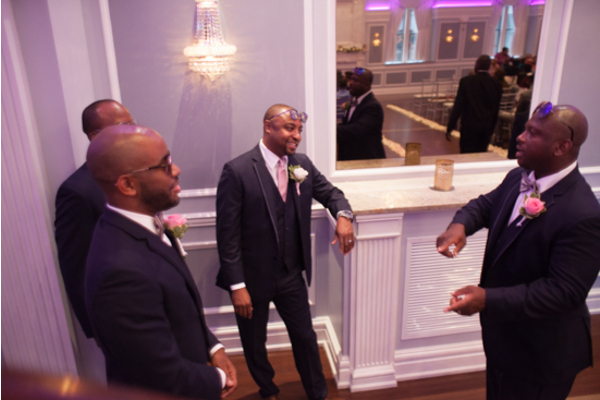 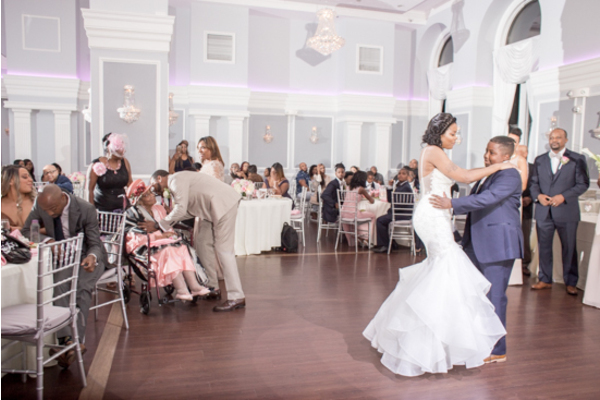 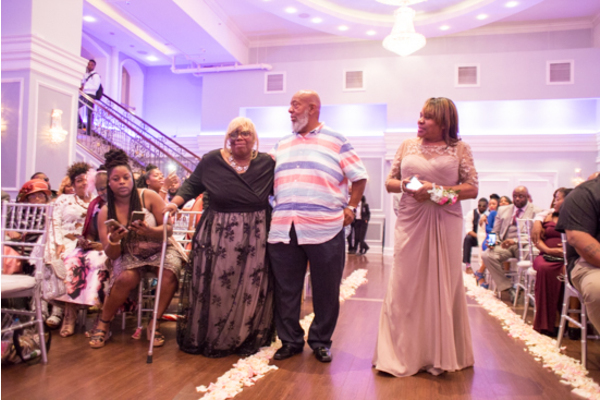 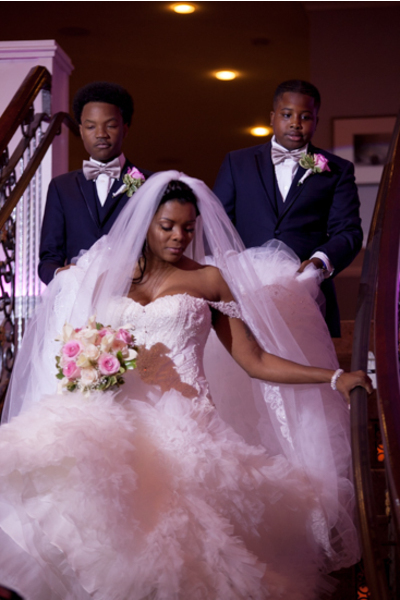 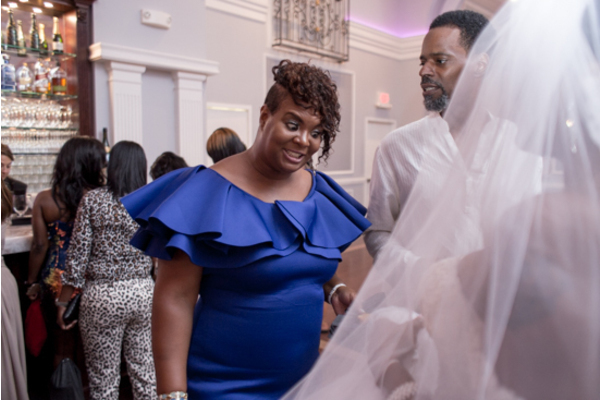 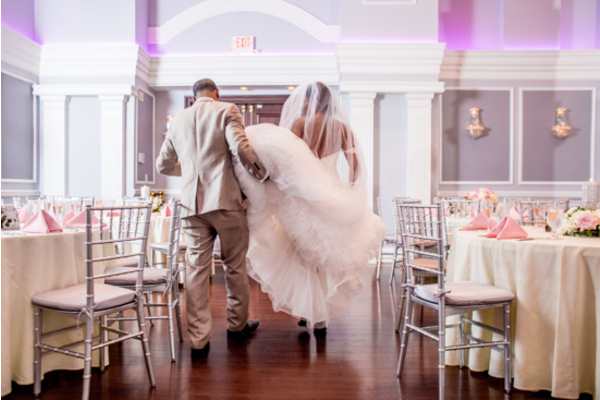 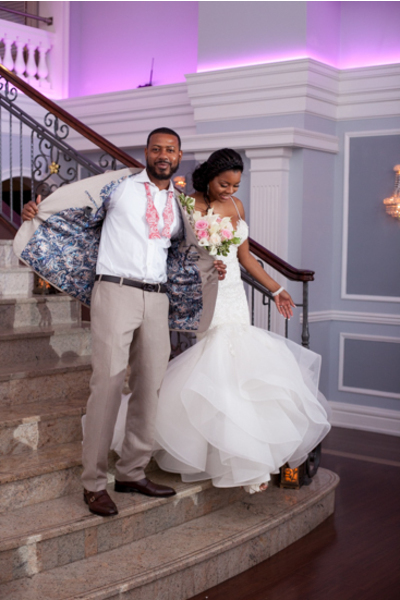 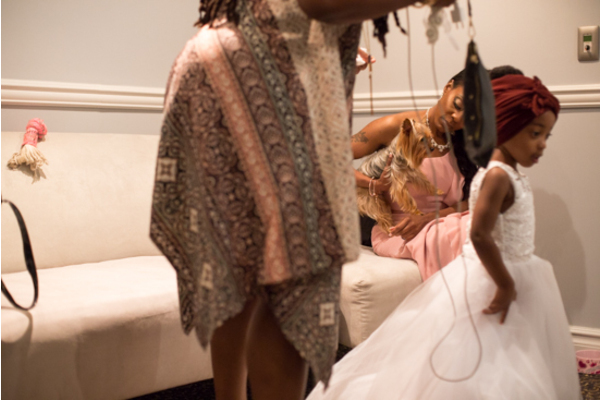 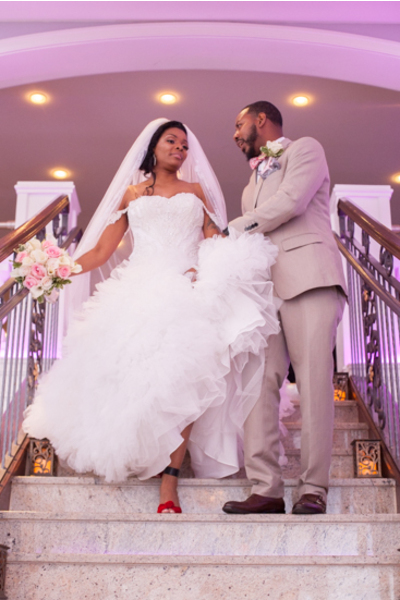 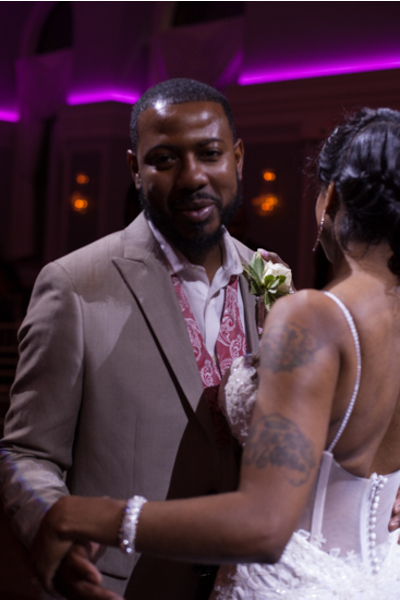 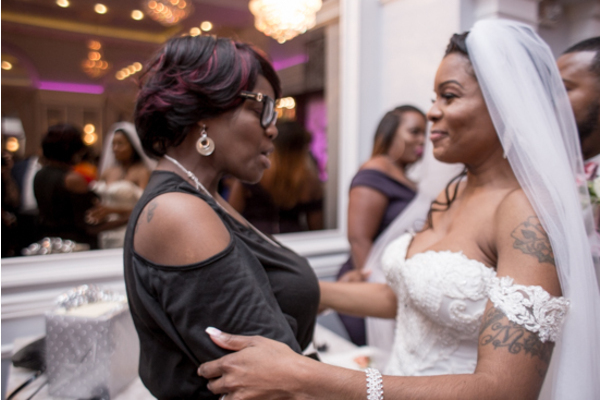 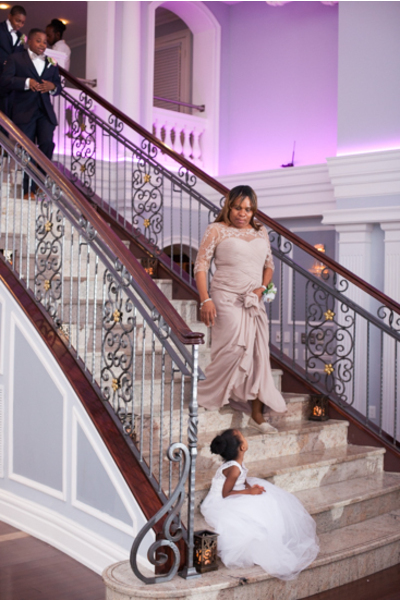 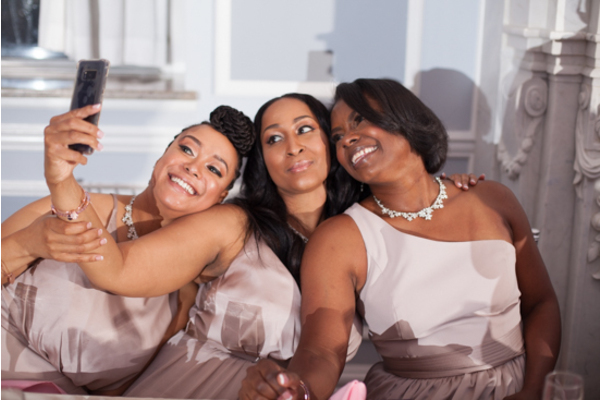 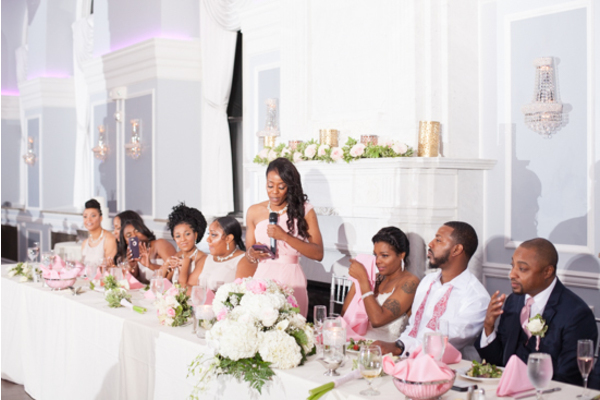 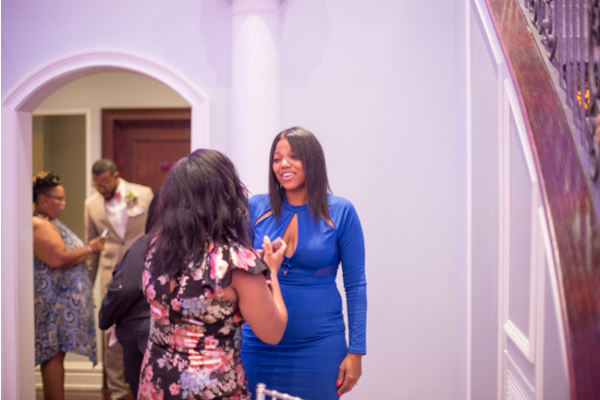 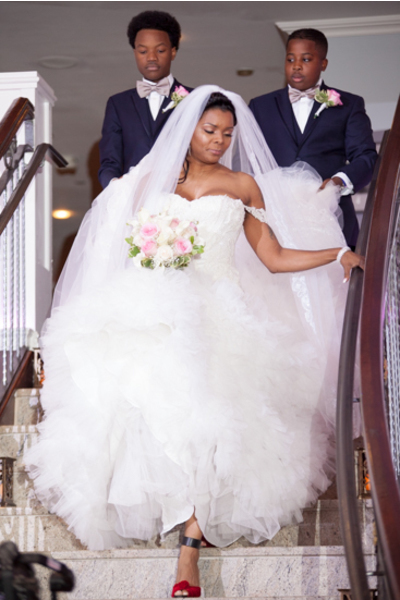 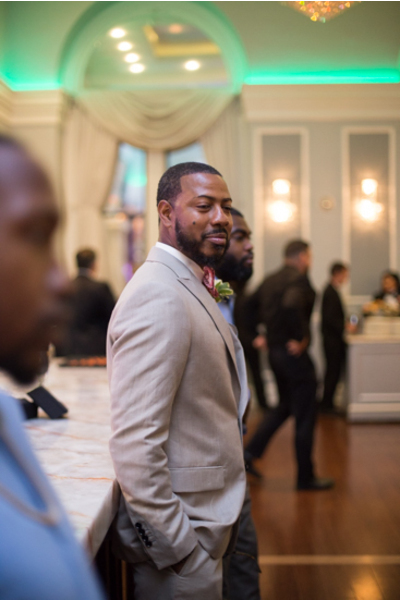 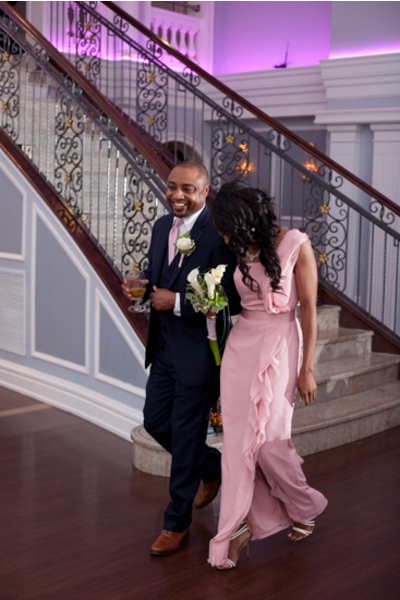 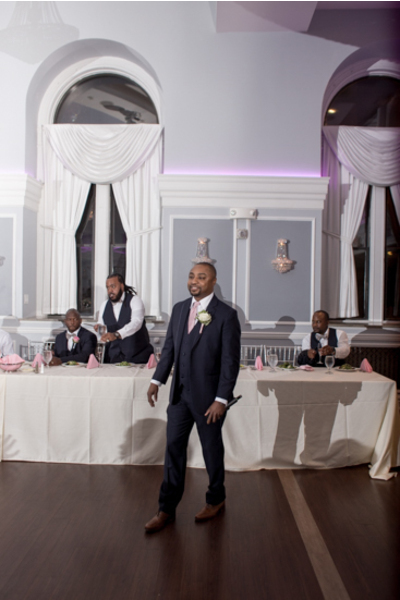 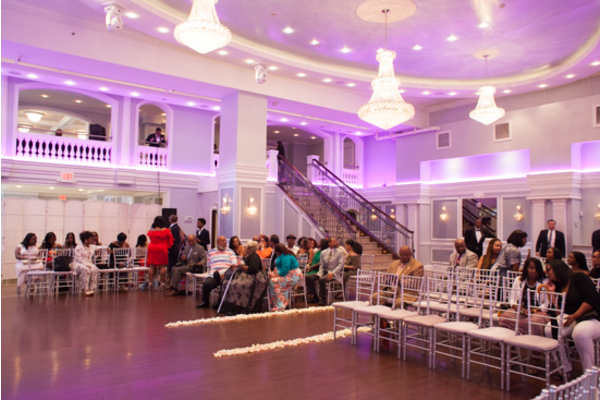 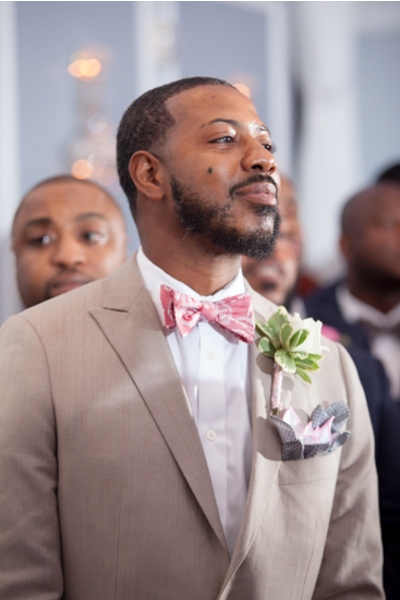 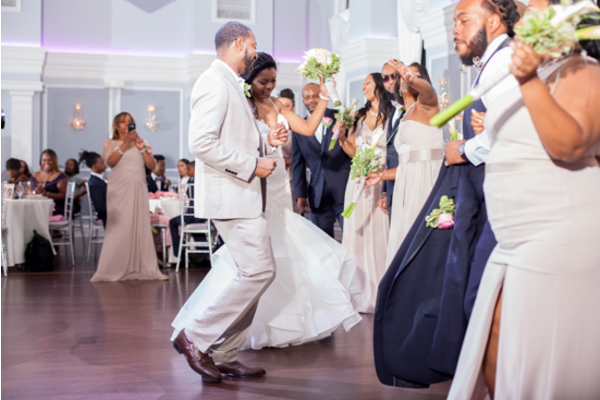 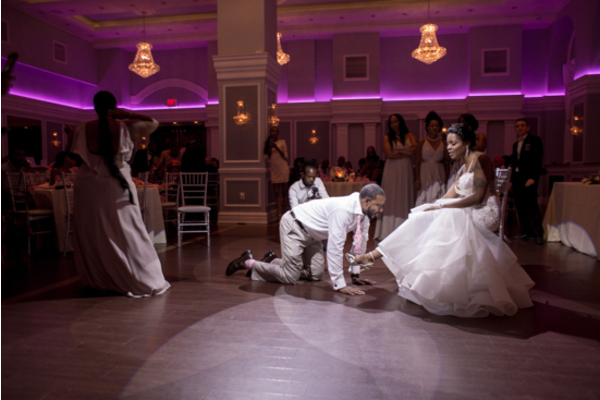 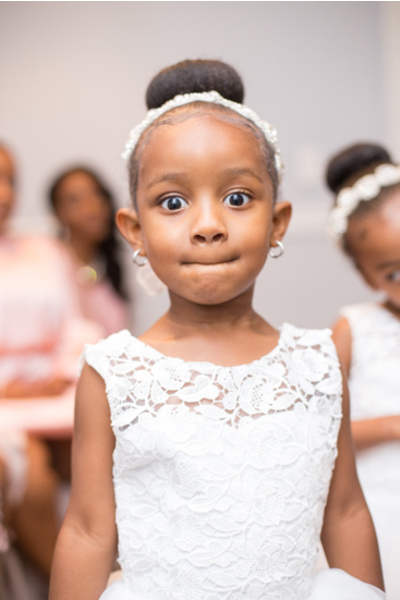 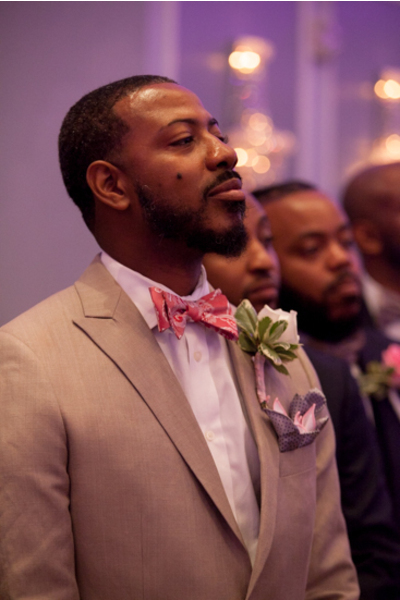 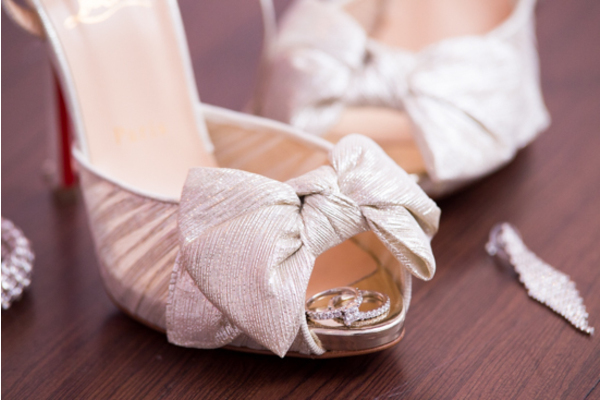 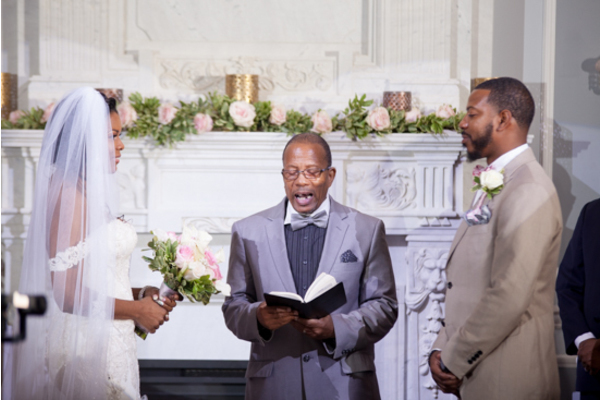 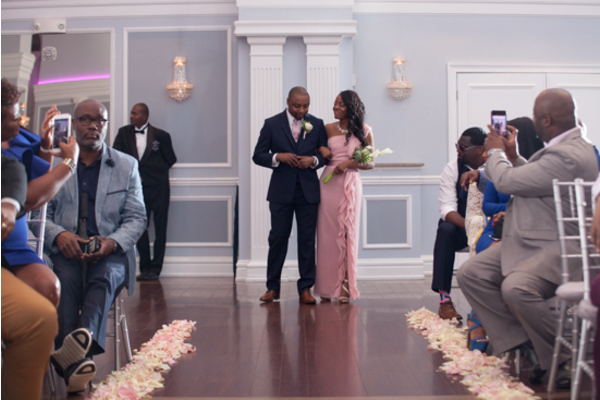 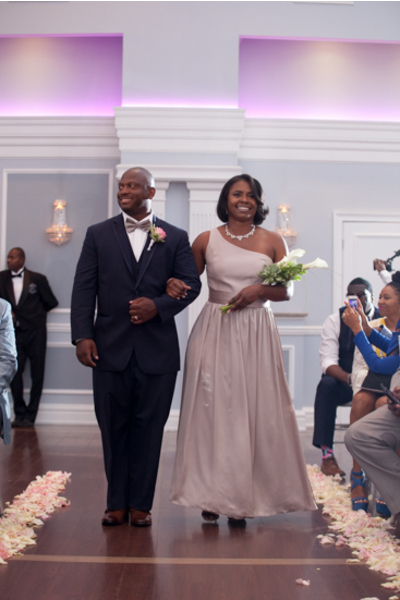 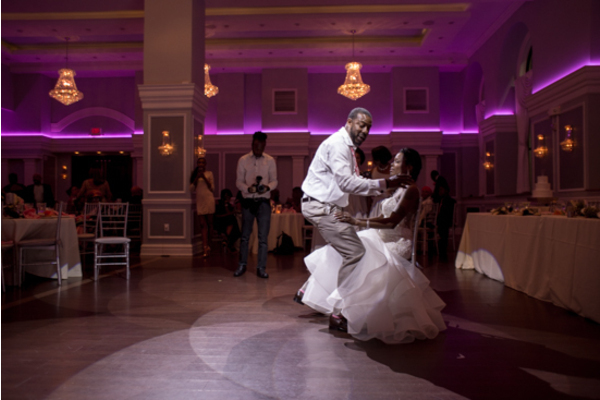 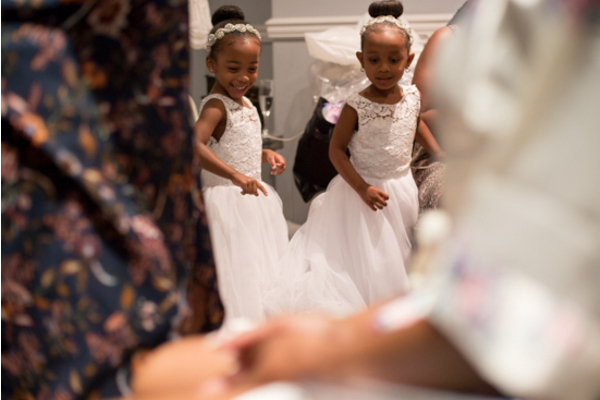 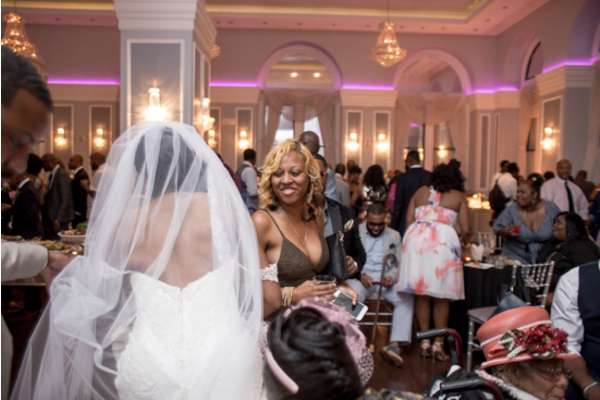 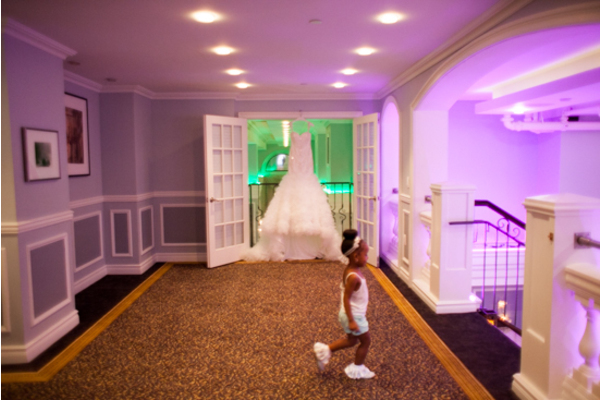 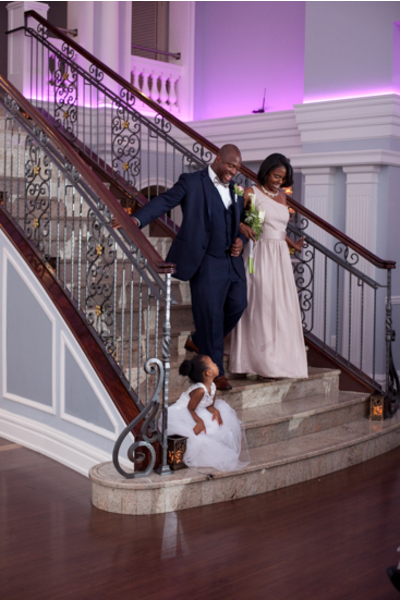 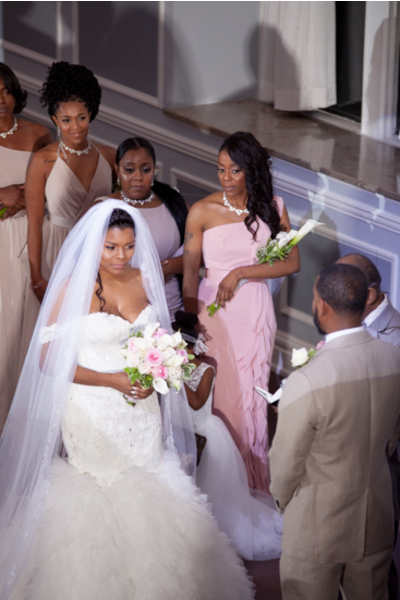 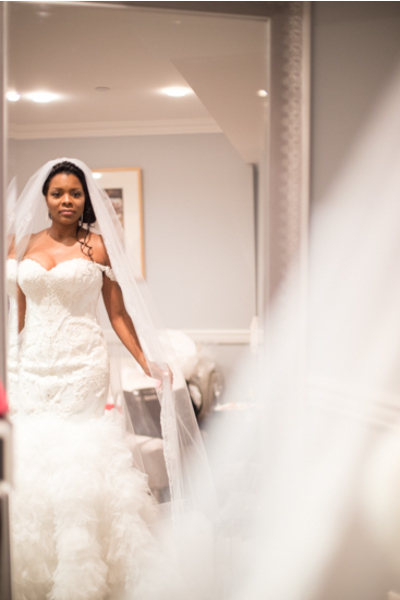 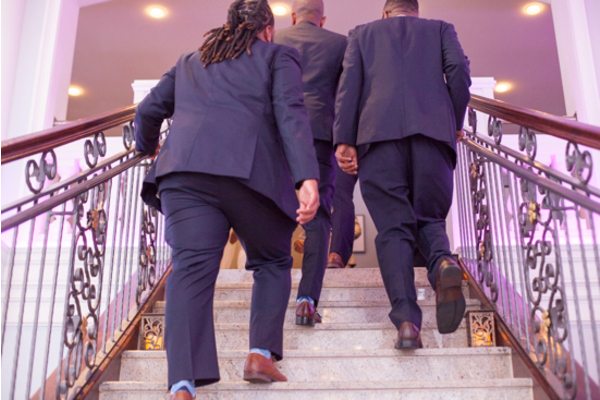 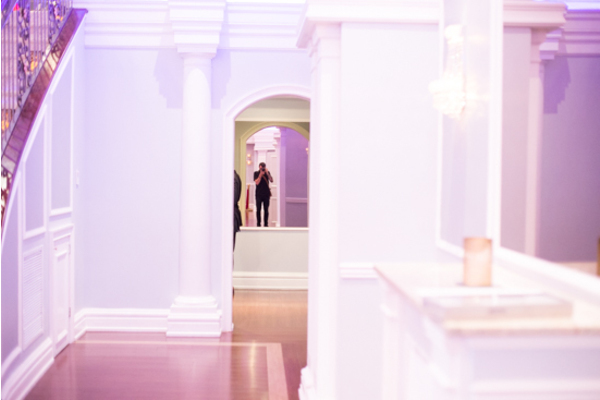 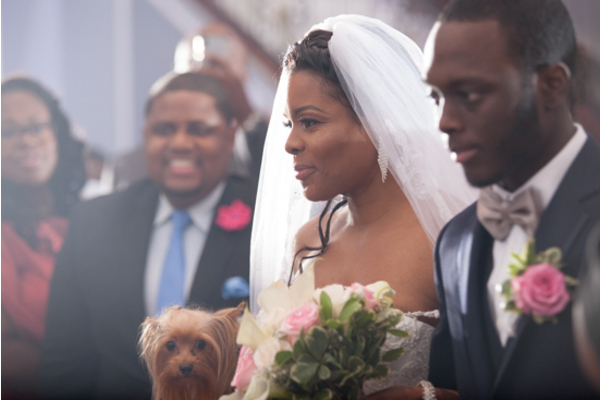 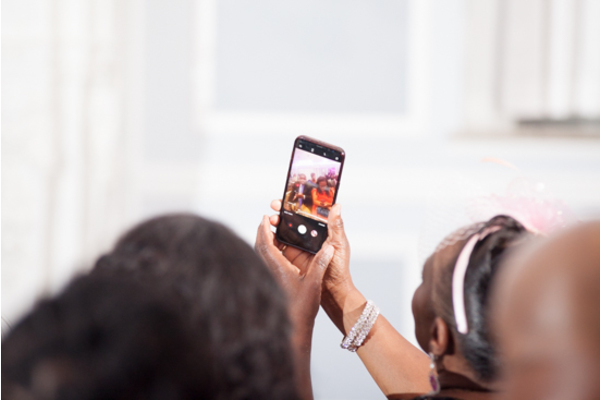 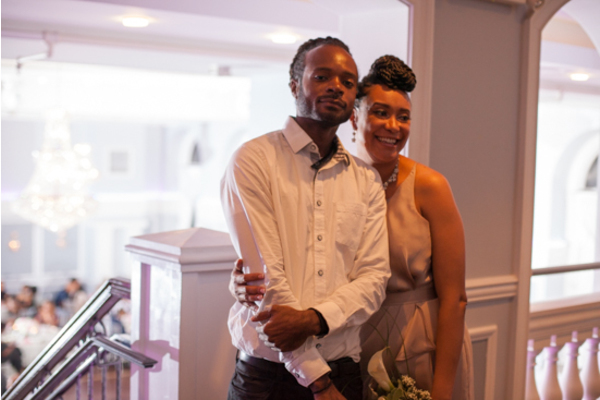 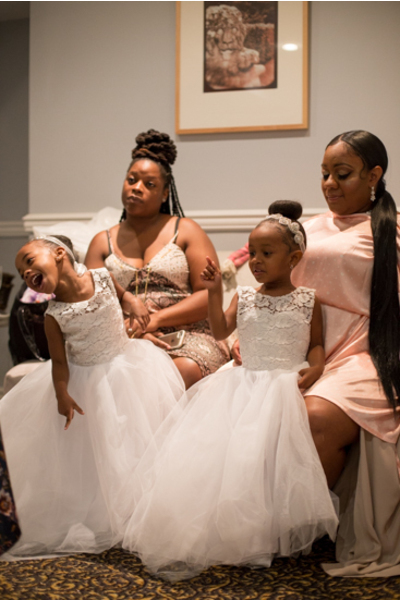 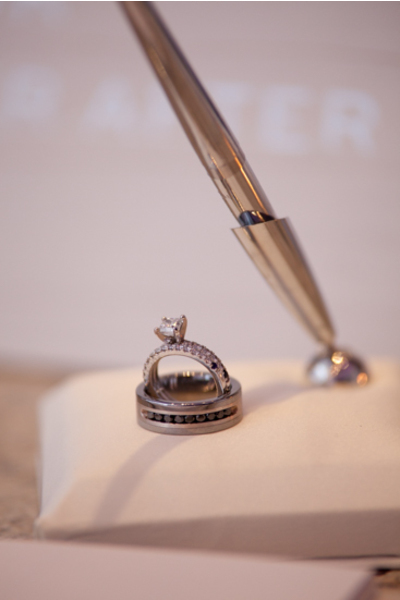 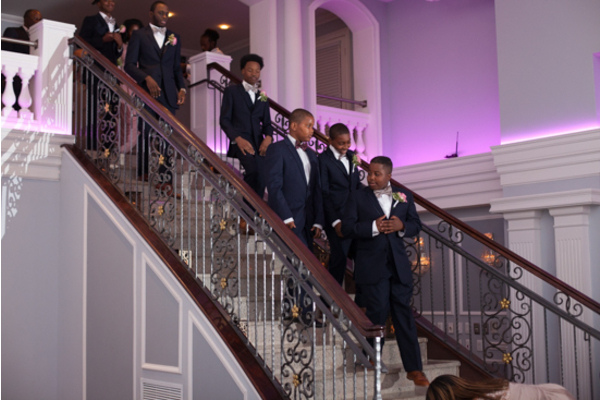 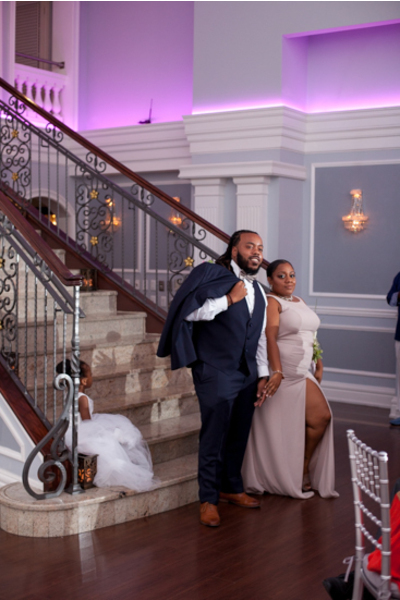 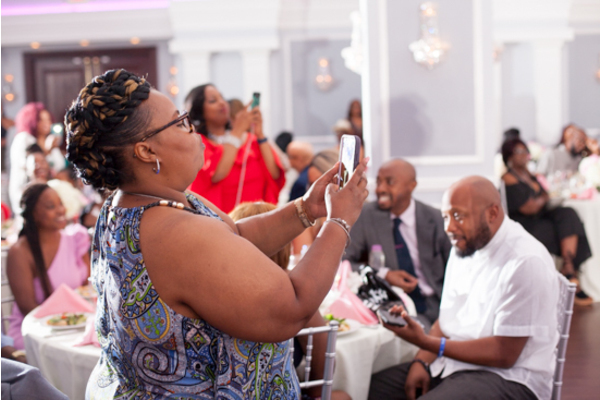 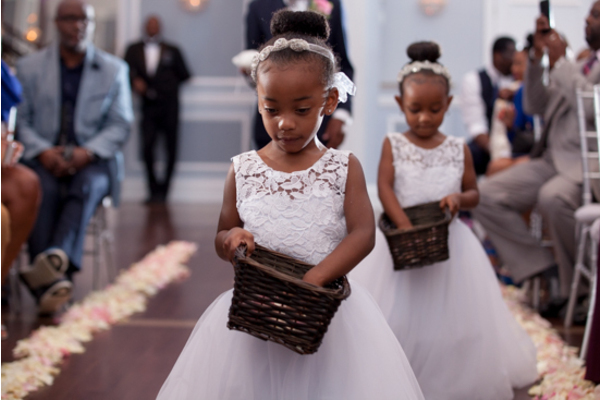 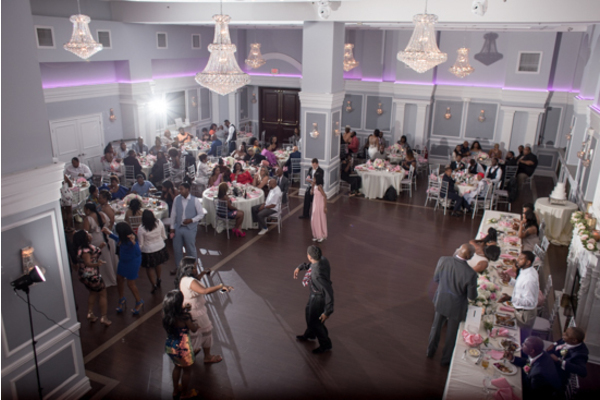 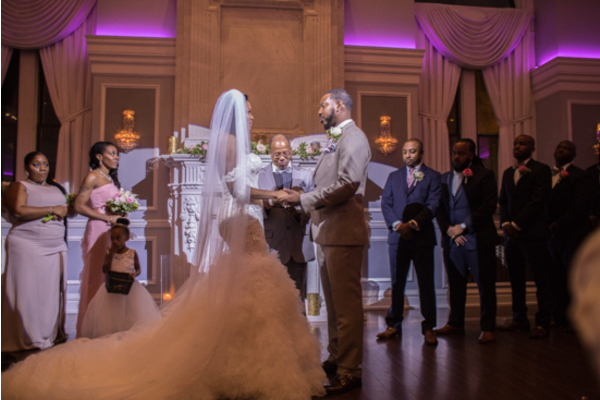 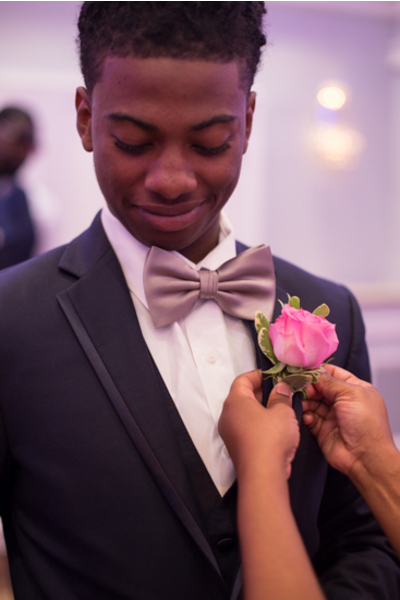 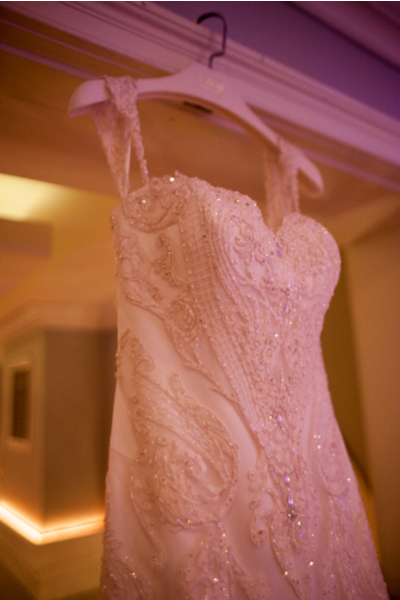 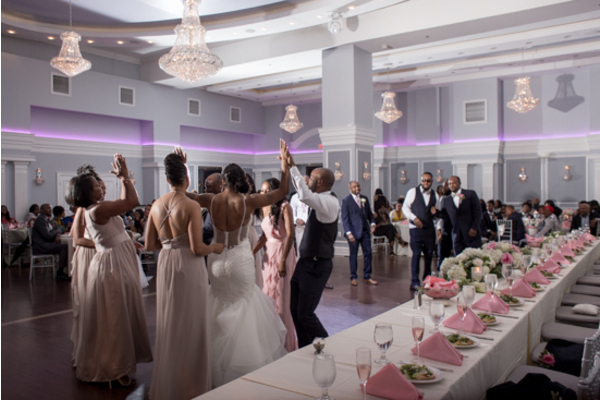 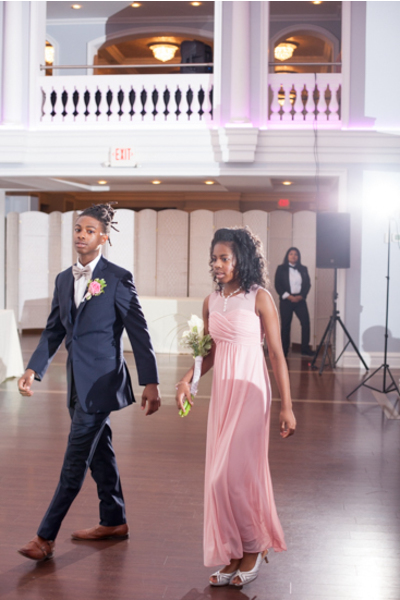 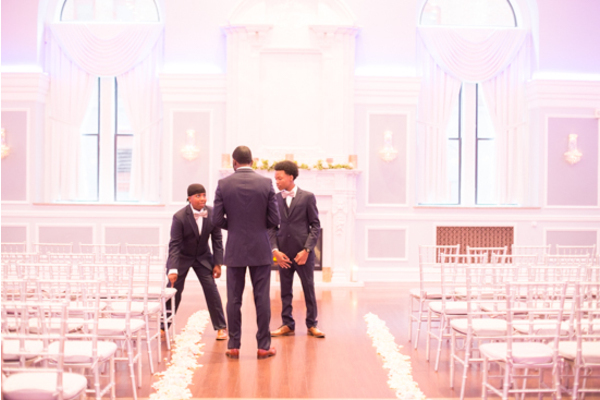 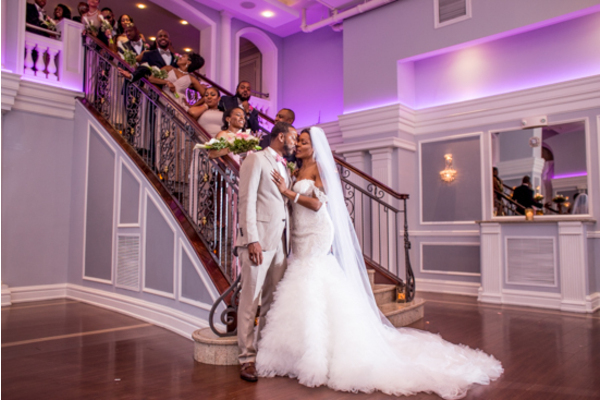 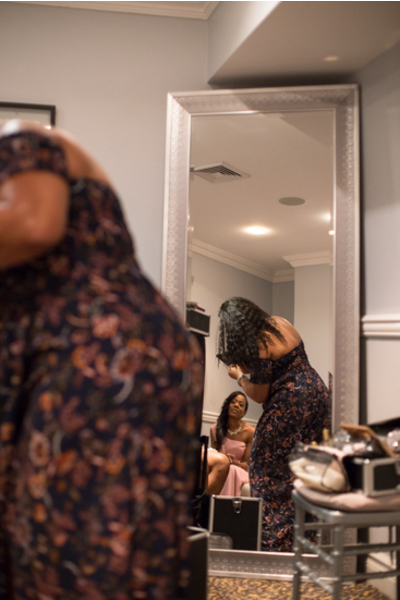 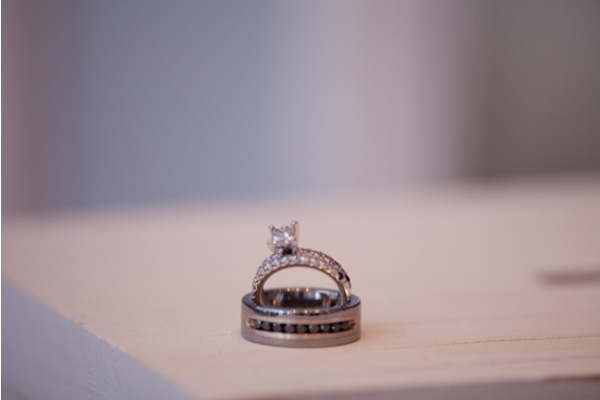 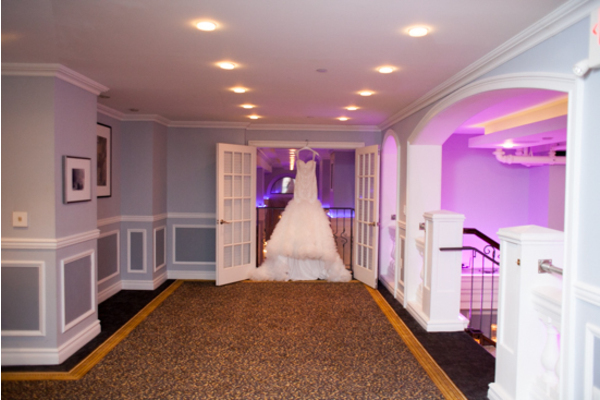 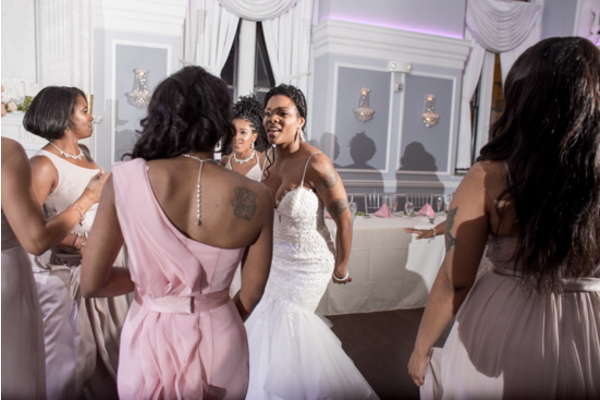 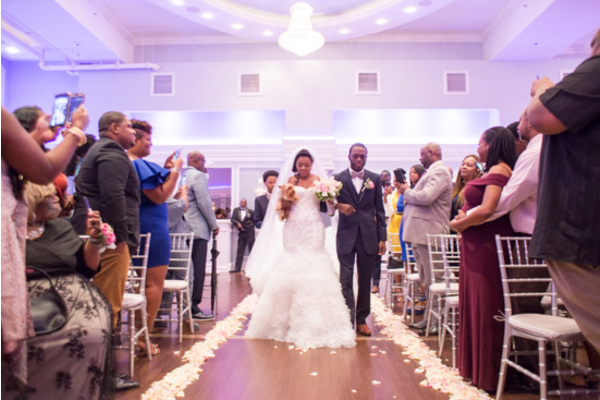 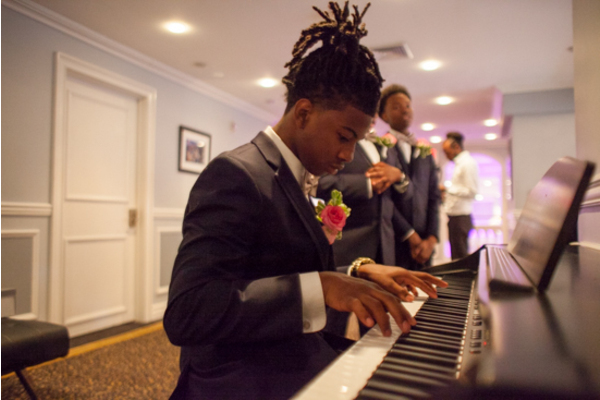 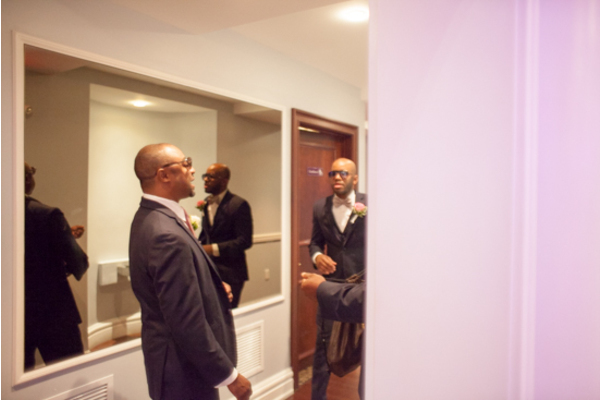 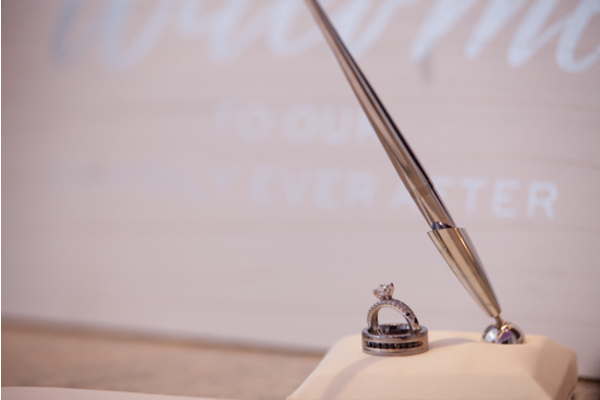 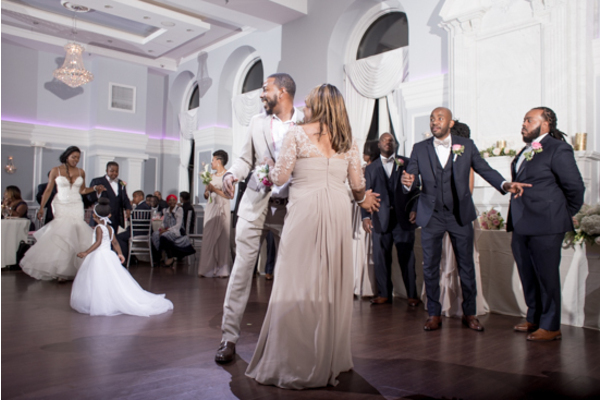 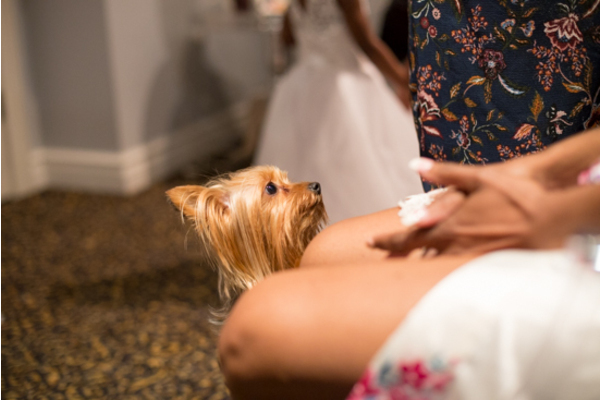 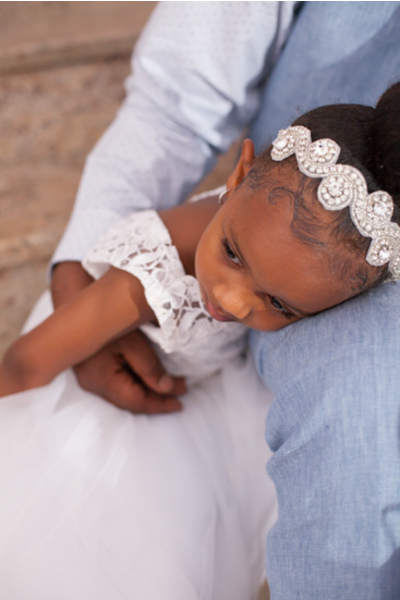 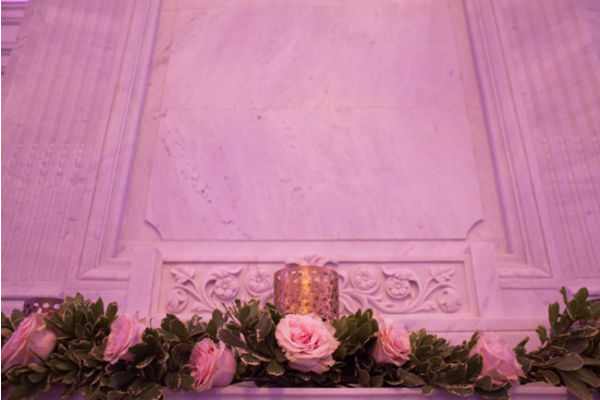 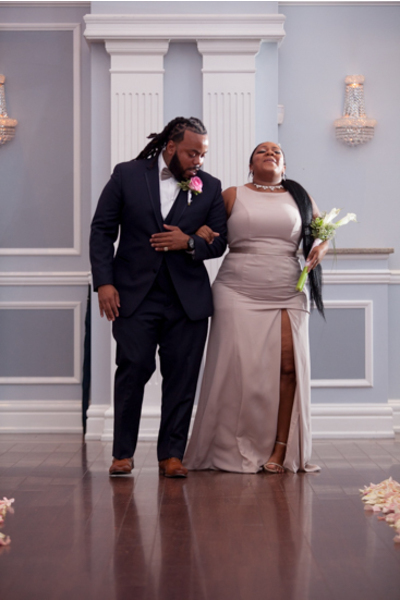 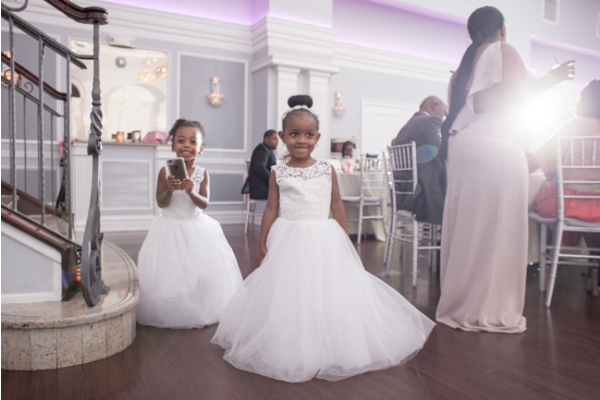 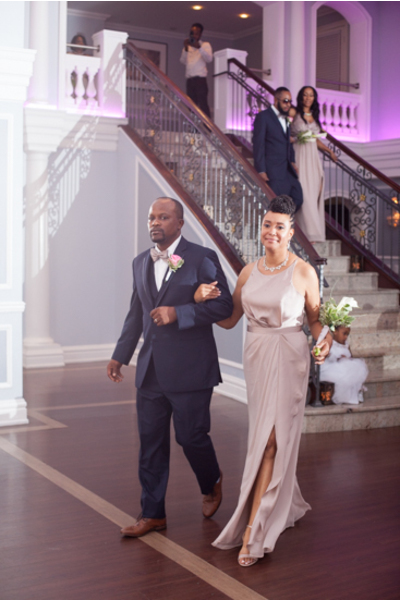 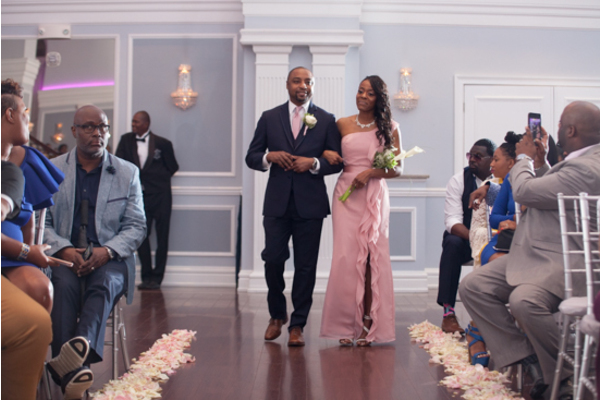 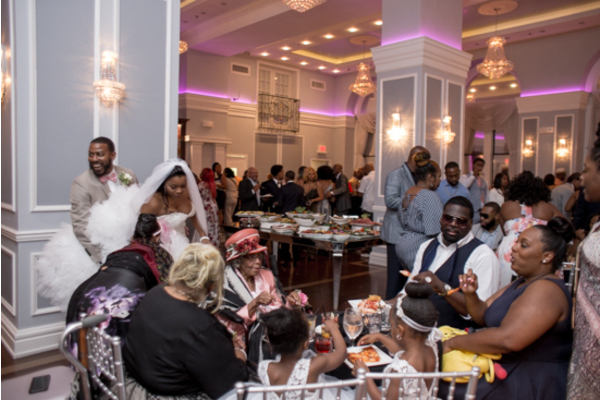 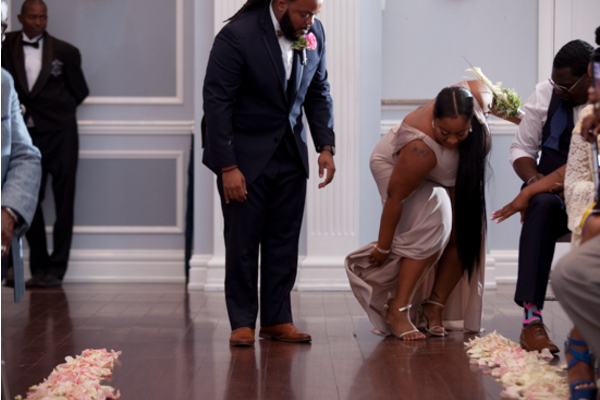 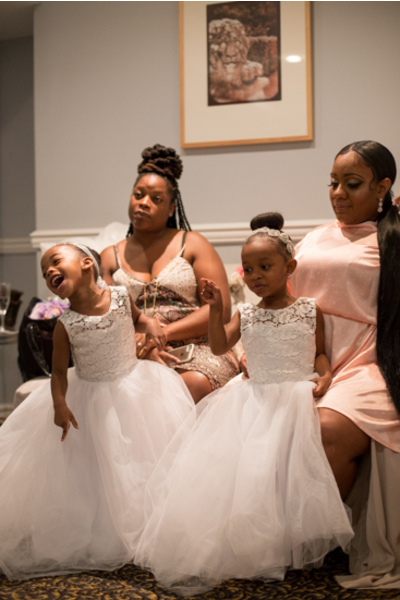 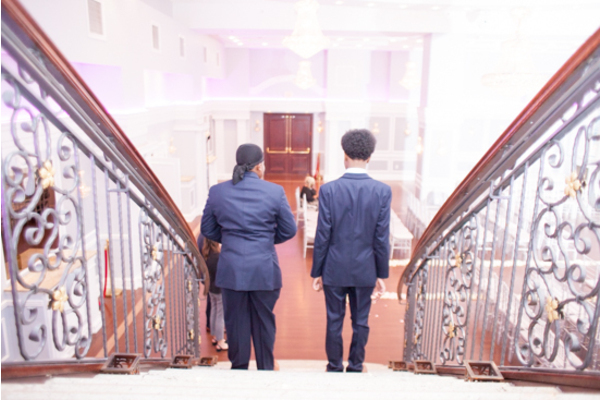 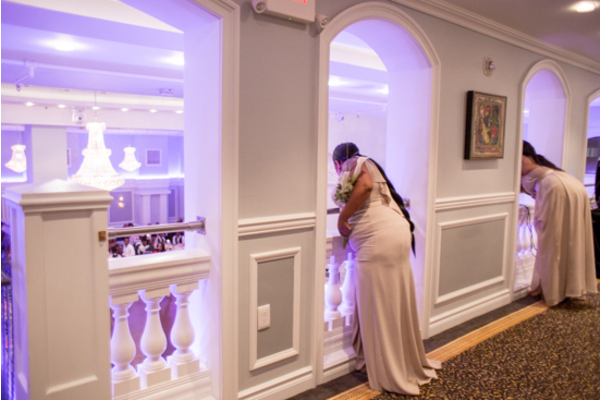 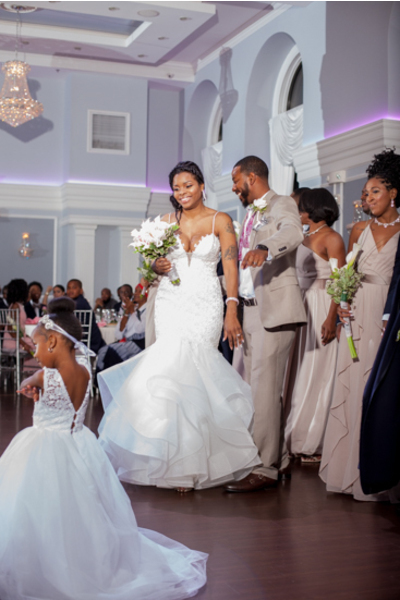 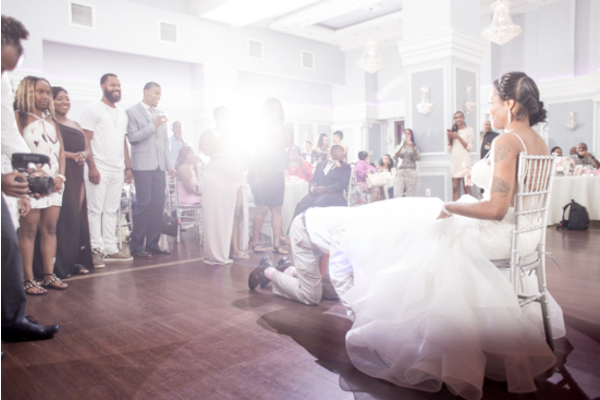 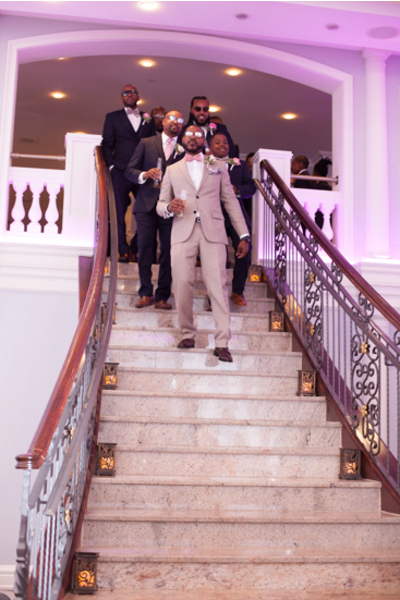 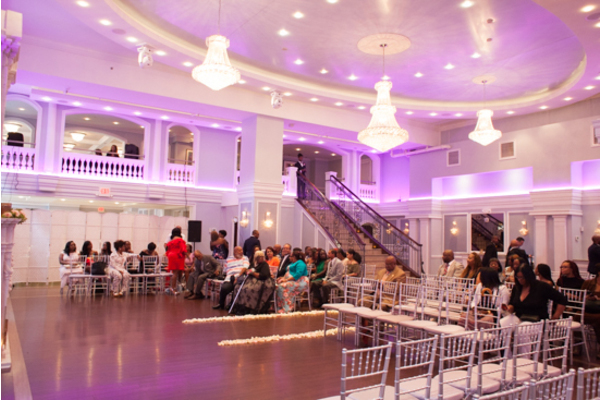 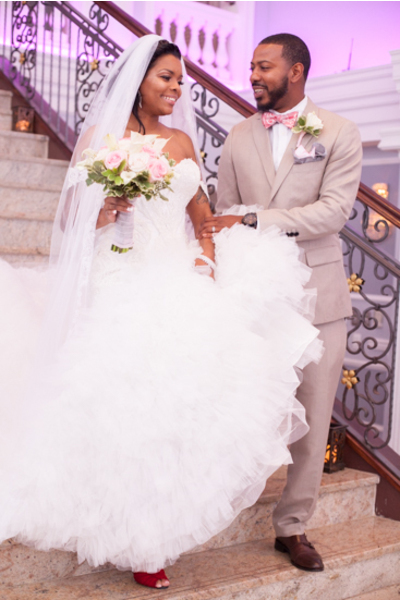 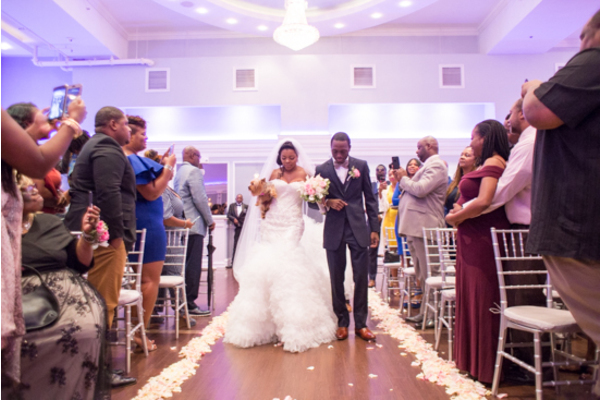 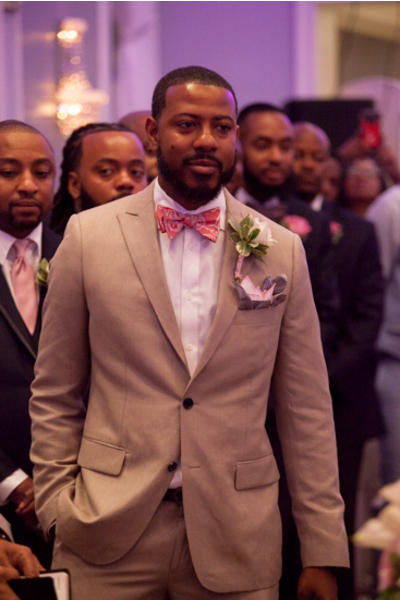 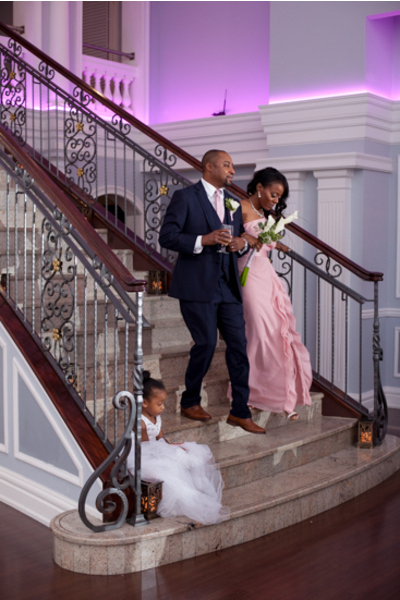 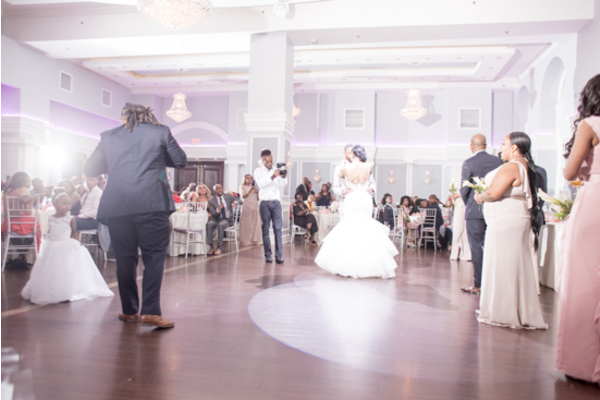 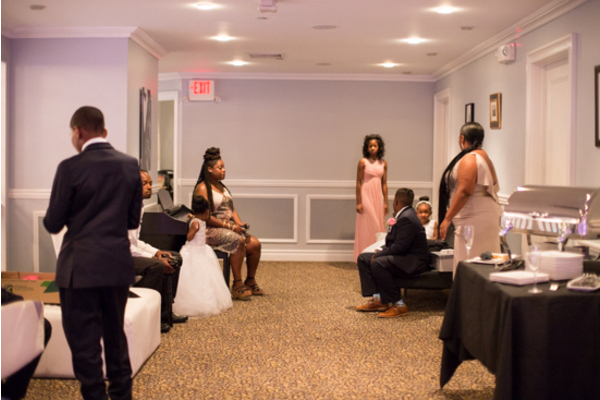 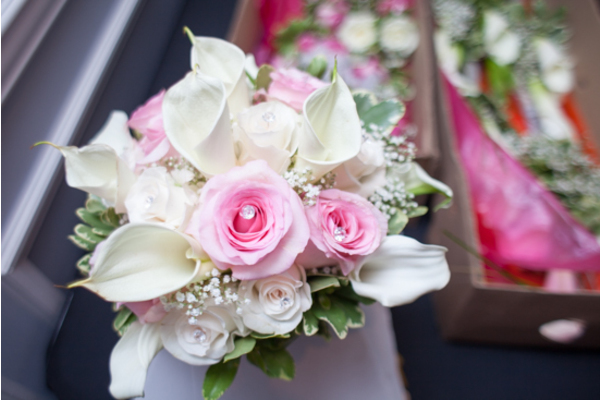 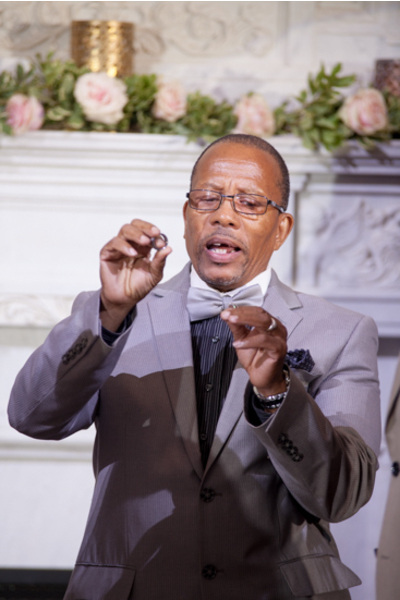 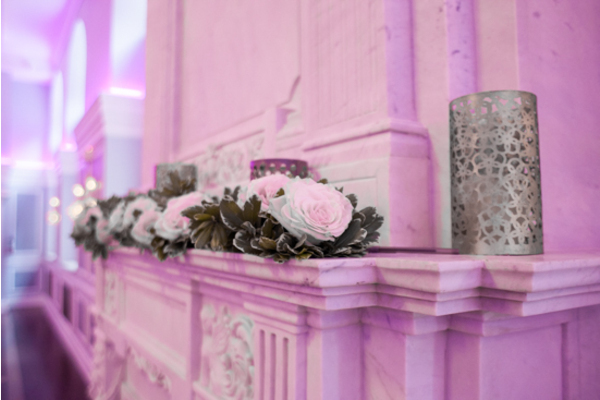 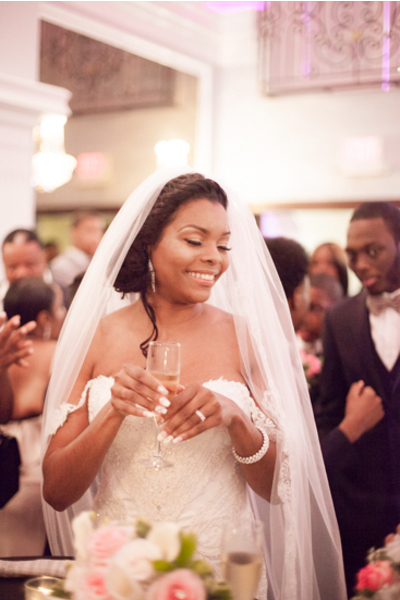 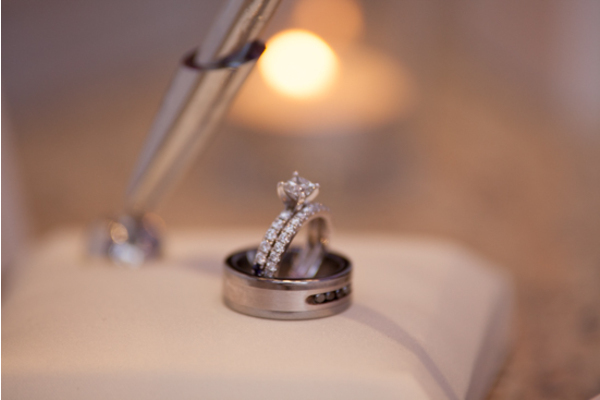 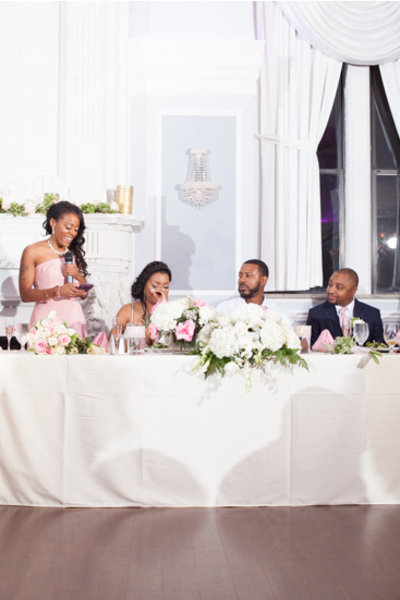 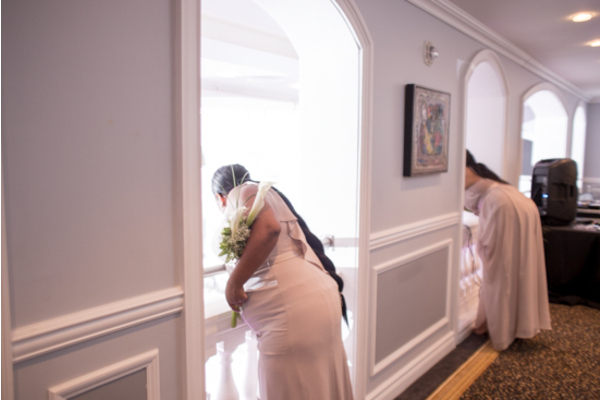 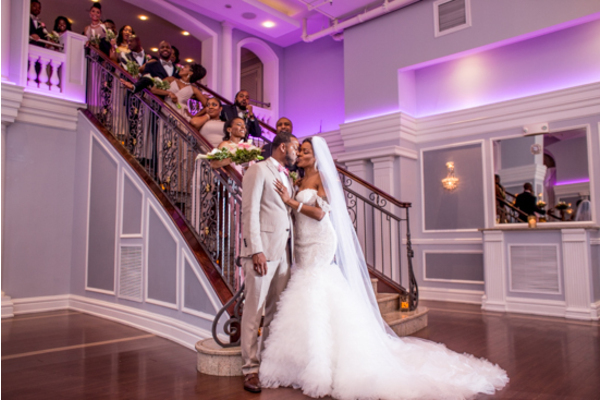 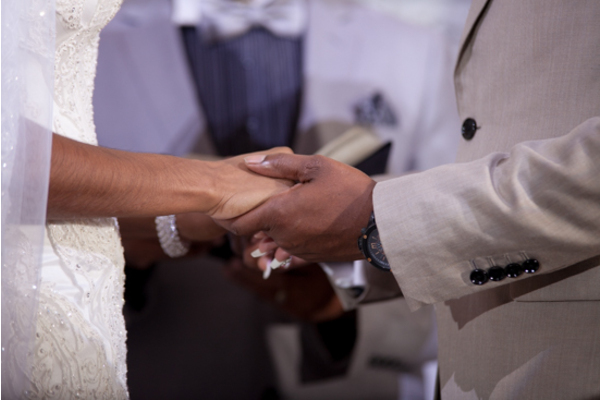 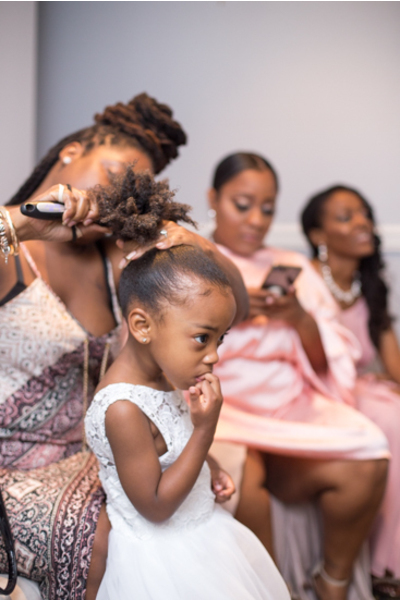 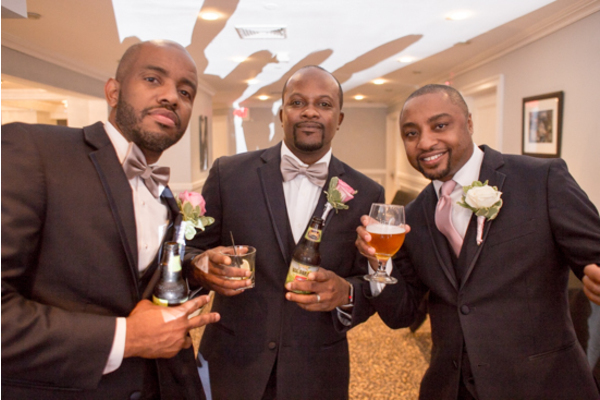 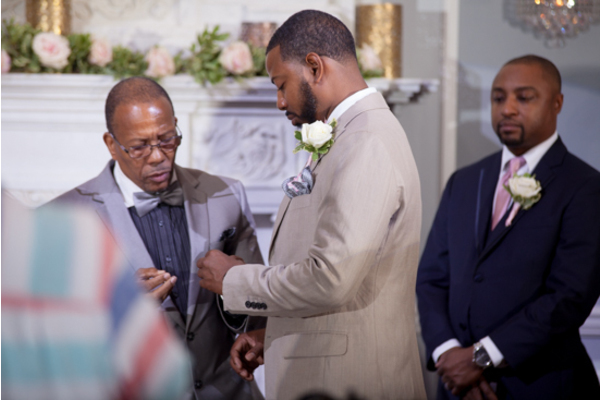 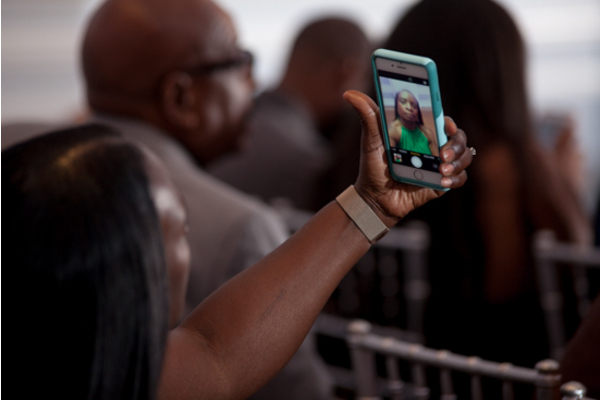 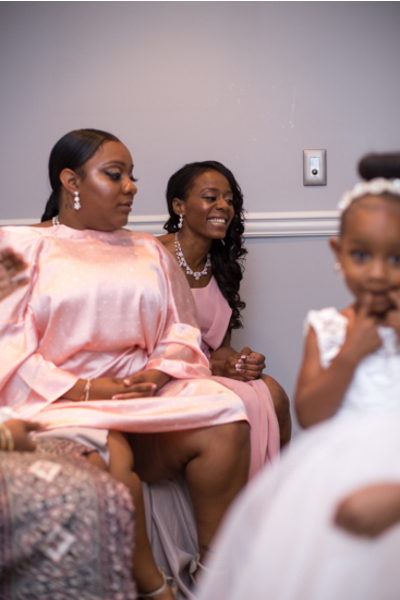 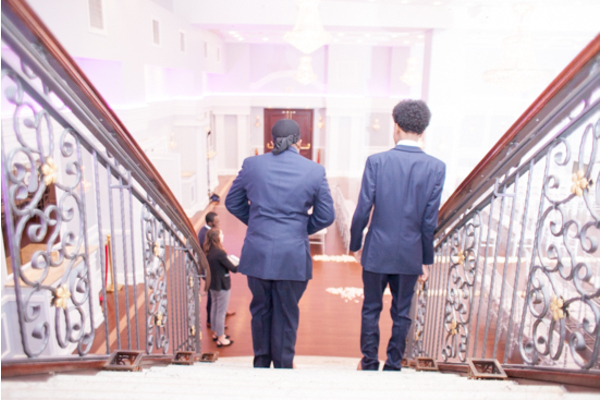 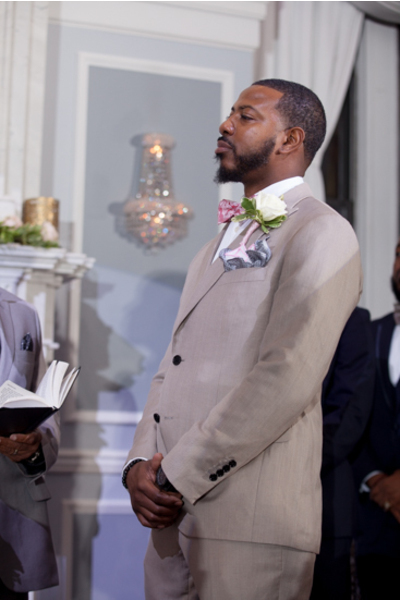 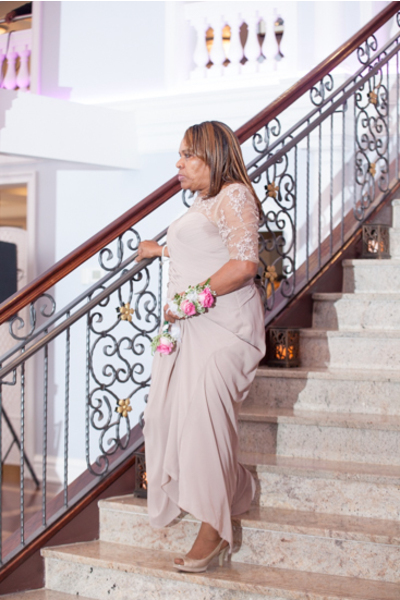 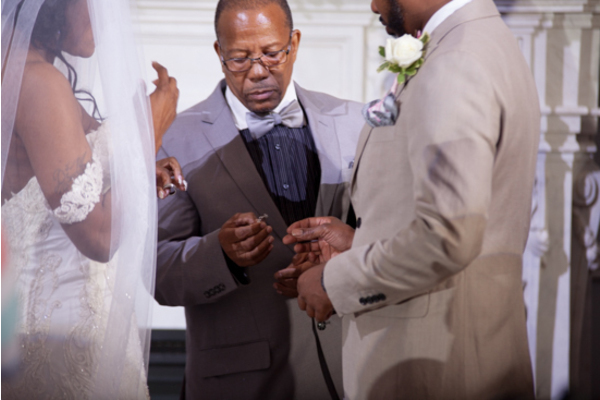 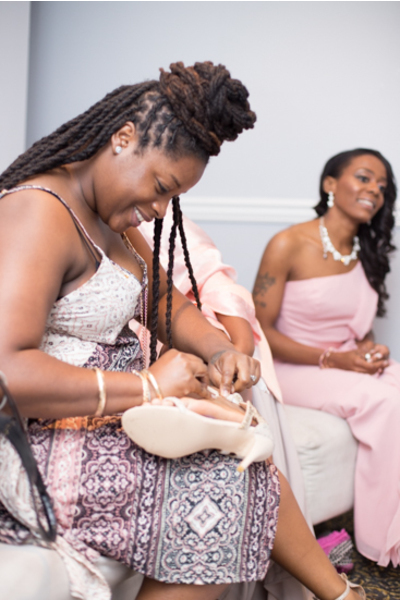 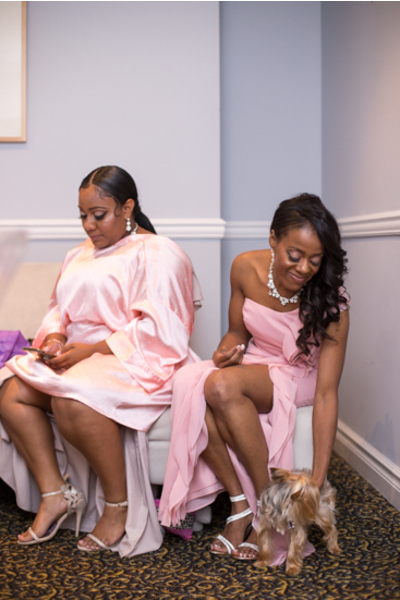 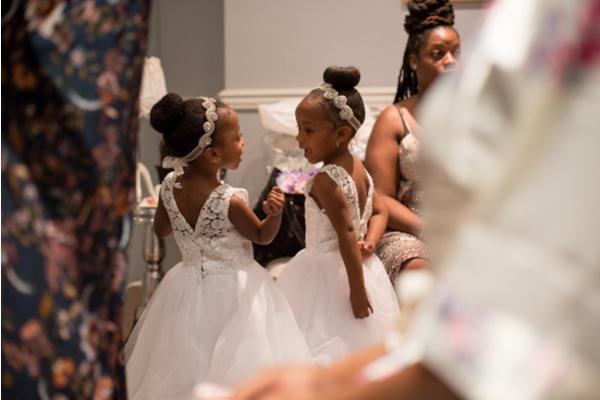 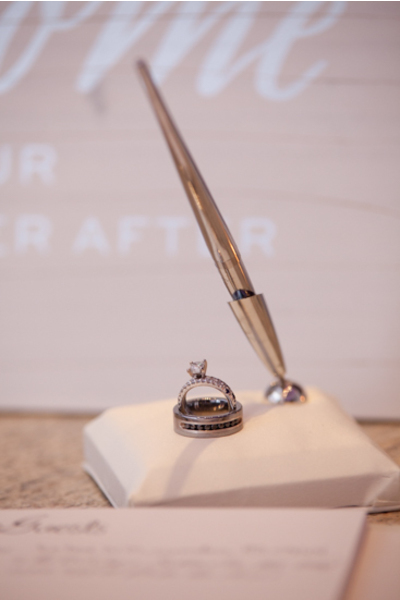 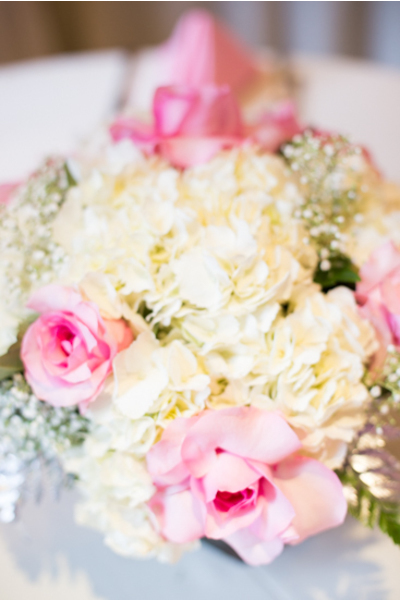 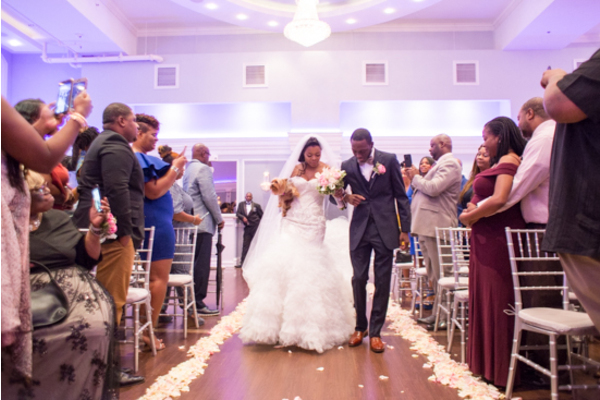 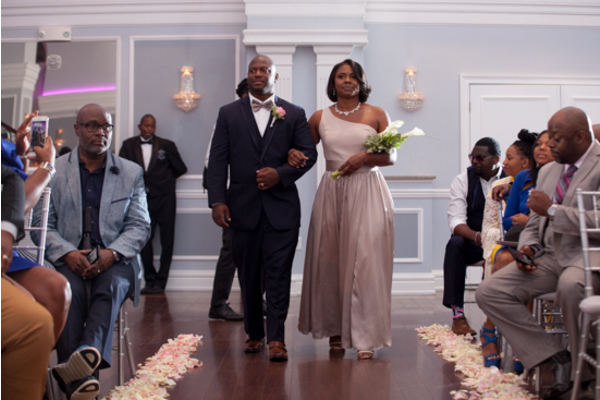 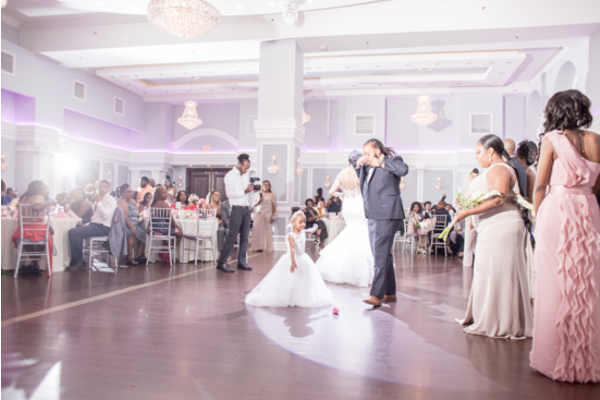 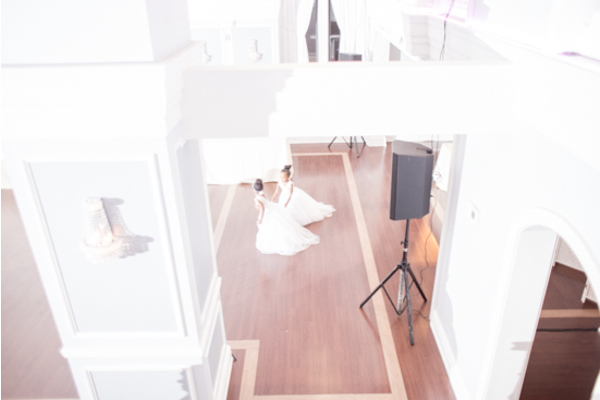 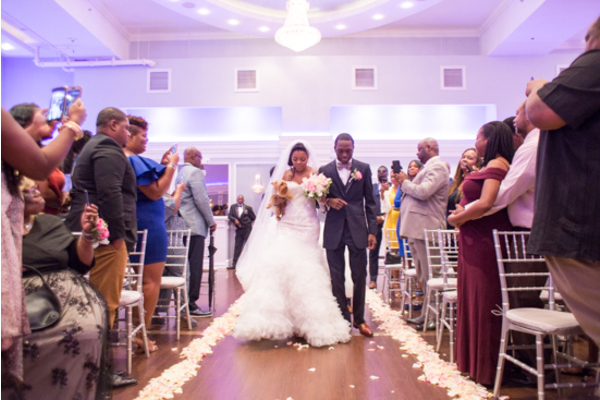 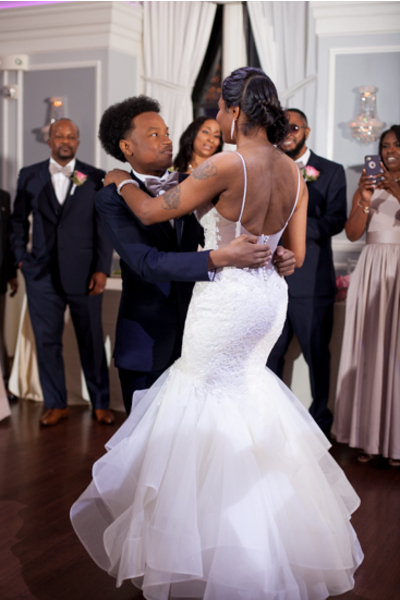 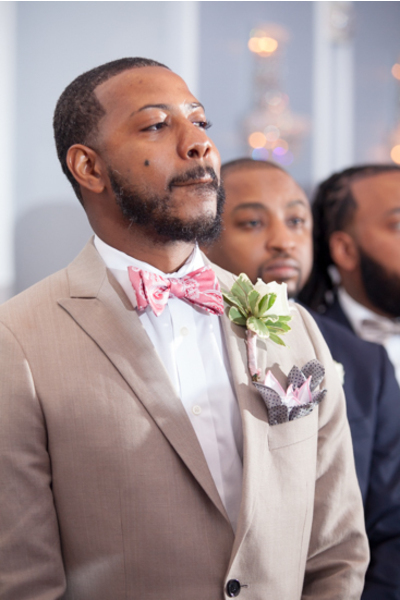 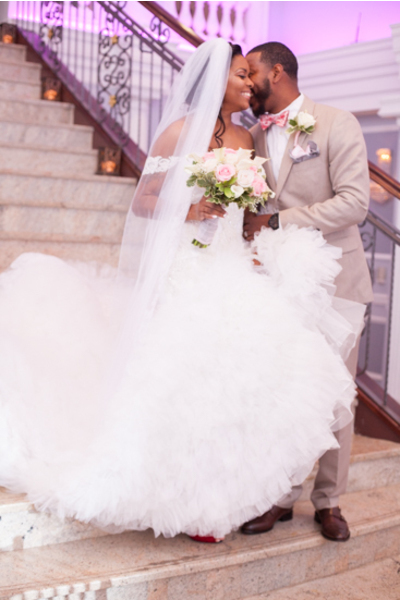 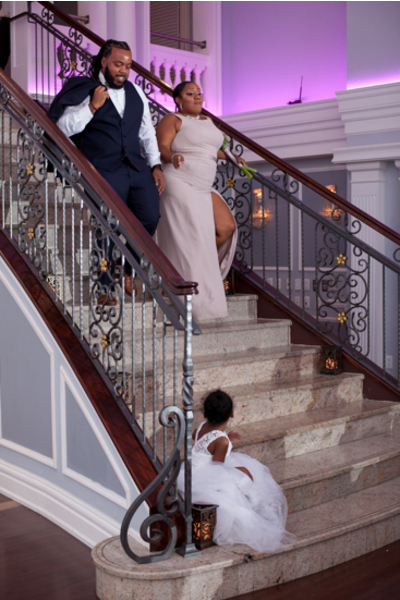 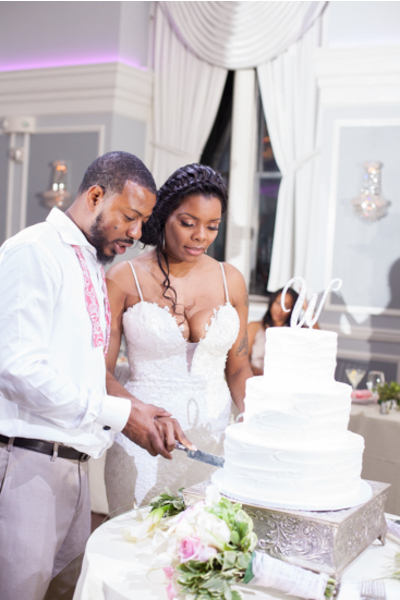 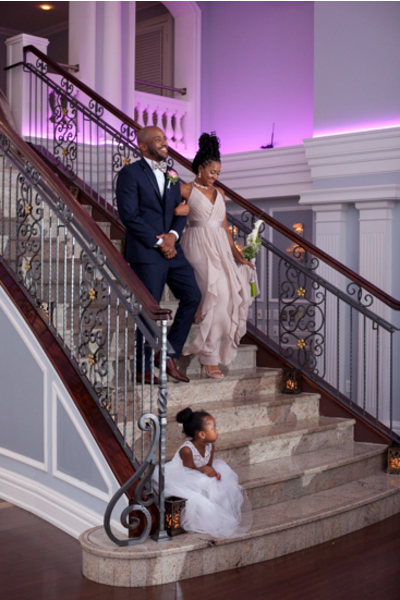 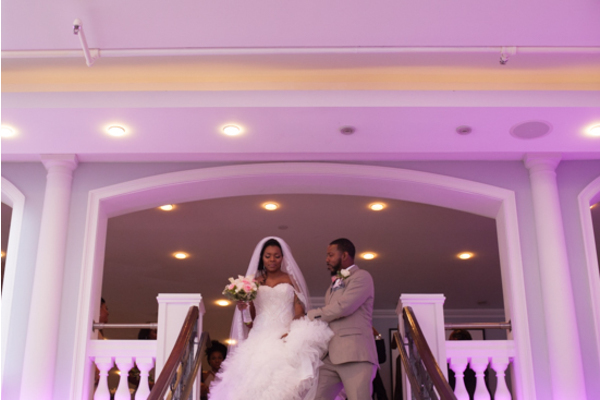 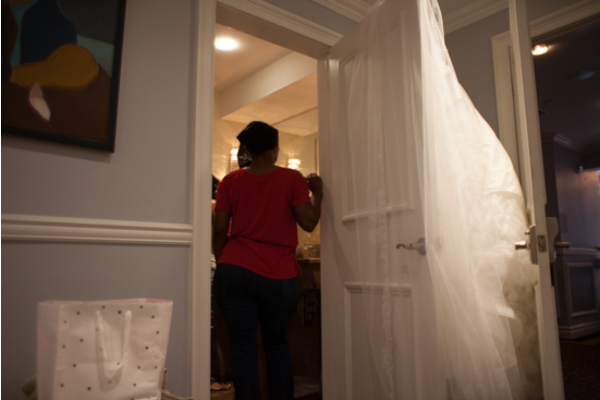 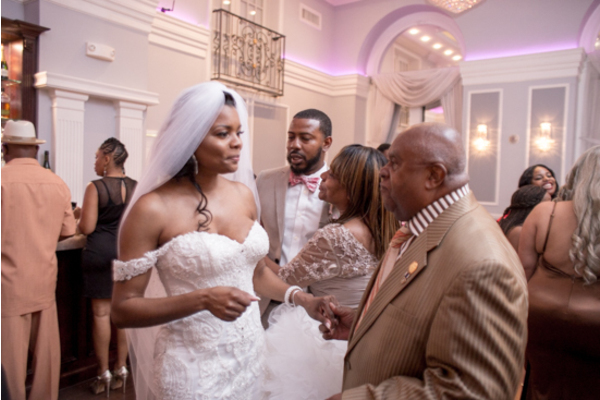 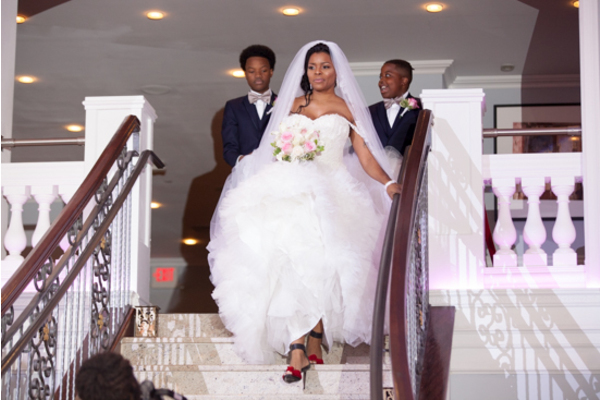 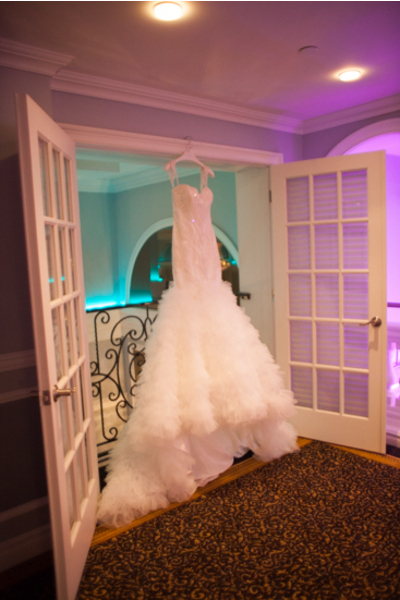 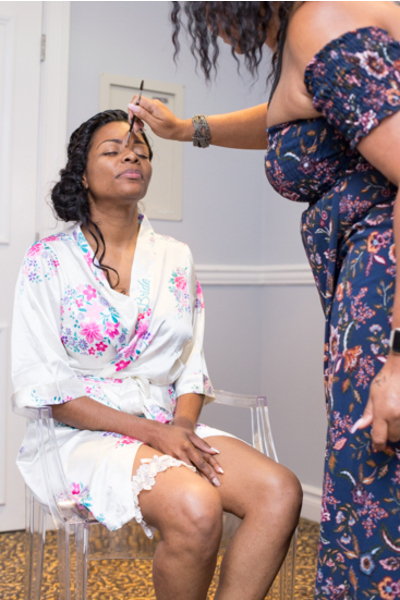 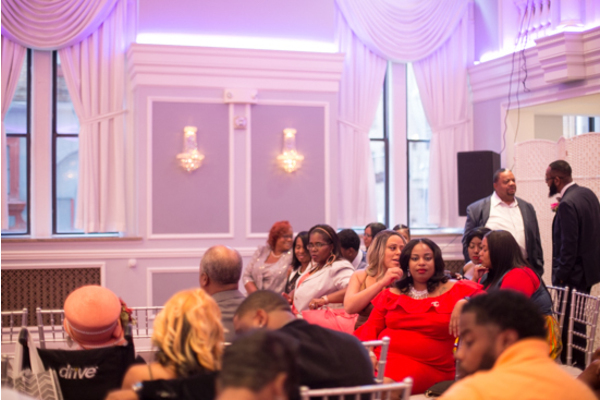 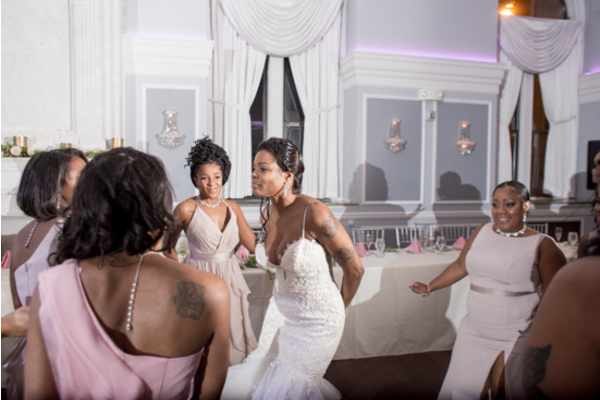 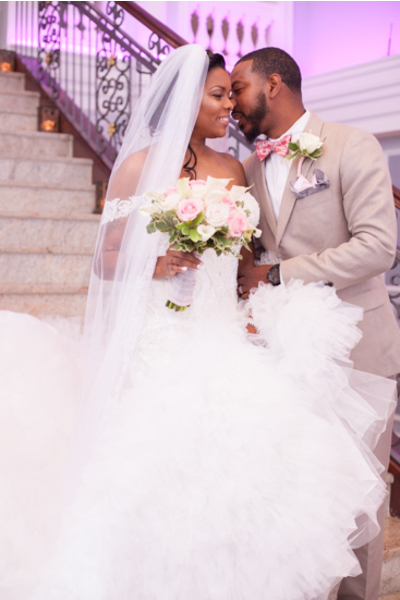 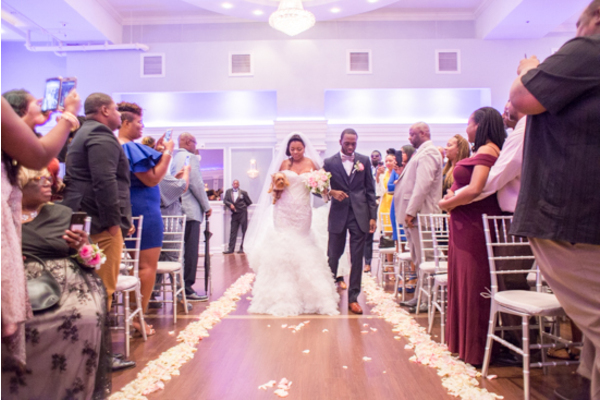 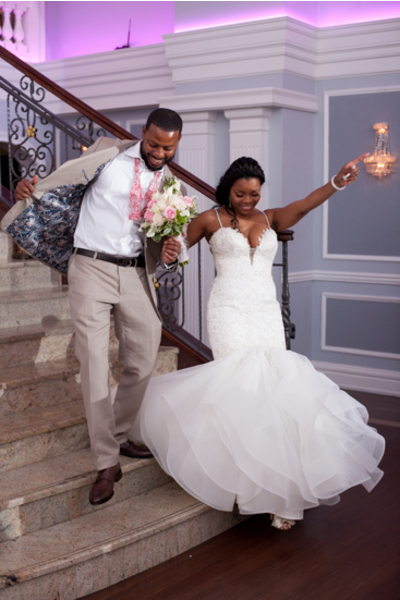 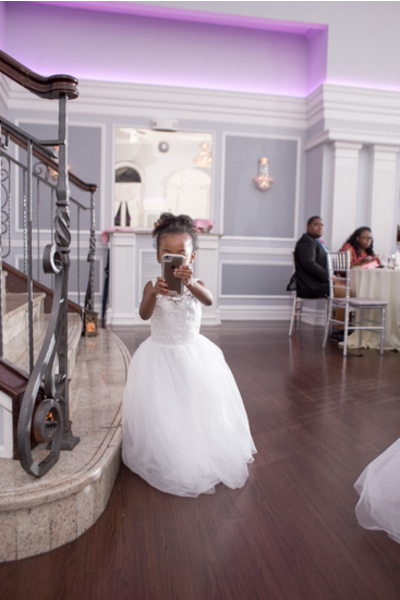 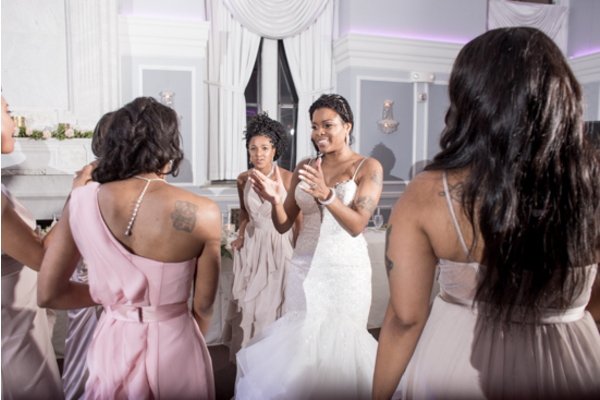 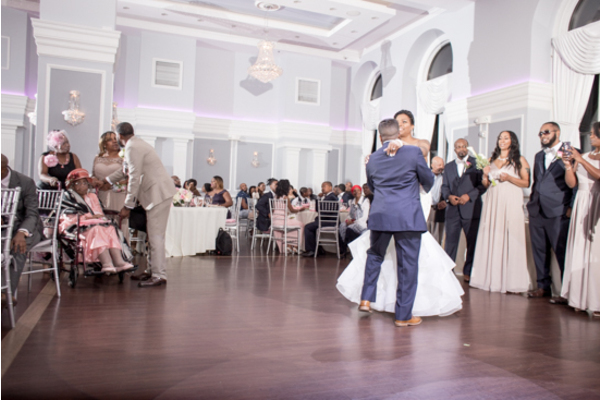 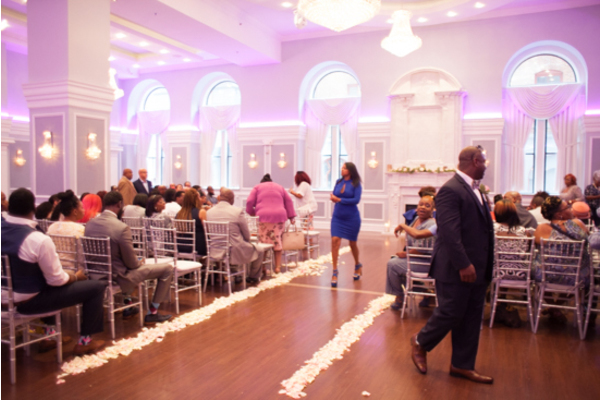 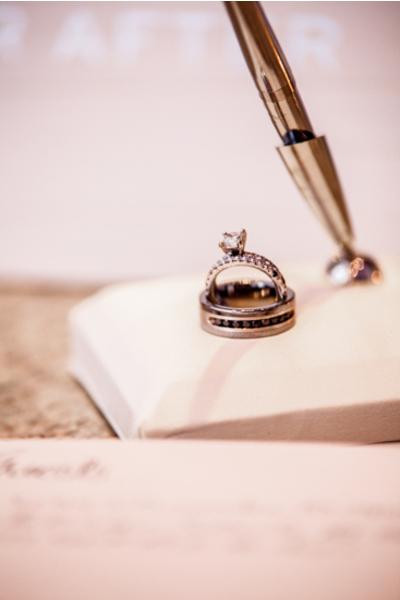 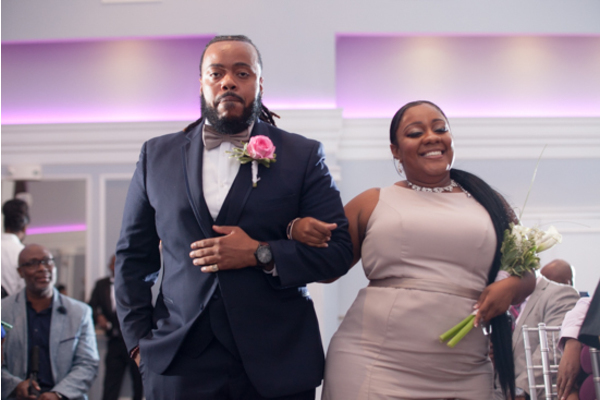 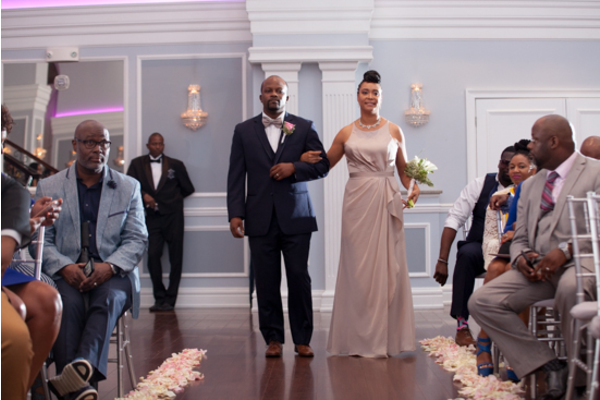 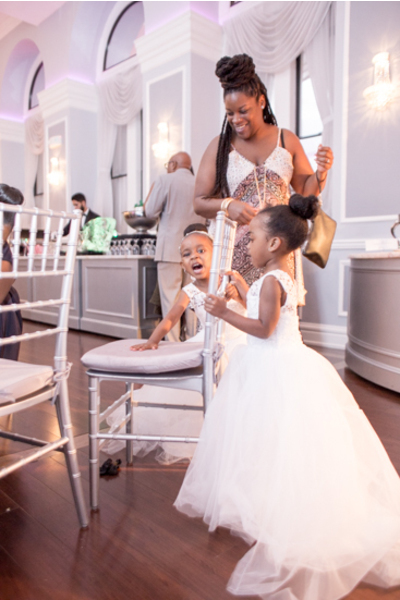 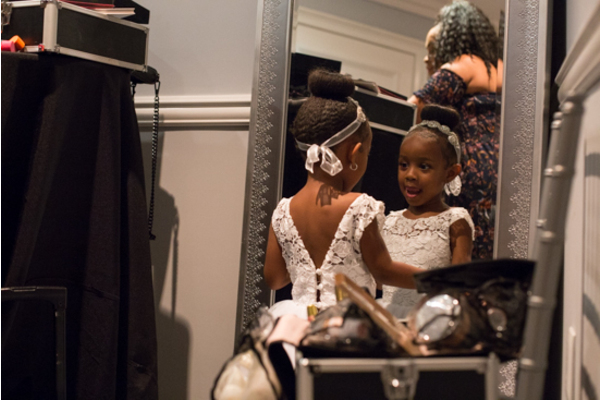 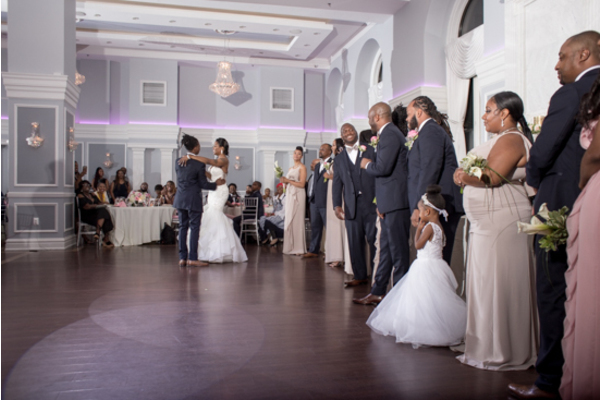 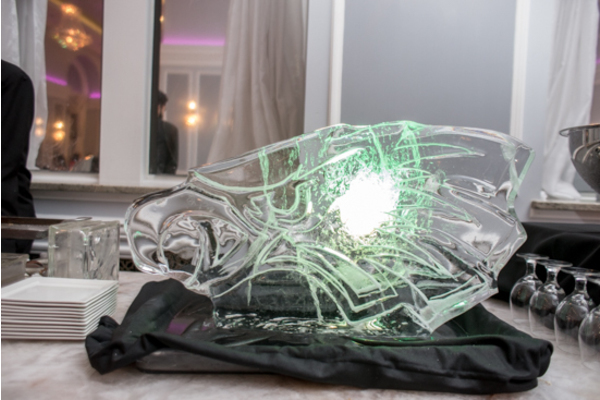 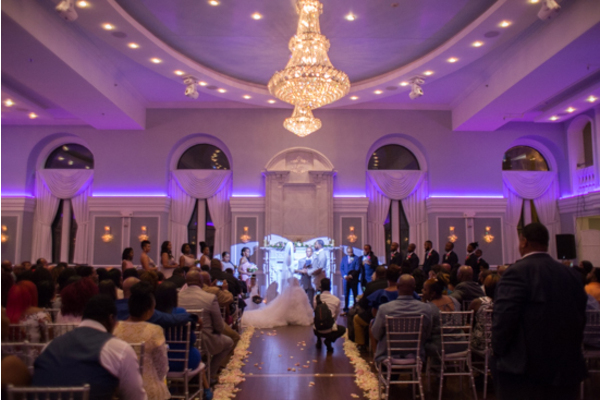 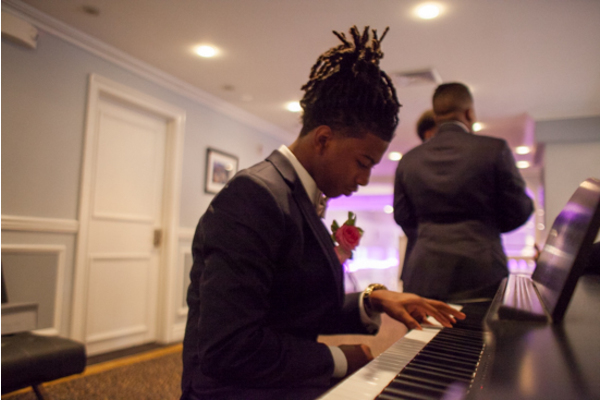 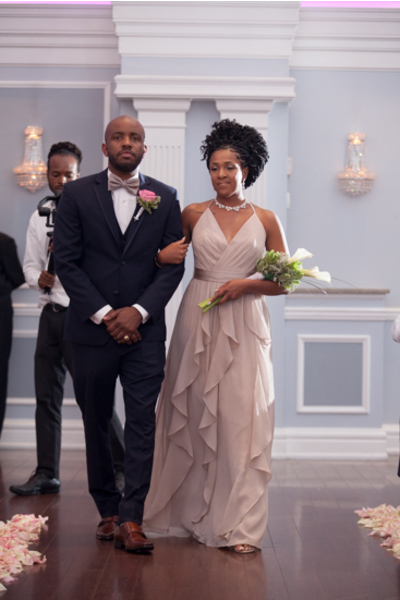 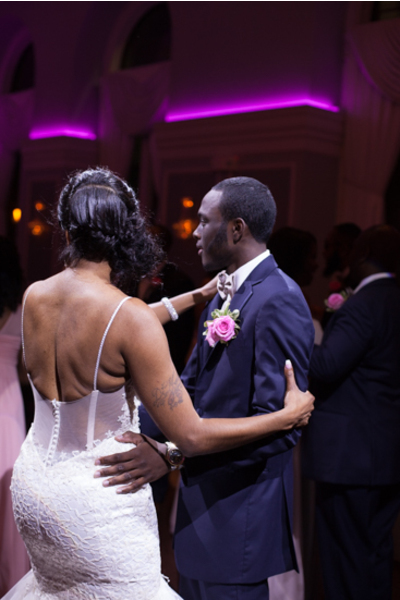 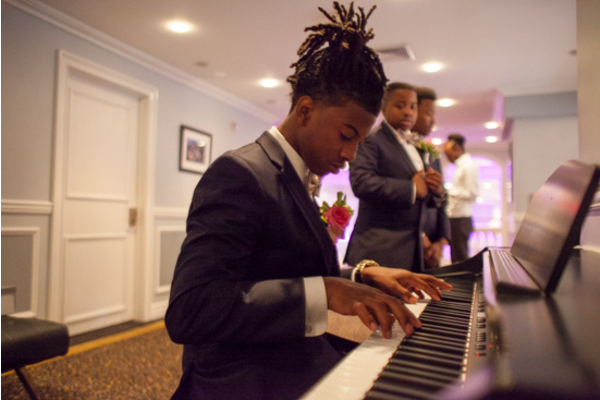 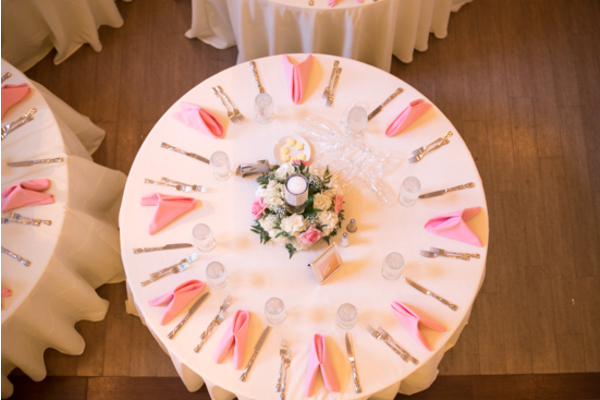 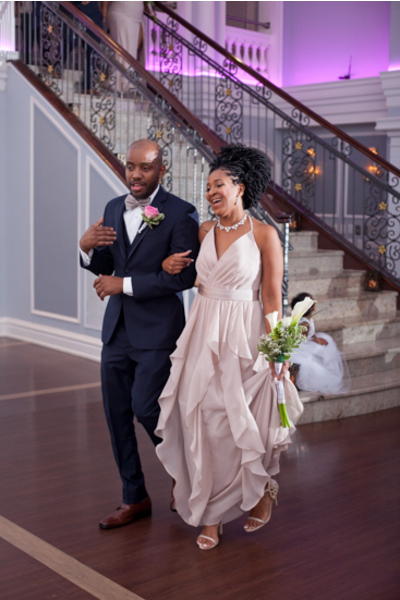 This couple did not skip out on any details, and our NJ Wedding Photographer was able to capture the sparkling moments. 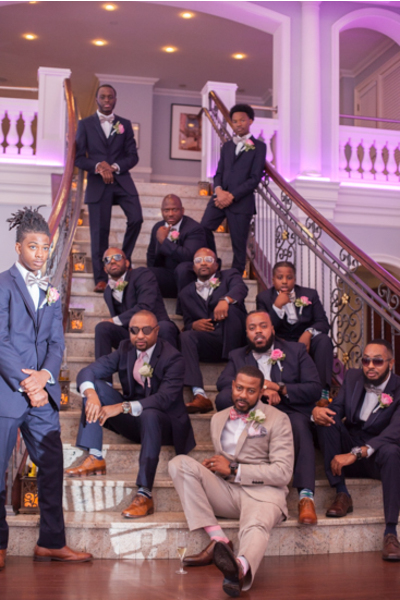 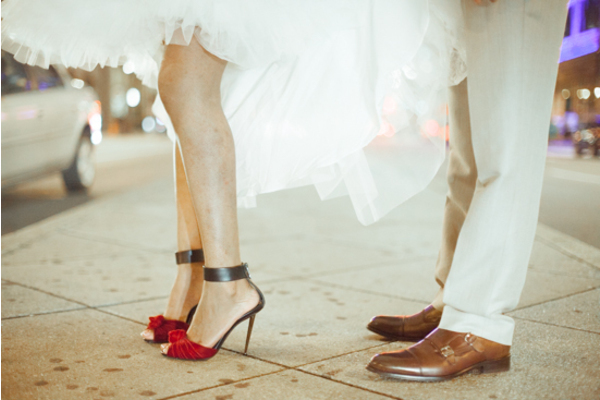 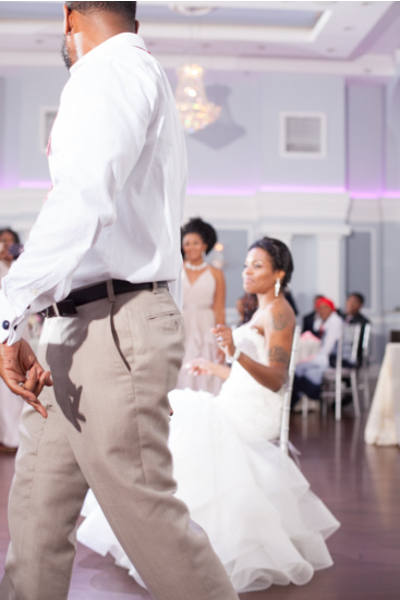 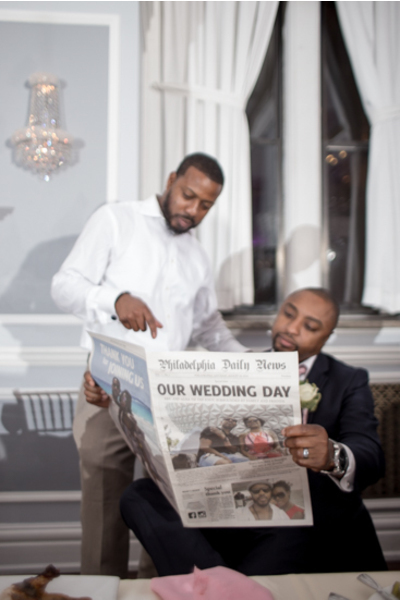 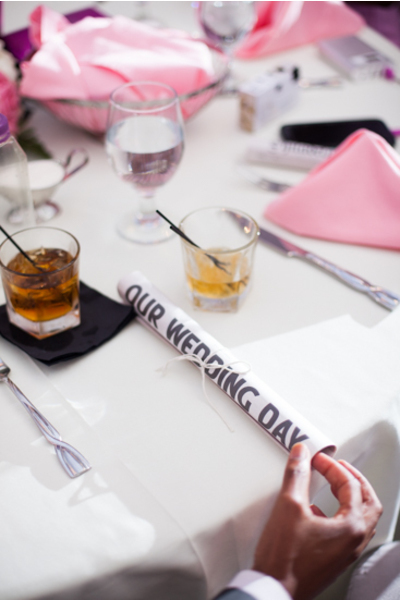 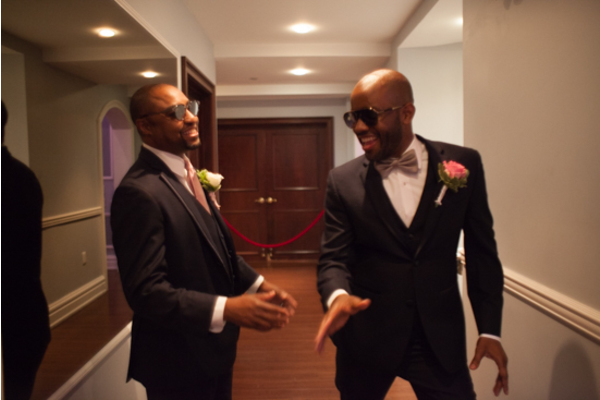 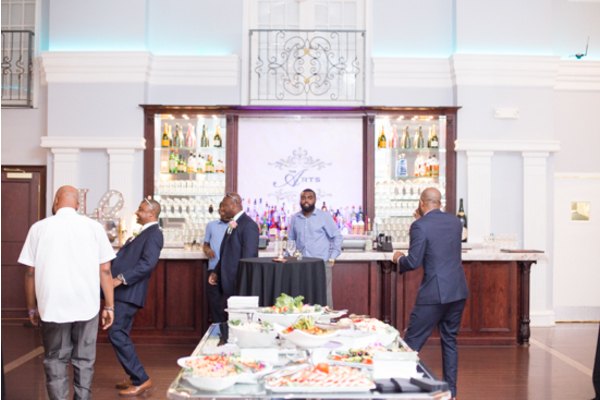 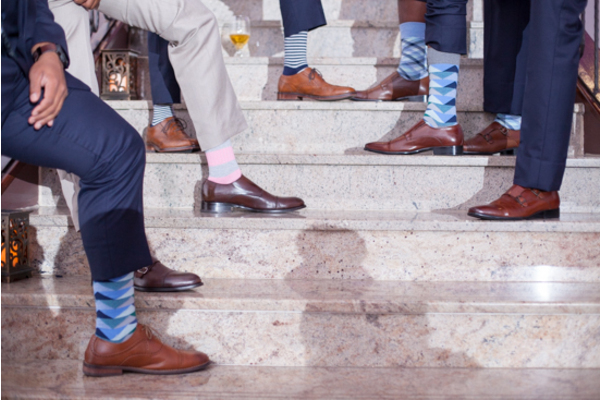 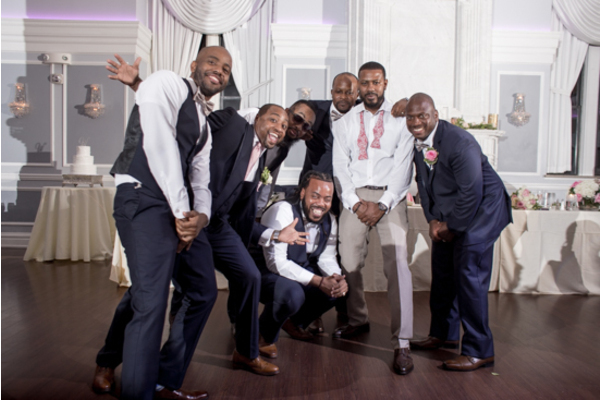 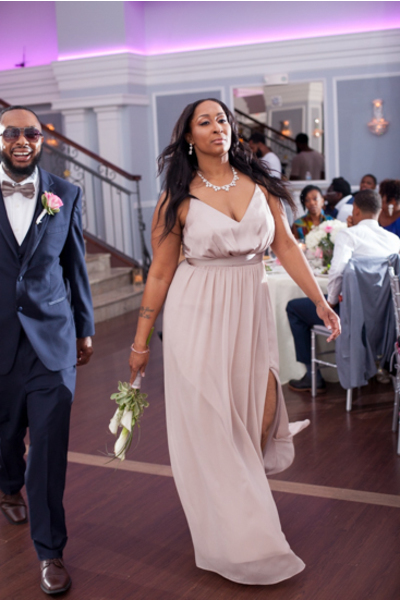 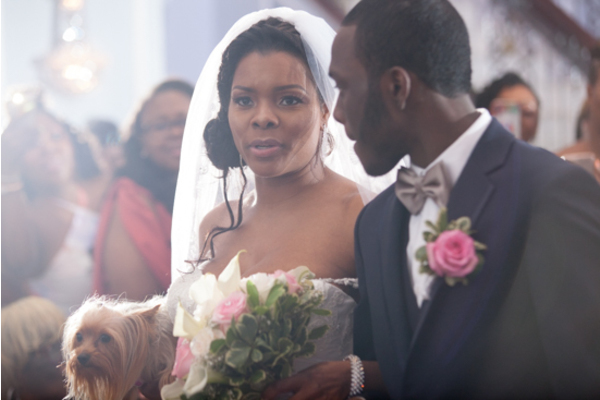 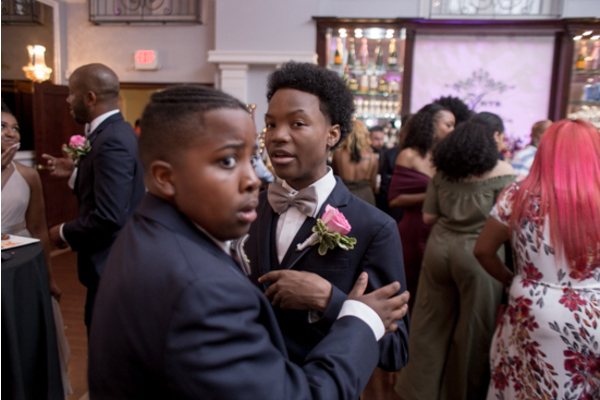 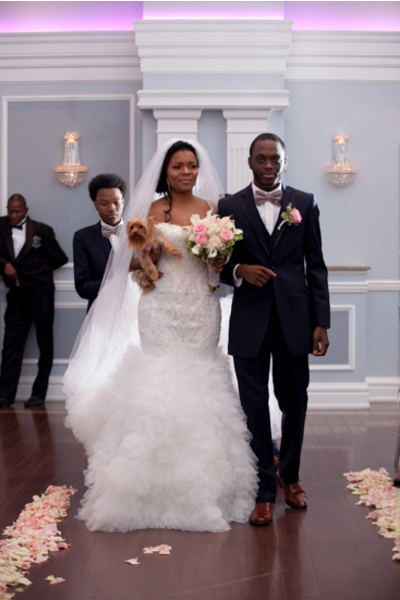 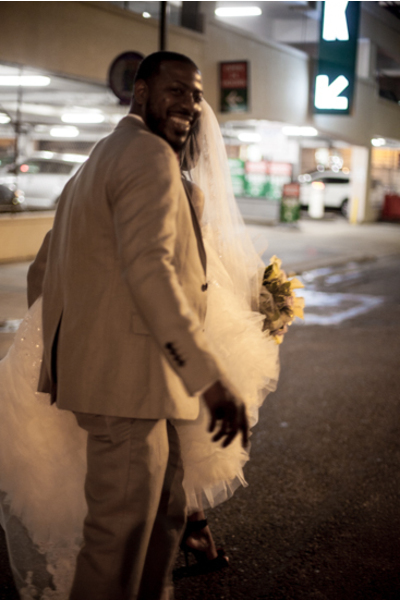 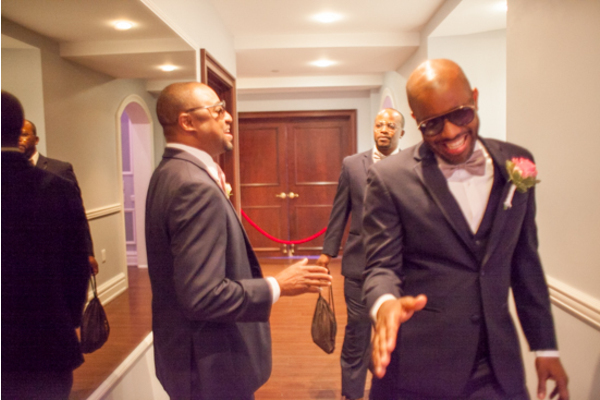 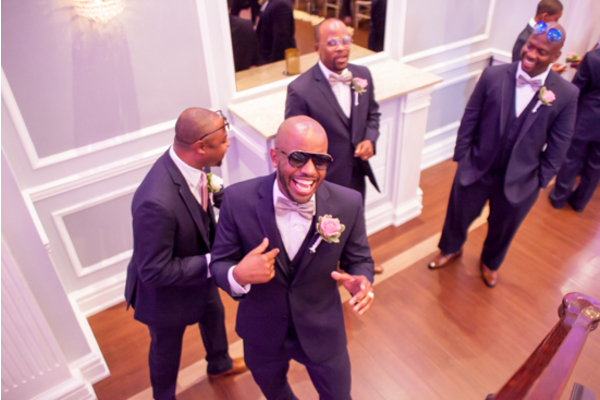 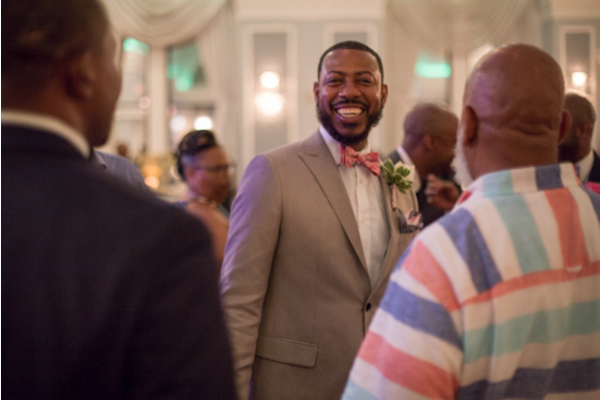 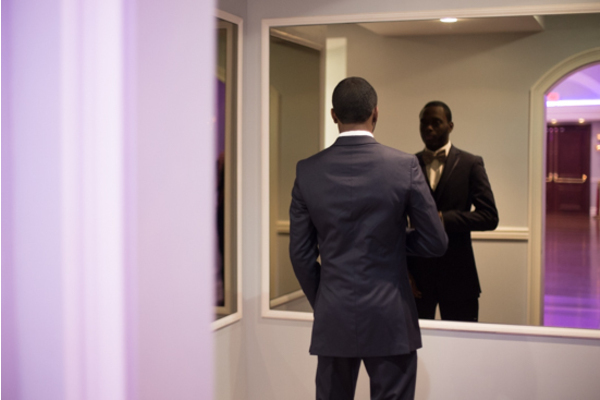 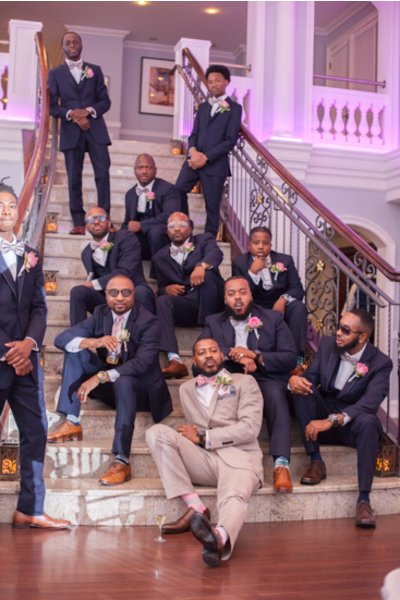 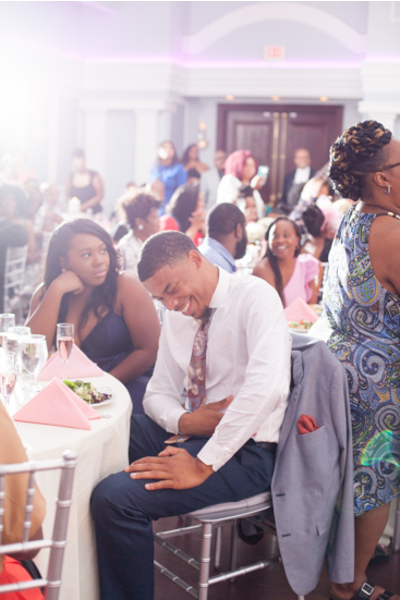 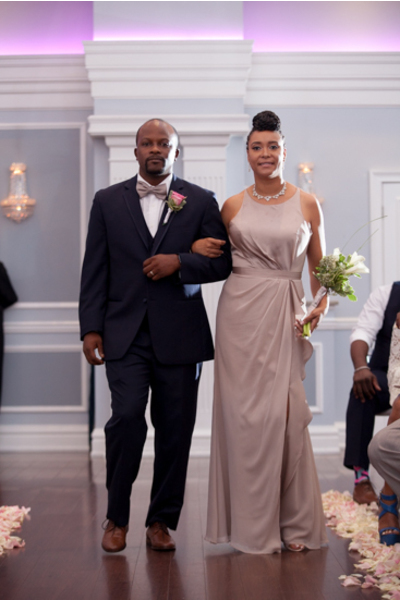 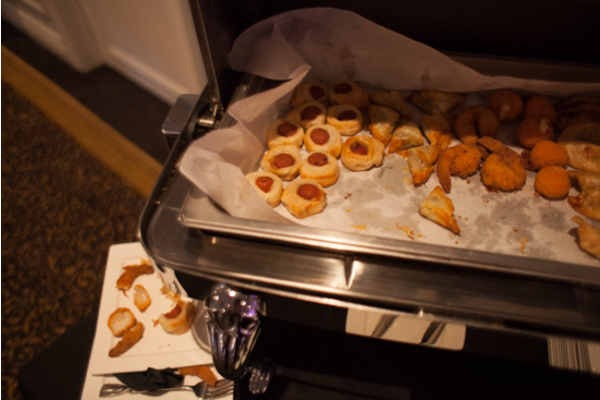 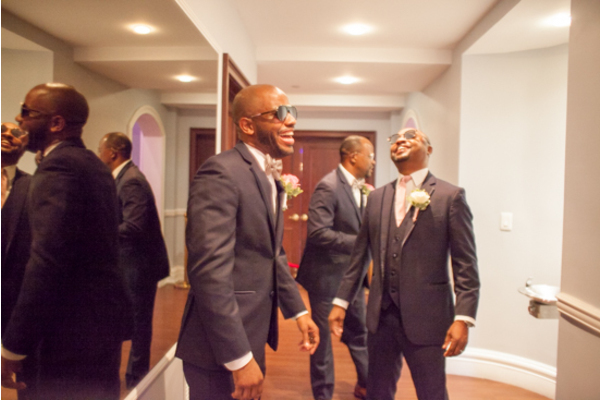 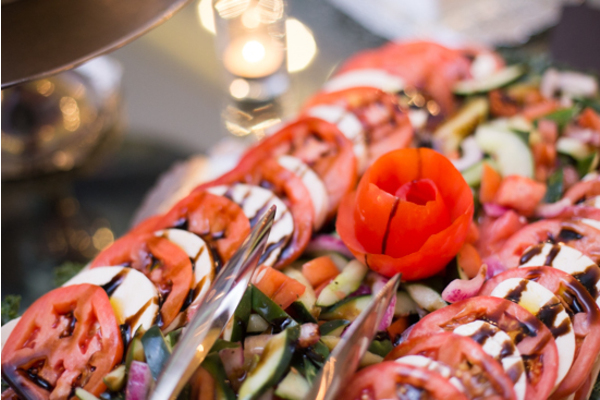 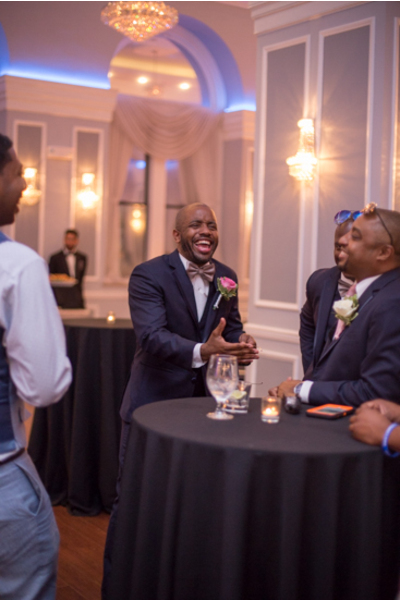 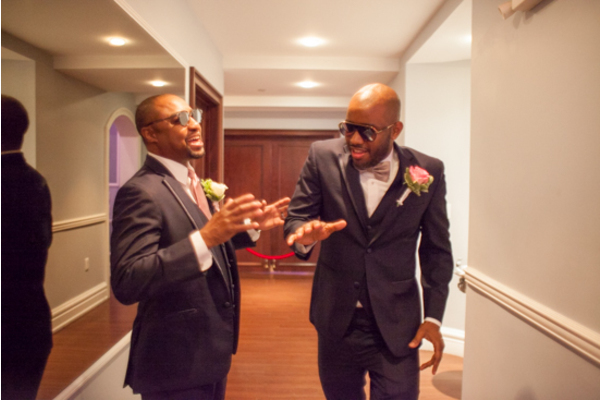 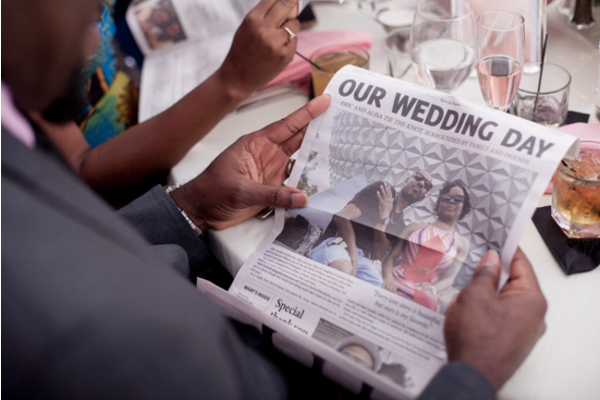 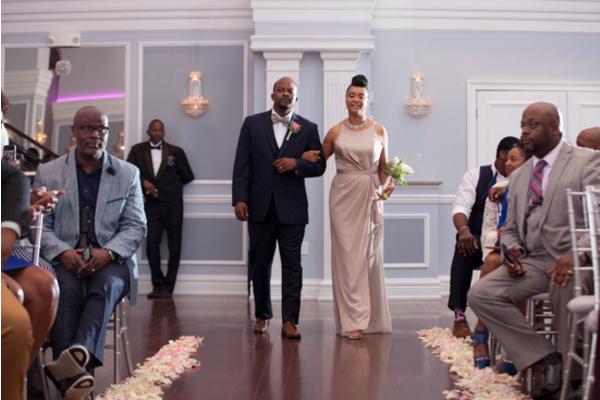 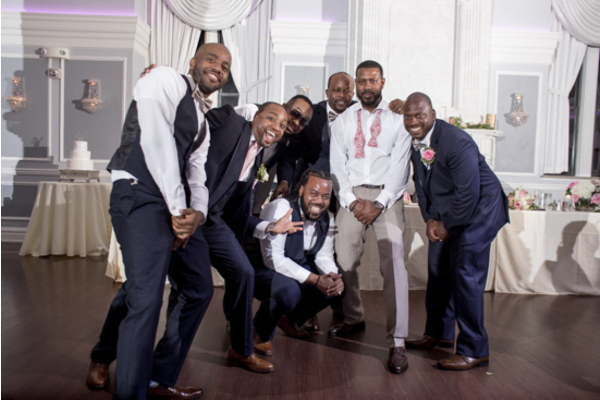 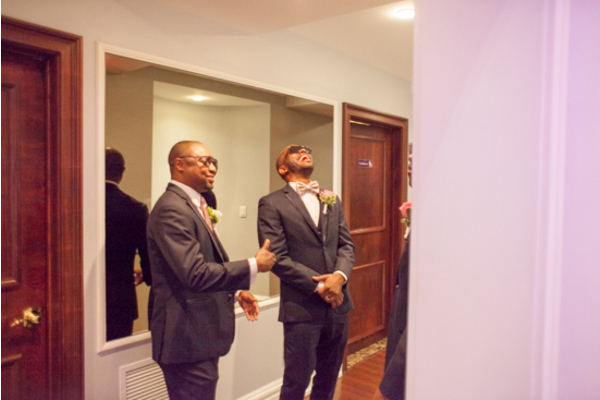 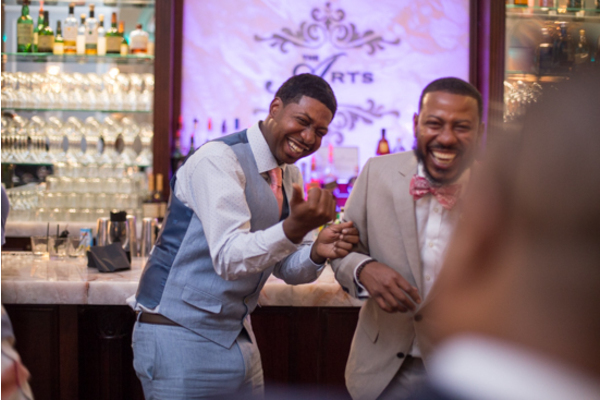 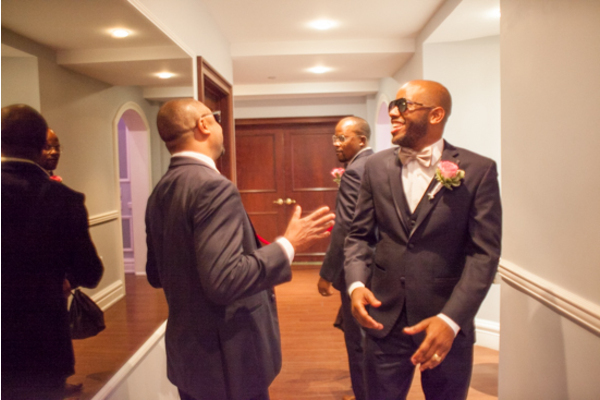 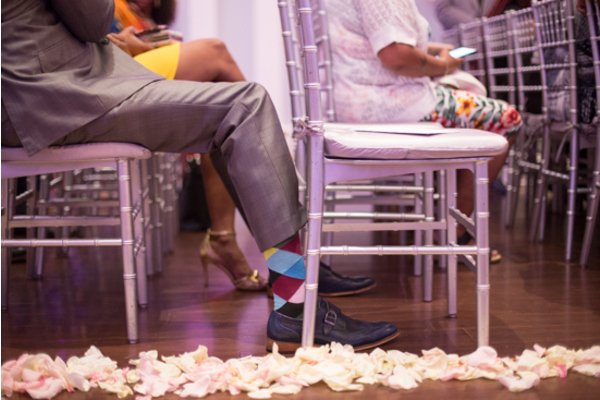 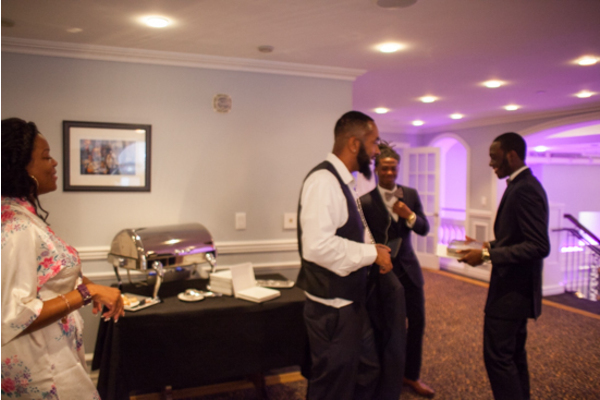 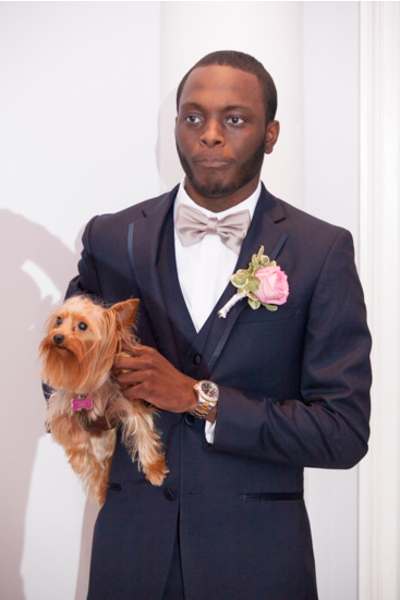 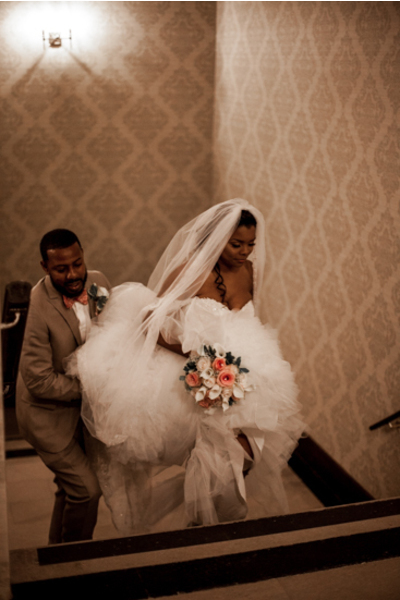 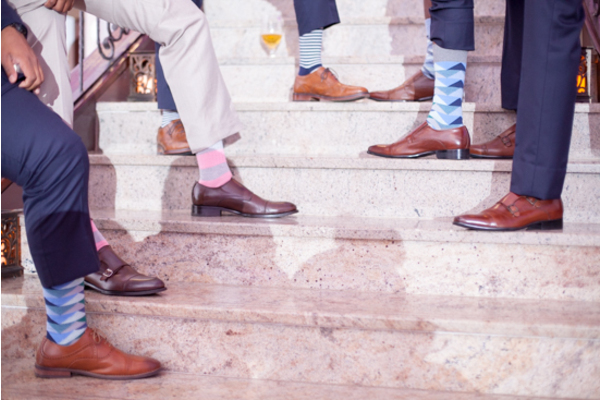 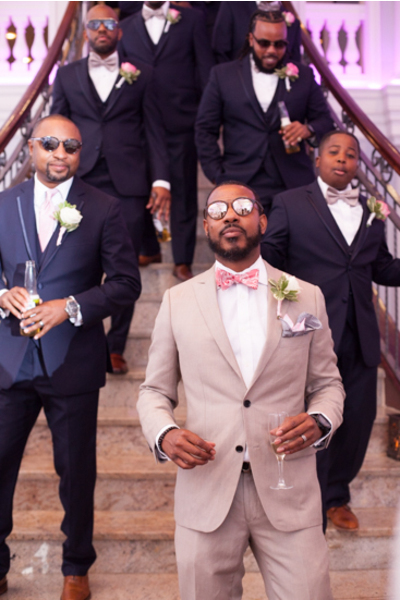 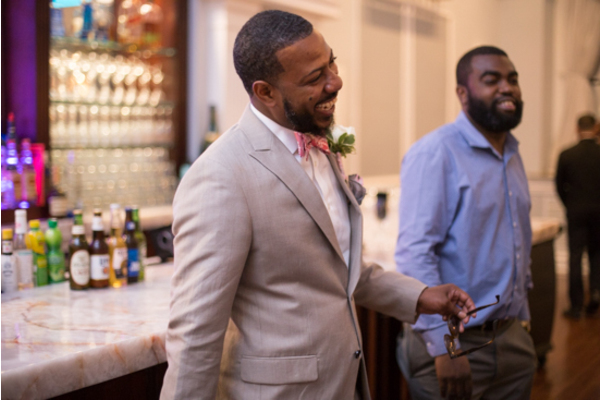 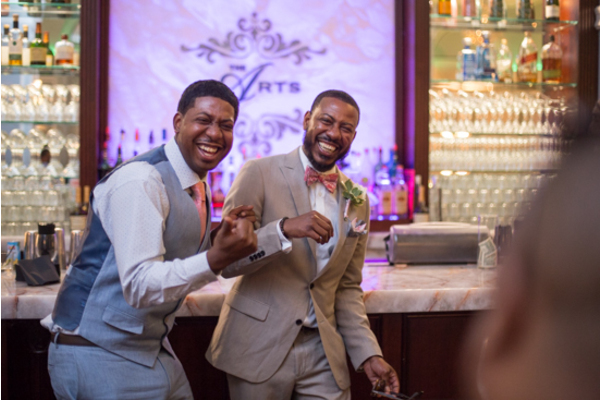 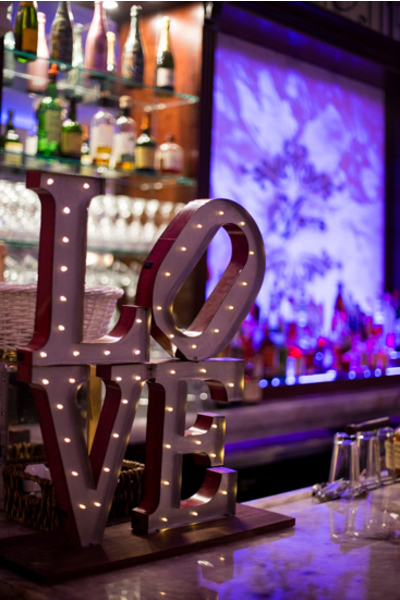 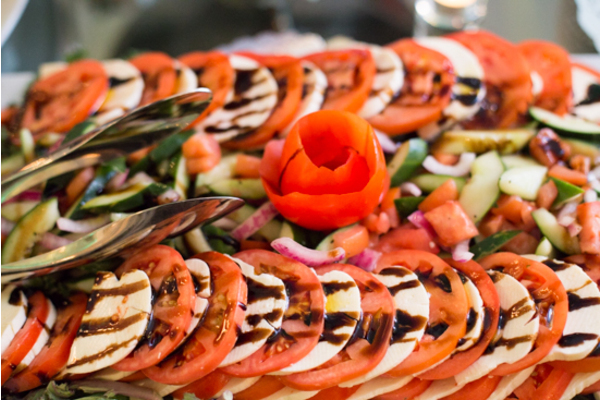 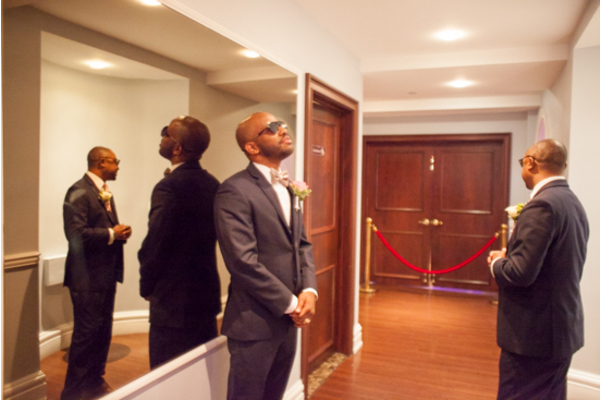 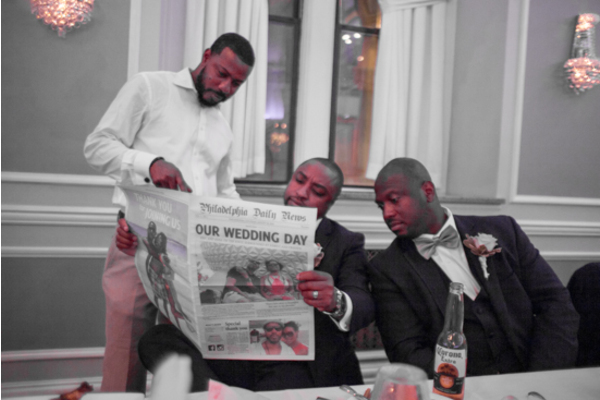 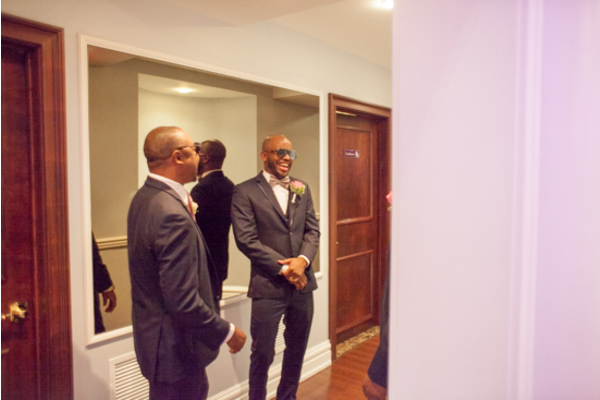 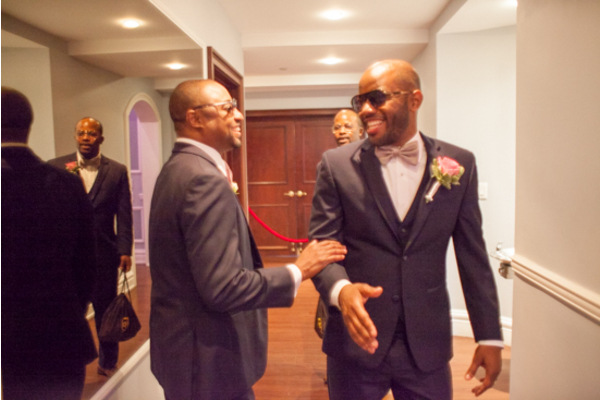 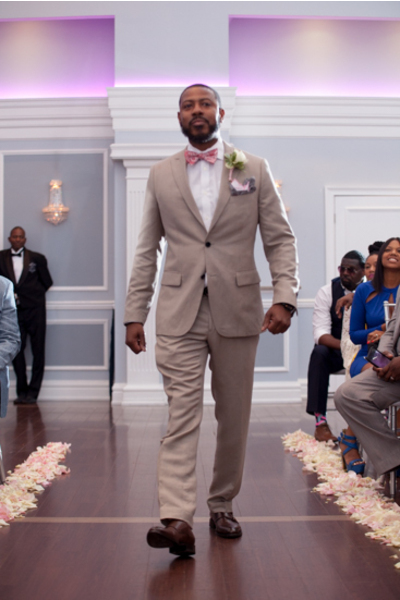 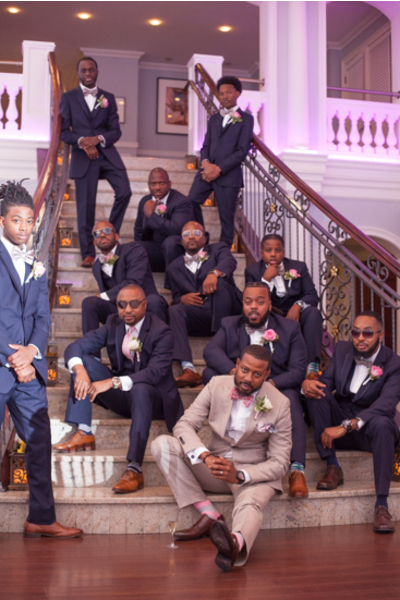 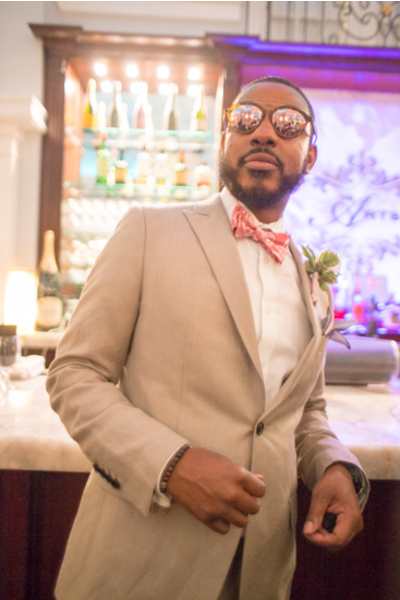 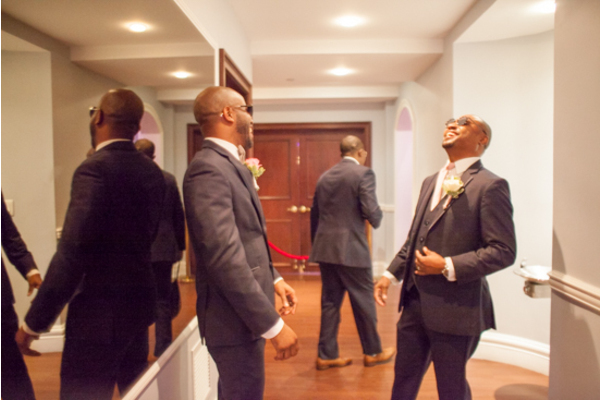 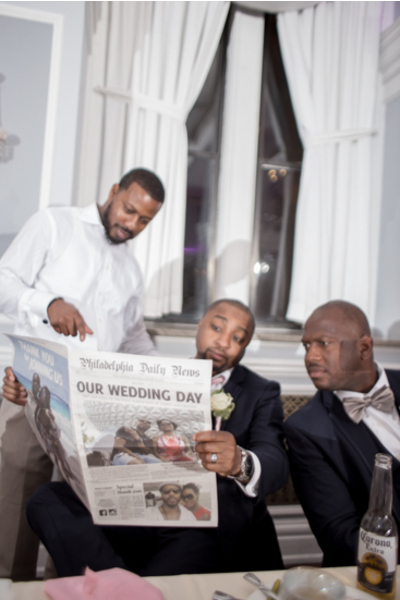 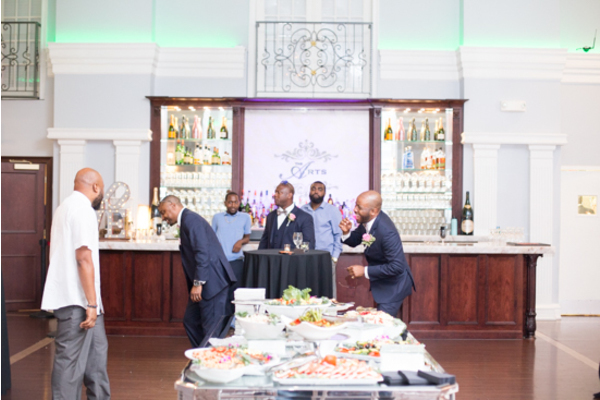 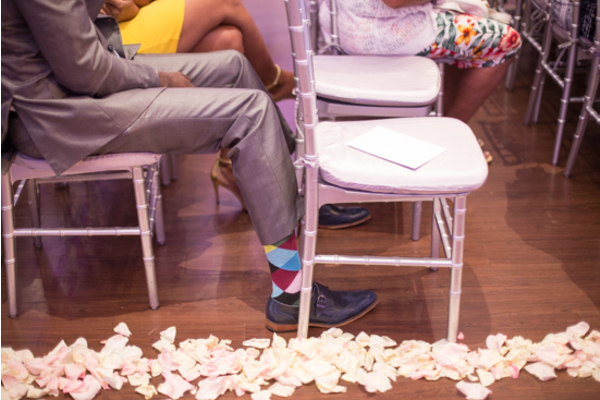 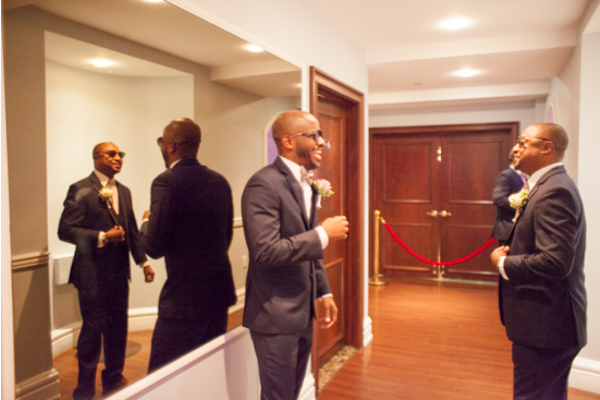 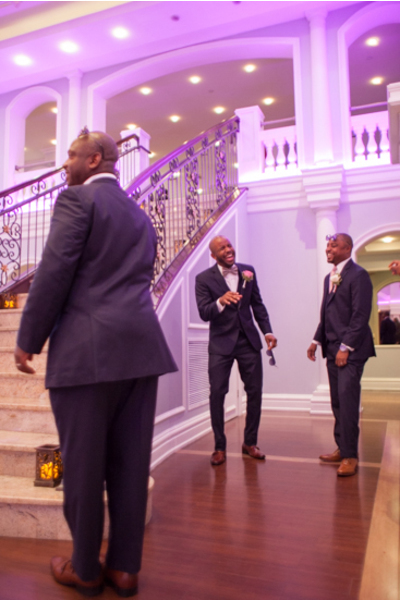 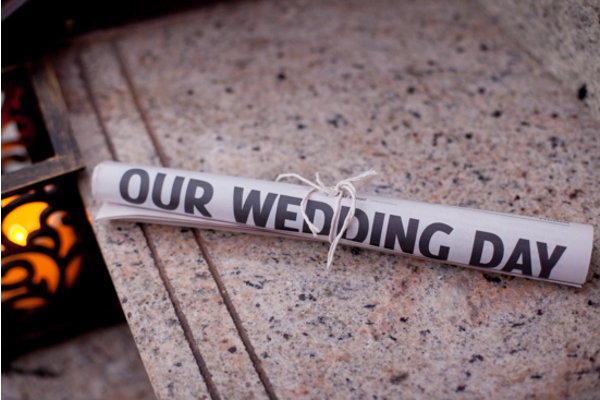 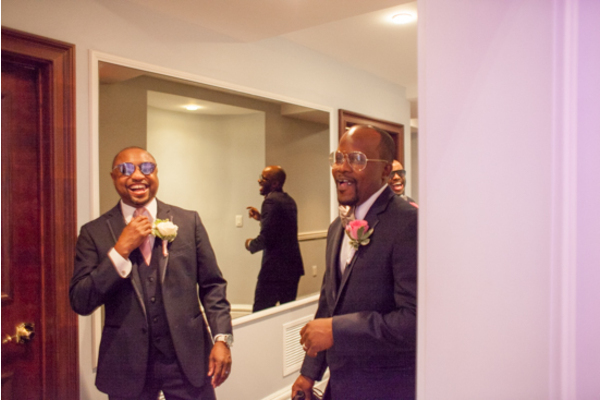 We loved that through their photo story, you are able to see the fun personalities of the bride and groom. 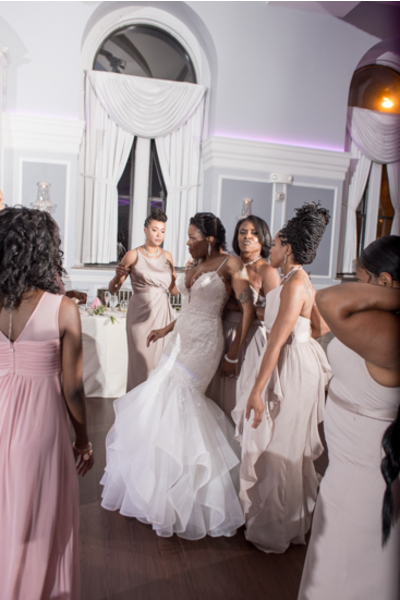 Alisa began her morning with her lovely bridesmaids by her side. 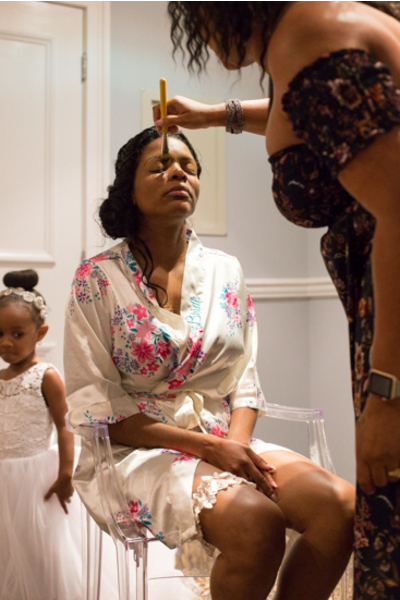 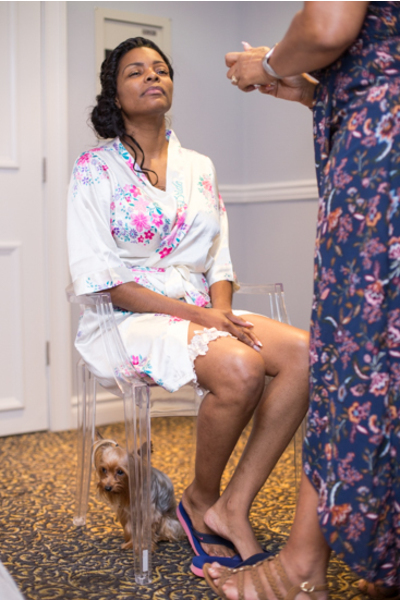 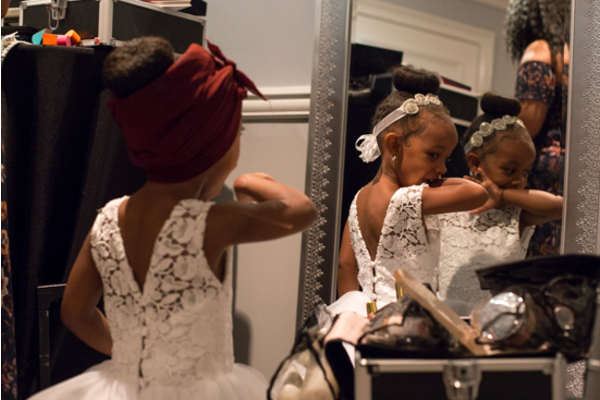 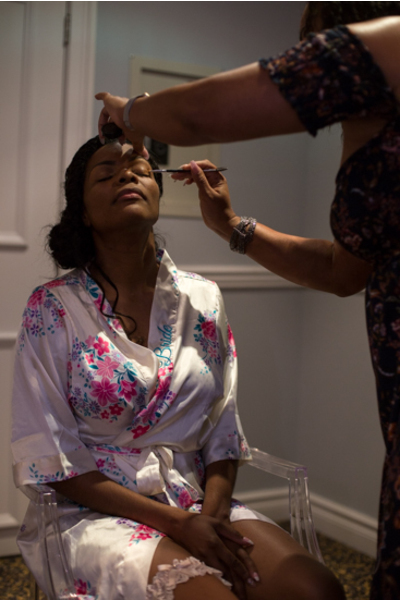 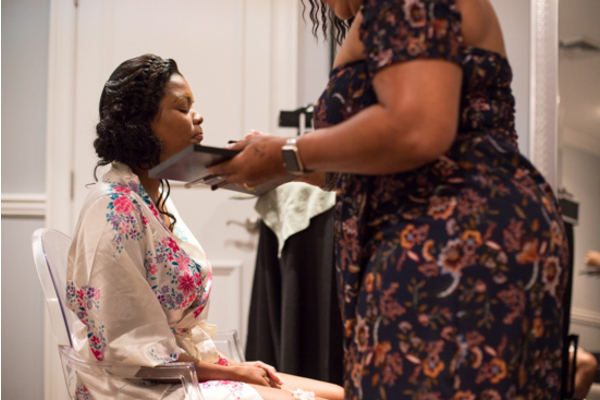 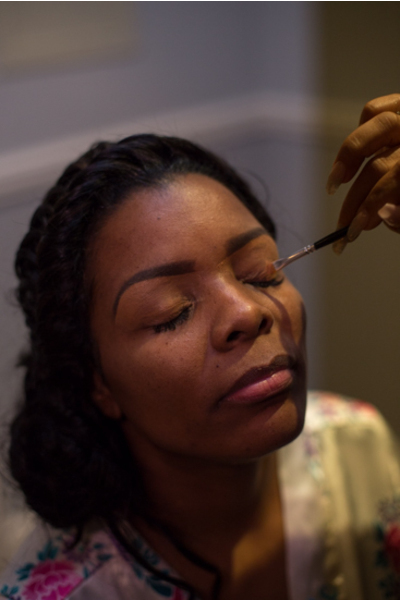 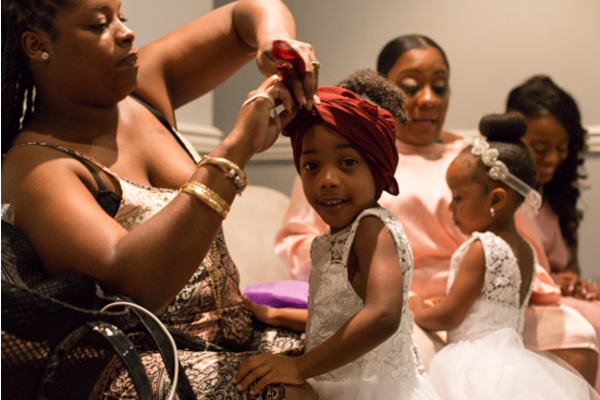 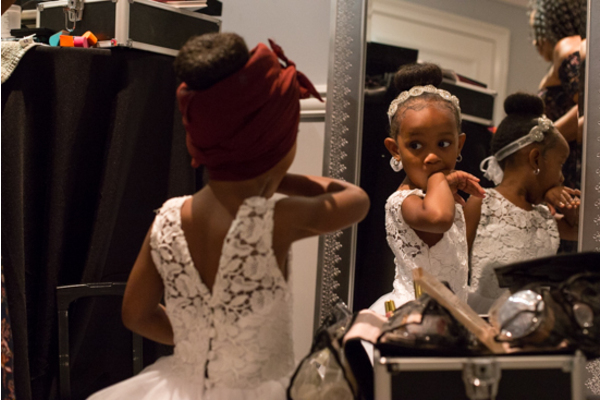 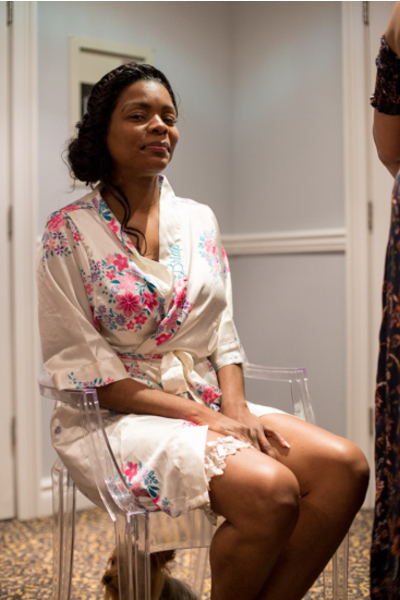 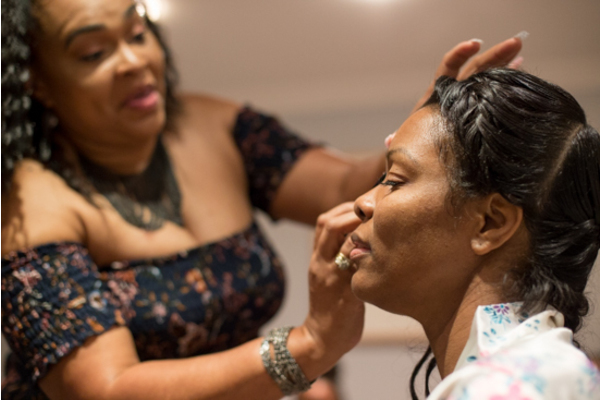 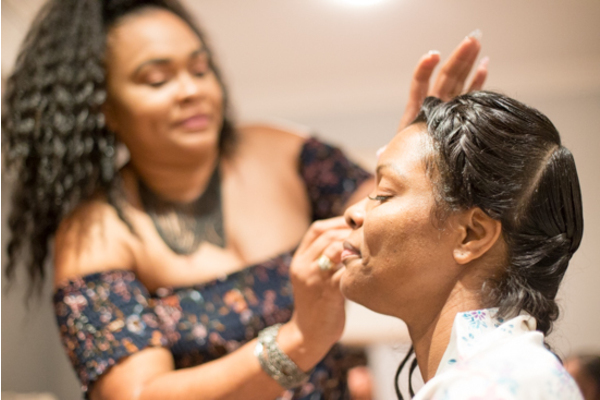 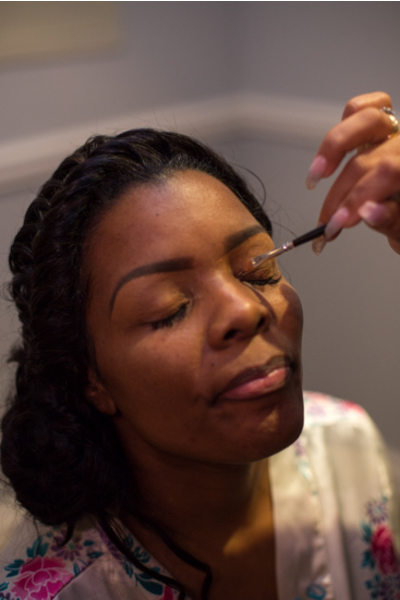 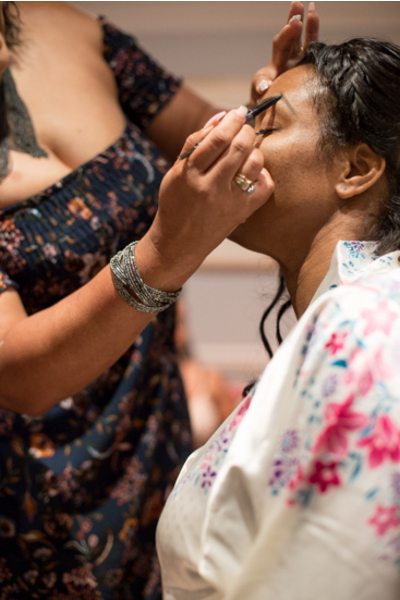 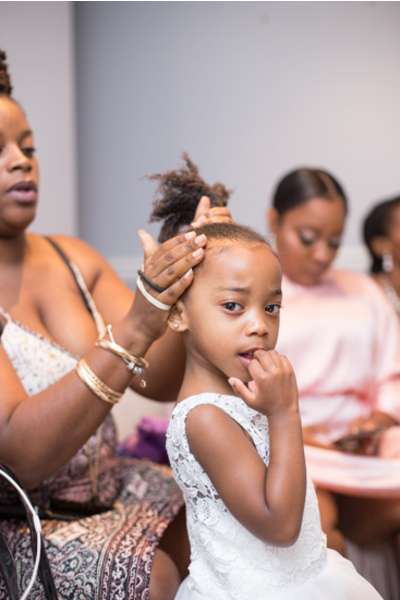 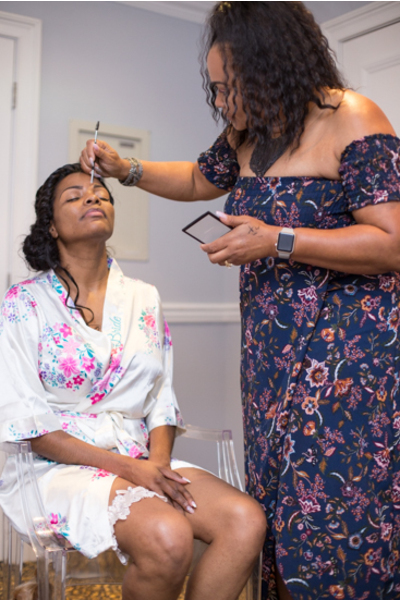 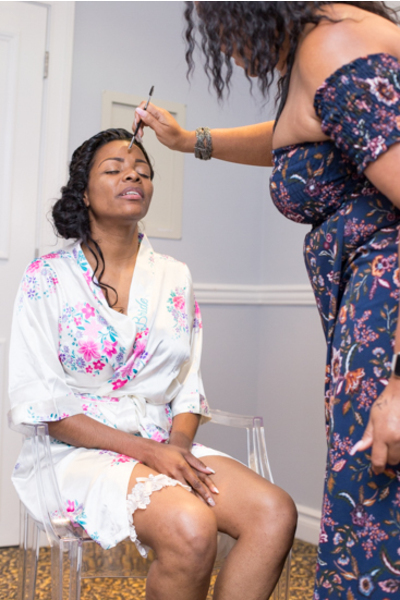 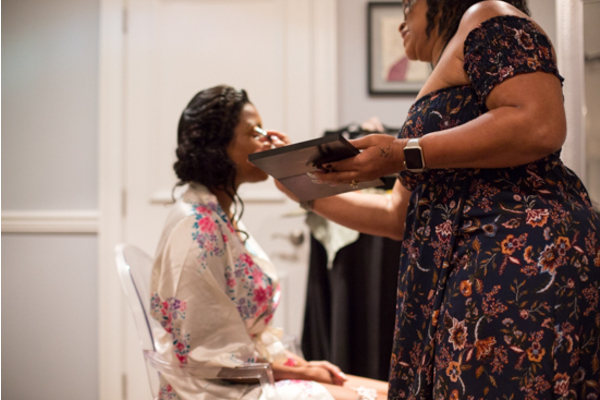 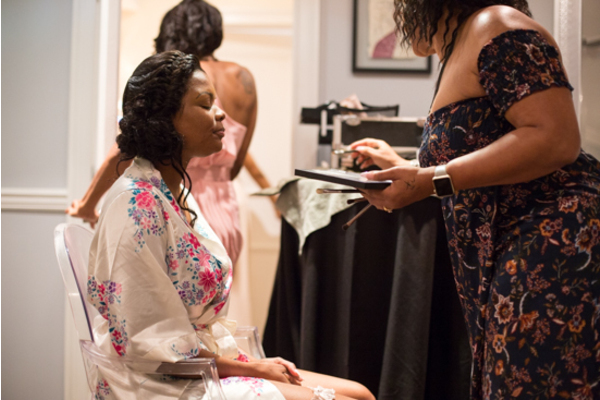 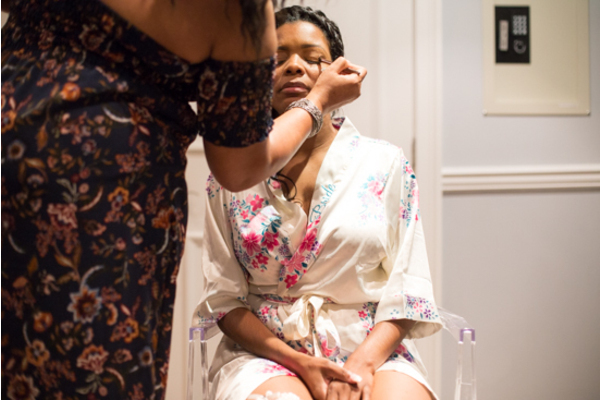 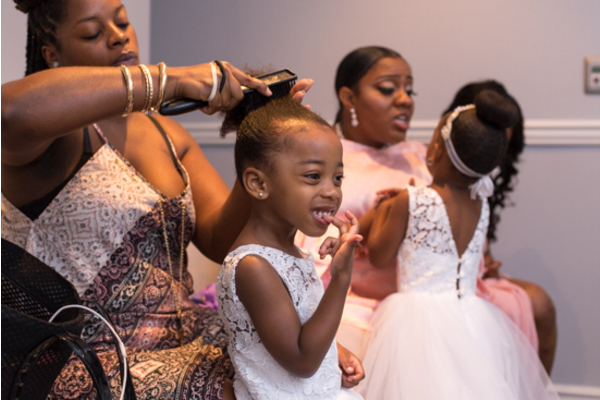 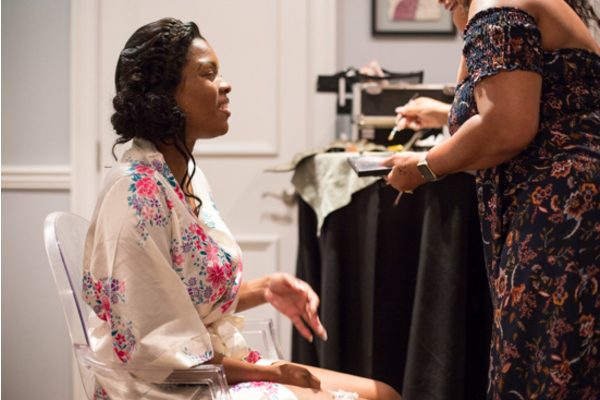 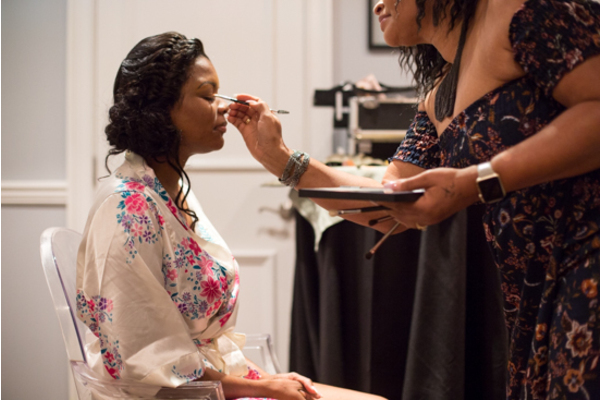 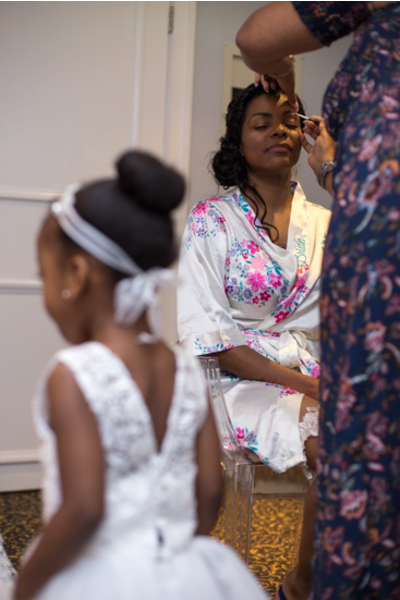 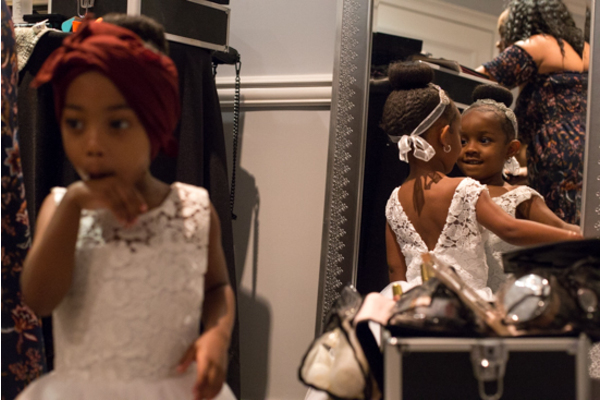 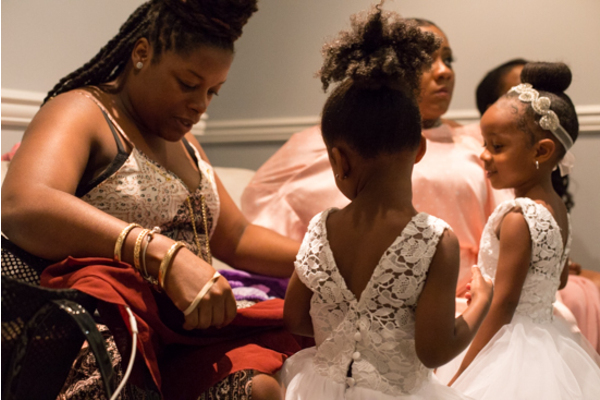 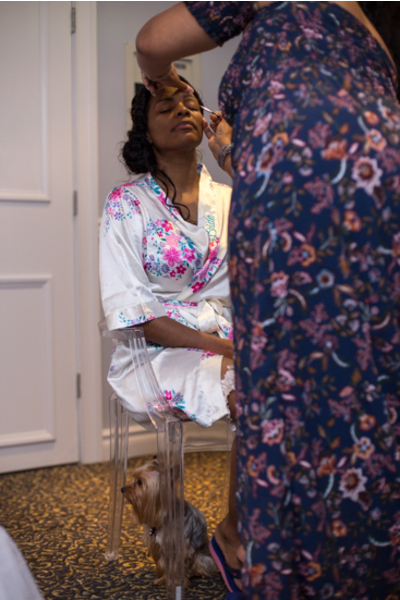 They all got their hair and makeup done up to perfection in their floral robes before slipping into their gowns. 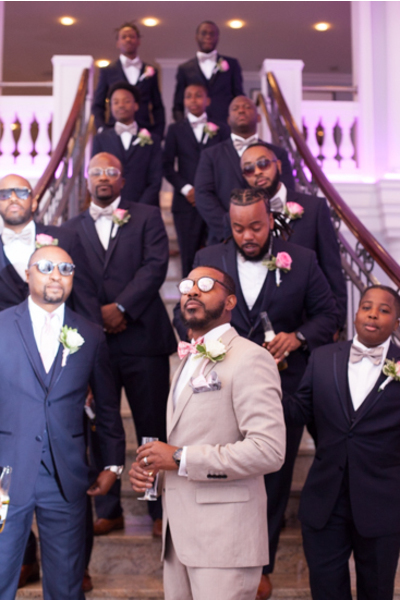 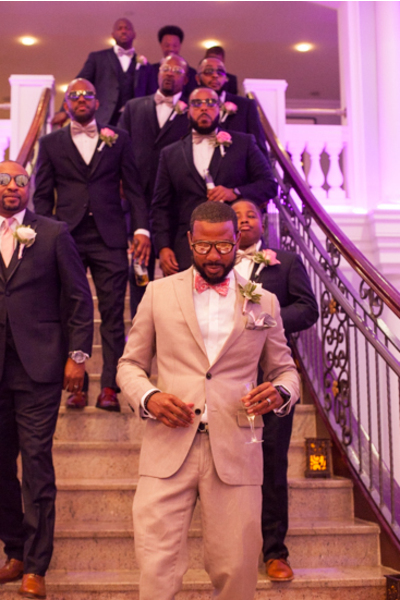 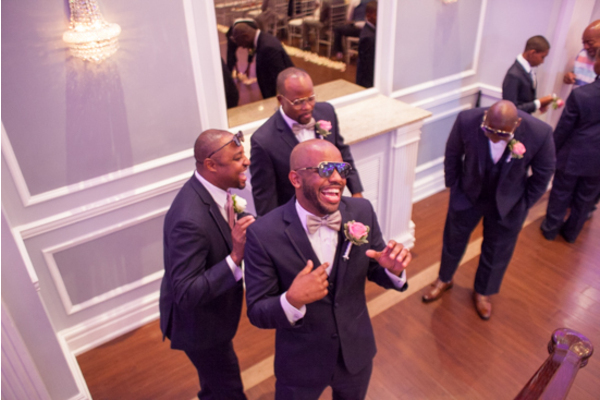 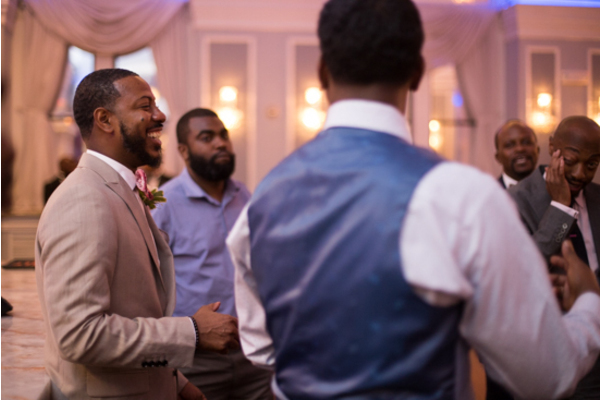 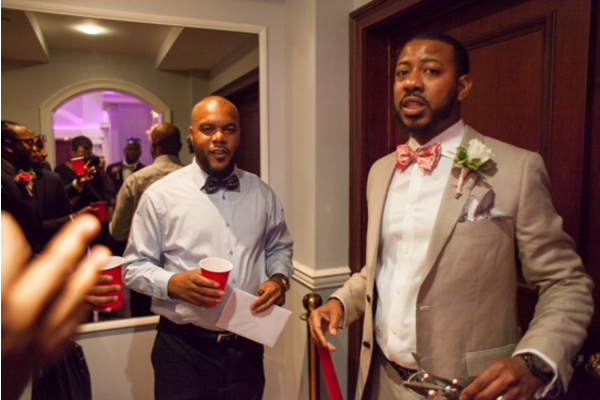 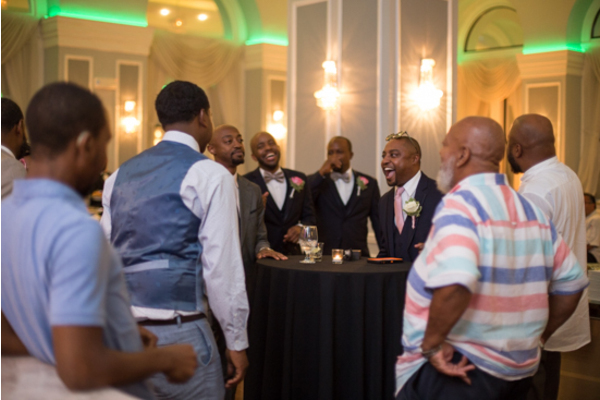 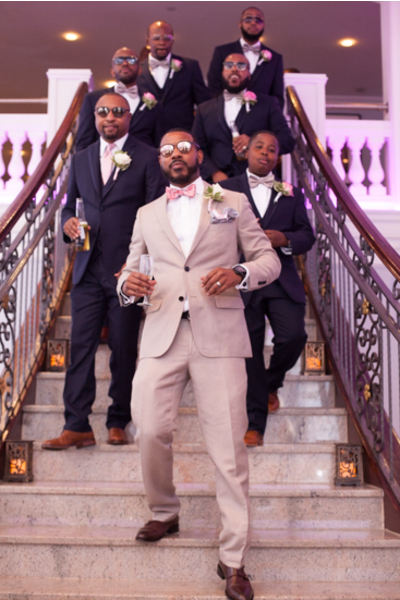 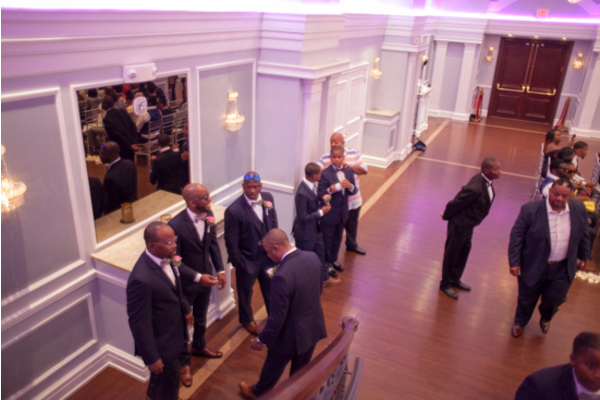 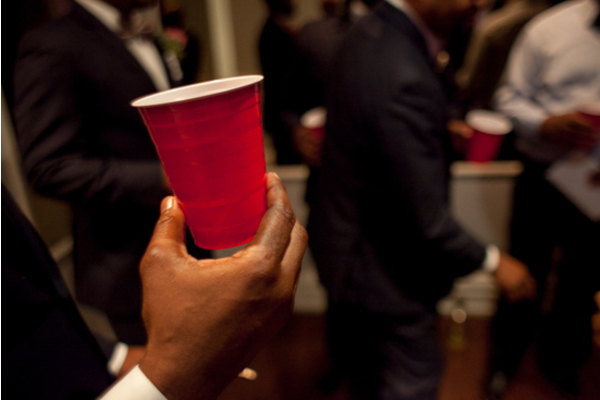 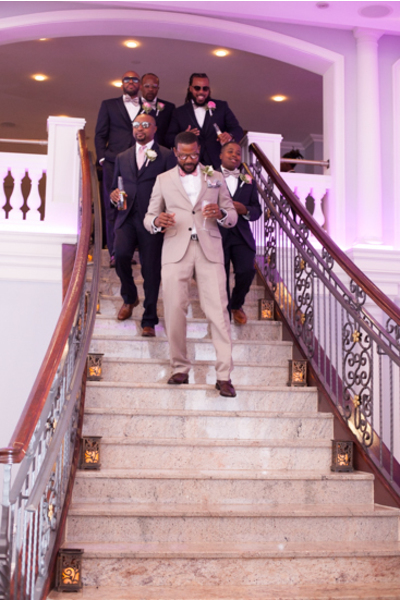 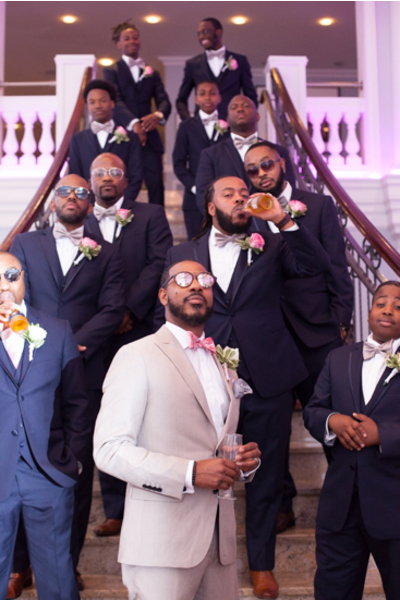 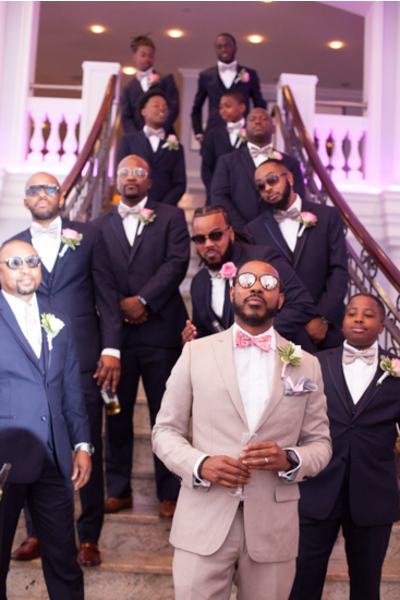 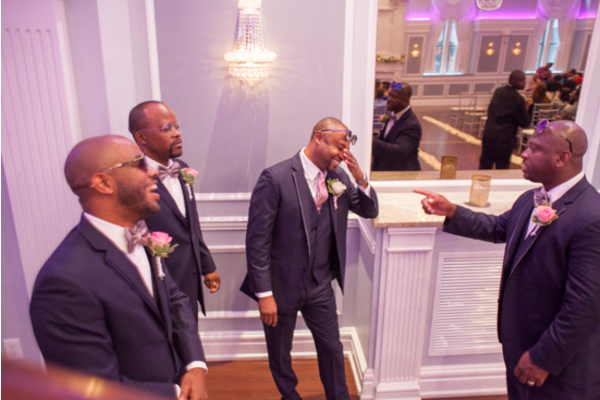 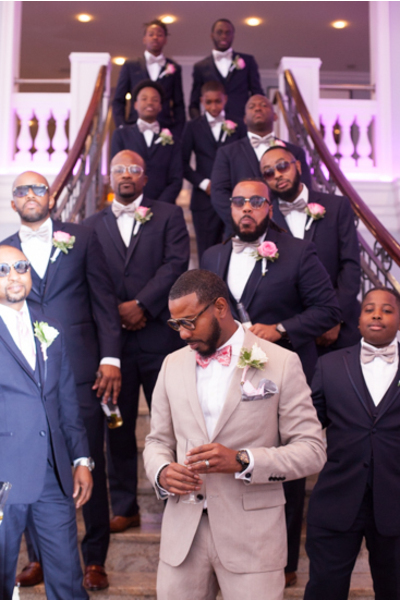 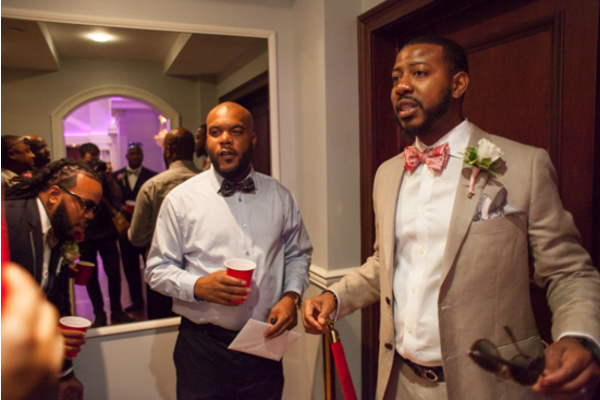 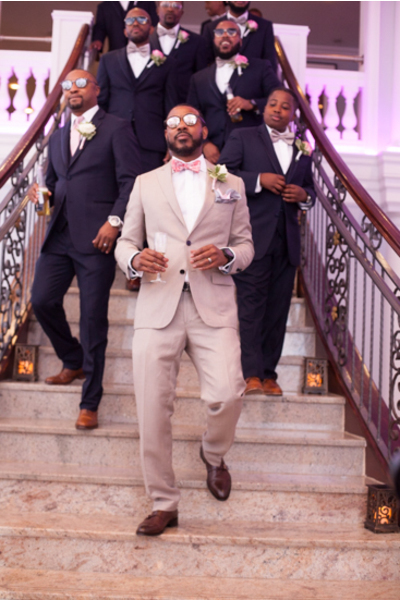 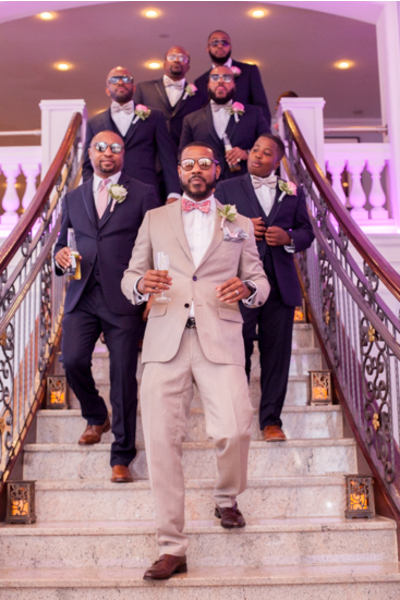 Before the ceremony, the groom and his men, cheered with red solo cups together! 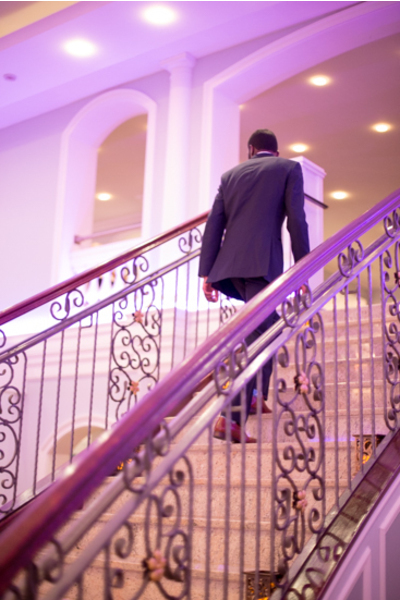 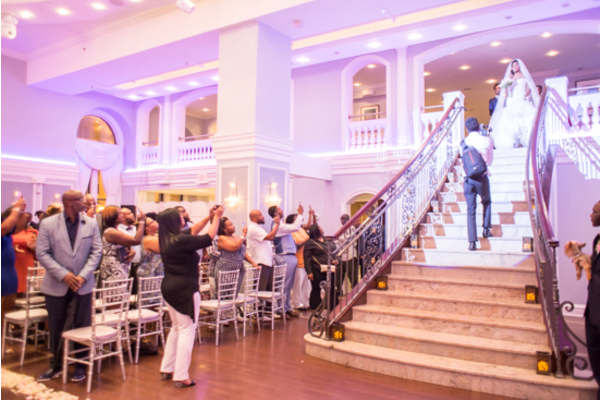 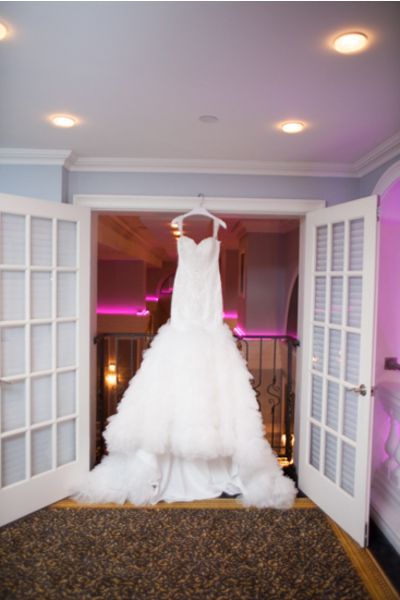 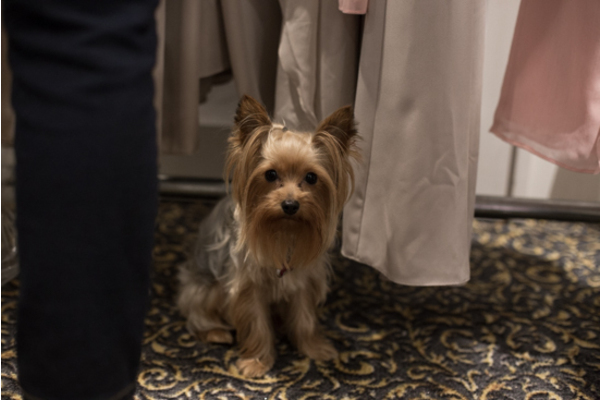 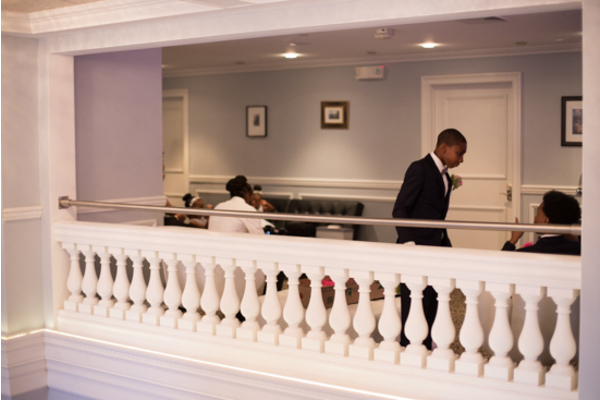 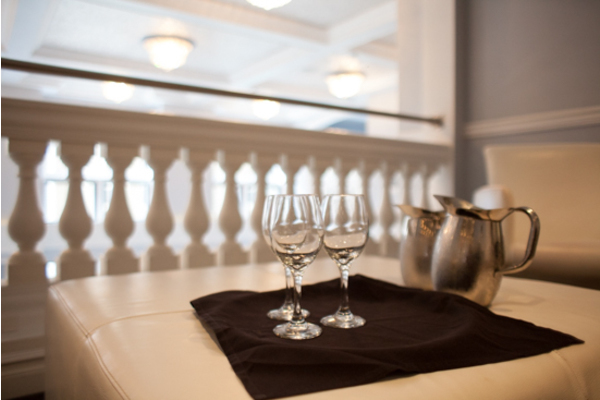 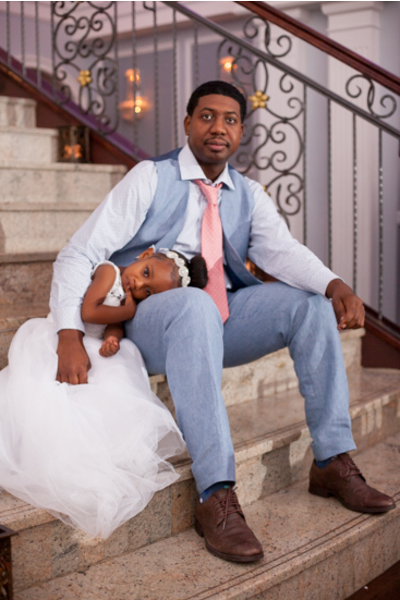 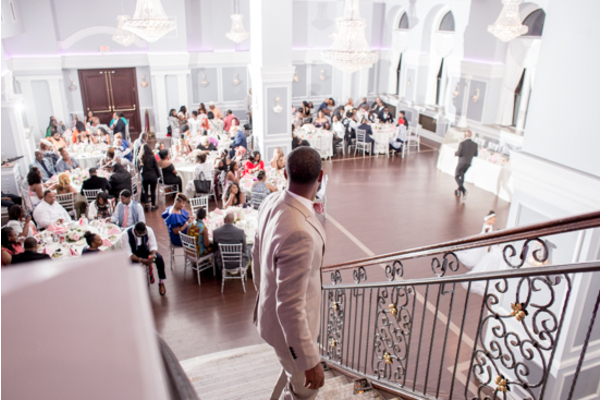 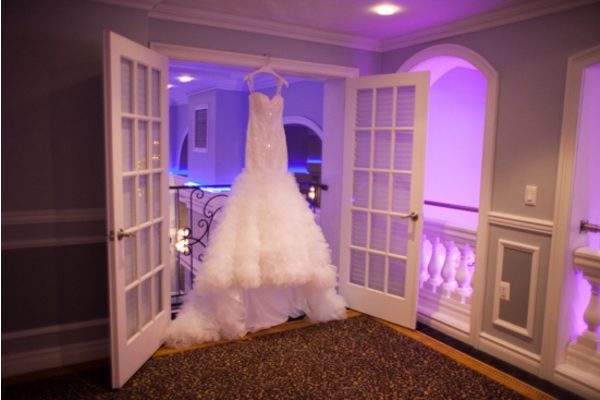 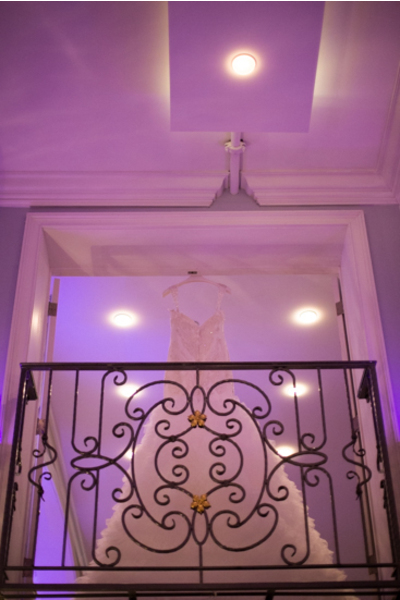 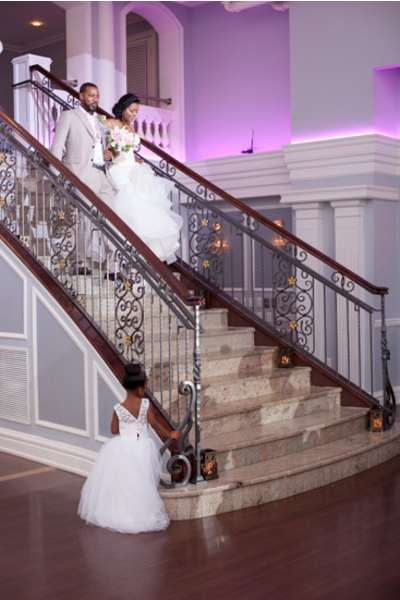 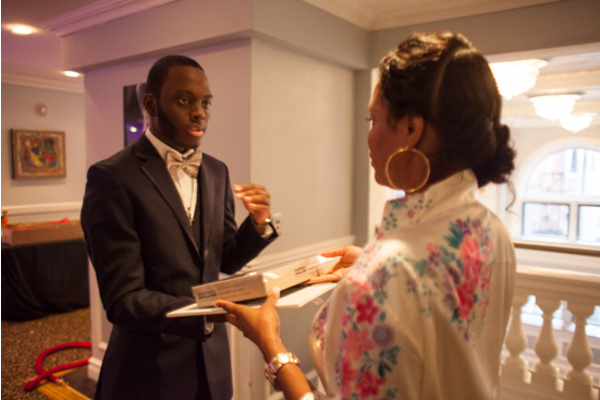 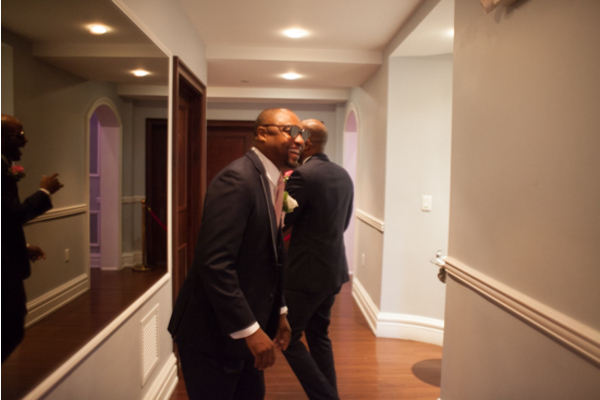 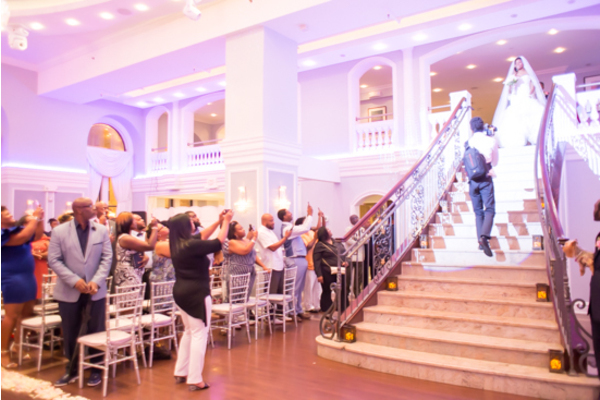 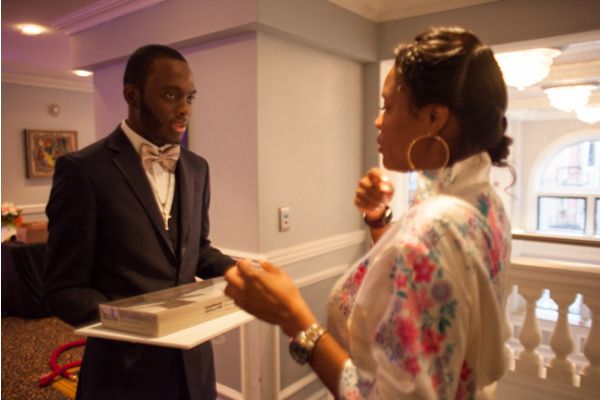 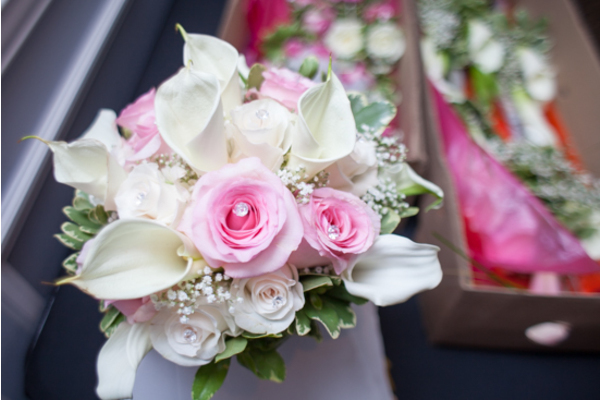 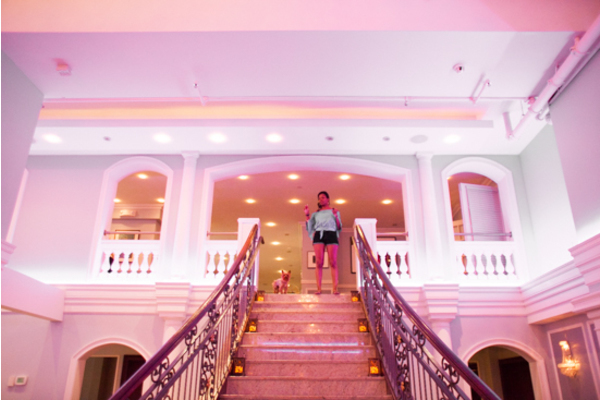 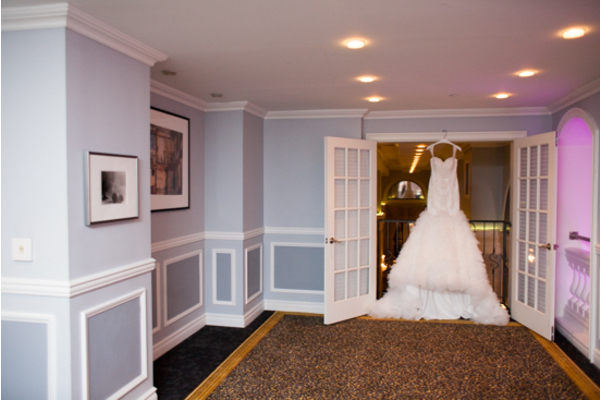 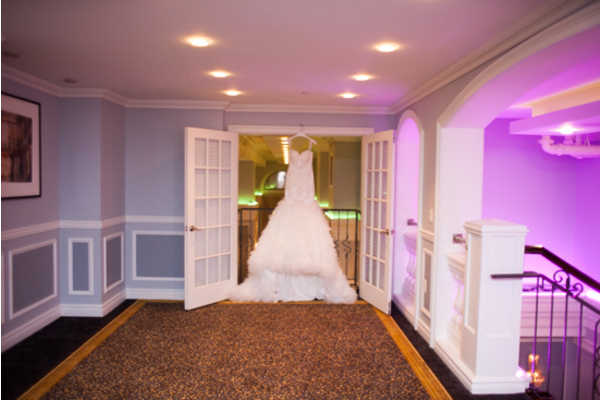 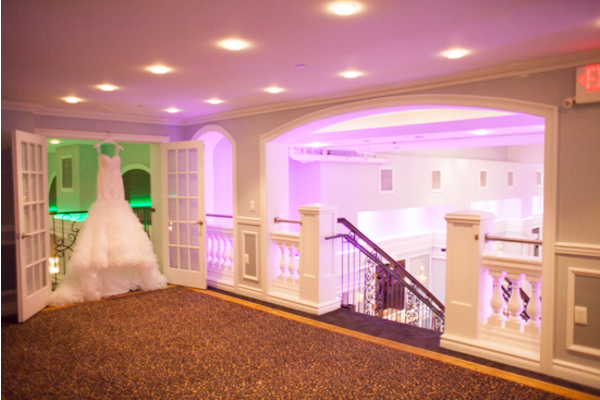 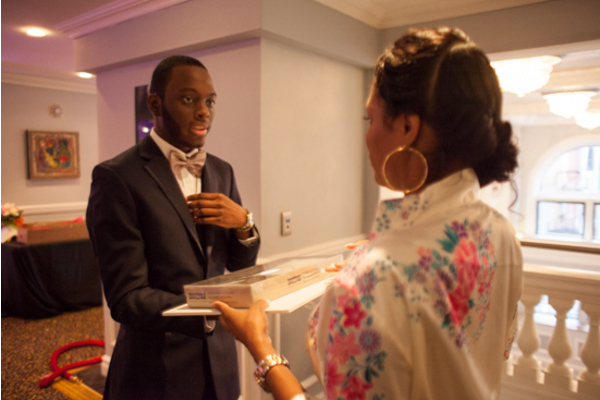 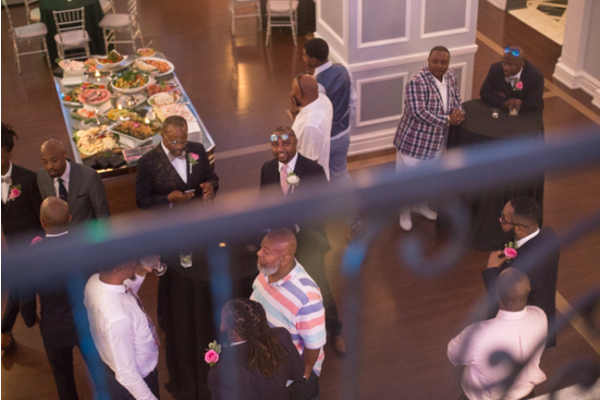 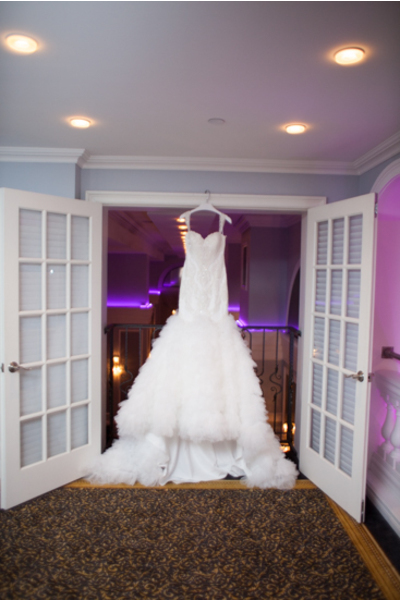 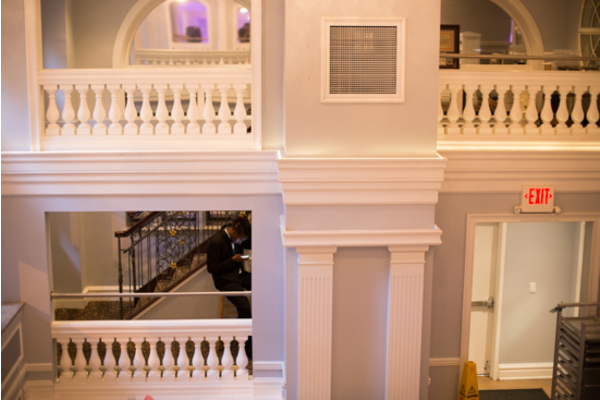 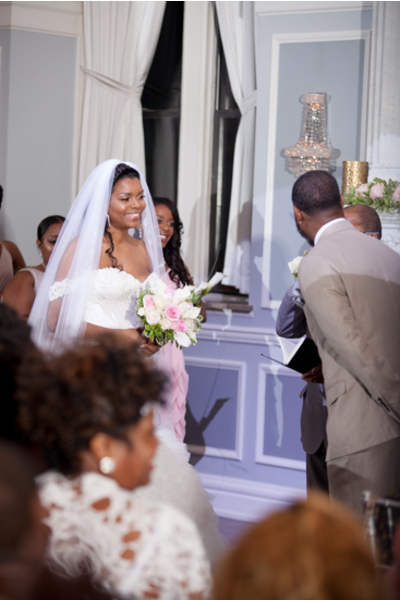 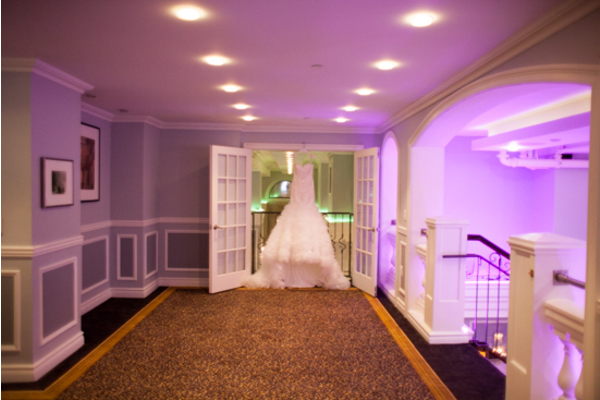 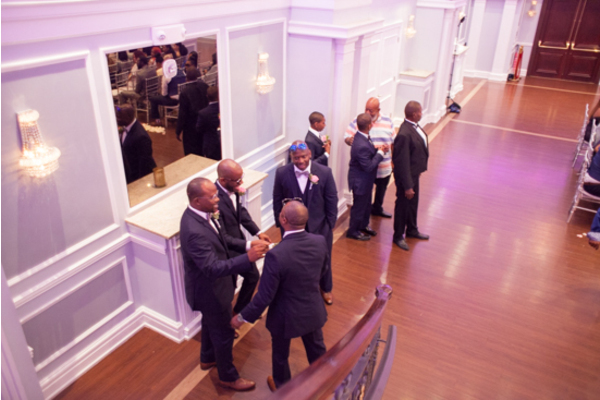 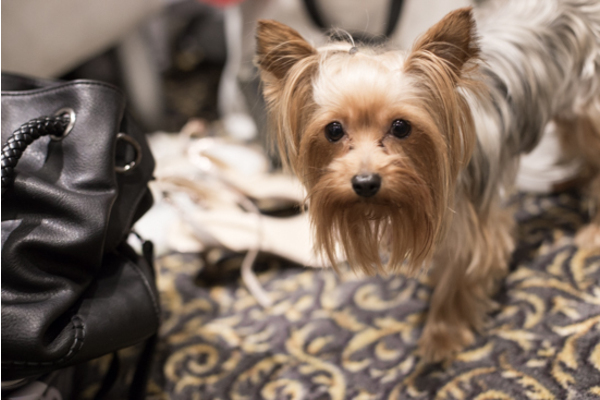 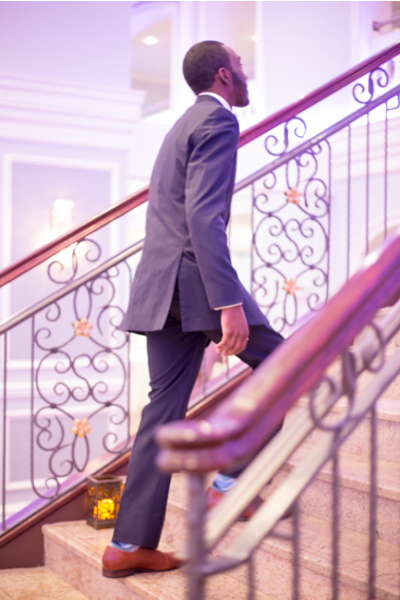 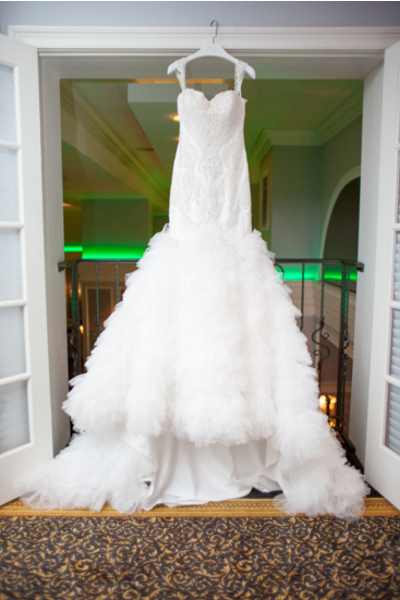 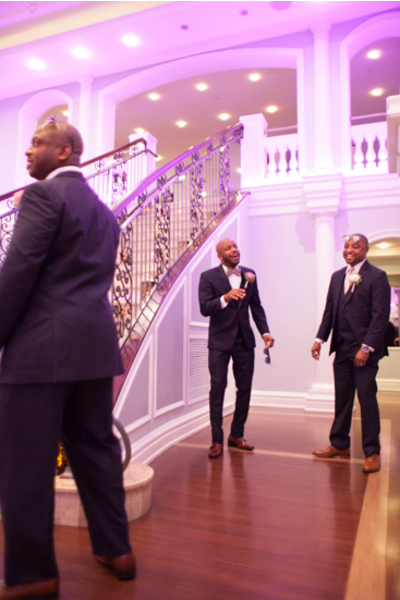 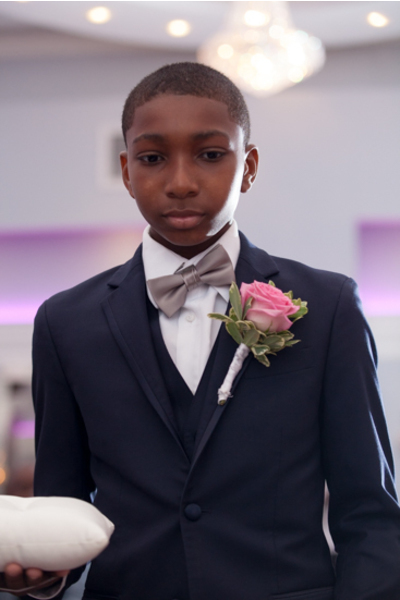 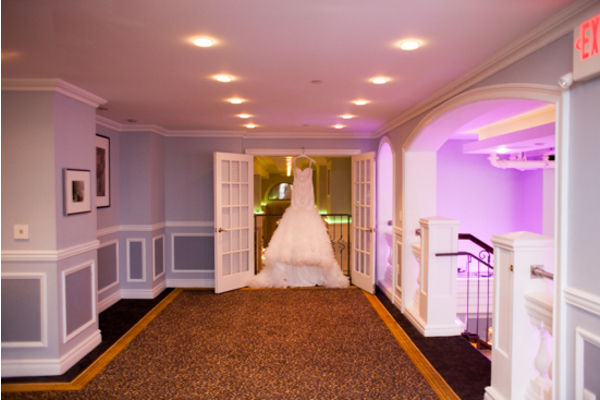 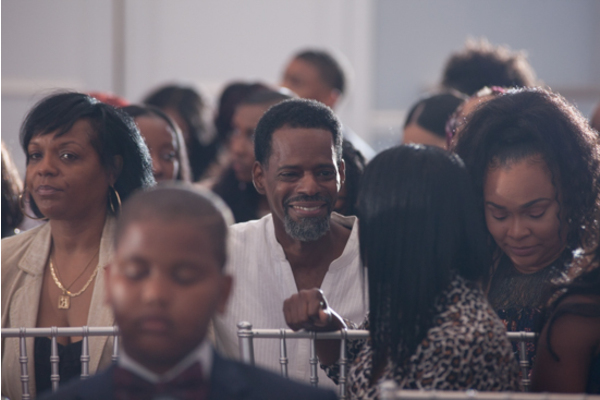 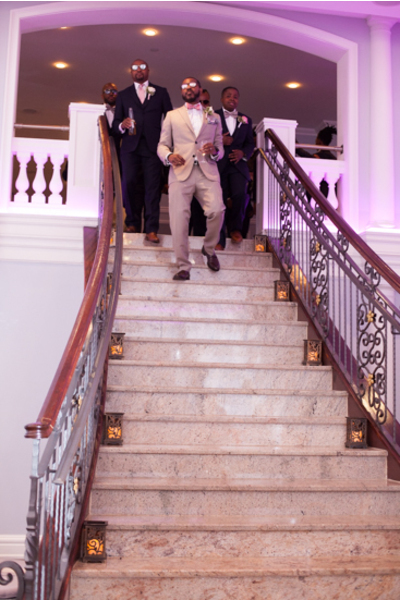 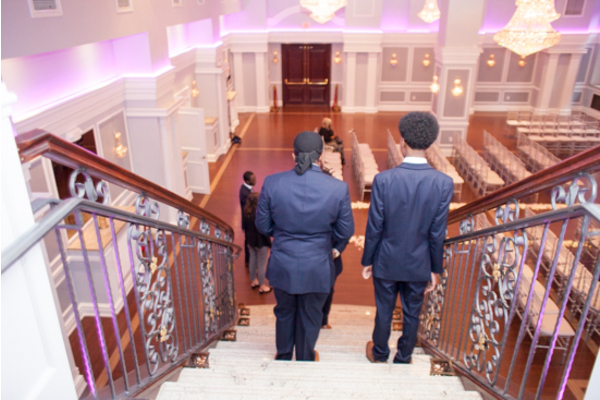 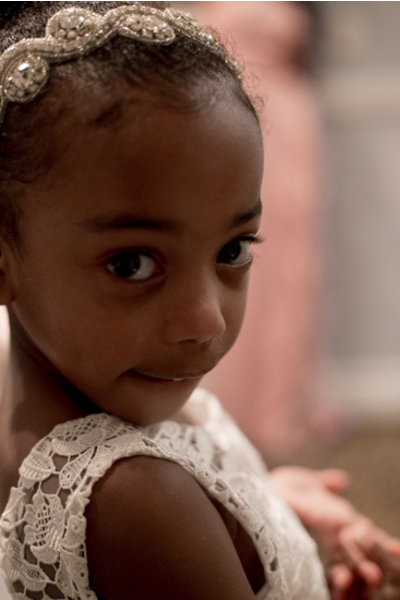 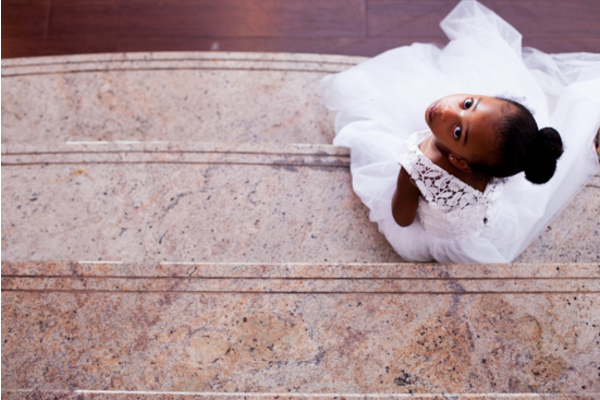 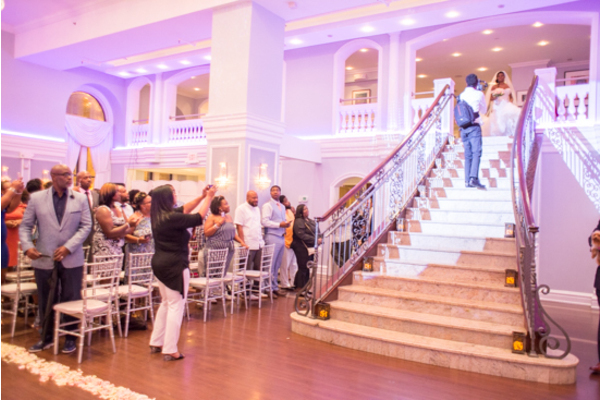 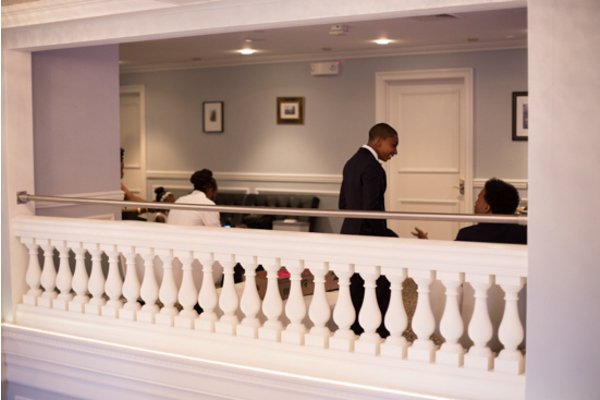 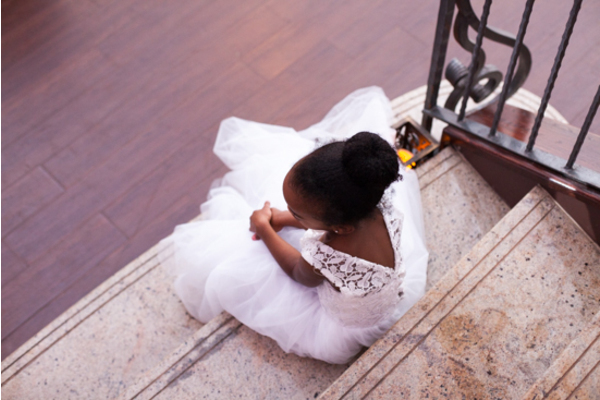 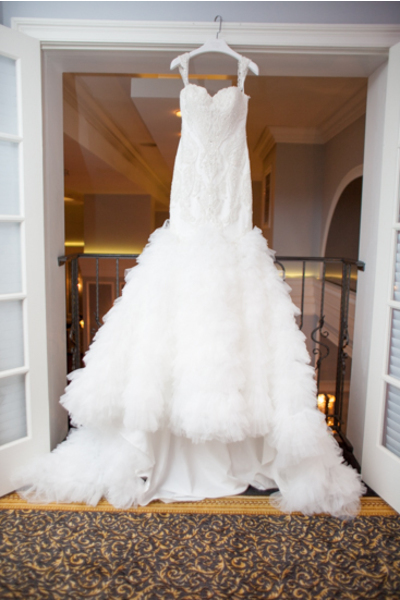 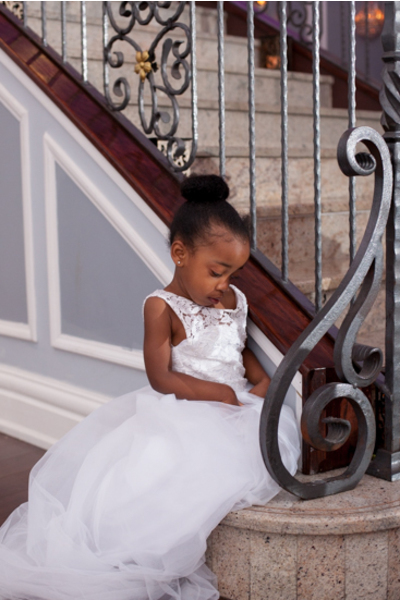 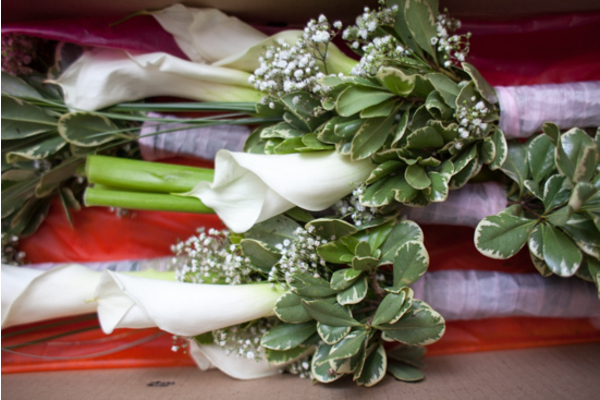 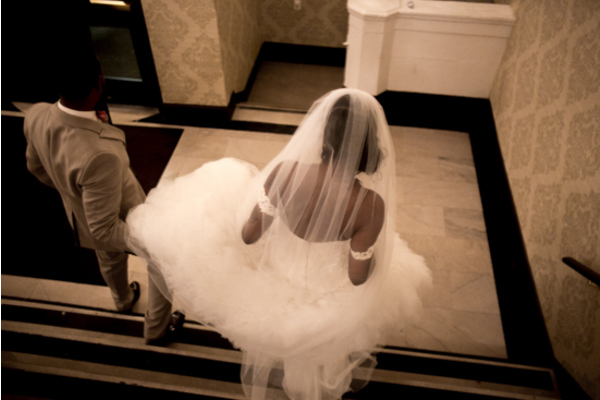 As Alisa made her way down the grand staircase into the ceremony, Eric patiently awaited to see her dressed in white! 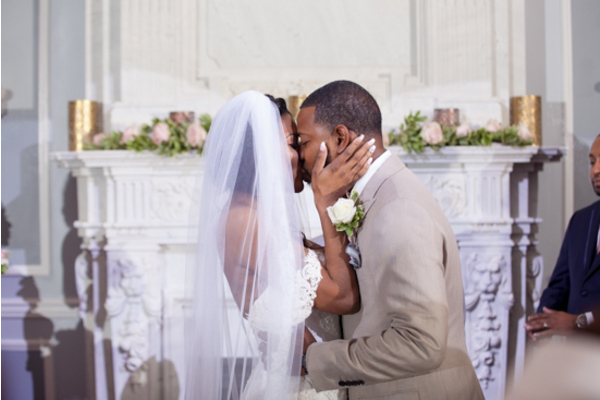 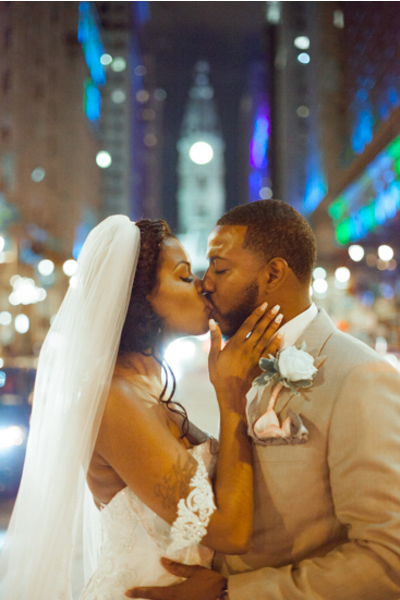 Our NJ Wedding Photographer was sure to capture their first kiss as newlyweds. 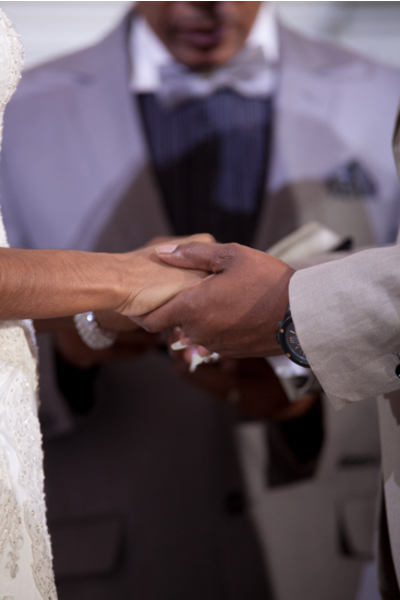 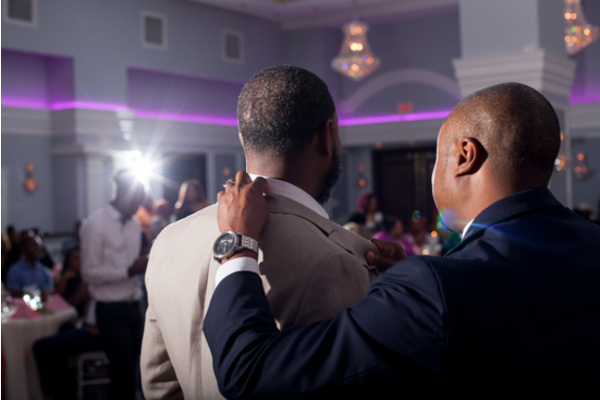 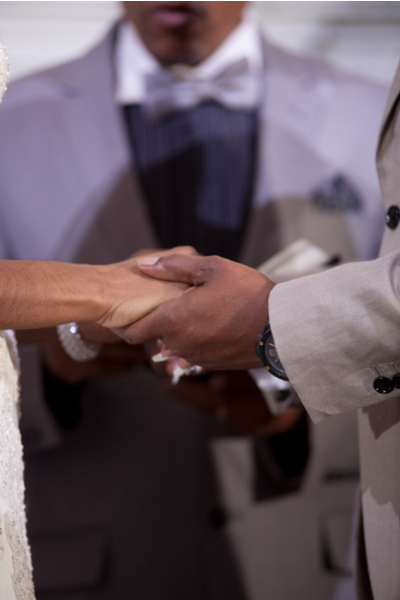 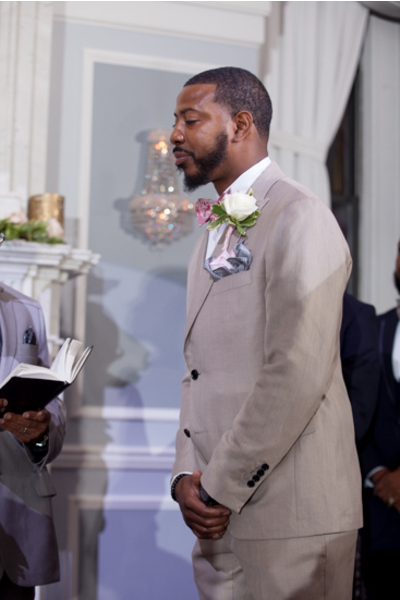 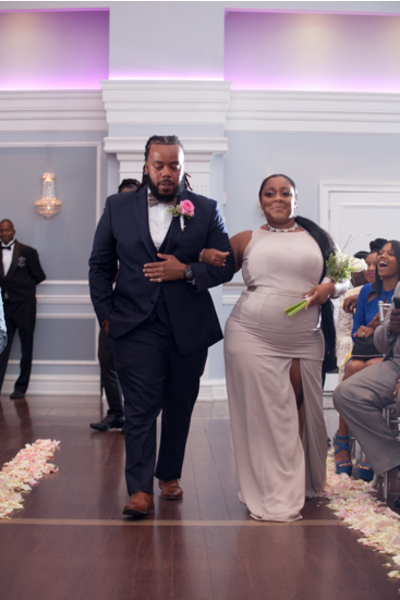 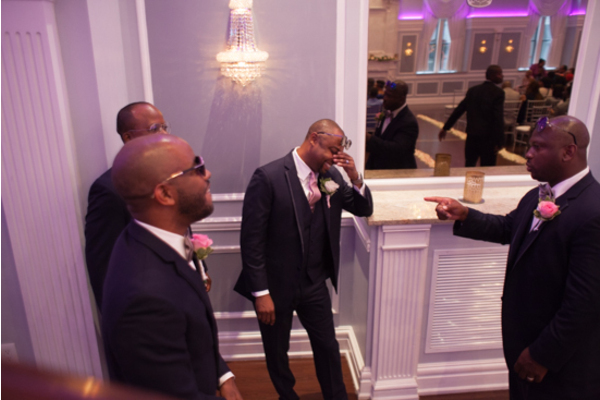 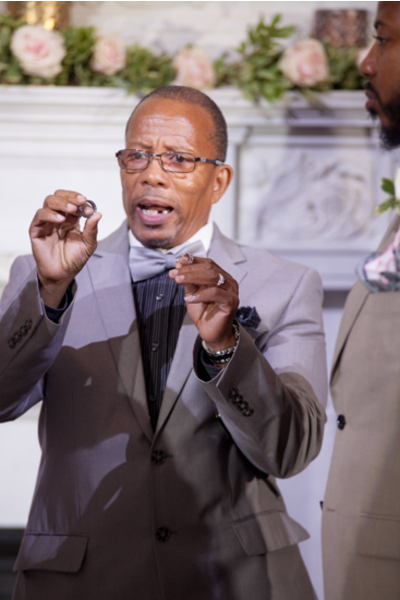 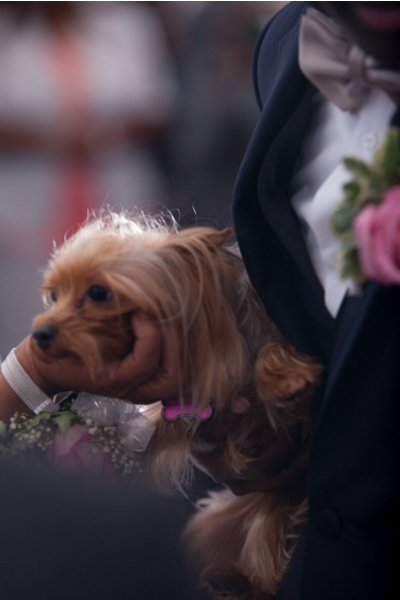 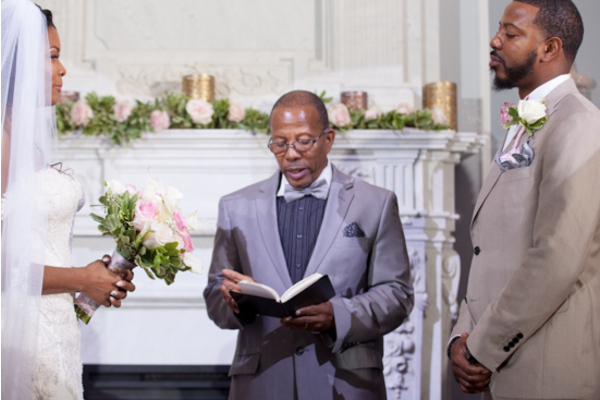 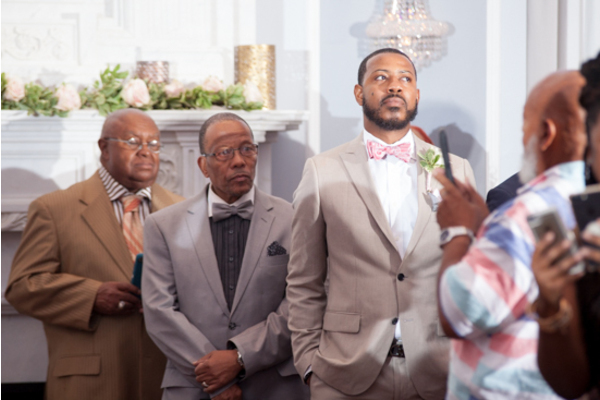 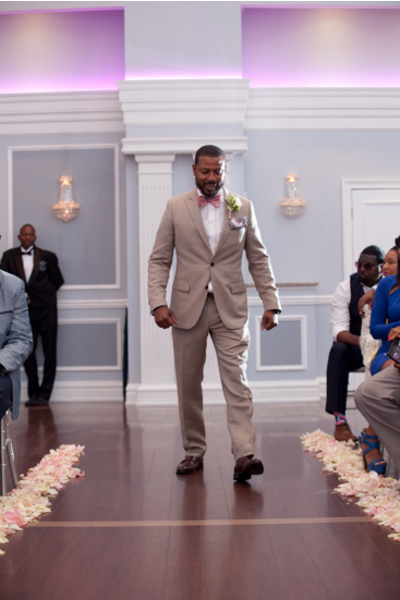 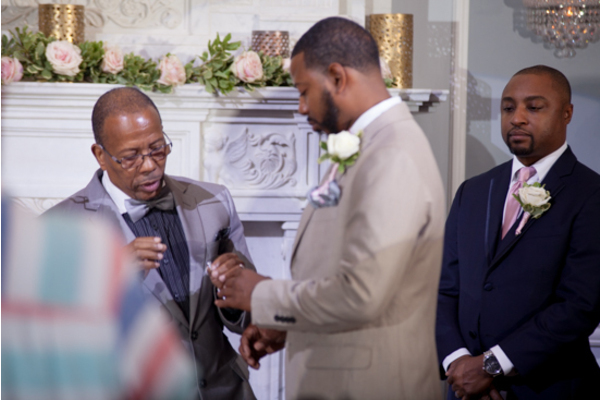 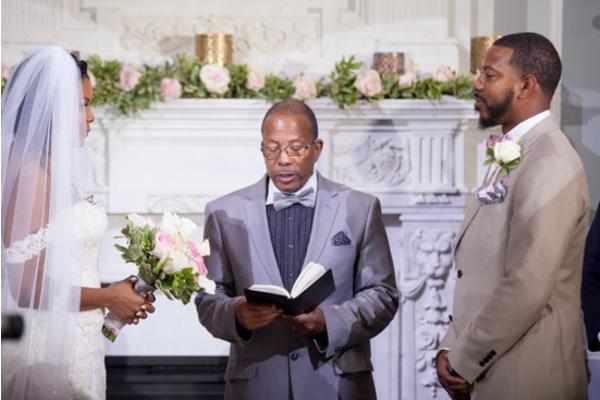 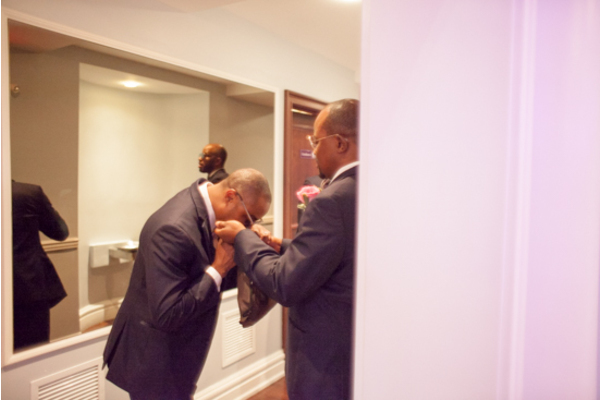 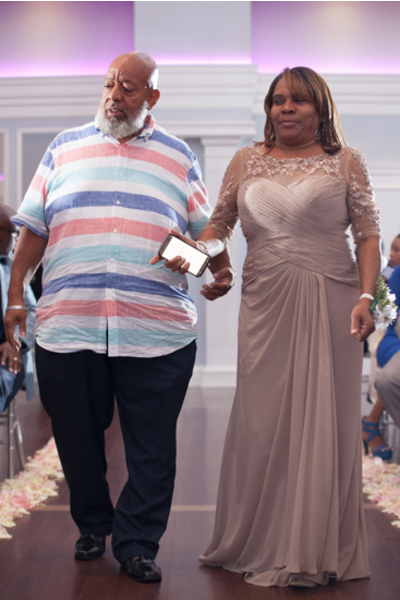 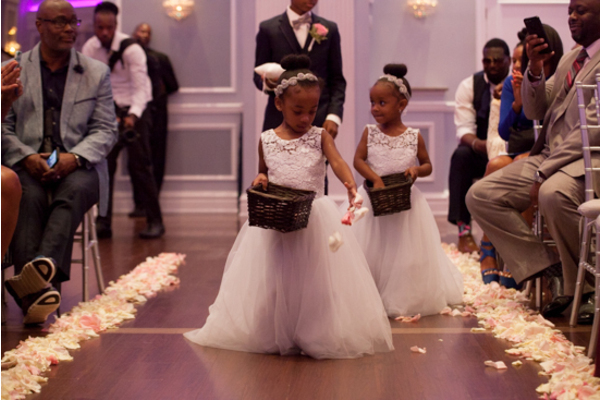 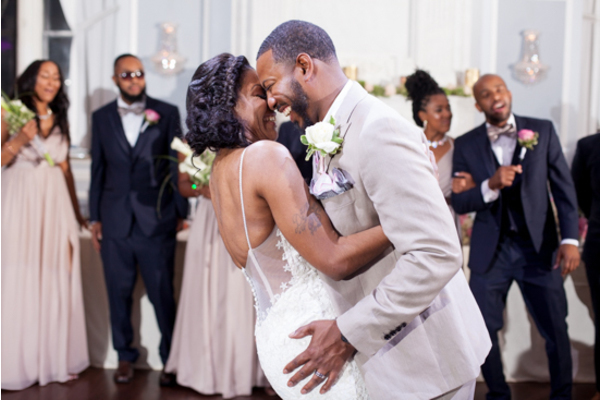 Their friends and family cheered and cried tears of joy for the happy couple. 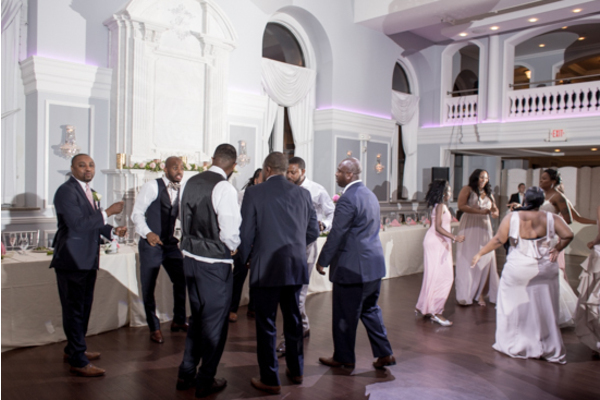 Now it was time for the party to begin! 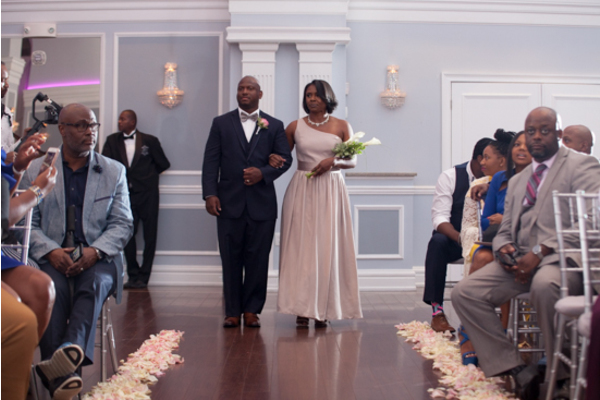 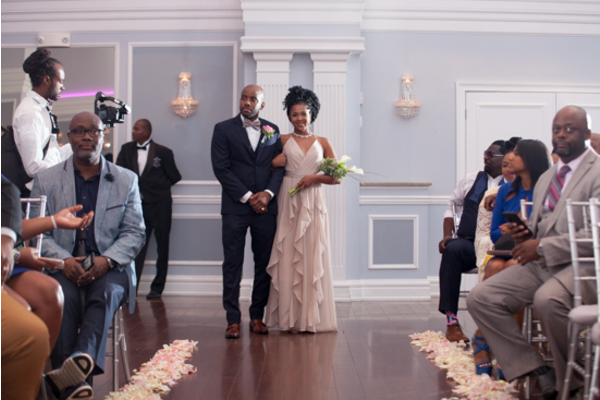 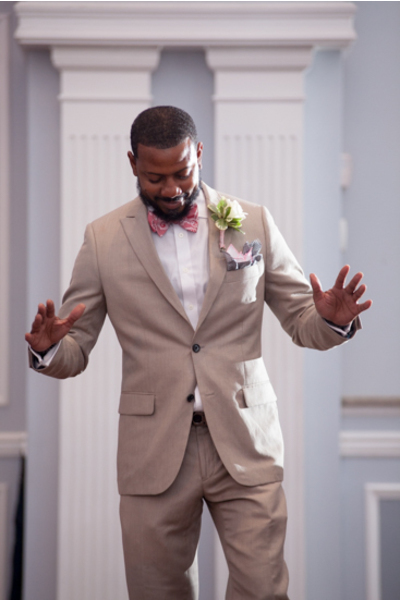 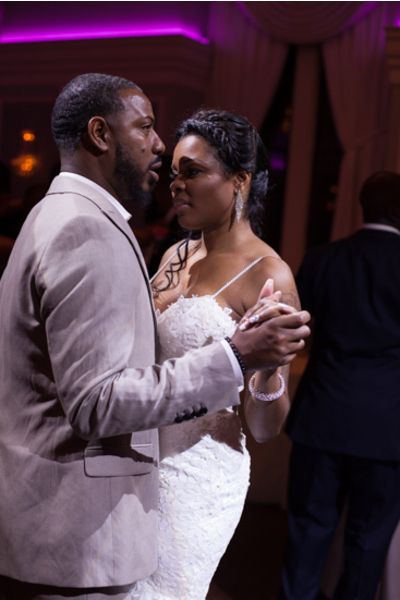 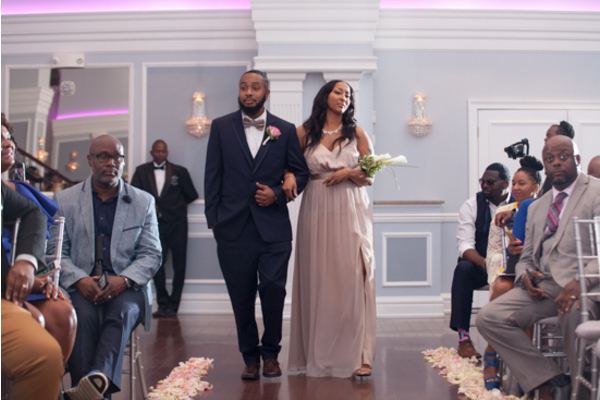 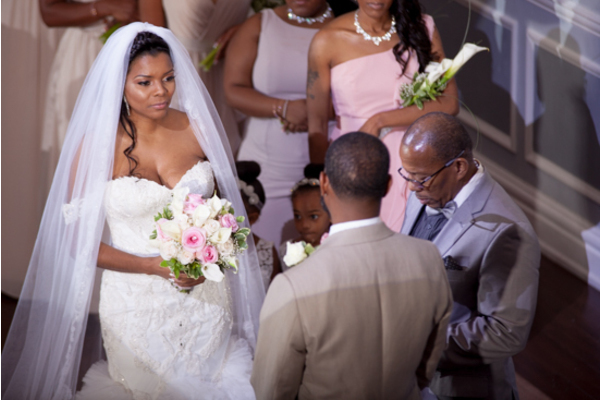 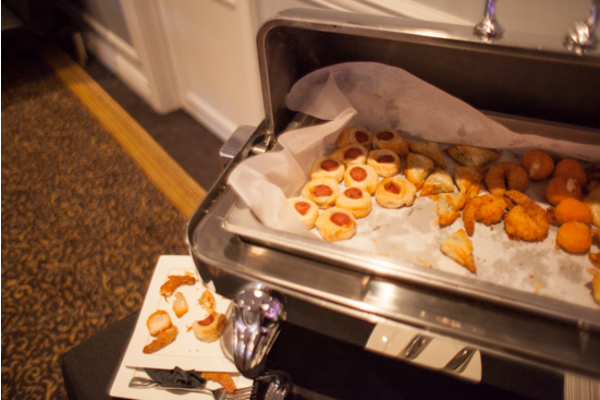 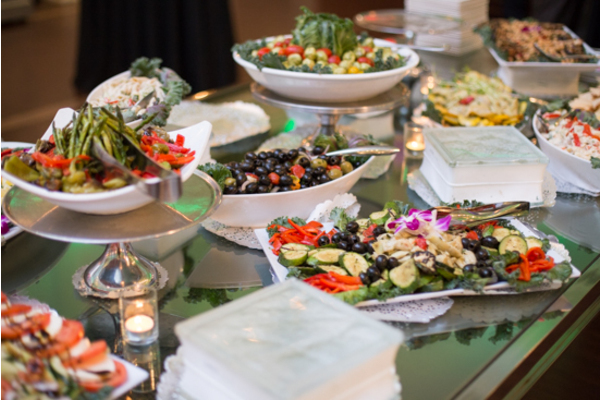 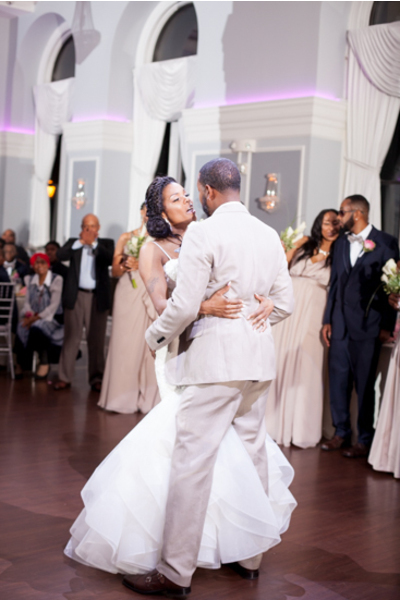 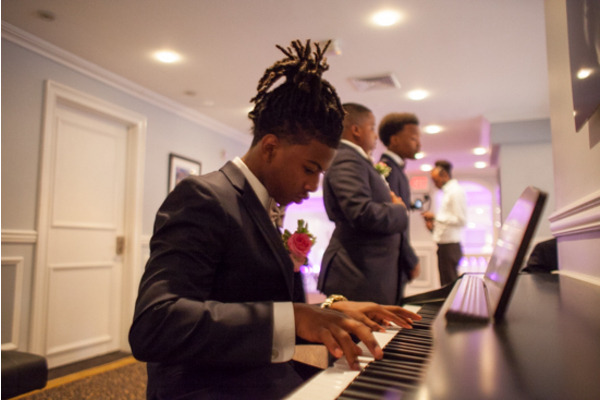 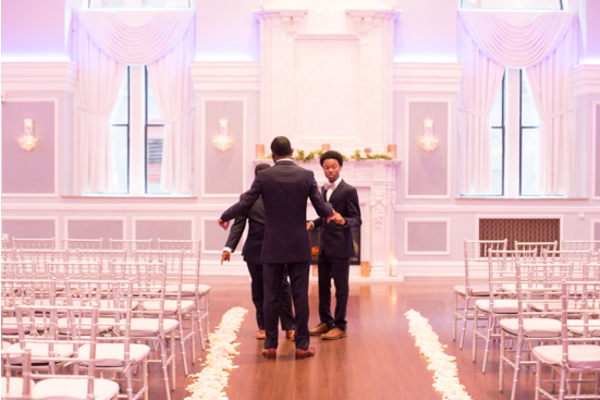 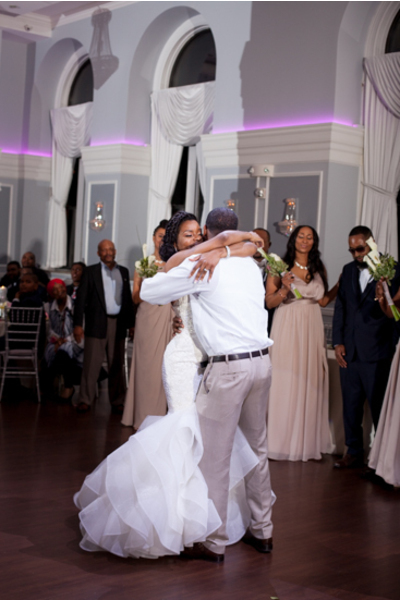 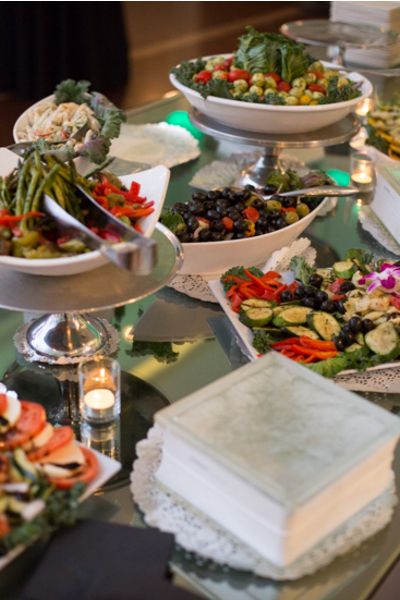 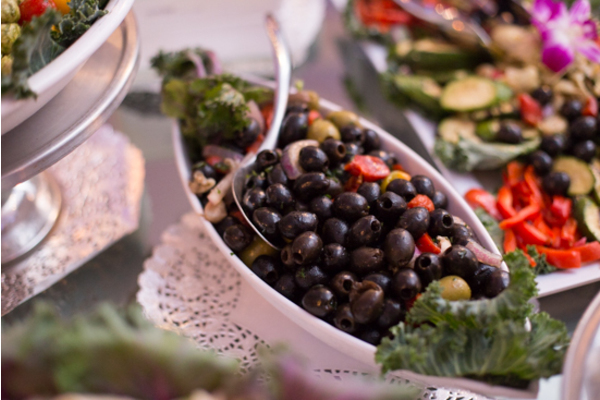 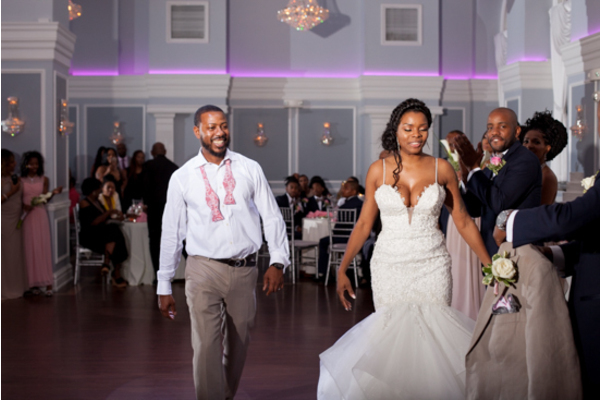 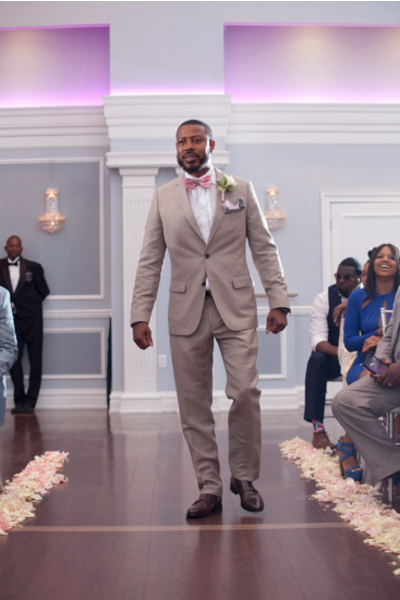 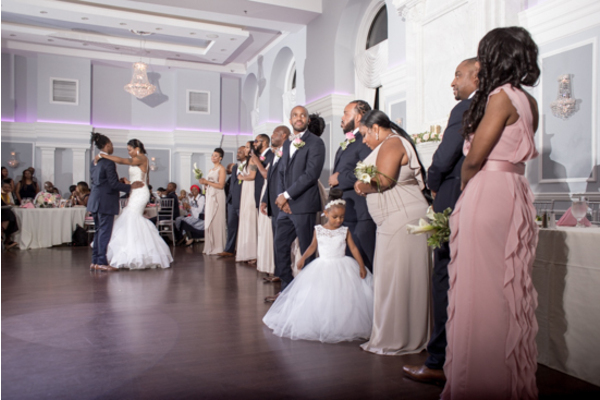 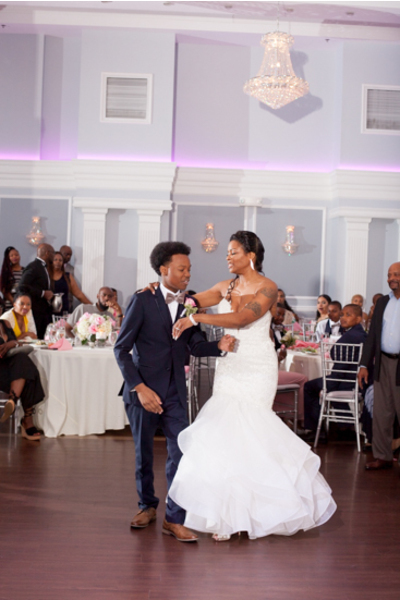 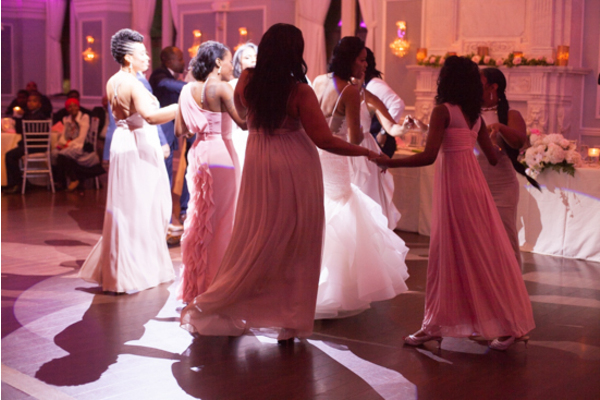 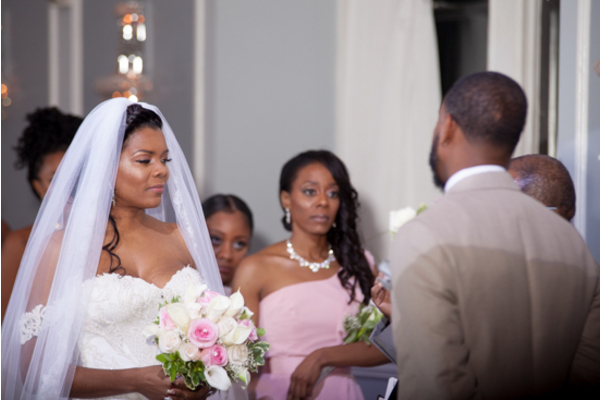 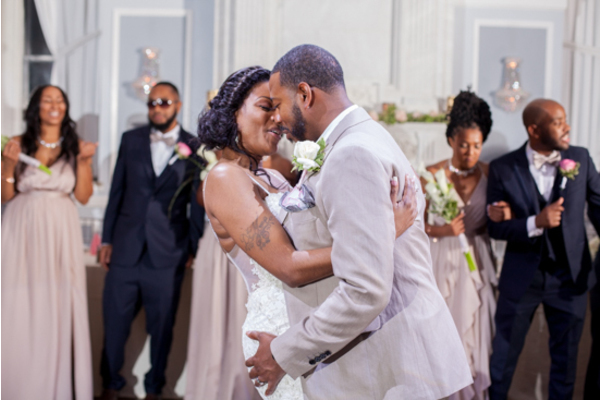 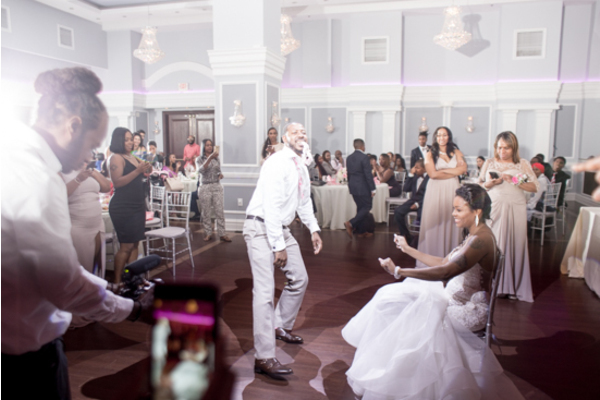 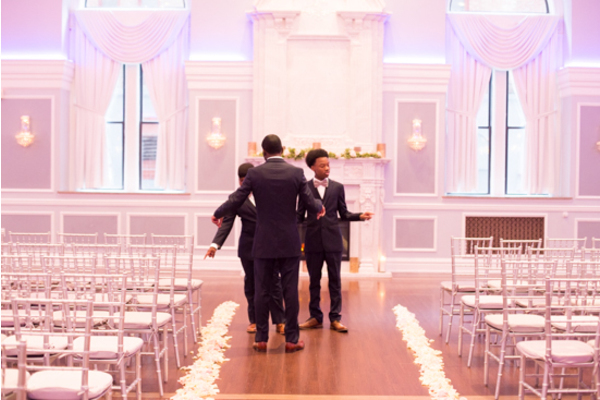 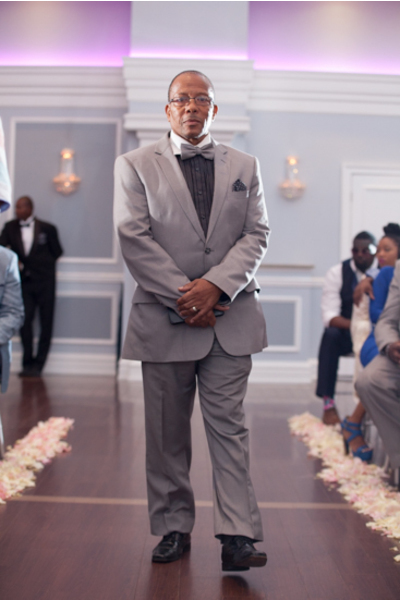 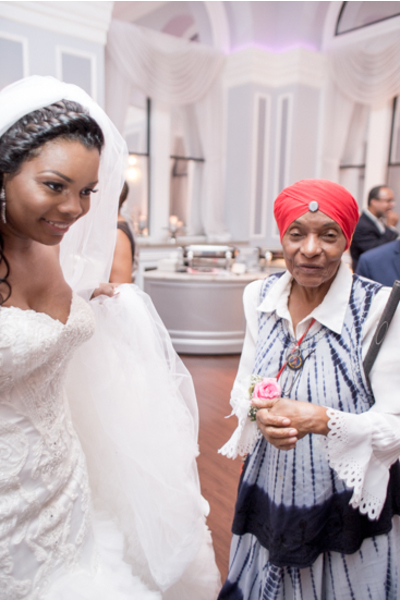 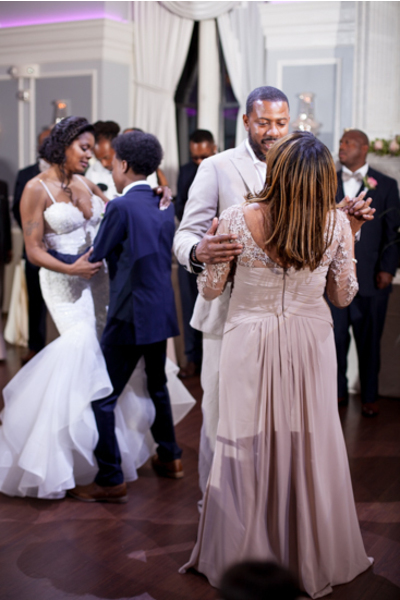 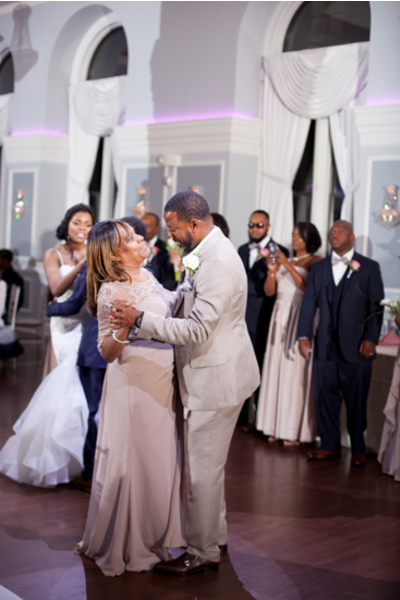 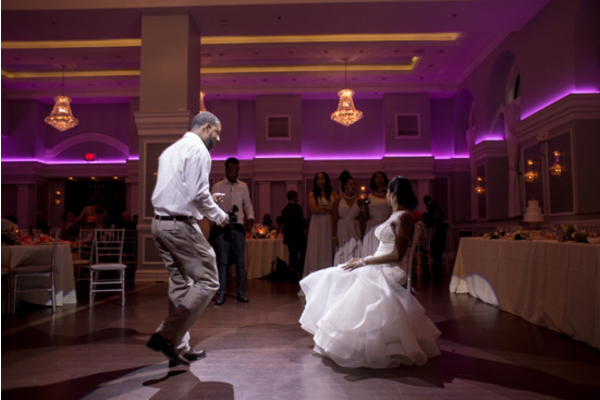 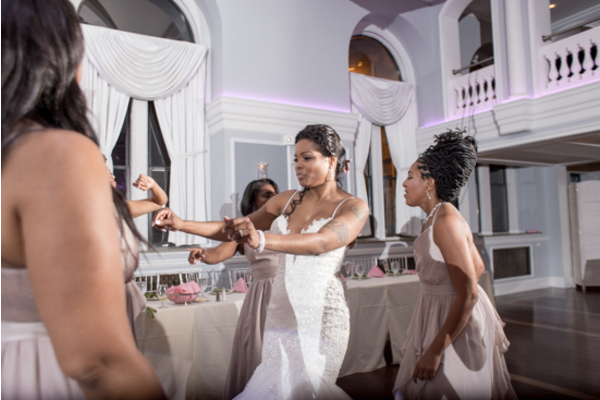 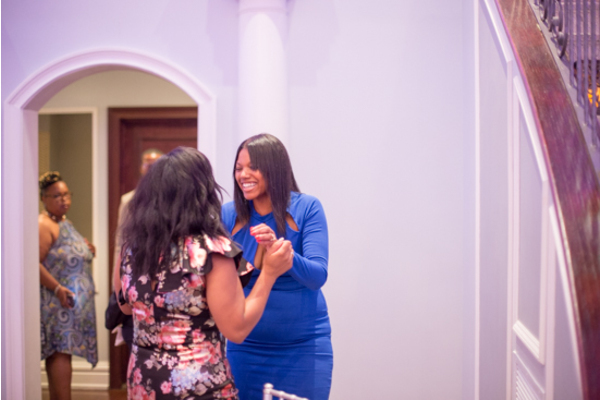 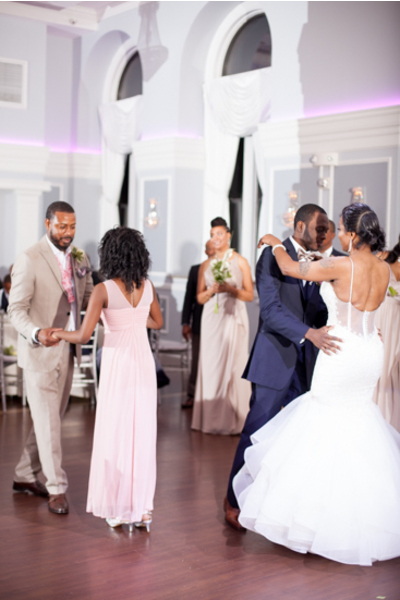 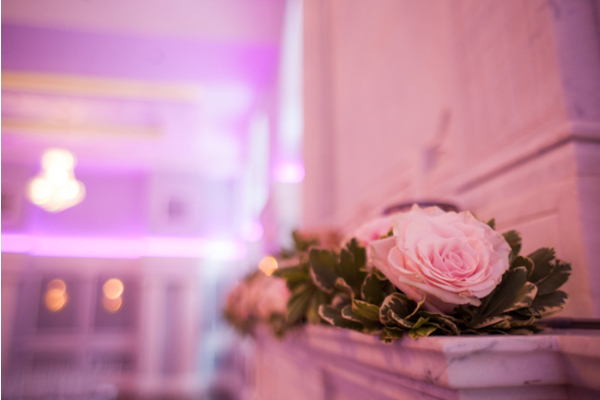 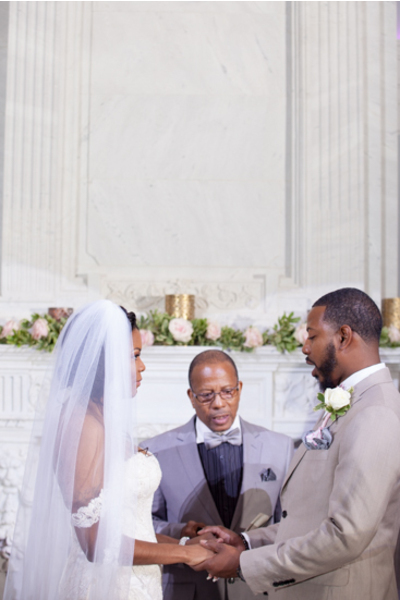 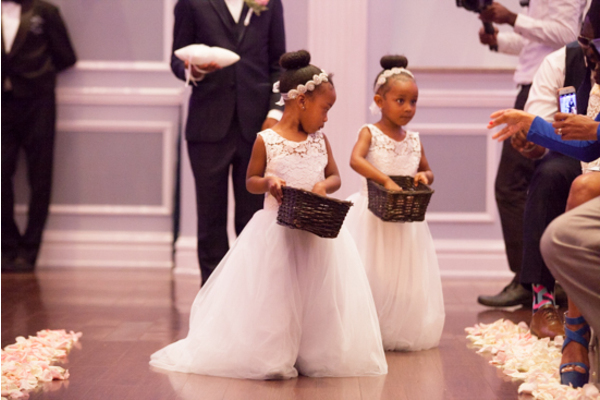 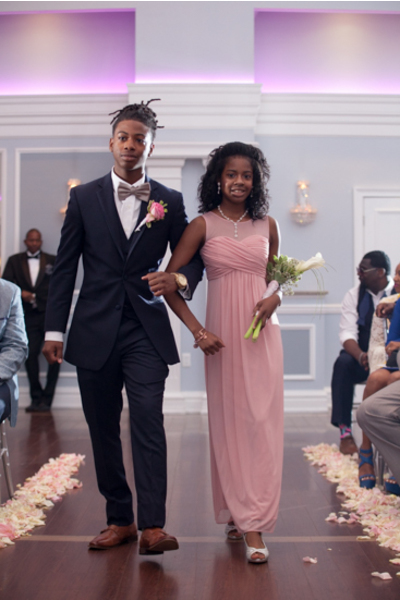 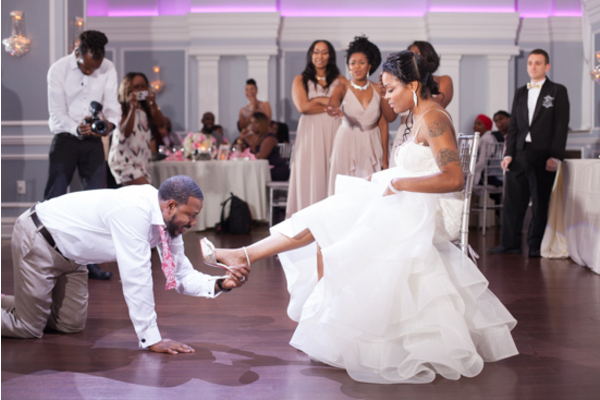 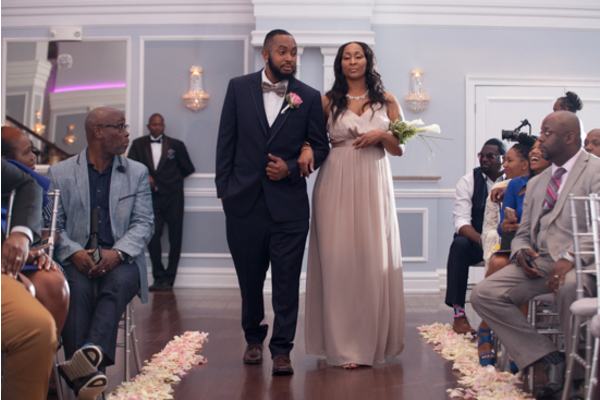 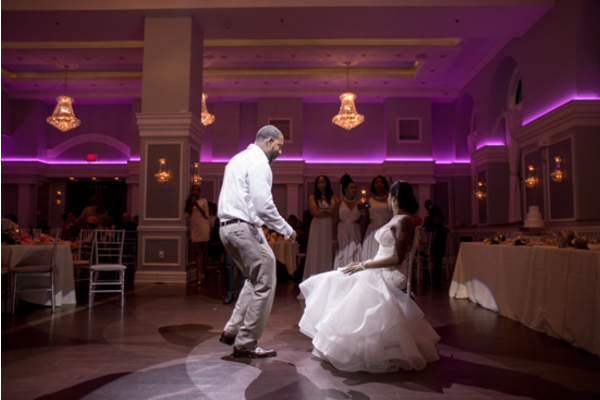 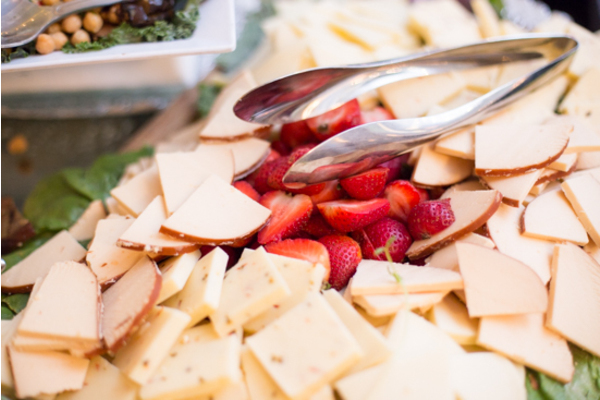 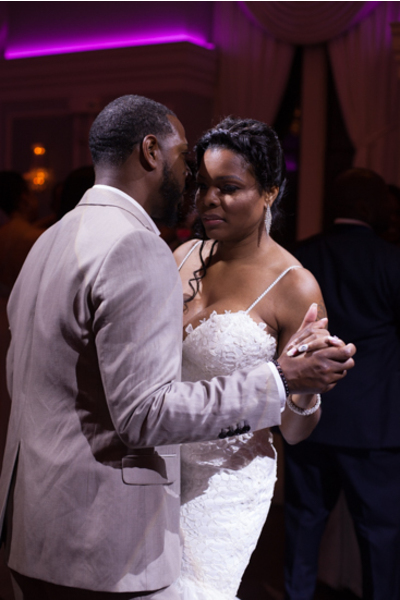 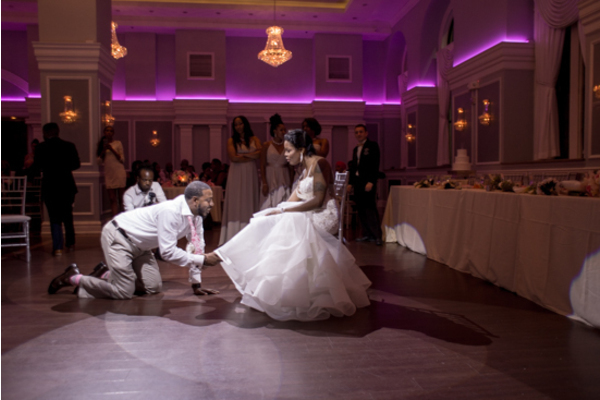 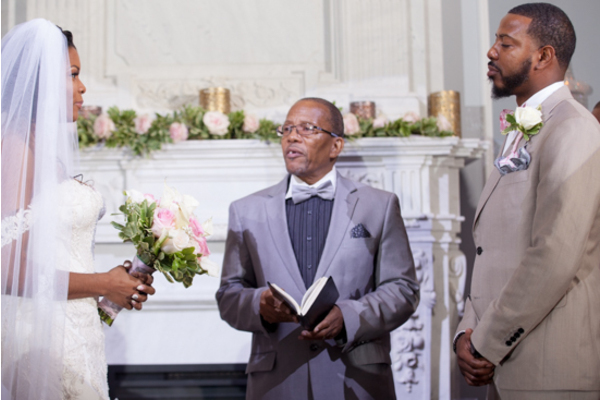 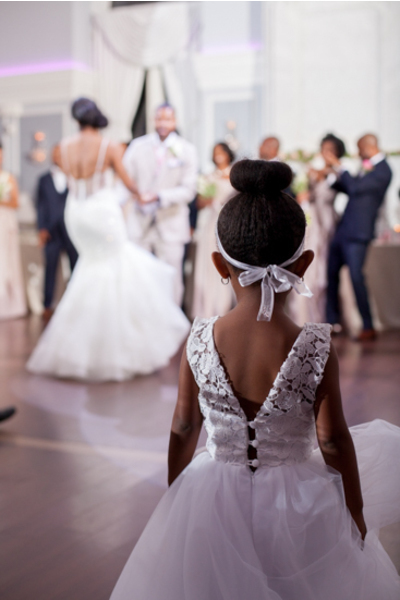 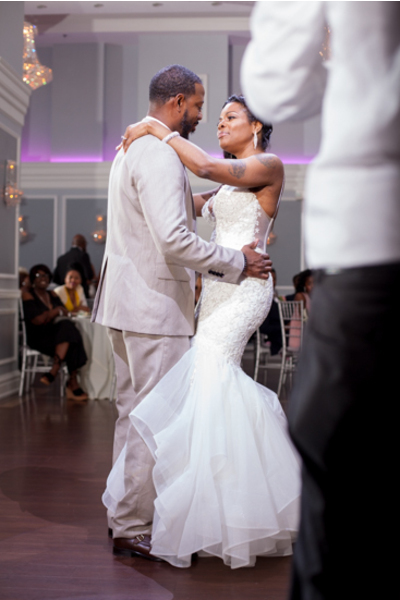 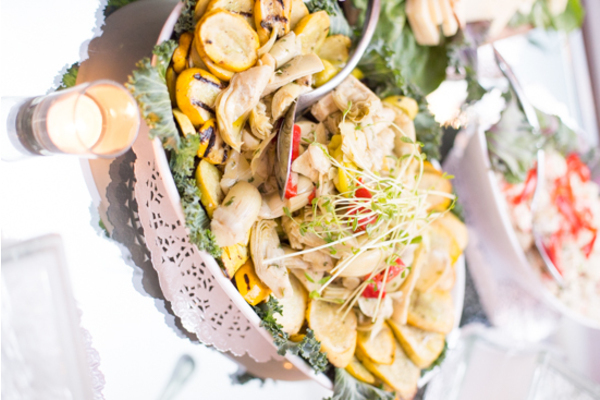 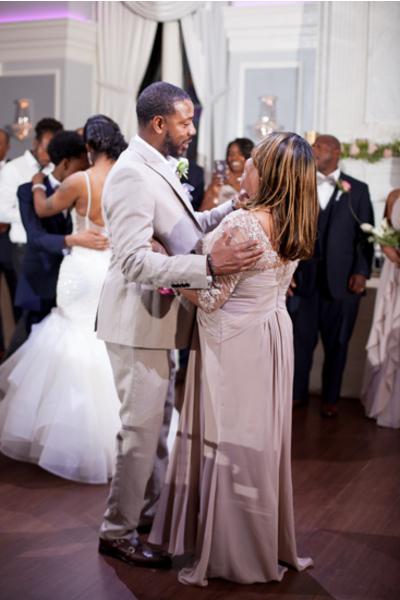 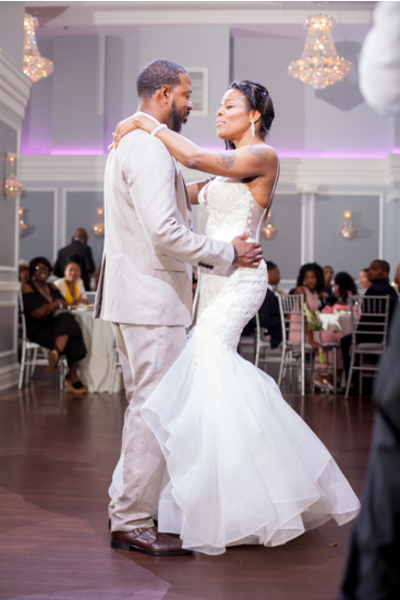 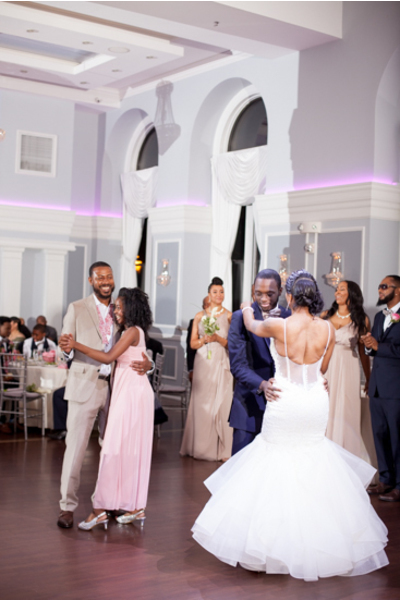 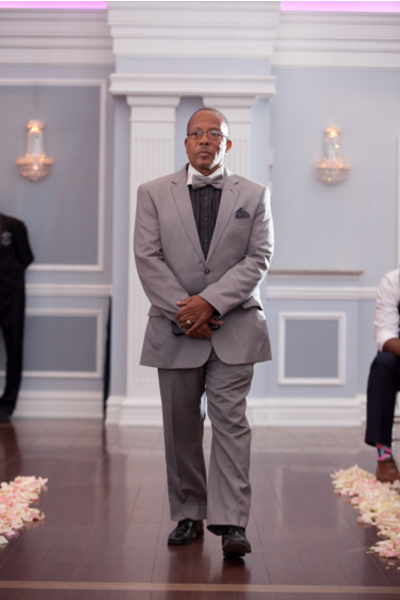 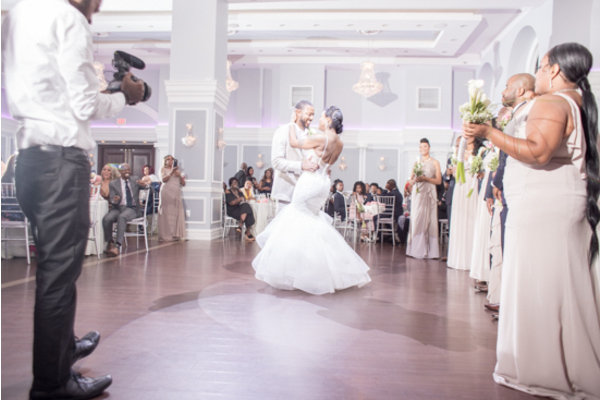 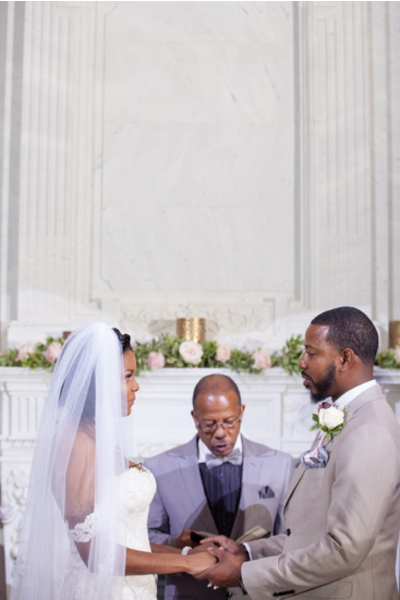 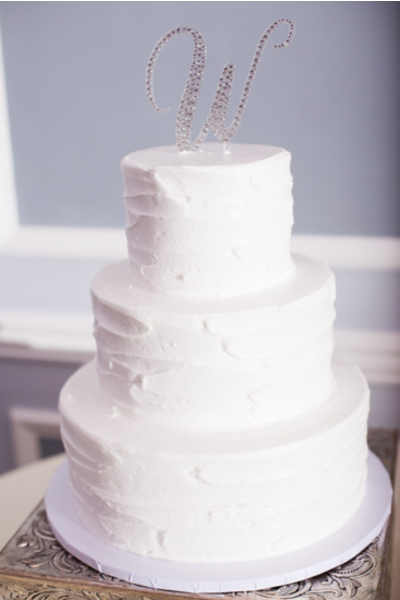 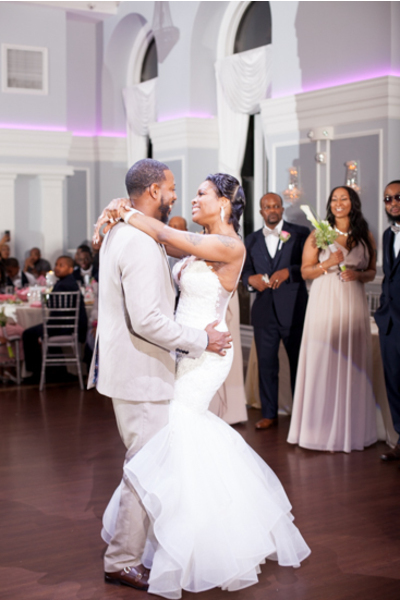 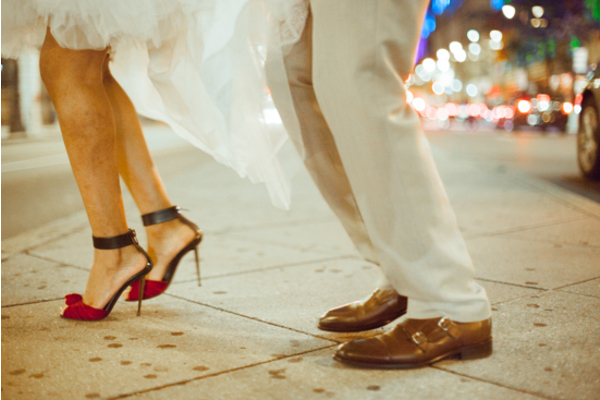 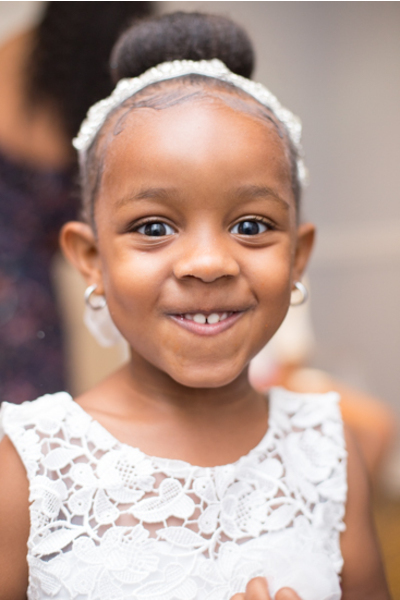 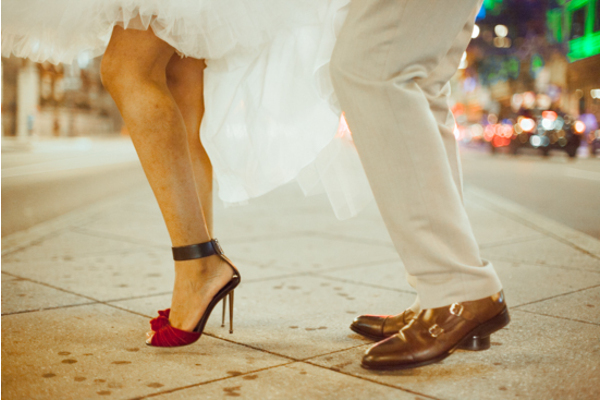 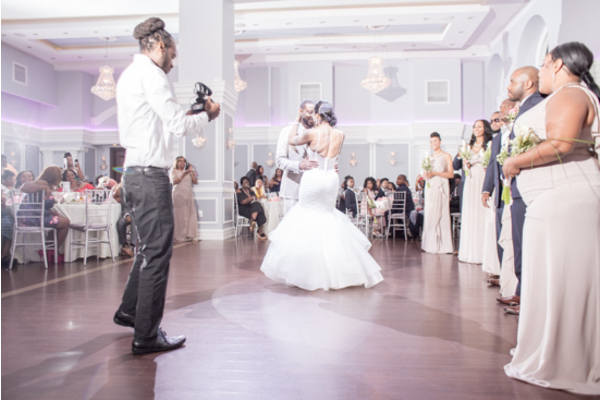 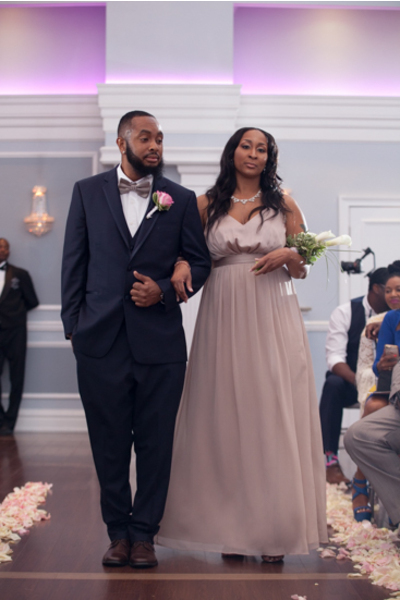 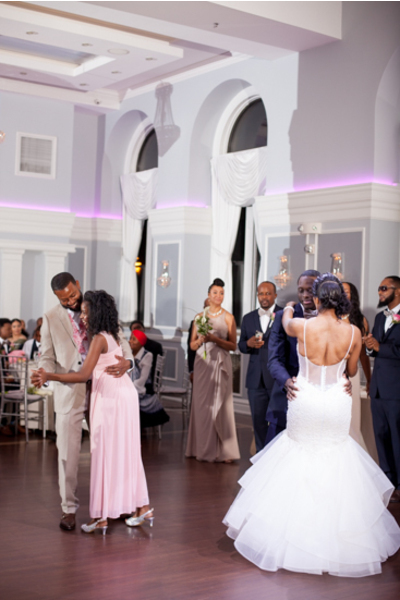 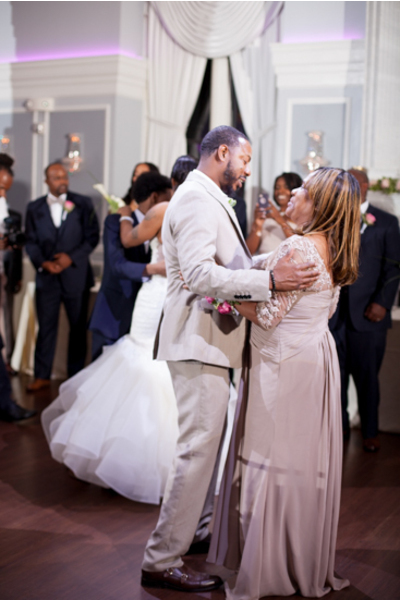 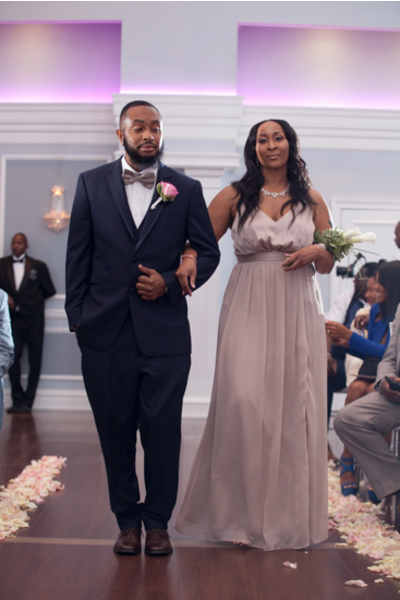 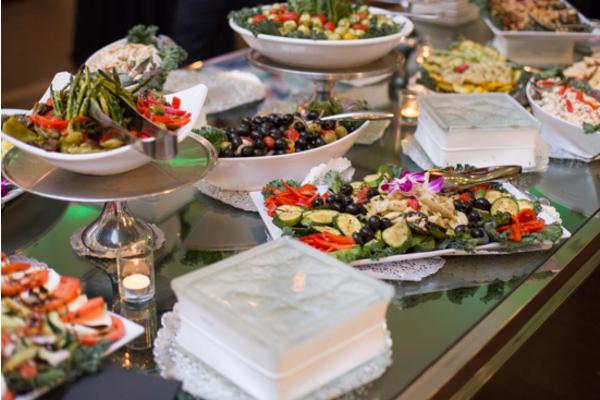 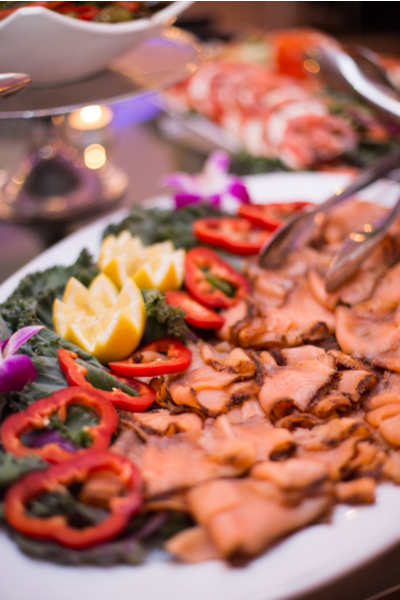 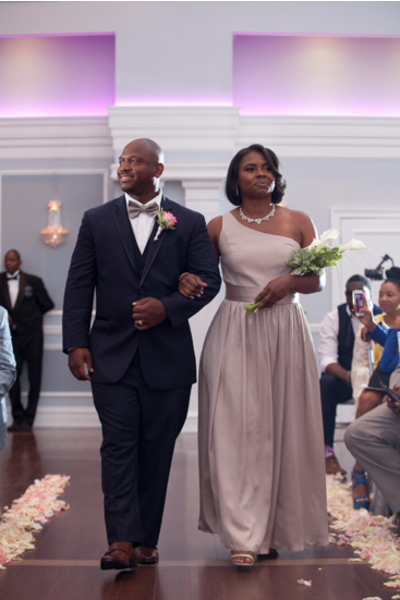 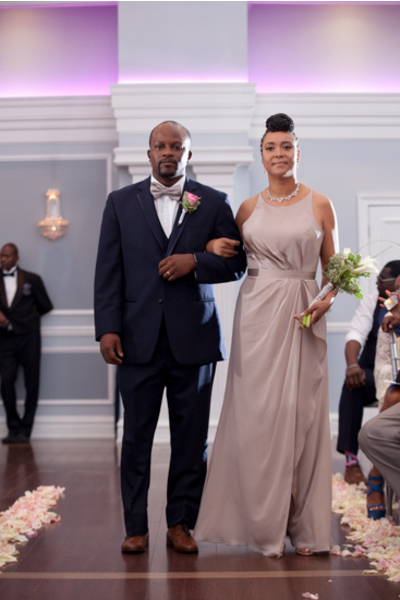 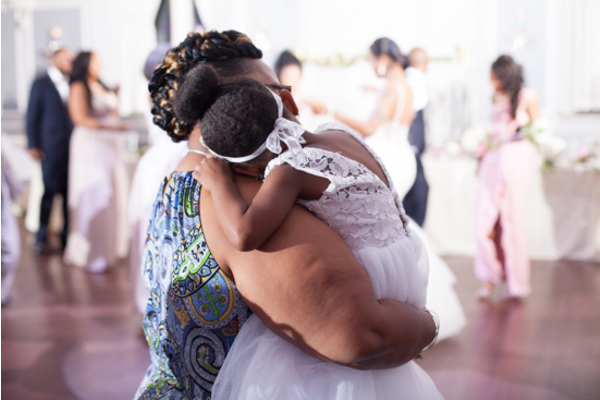 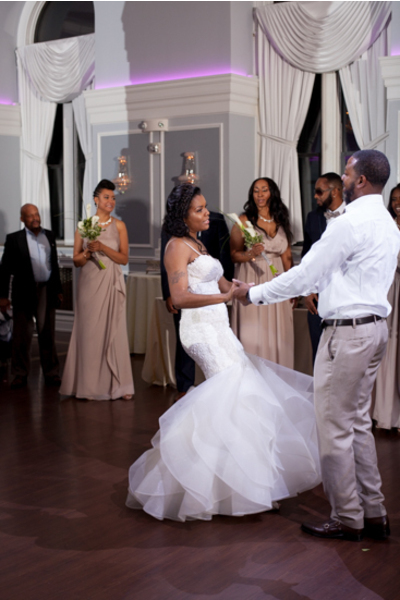 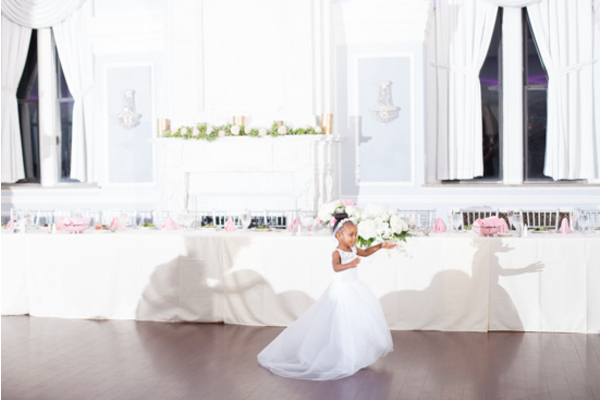 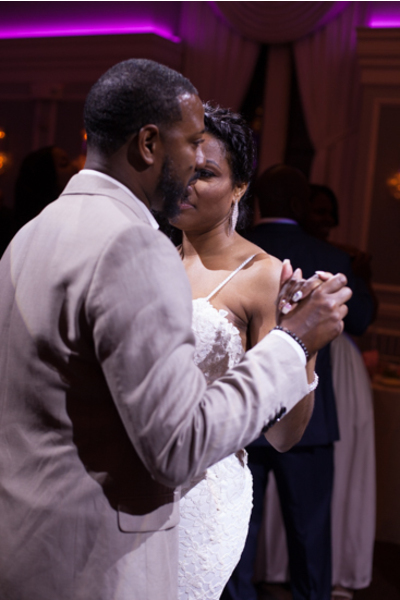 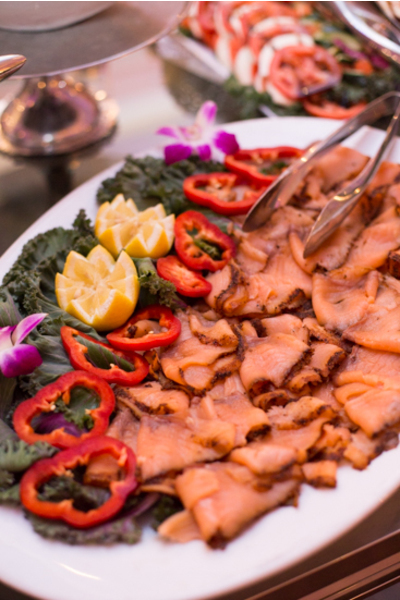 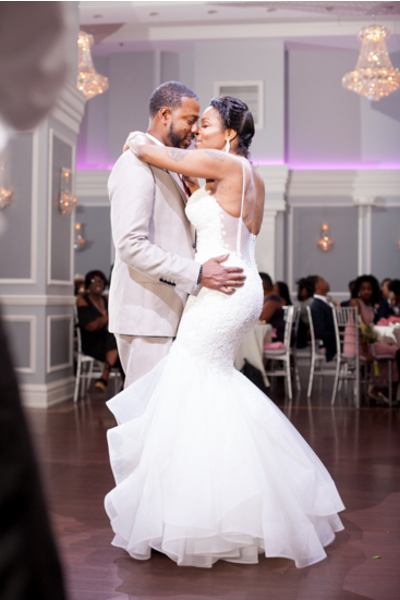 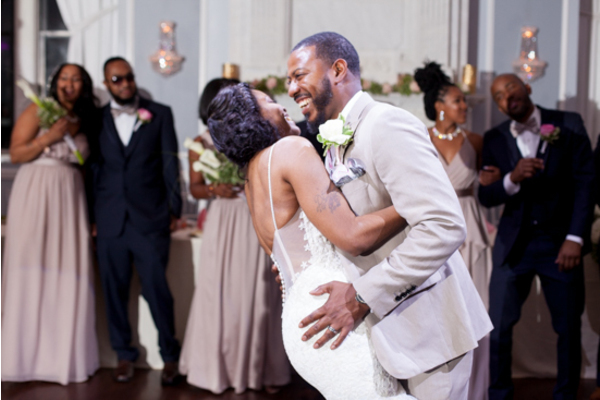 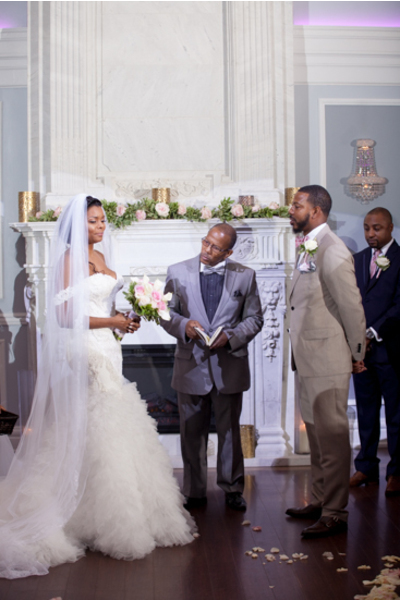 At the reception, they shared a sweet first dance that they would both remember forever! 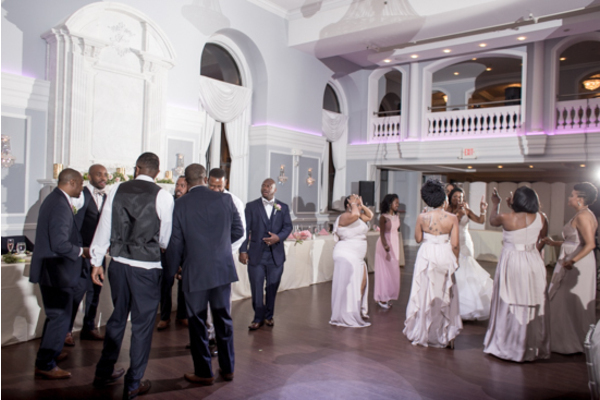 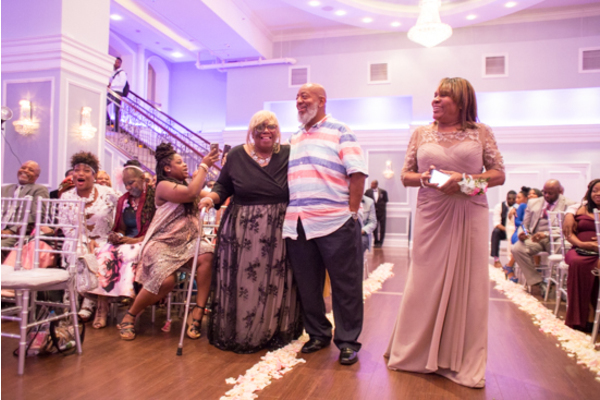 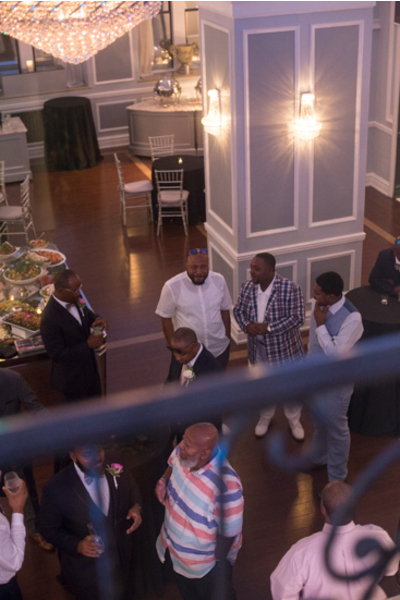 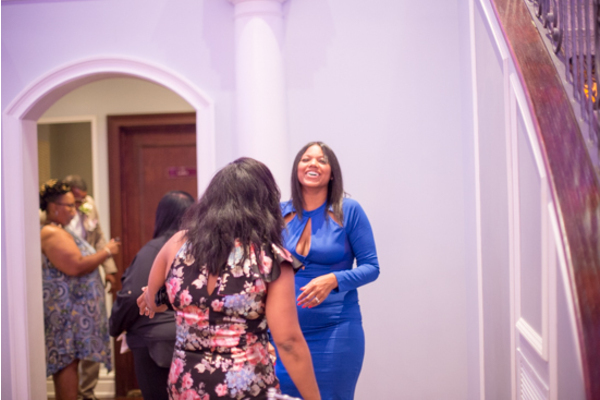 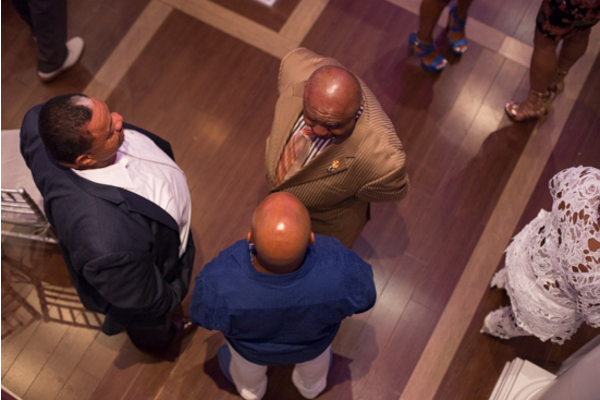 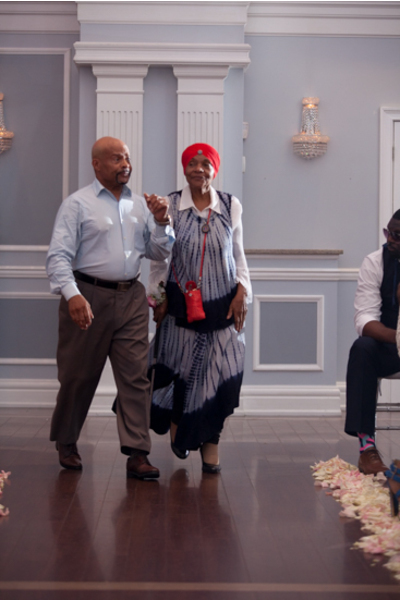 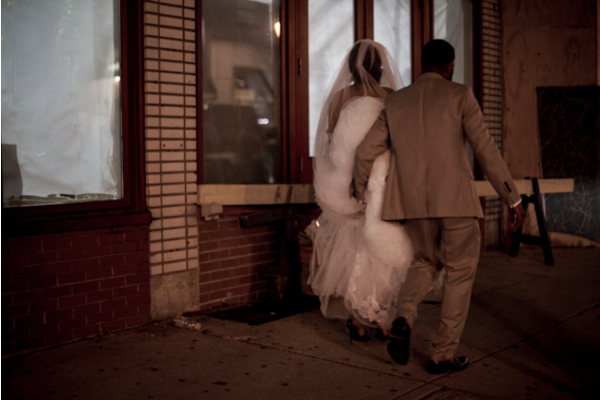 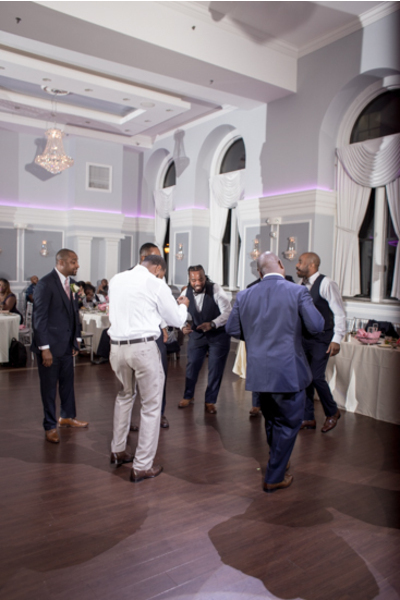 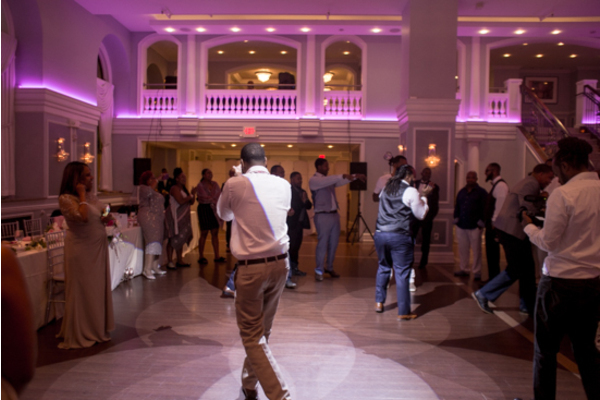 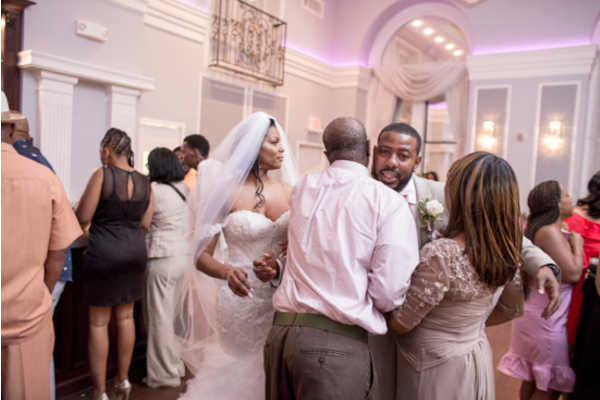 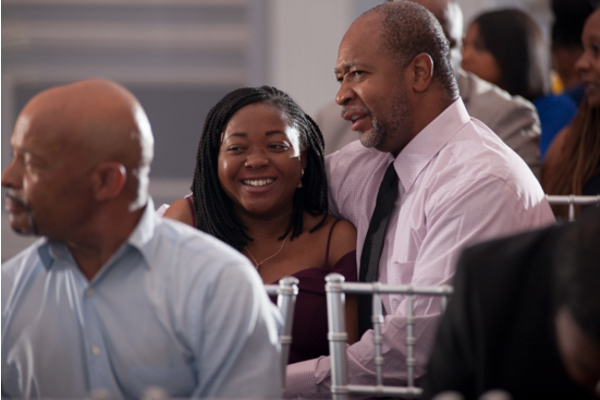 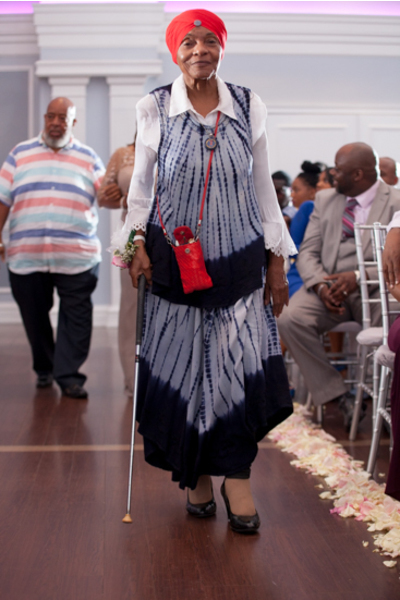 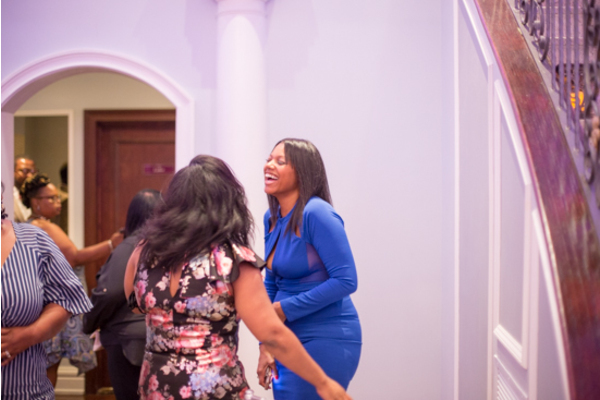 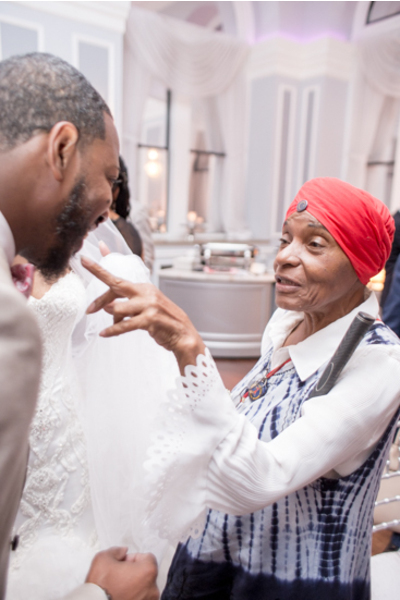 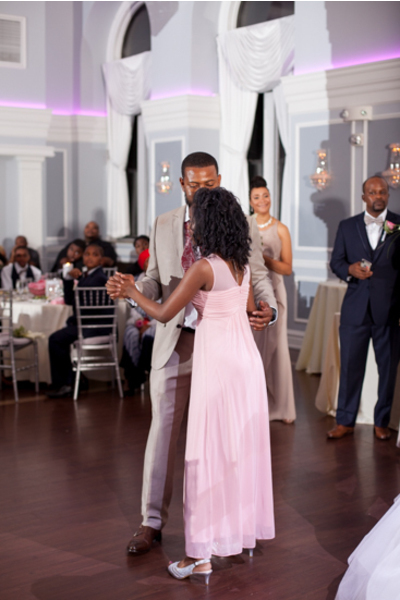 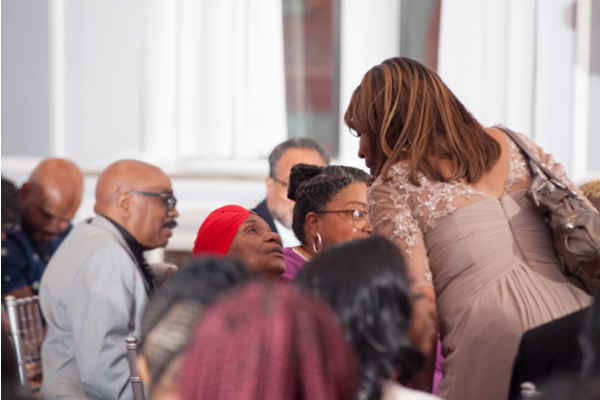 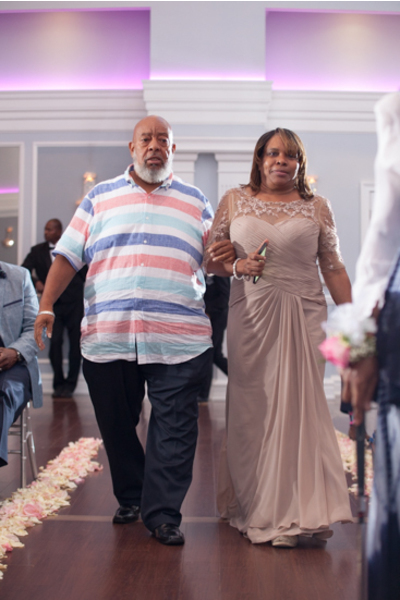 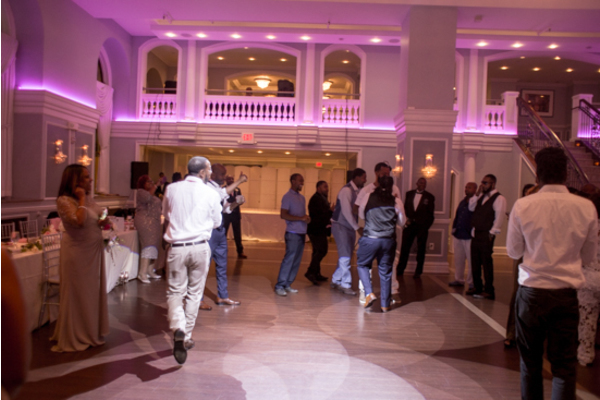 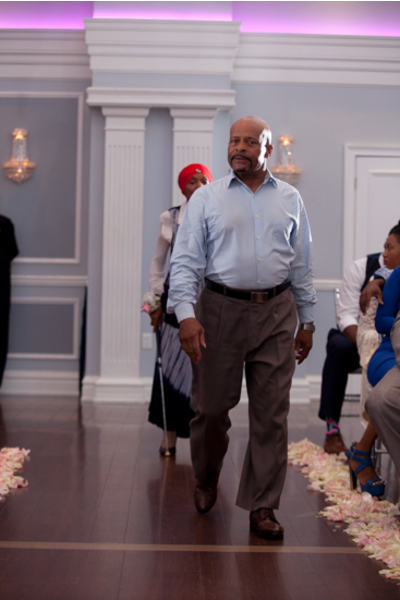 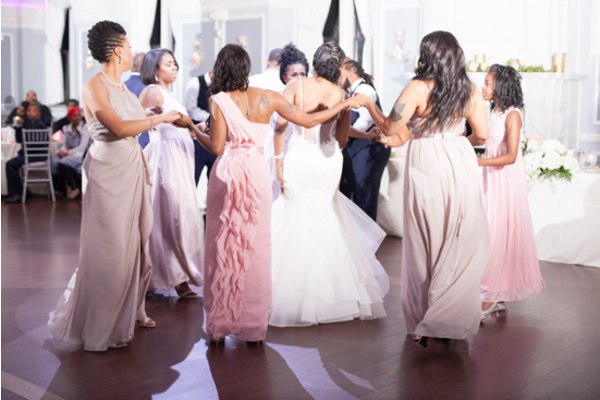 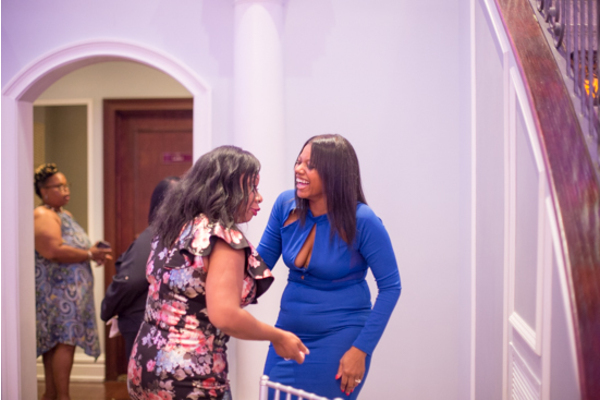 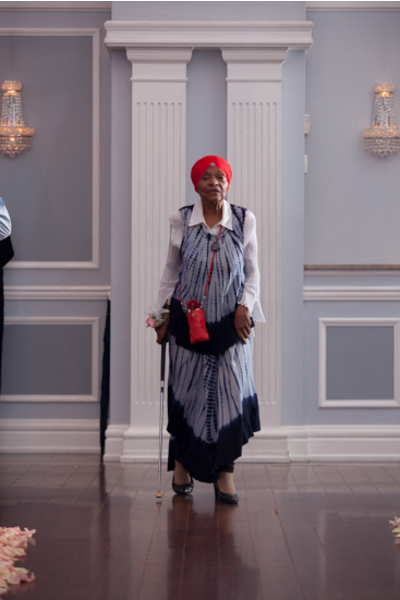 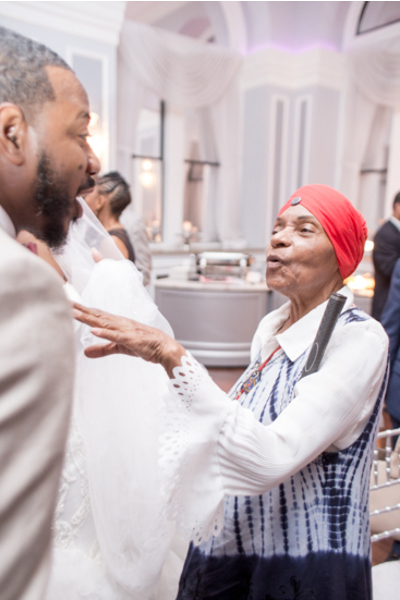 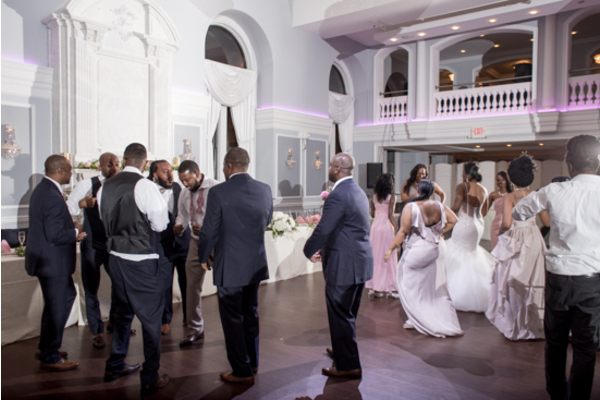 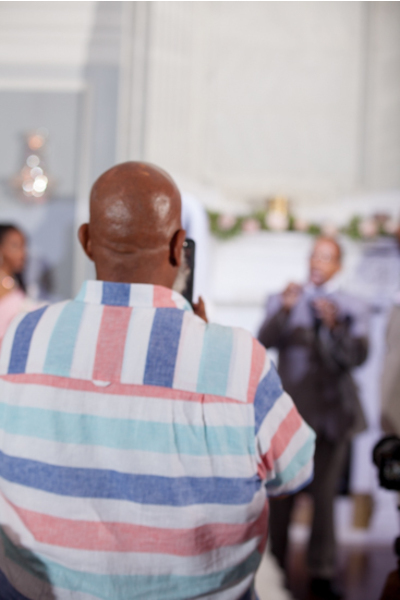 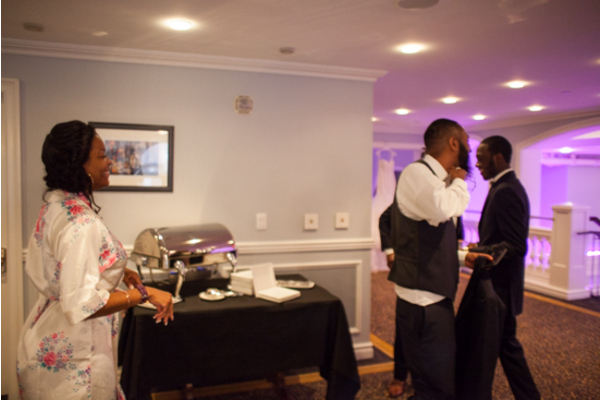 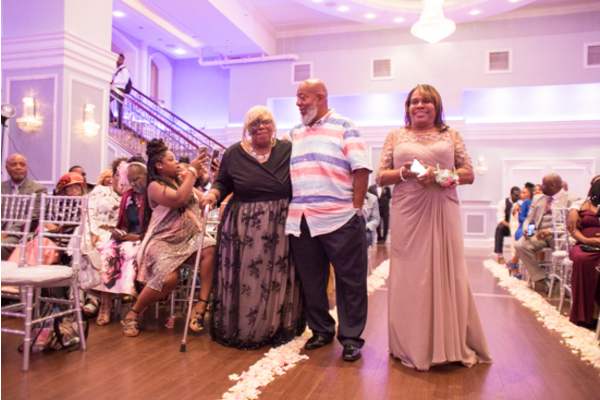 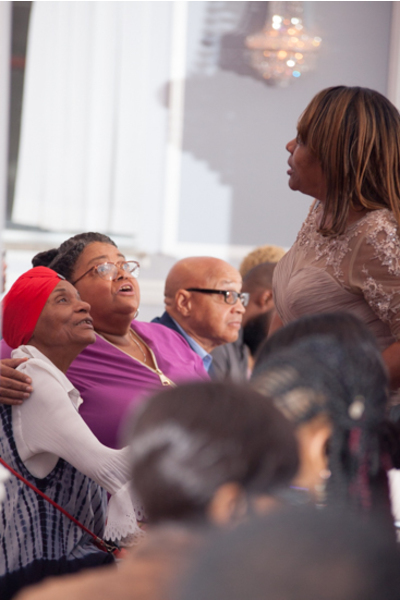 Shortly following, the couple was joined on the dance floor by their loved ones. 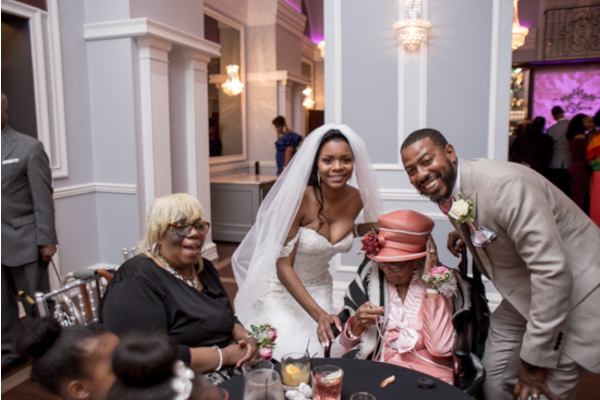 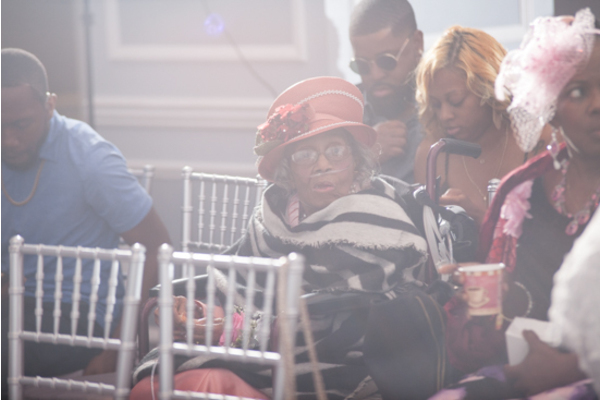 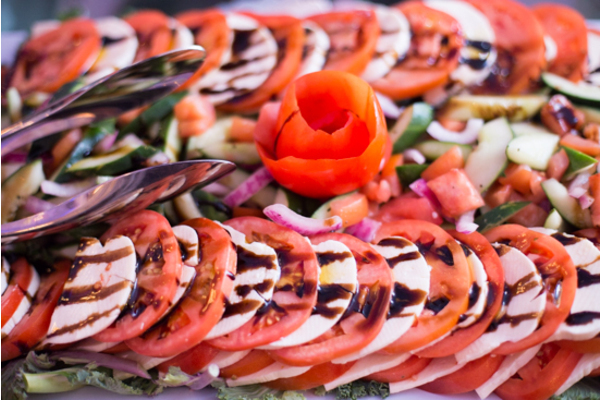 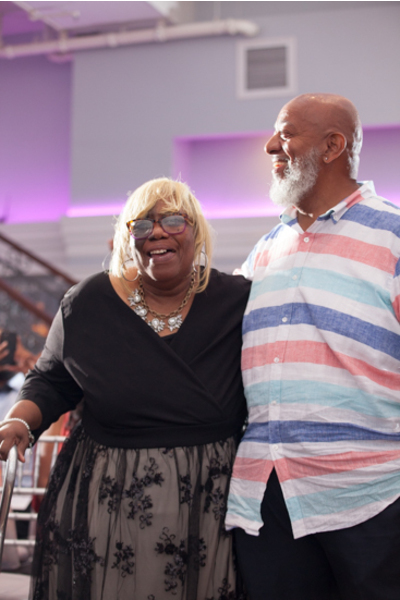 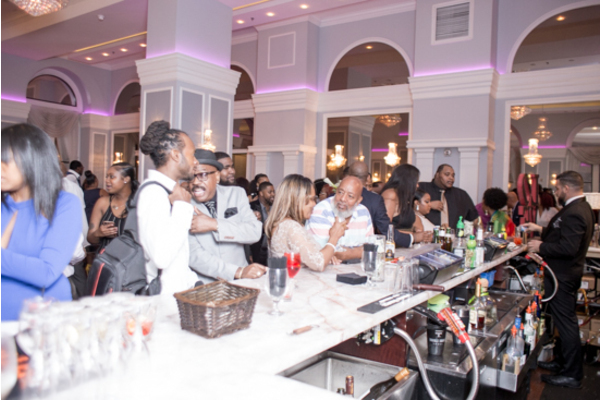 Everyone had a great time creating memories together that would last a lifetime! 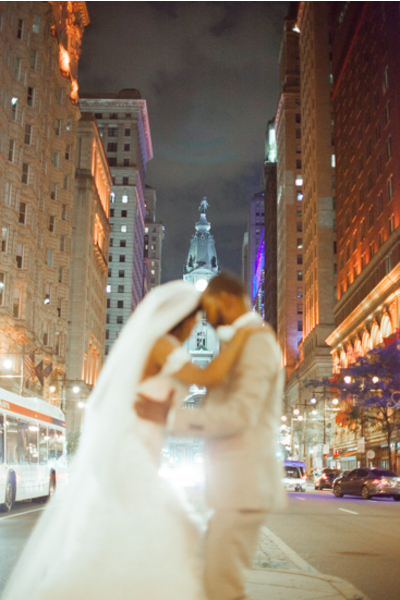 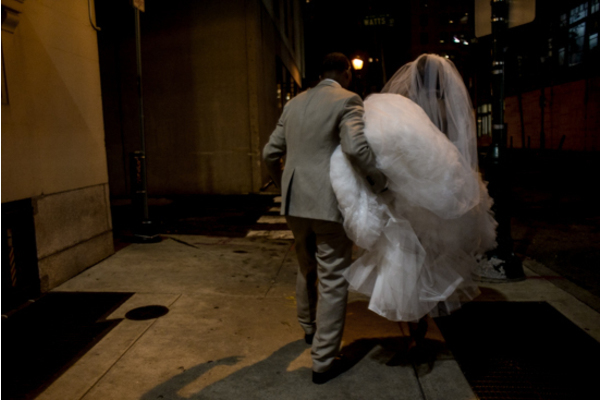 Afterwards, Alisa and Eric even stepped out on the town with our NJ Wedding Photographer to get some amazing nighttime shots in the city! 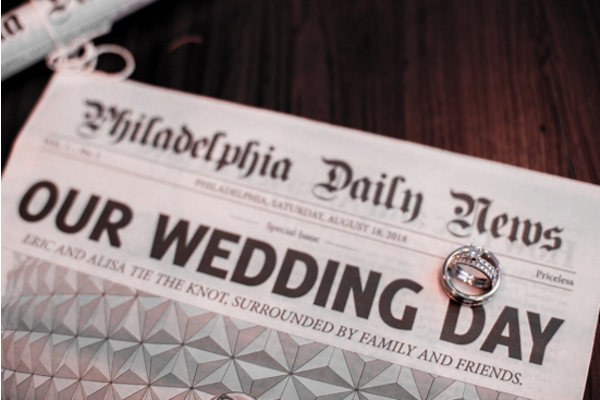 Congratulations again to Alisa and Eric! 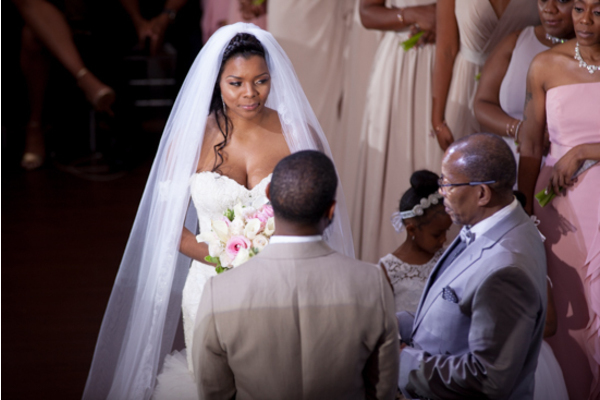 We wish you a lifetime of love, happiness and health.